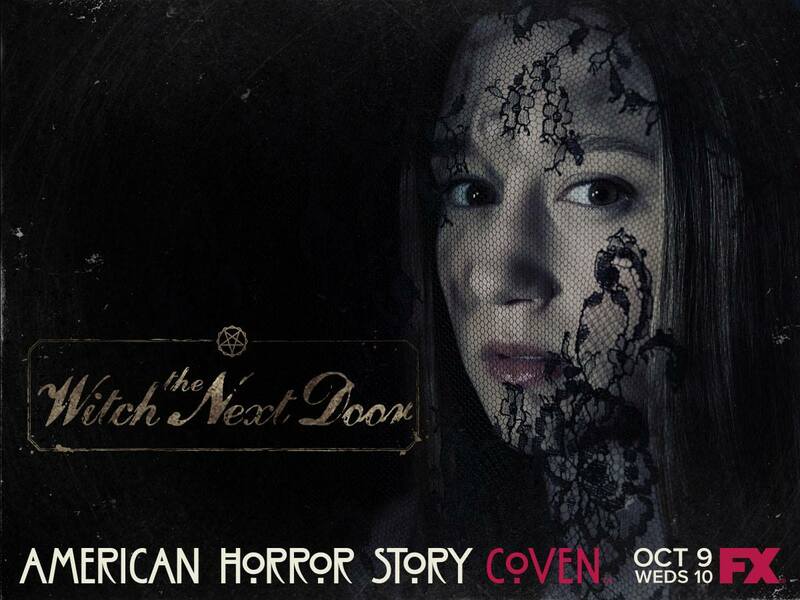 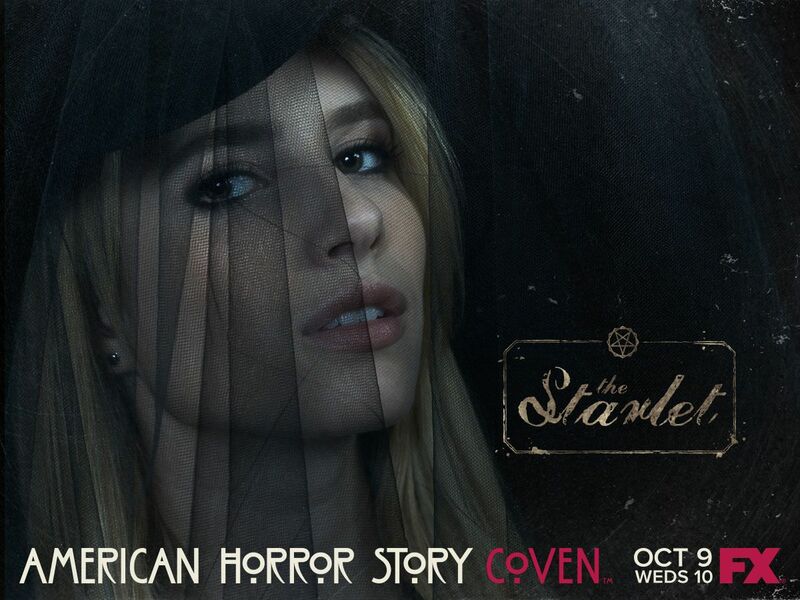 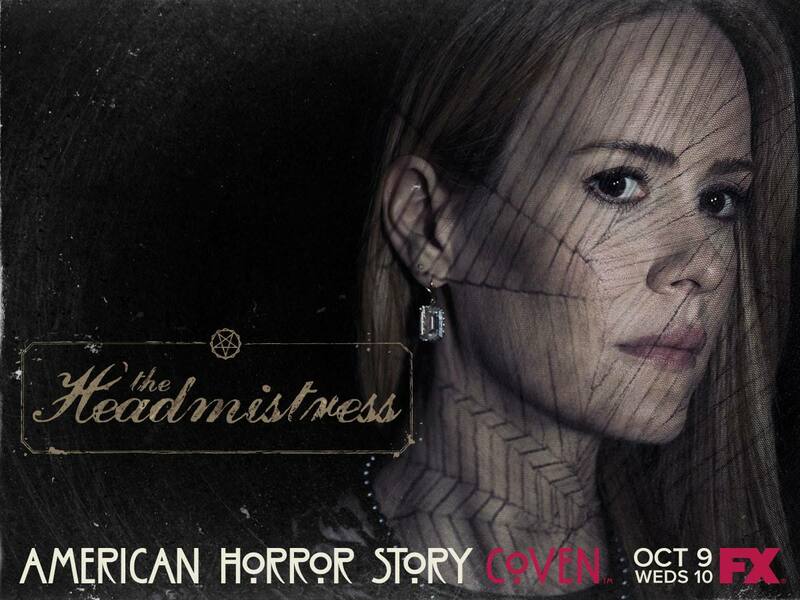 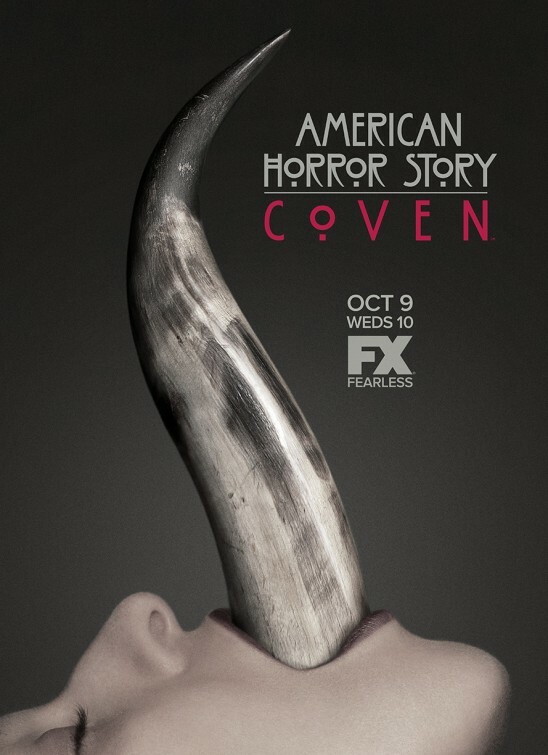 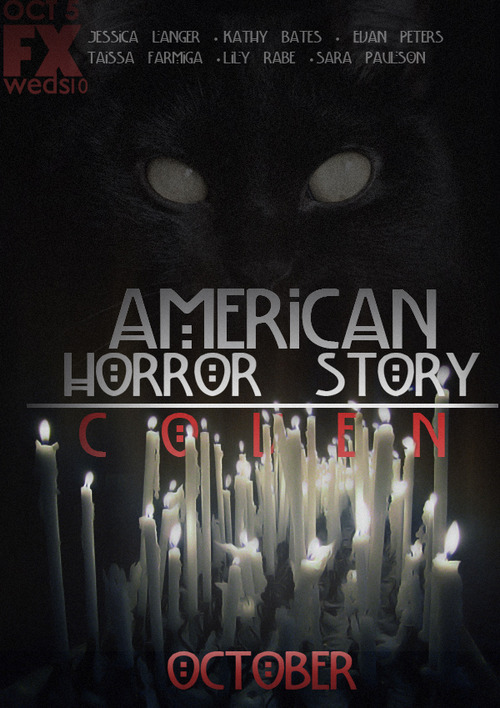 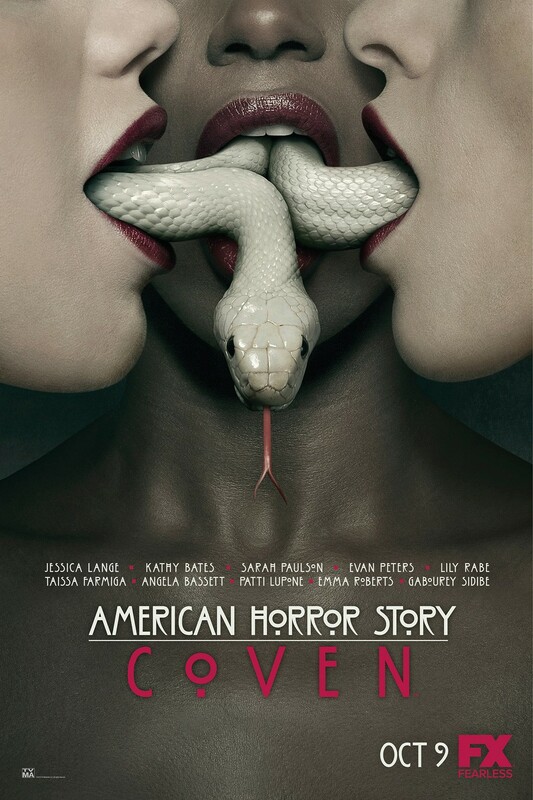 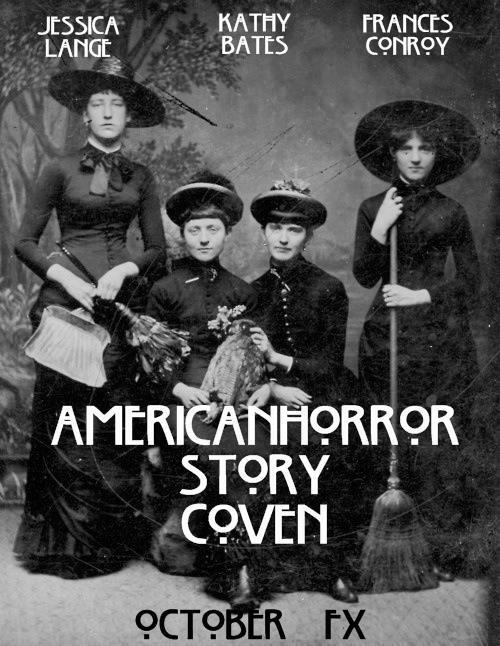 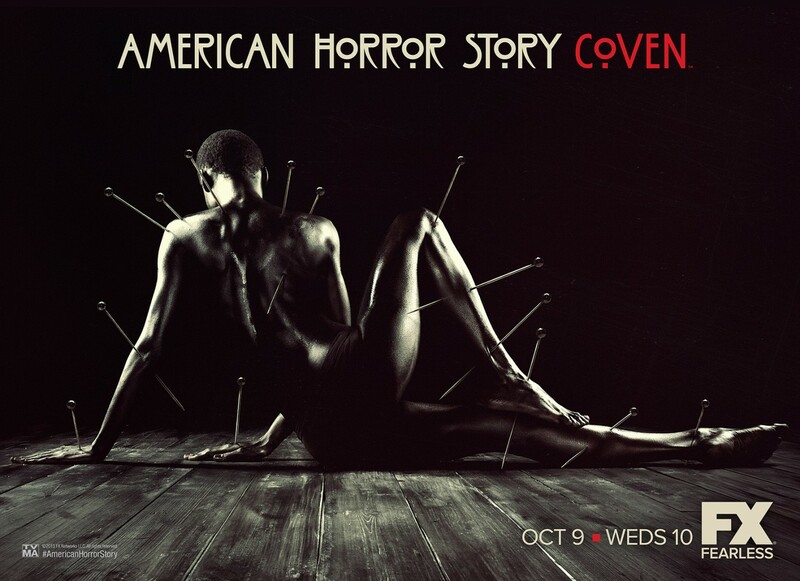 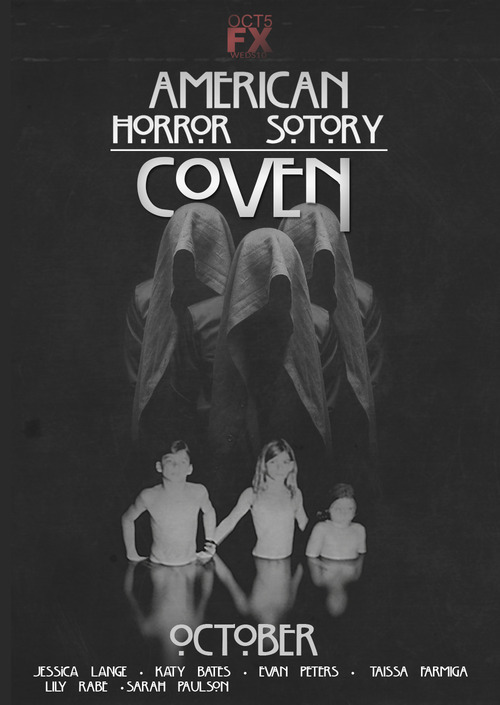 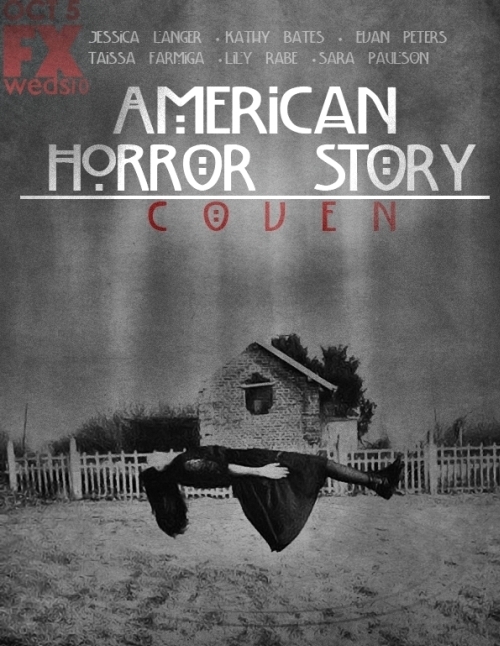 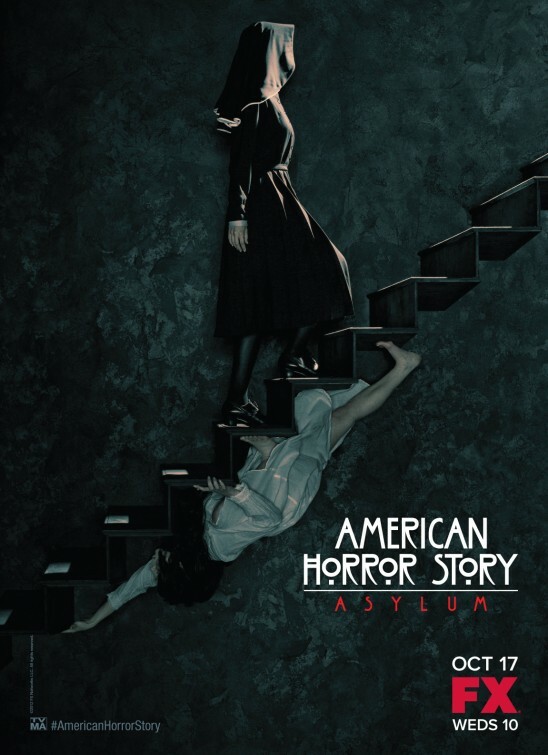 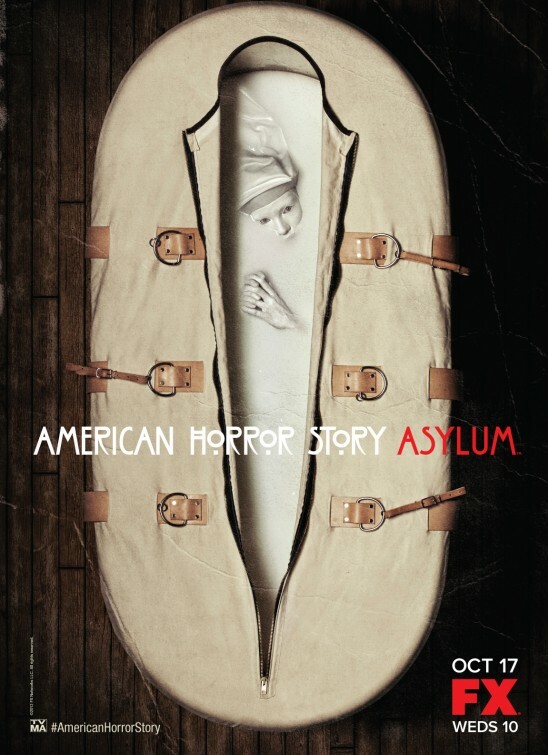 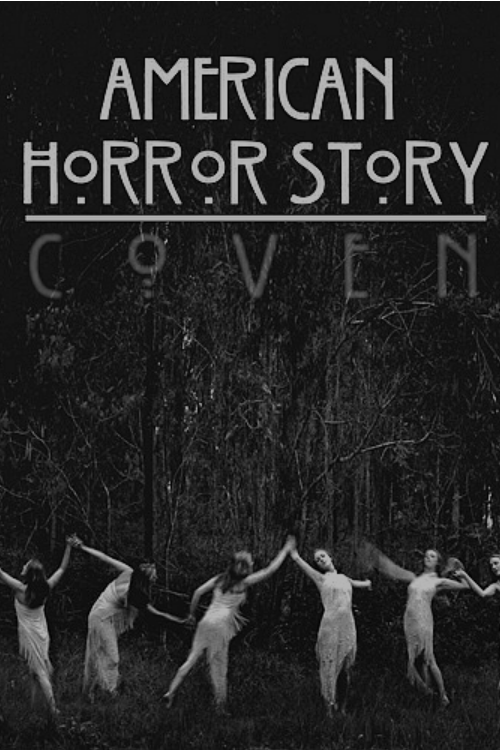 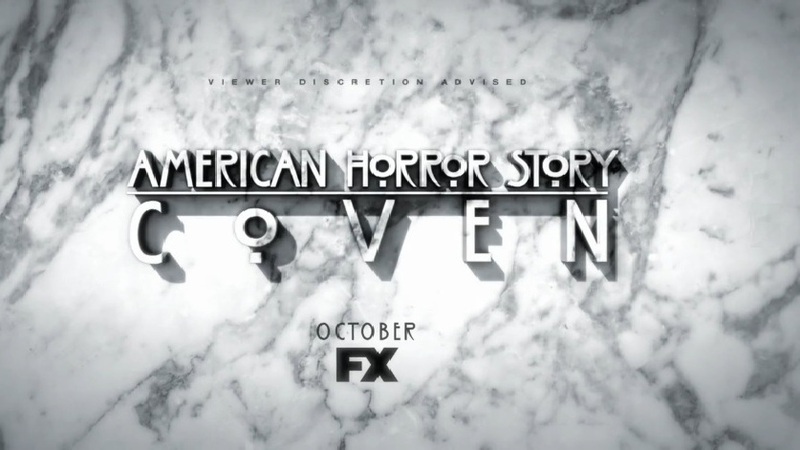 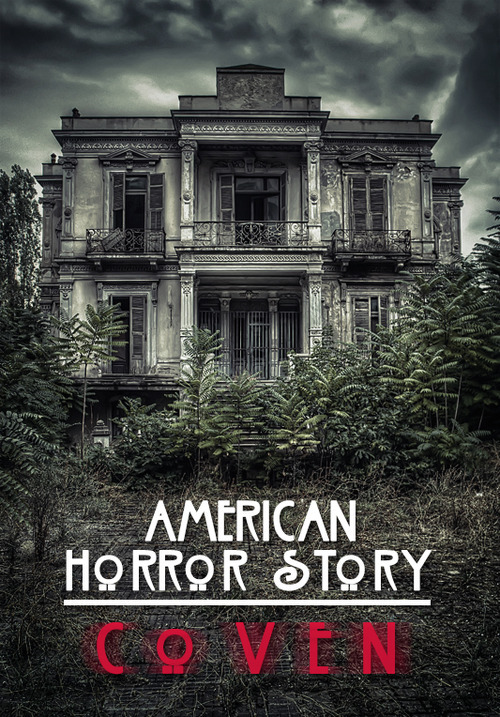 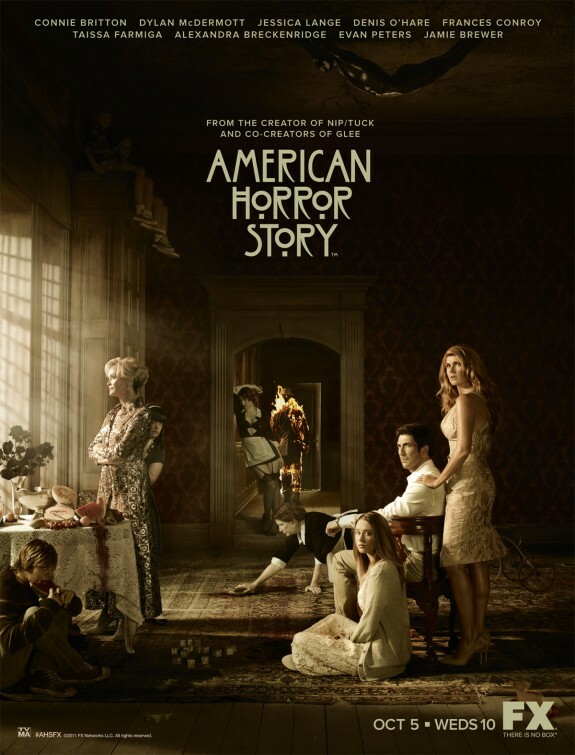 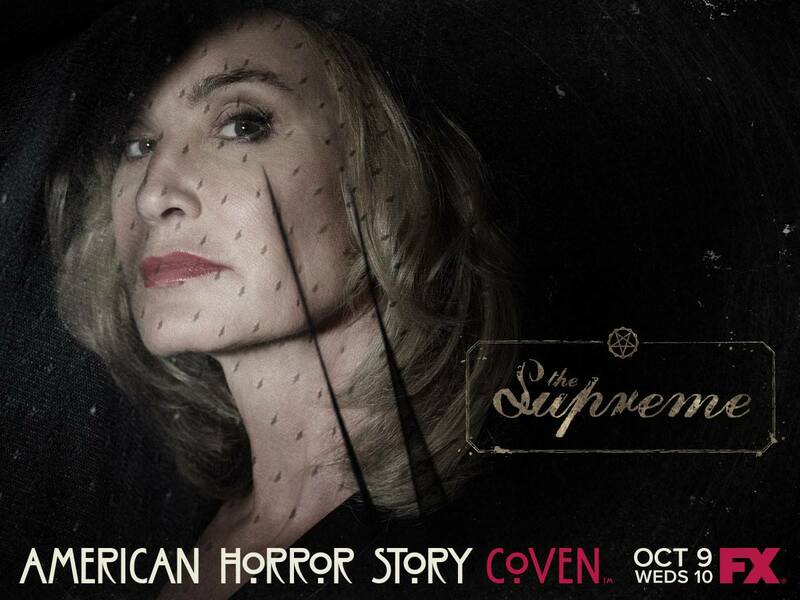 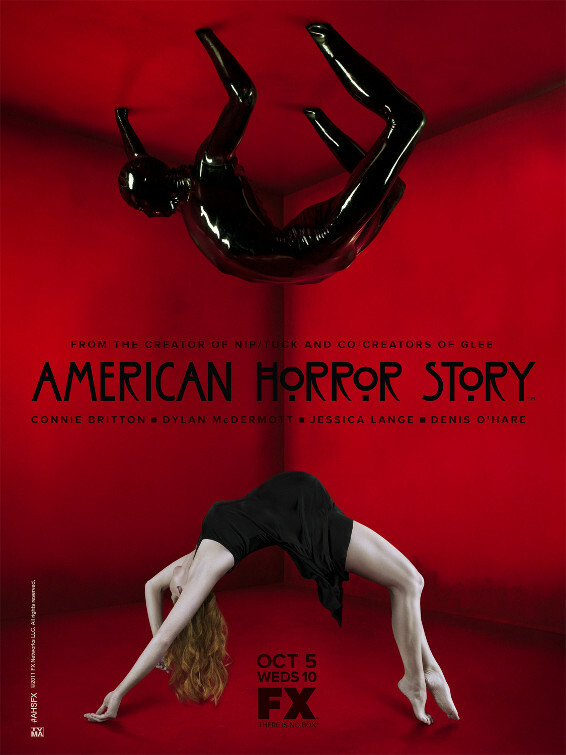 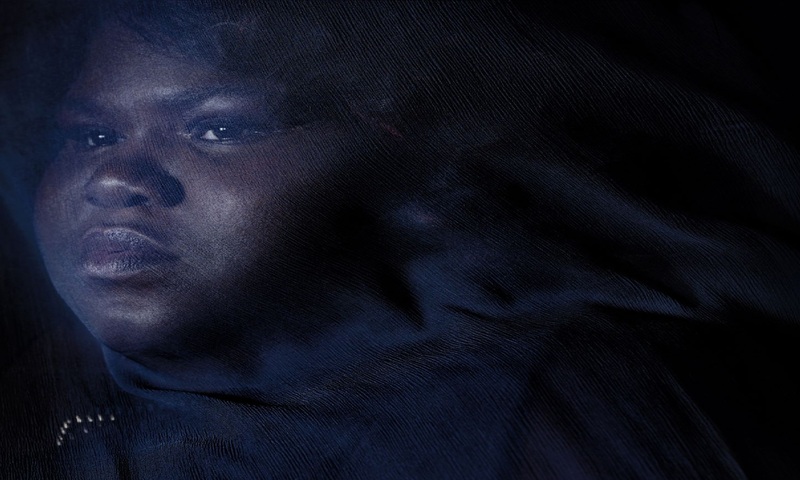 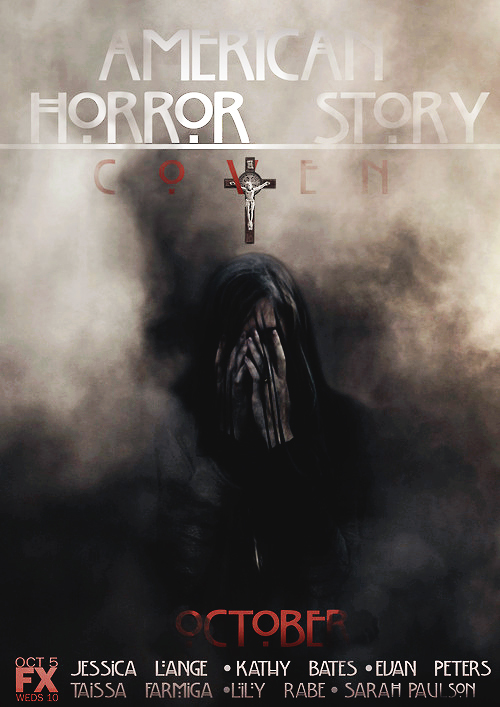 American Horror Story: Coven is the upcoming third season of the FX horror anthology television series American Horror Story. 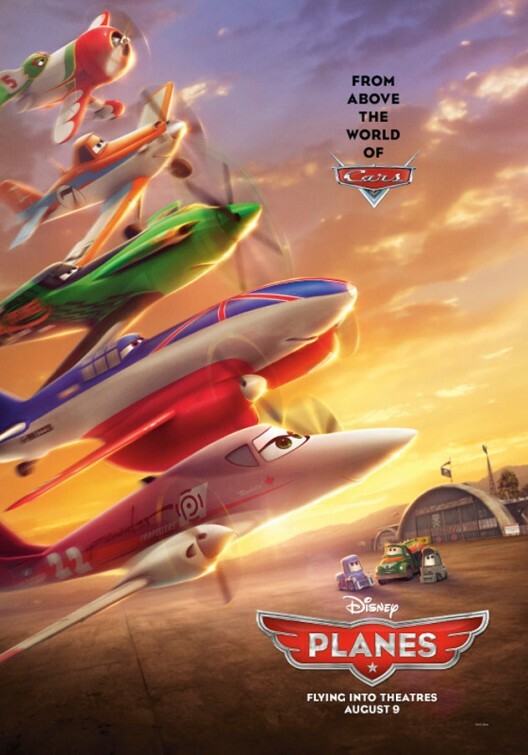 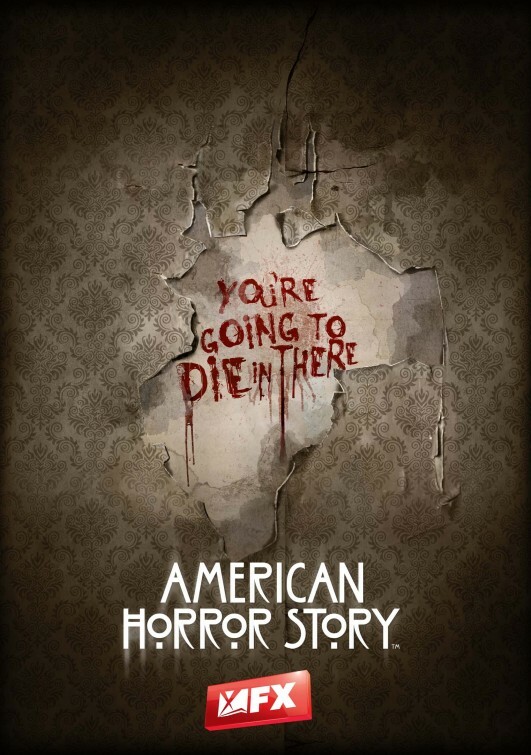 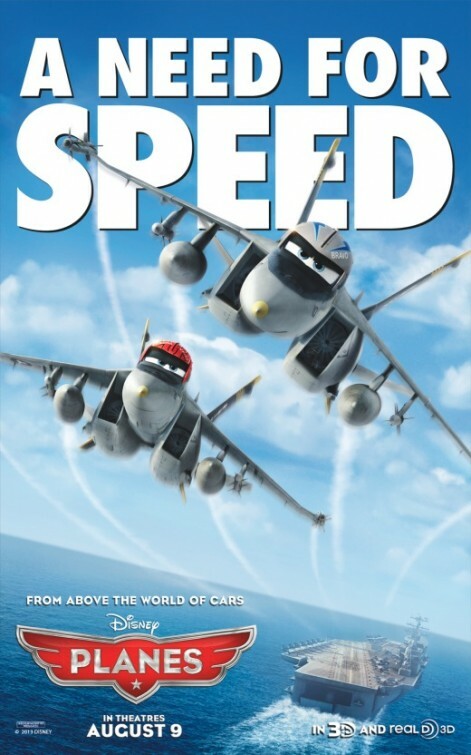 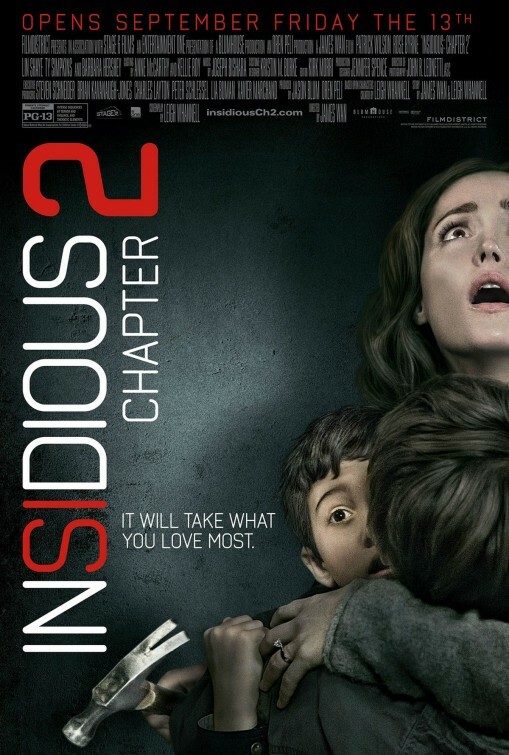 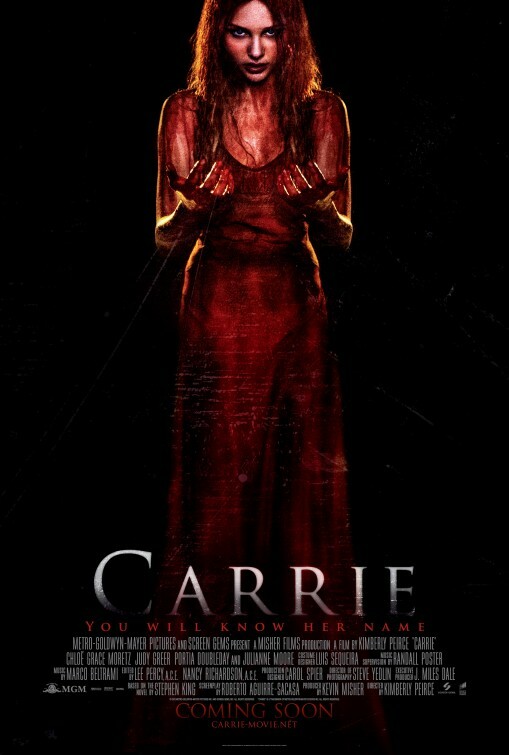 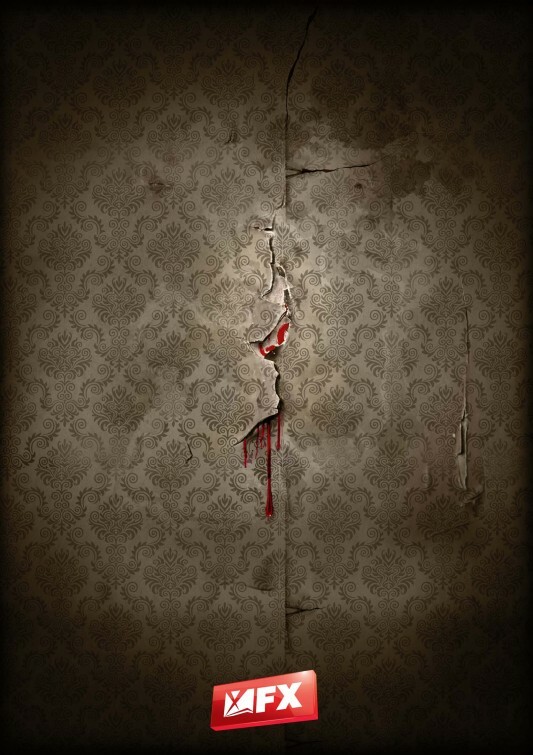 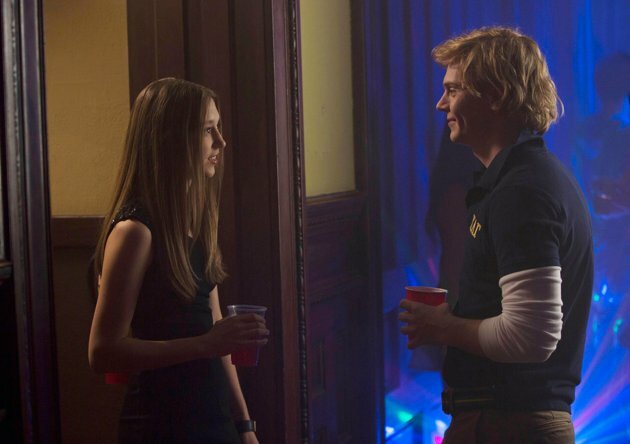 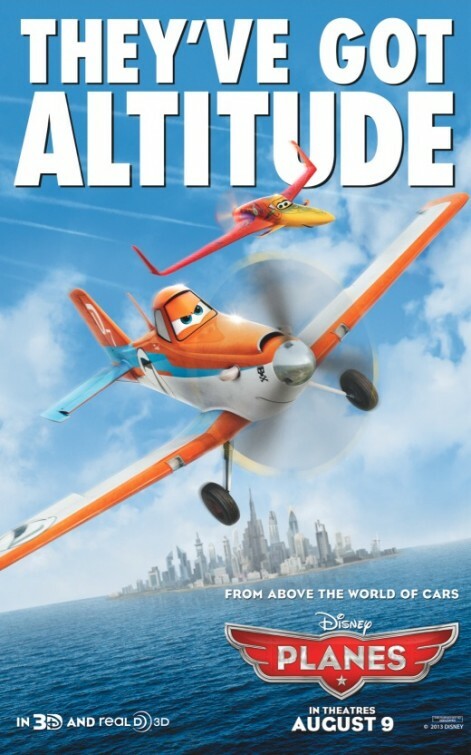 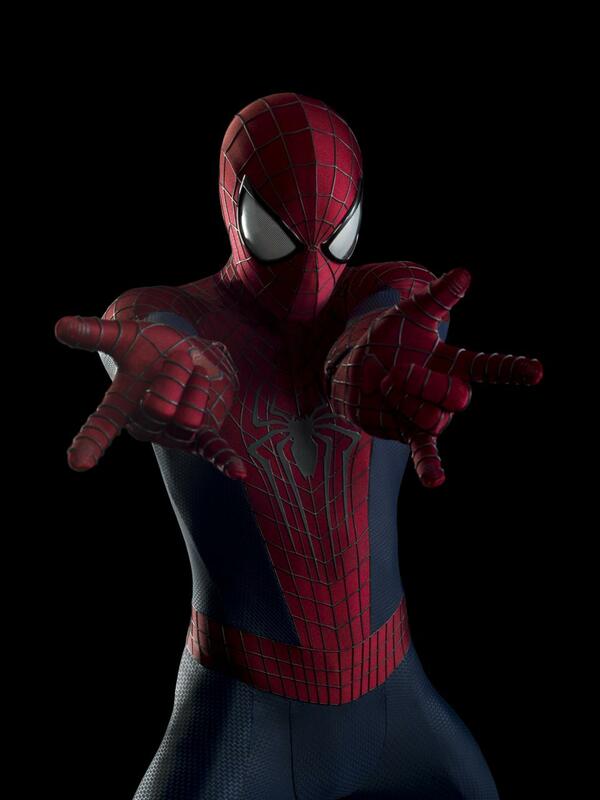 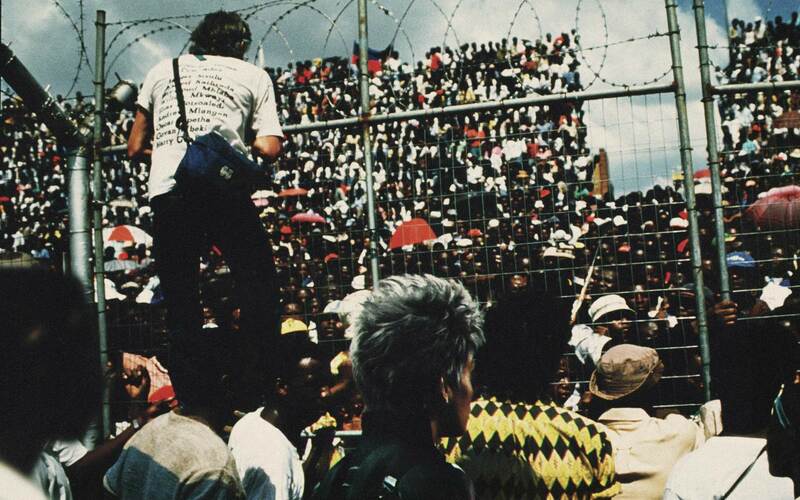 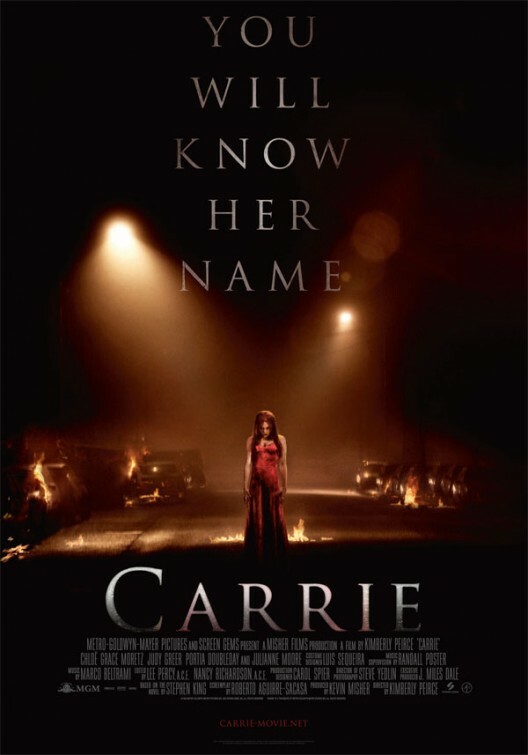 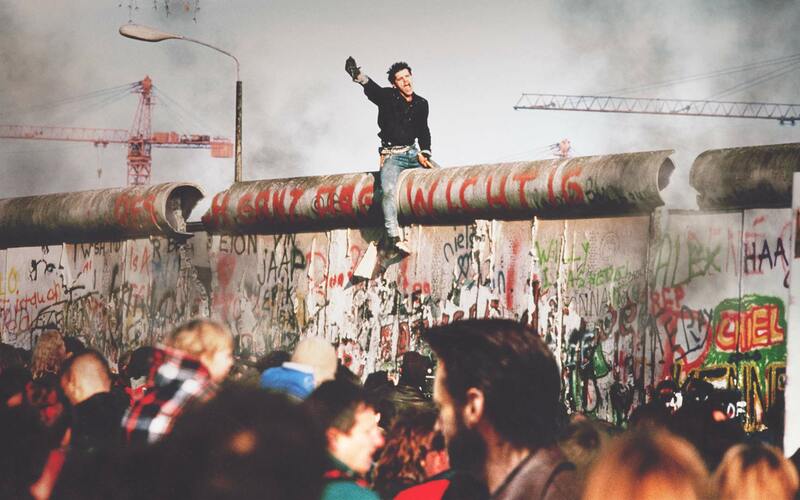 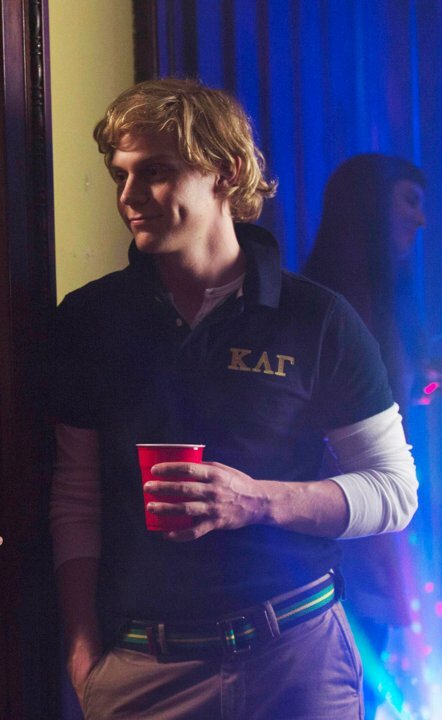 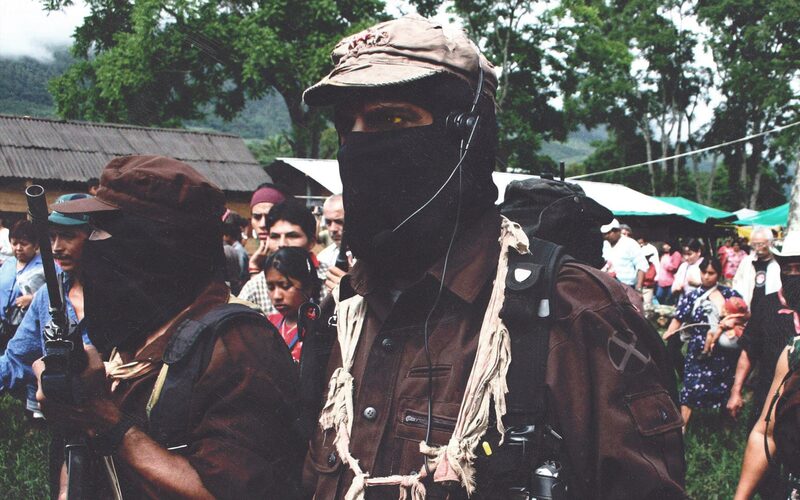 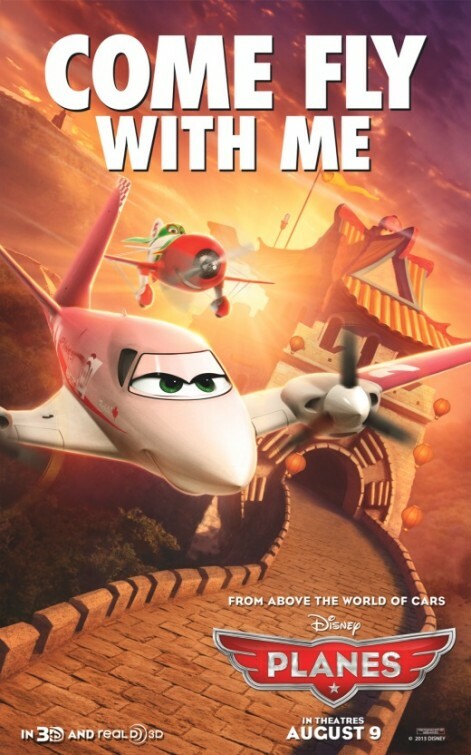 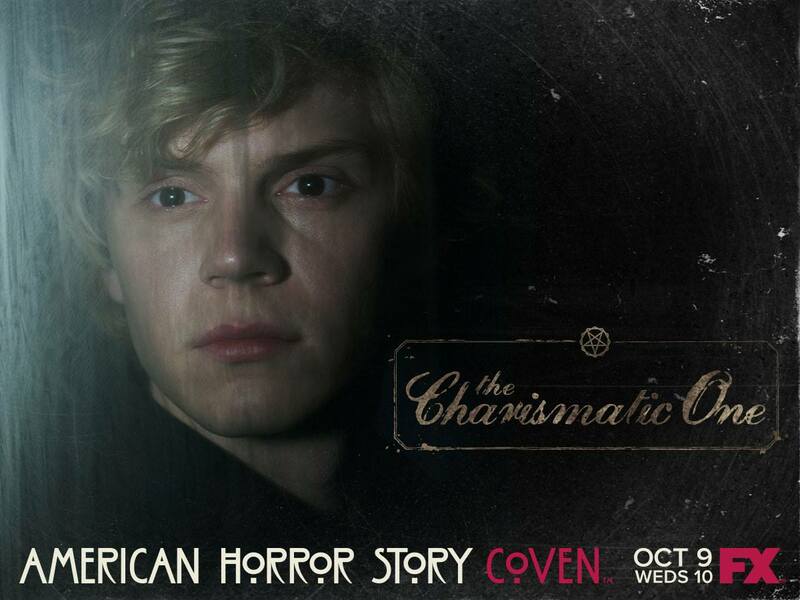 It is set to premiere on October 9, 2013 and conclude in January 2014. 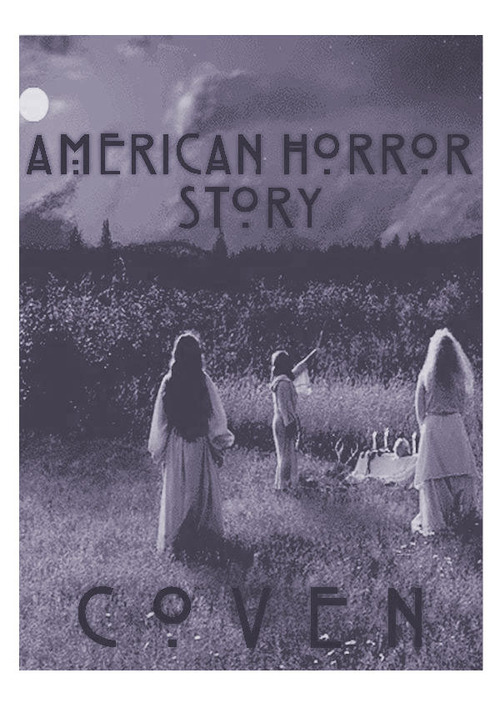 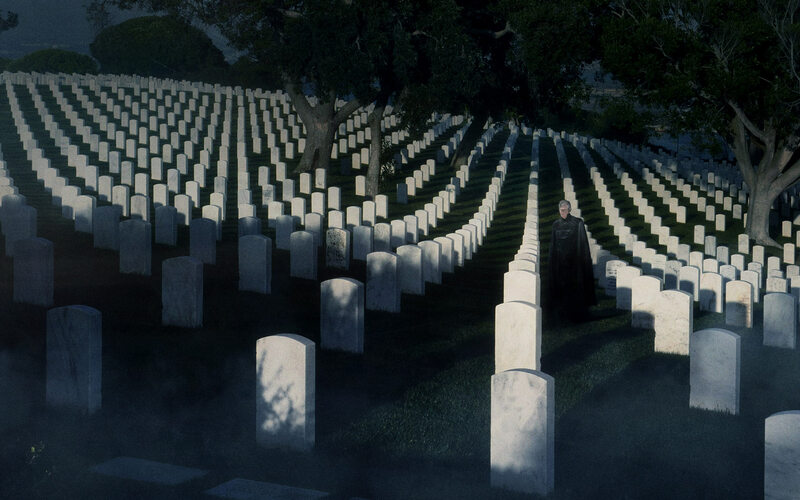 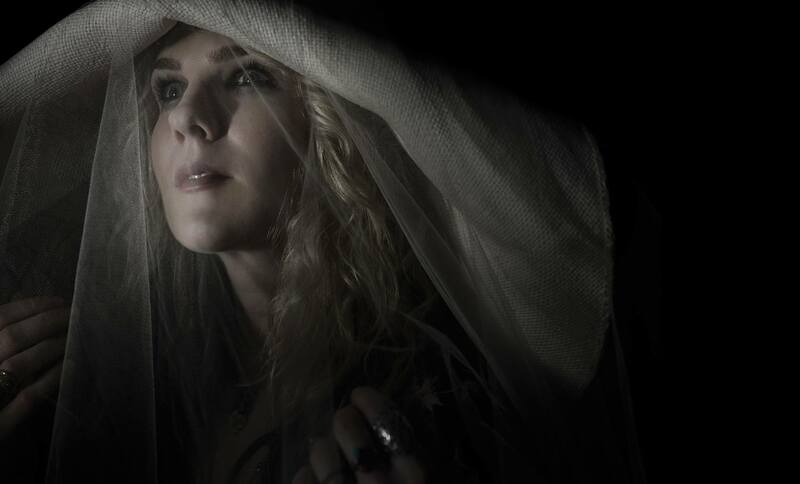 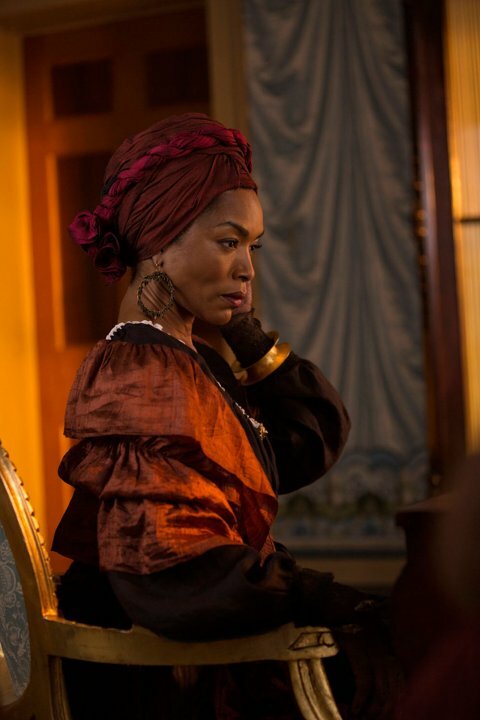 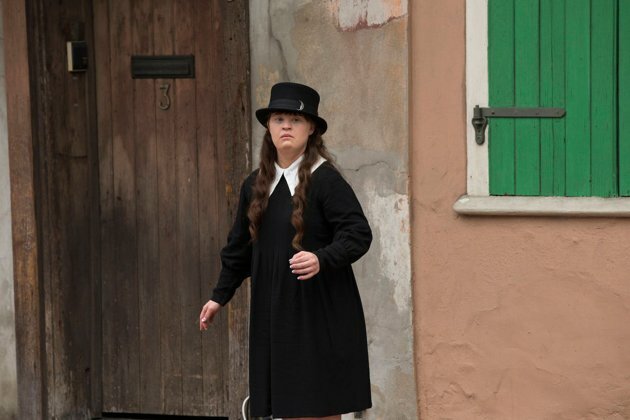 American Horror Story‘s third season will center on a coven of witches that relocated from Salem, Massachusetts to New Orleans, Louisiana before The Salem Witch Trials. 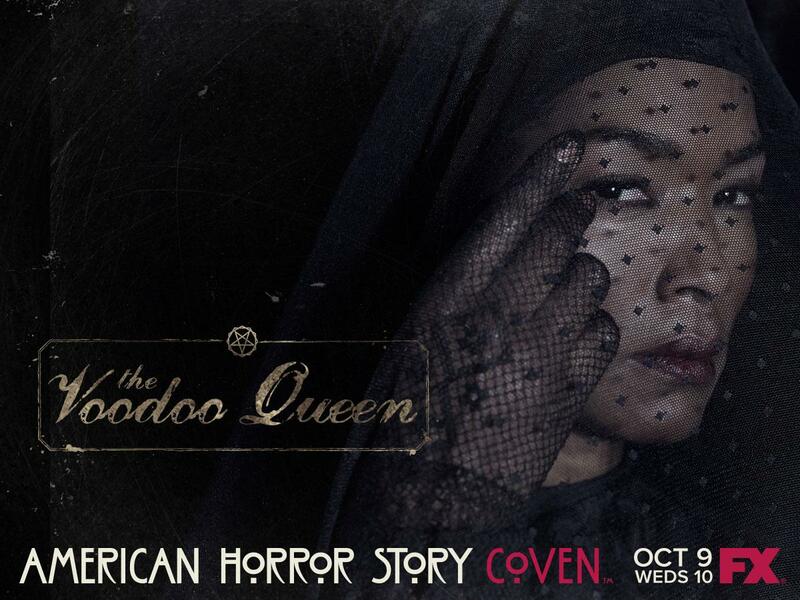 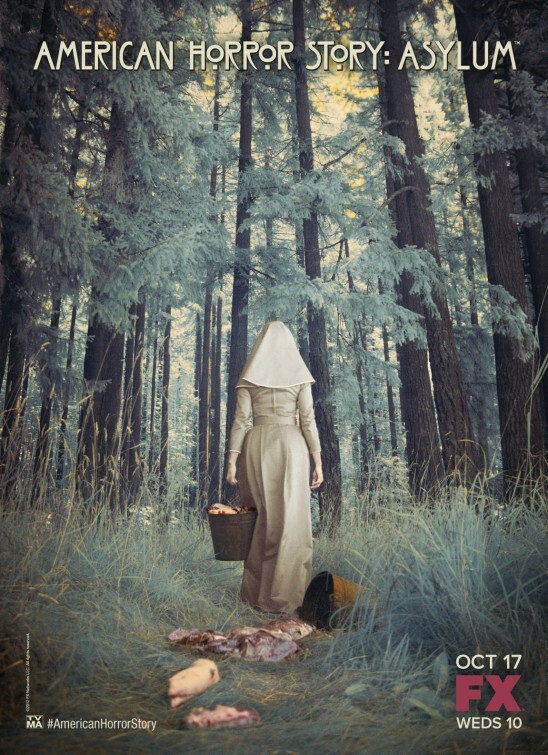 The themes include witches, witch hunts, and witchcraft vs voodoo. 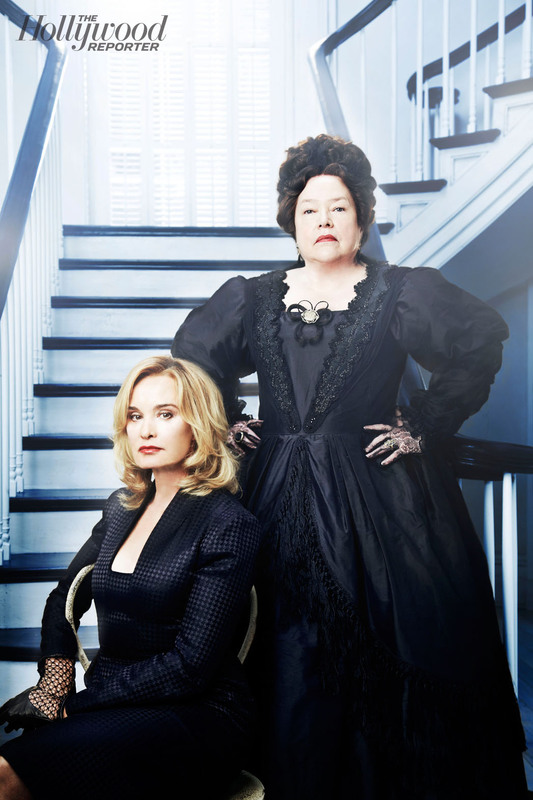 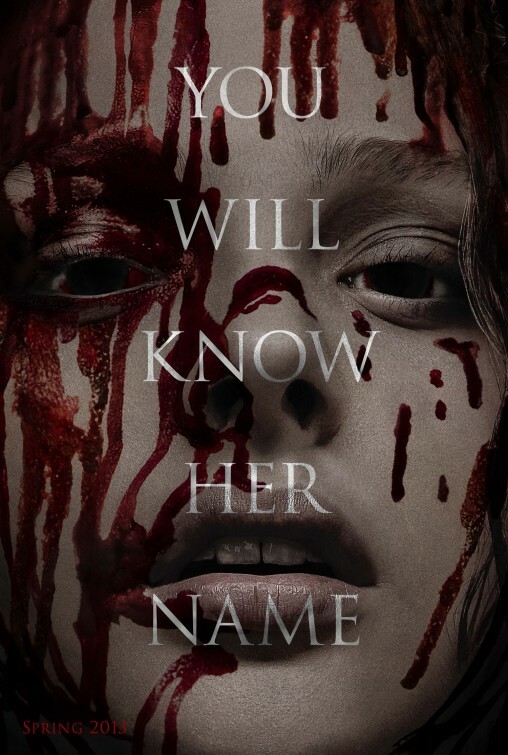 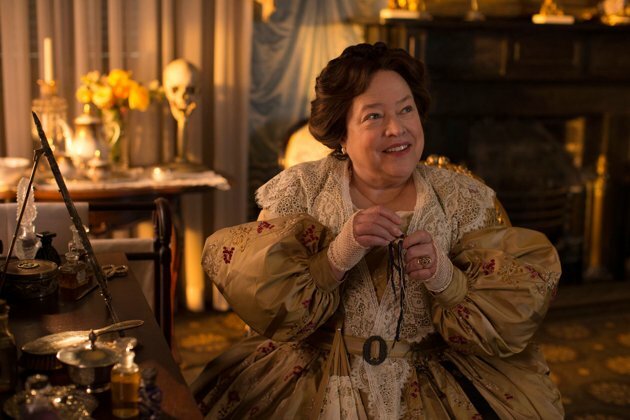 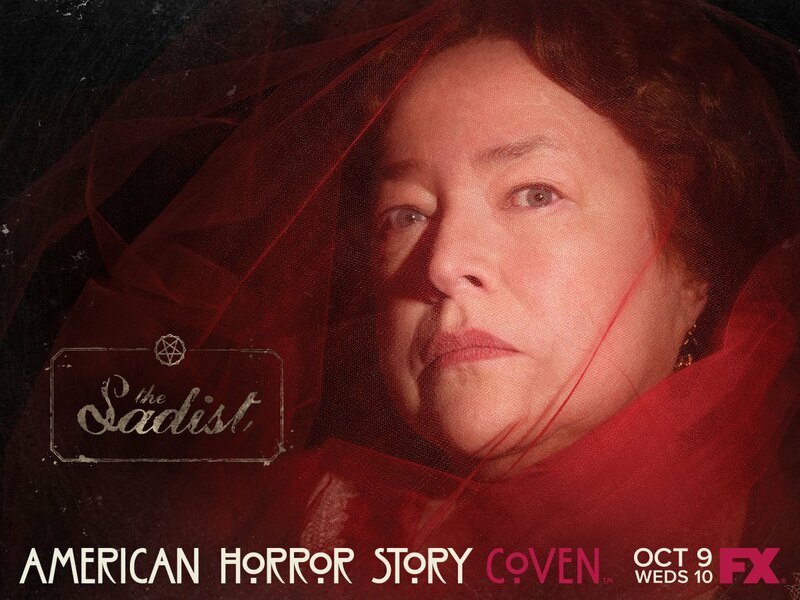 Kathy Bates will portray infamous serial killer Delphine LaLaurie who, at the start, is Fiona’s (Jessica Lange) best friend, but later becomes her worst enemy. 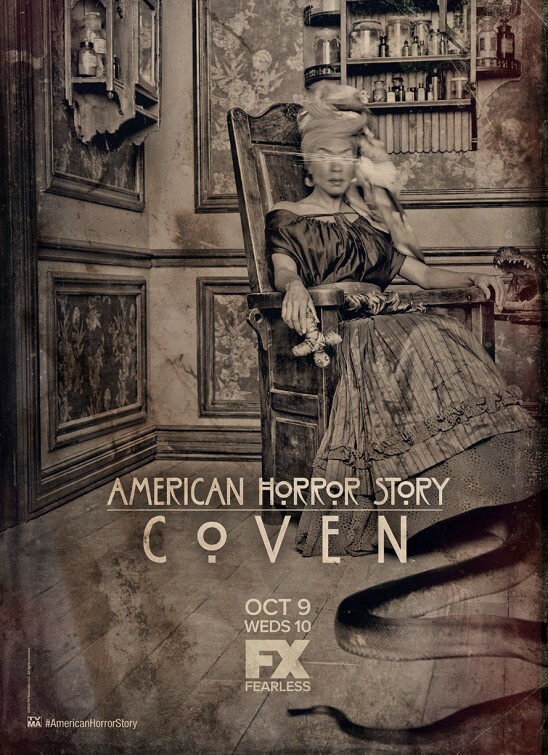 Frances Conroy is set to play Ruth, Fiona’s “rival from high school times.” This season will be set in modern day and the 1830s. 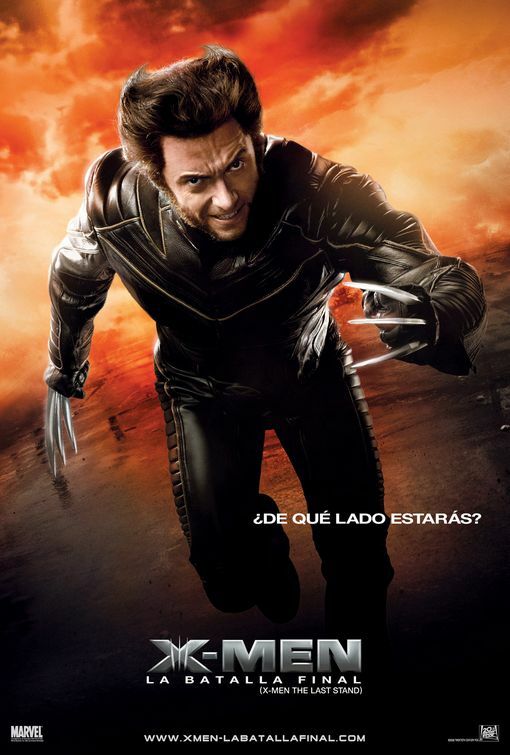 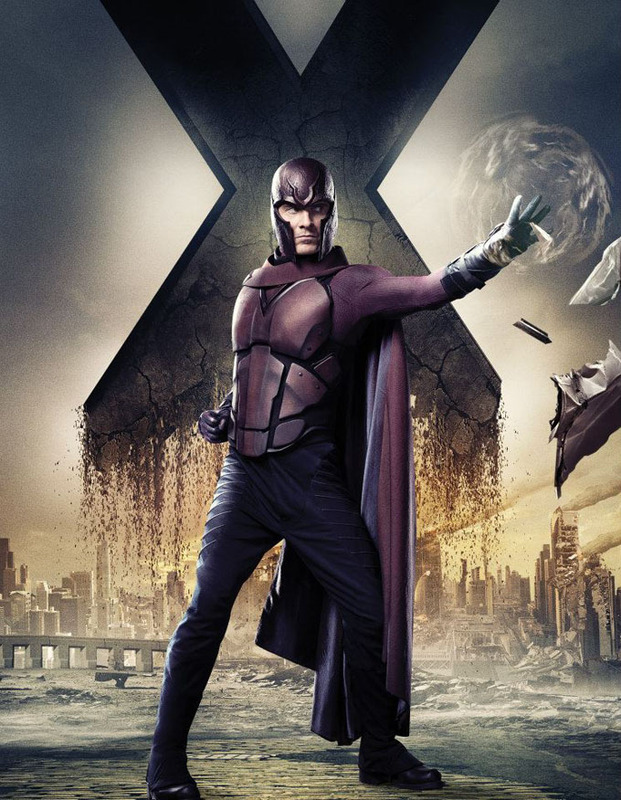 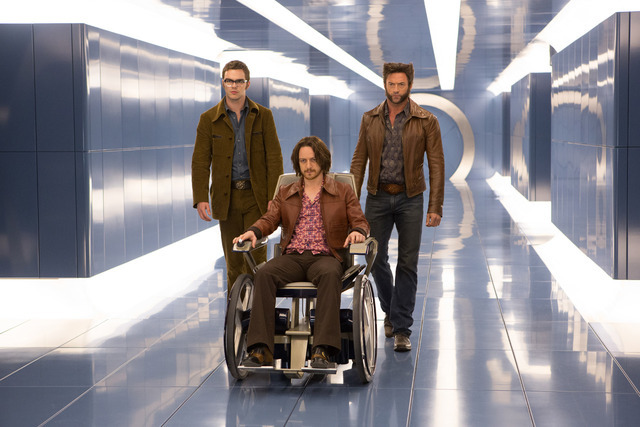 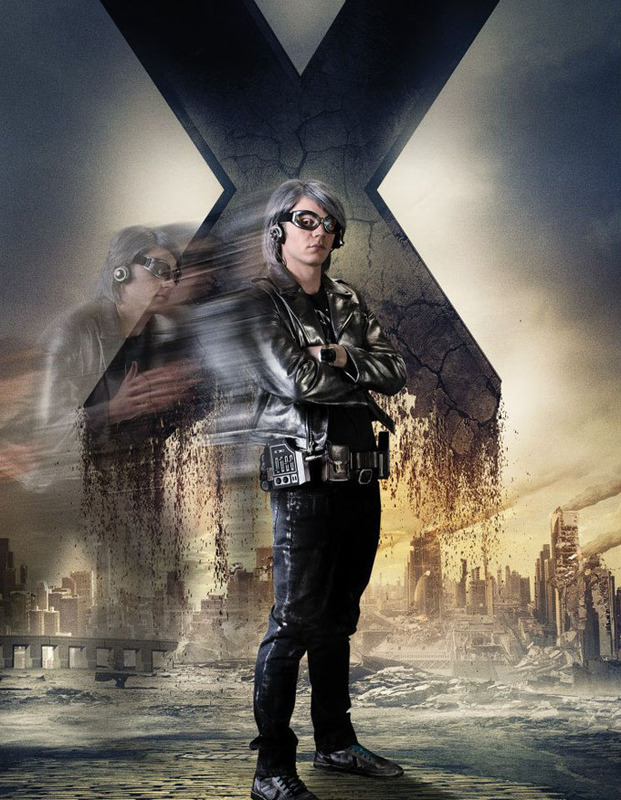 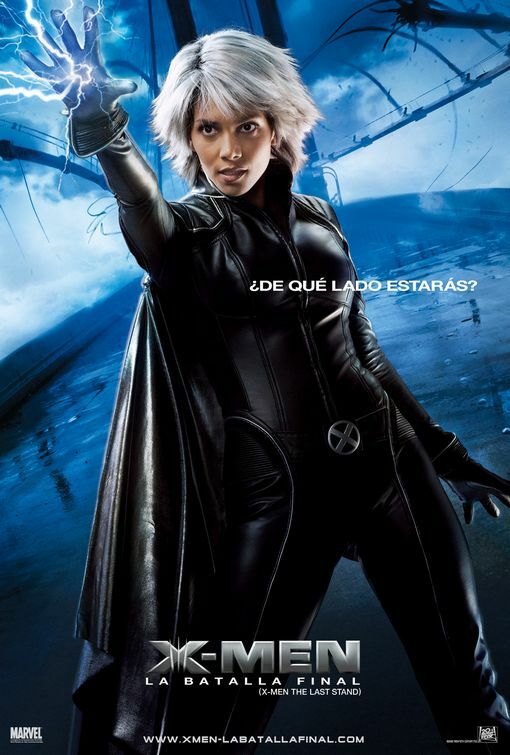 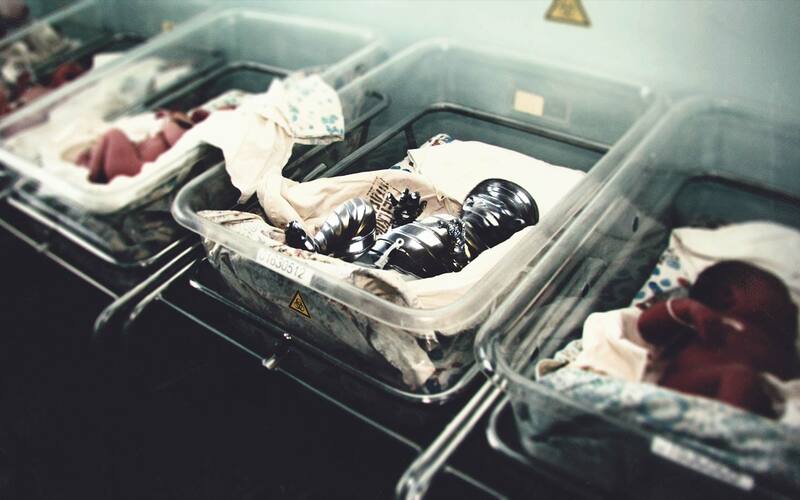 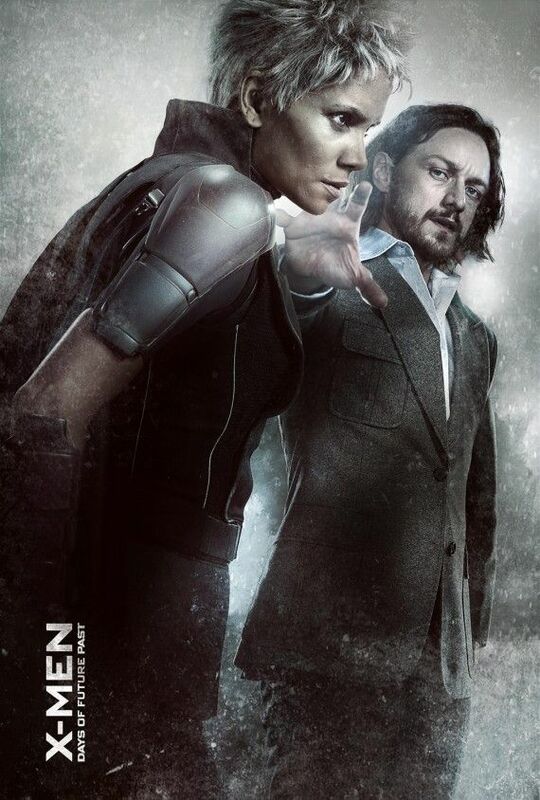 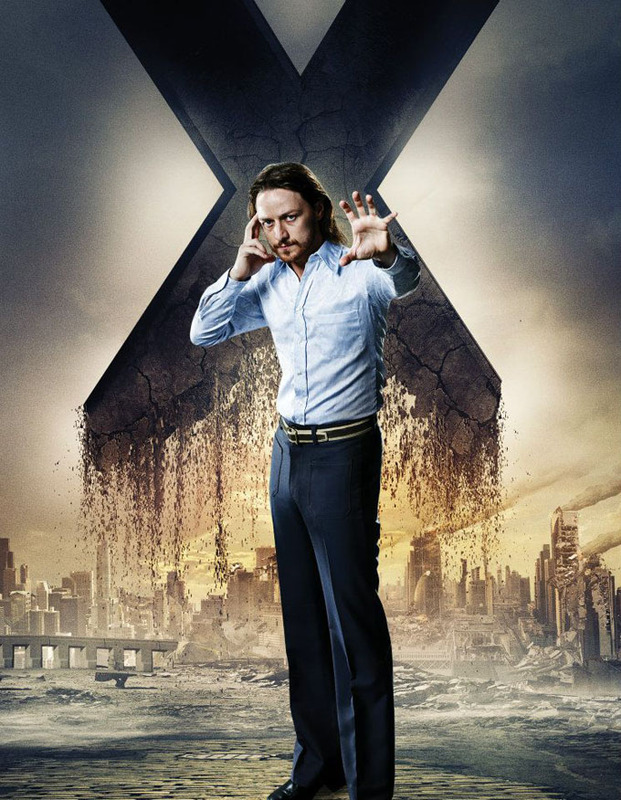 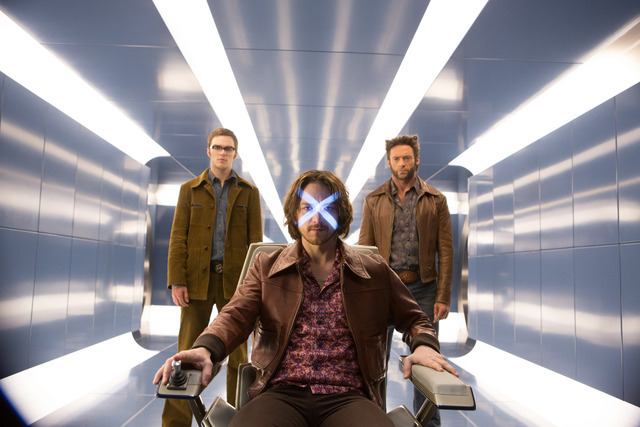 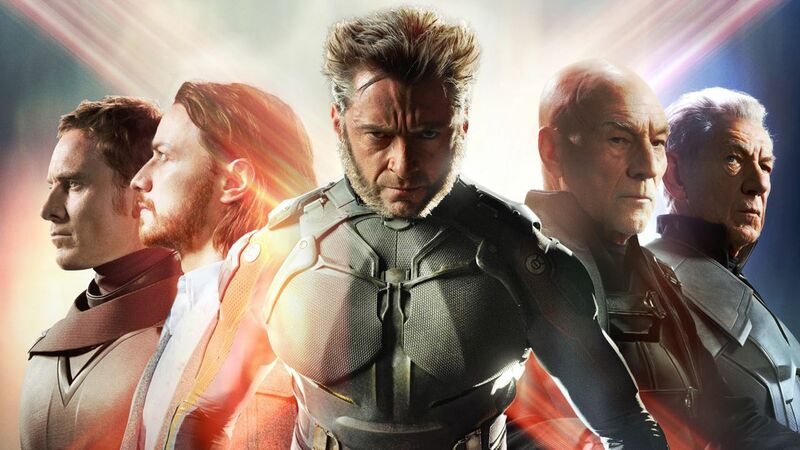 X-Men: Days of Future Past is an upcoming American superhero film co-written, produced and directed by Bryan Singer and featuring the X-Men characters appearing in Marvel Comics. 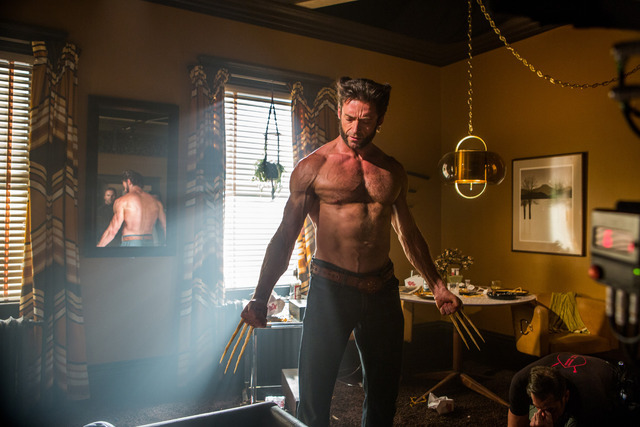 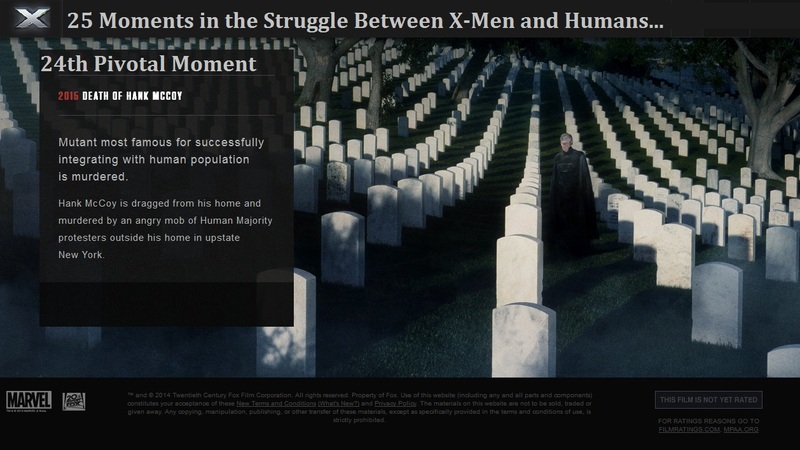 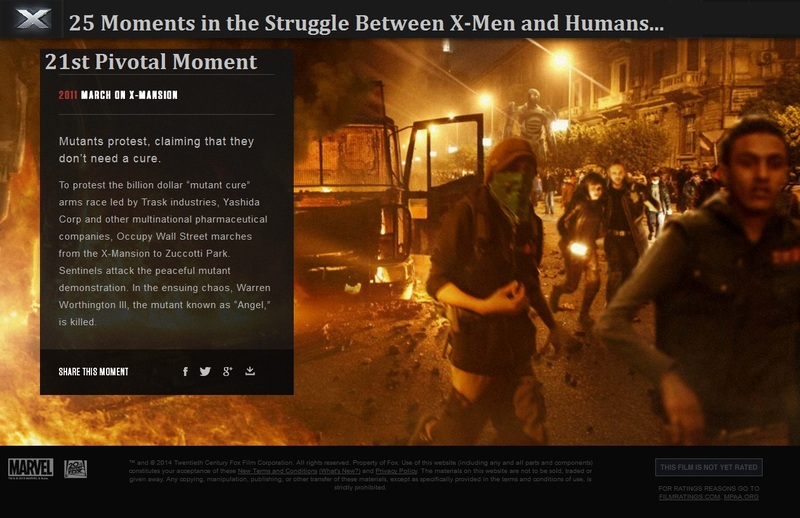 It is intended to be the seventh installment in the X-Men film series. 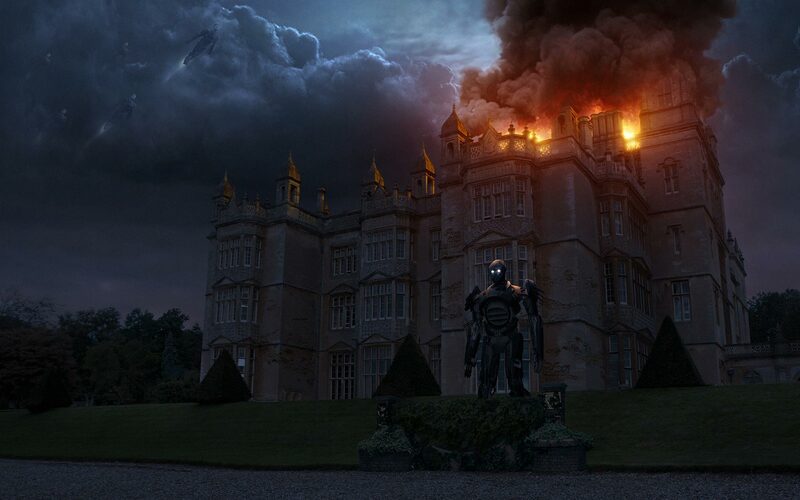 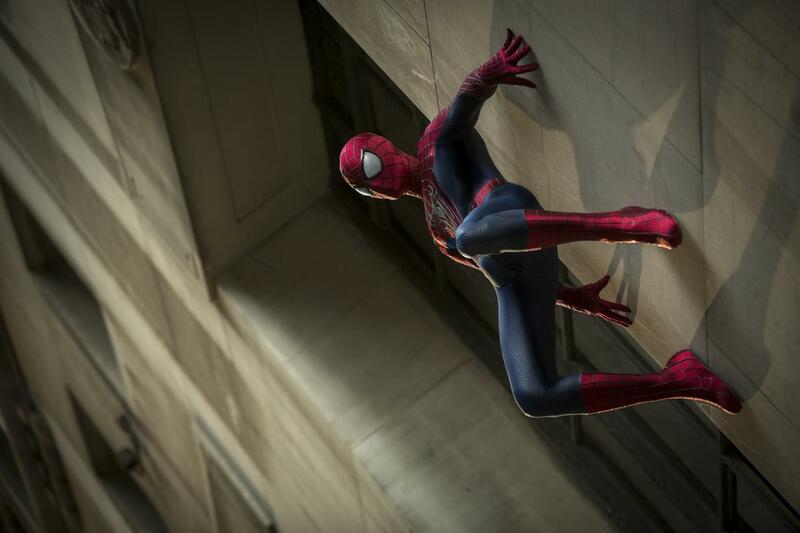 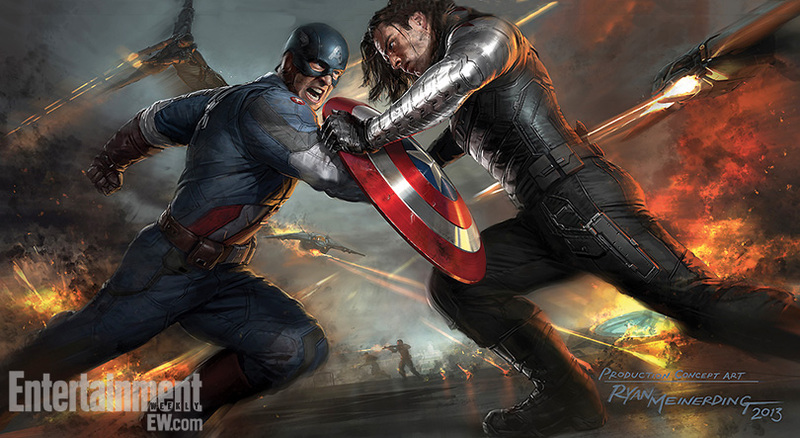 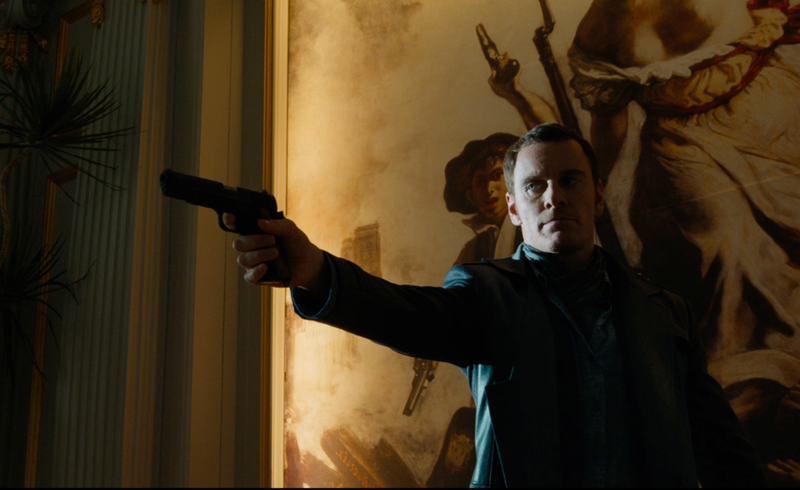 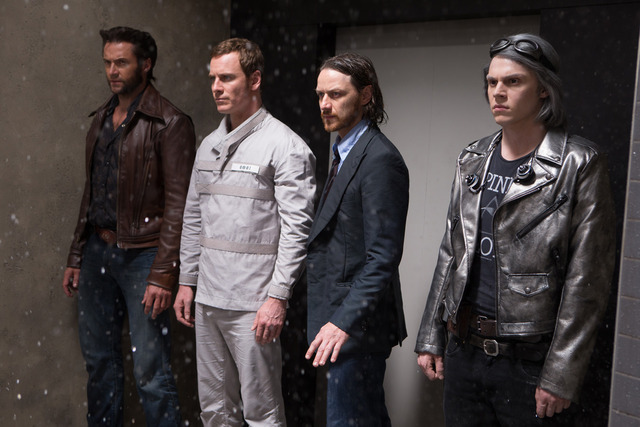 The screenplay is written by Simon Kinberg, Matthew Vaughn, and Jane Goldman, with Singer writing the story. 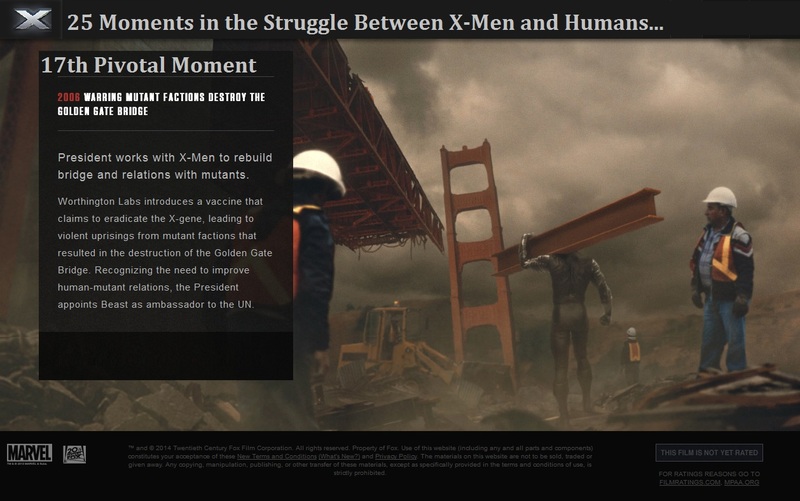 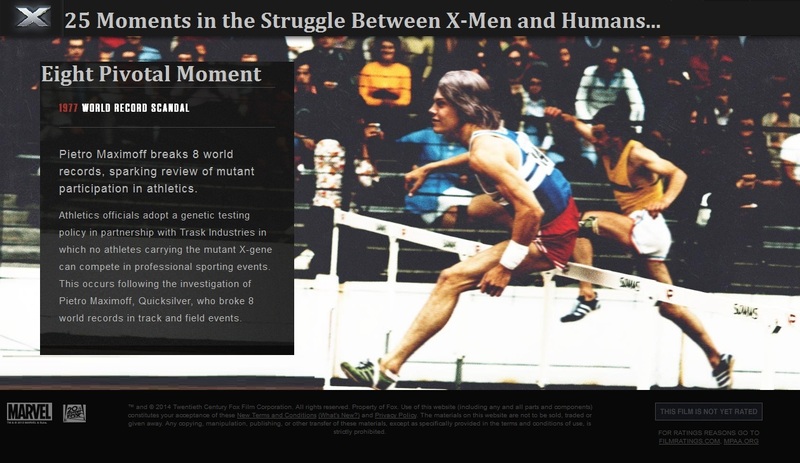 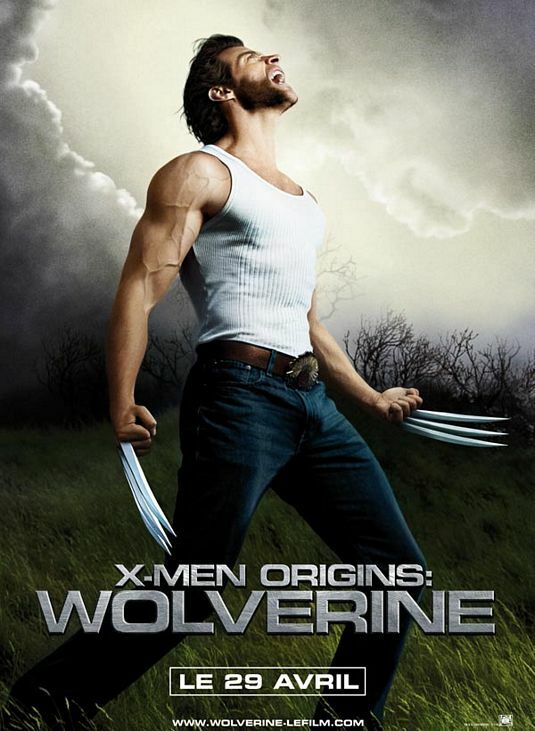 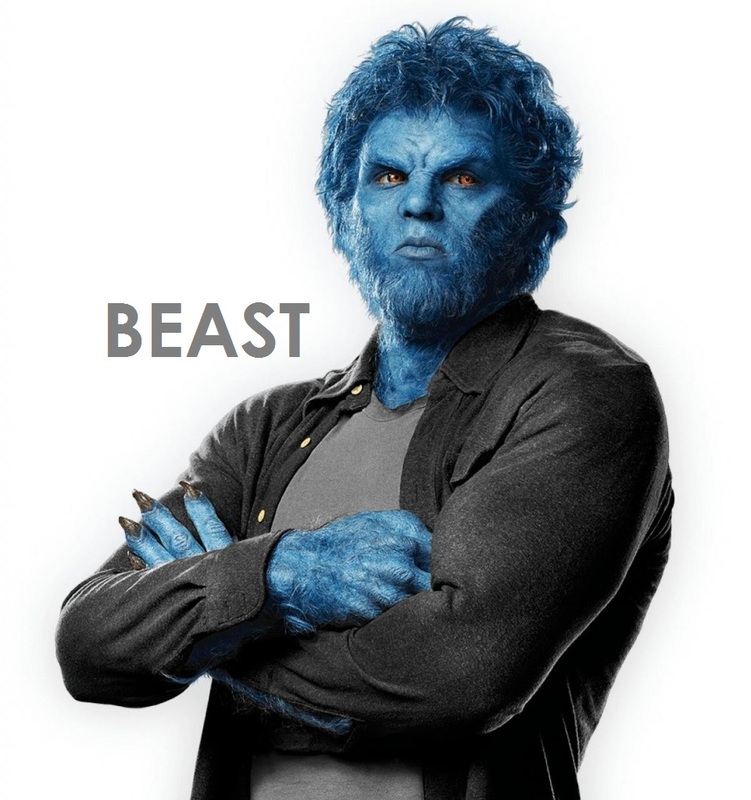 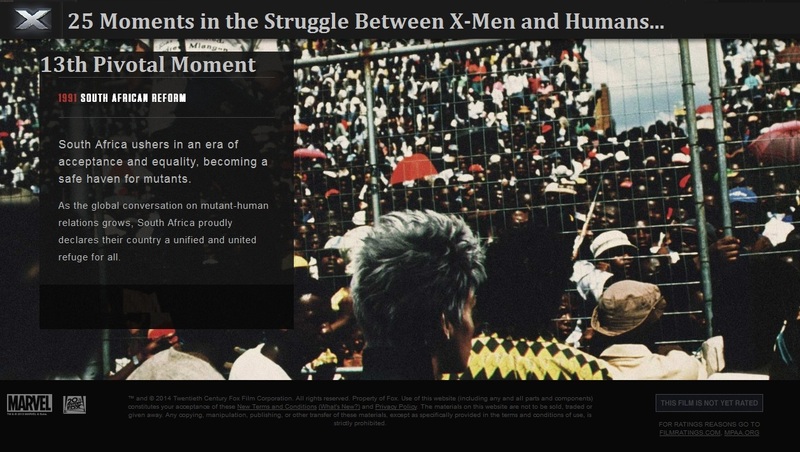 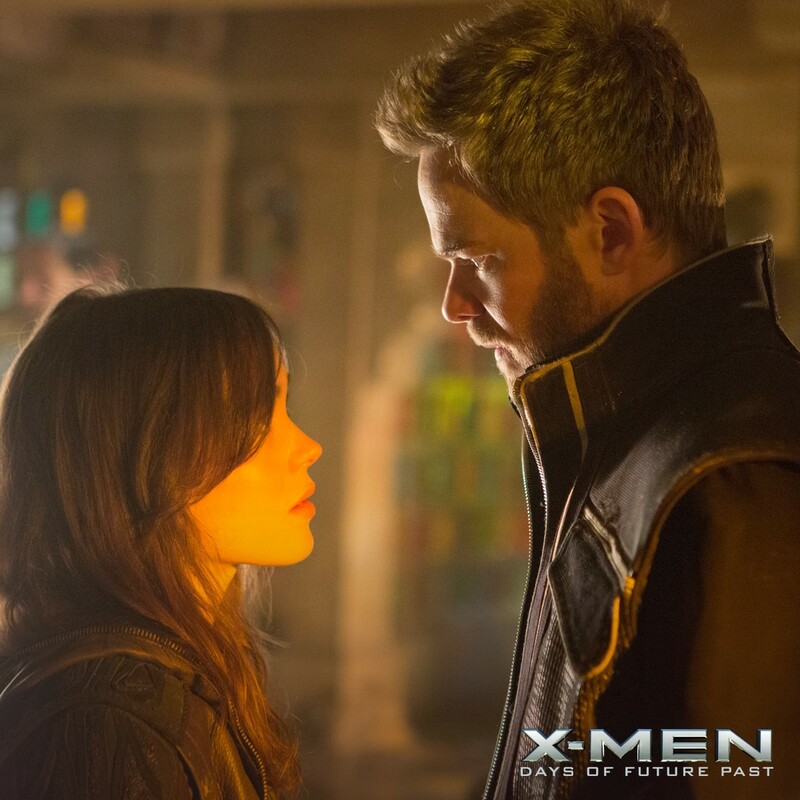 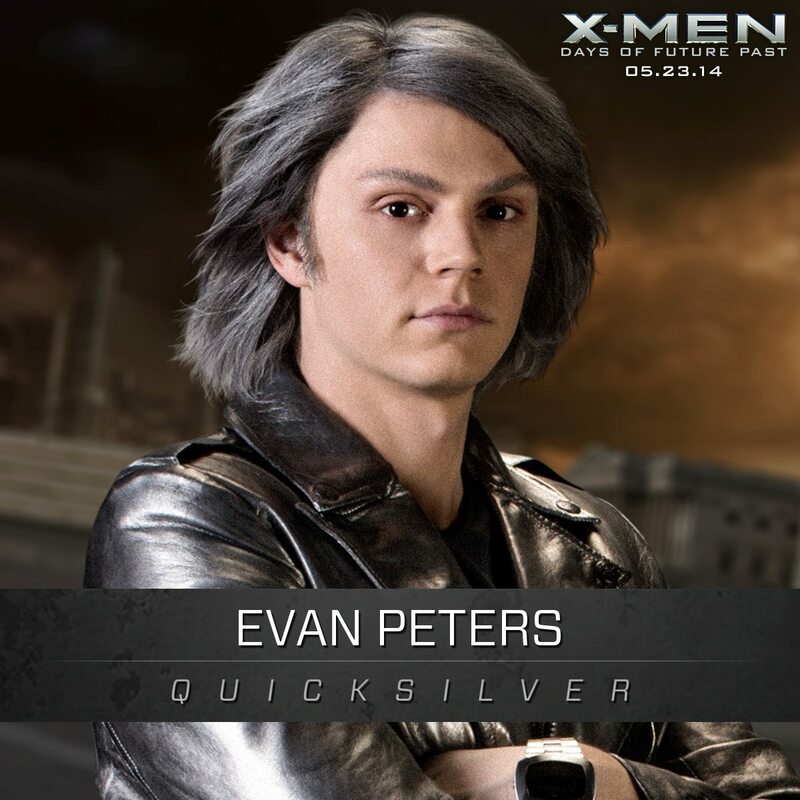 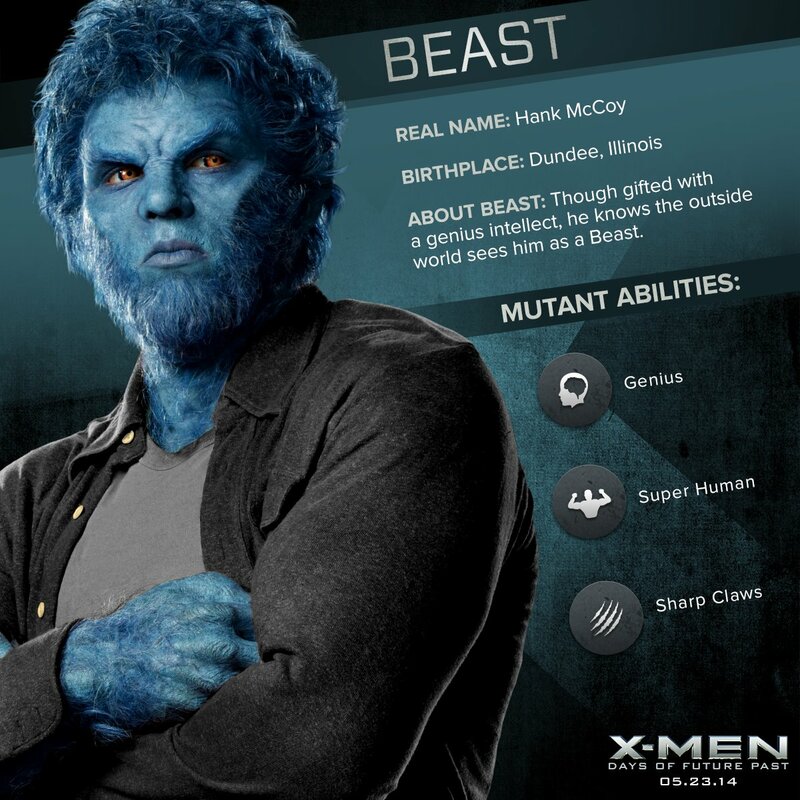 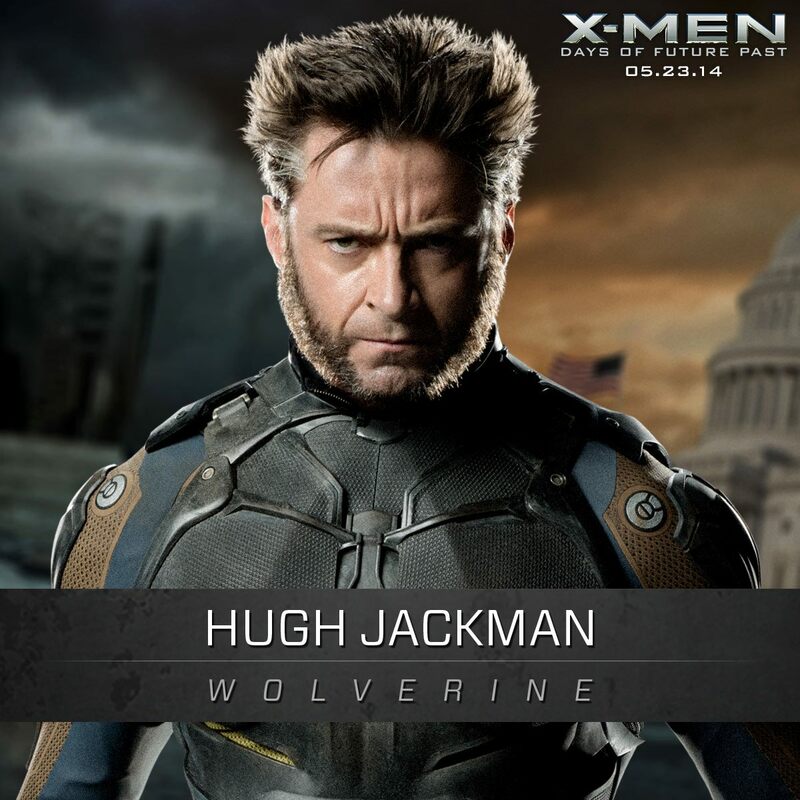 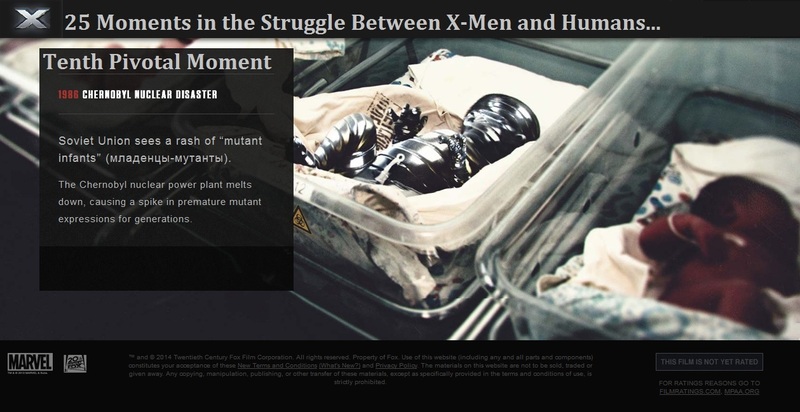 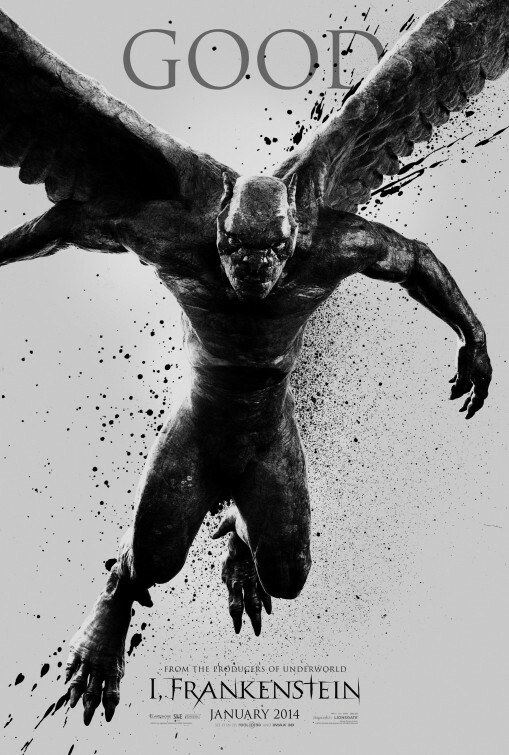 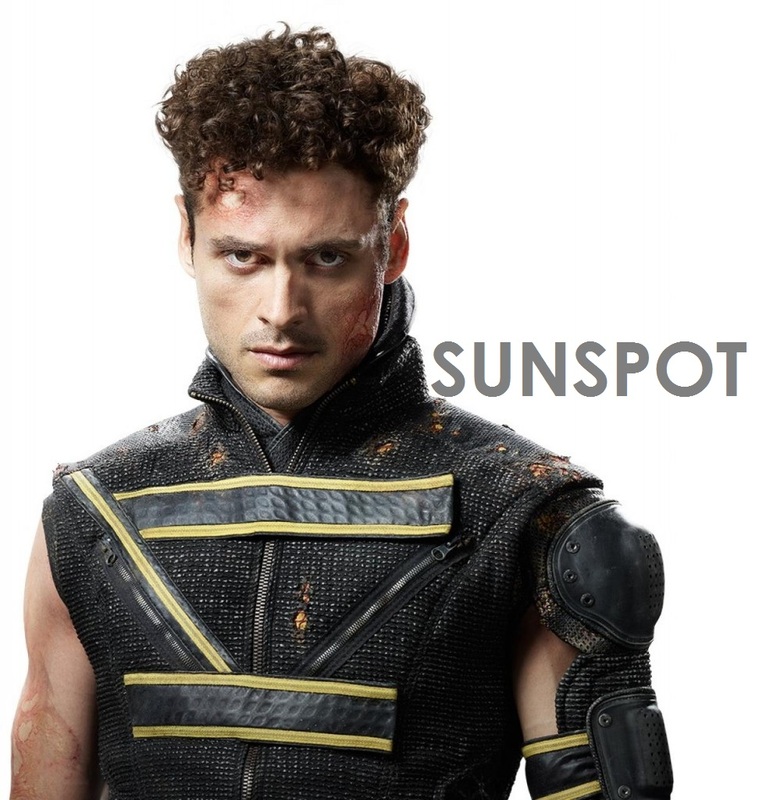 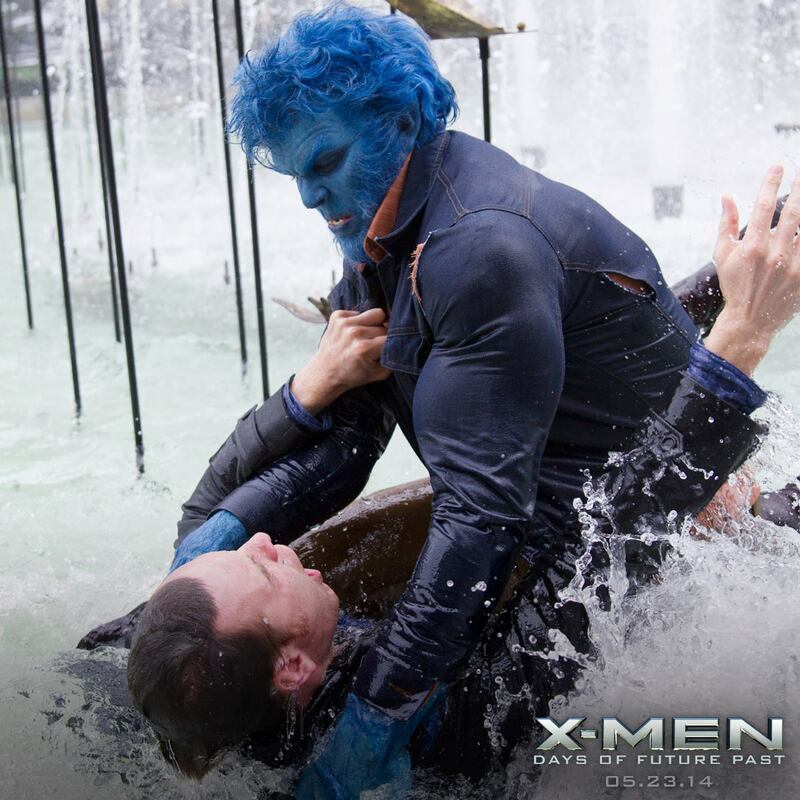 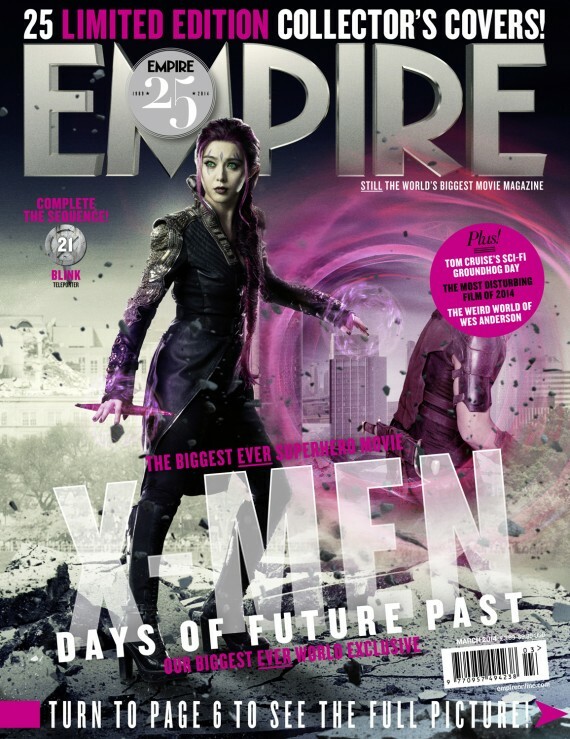 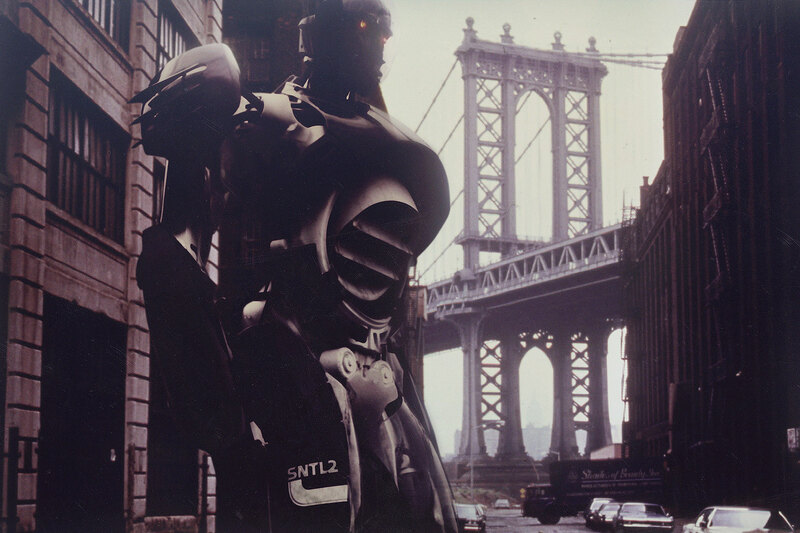 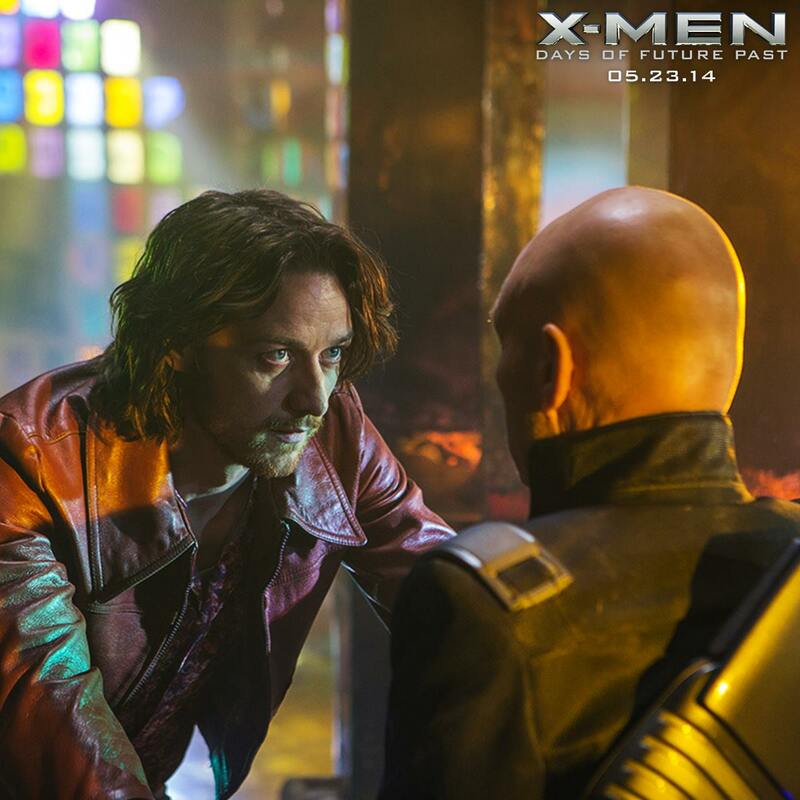 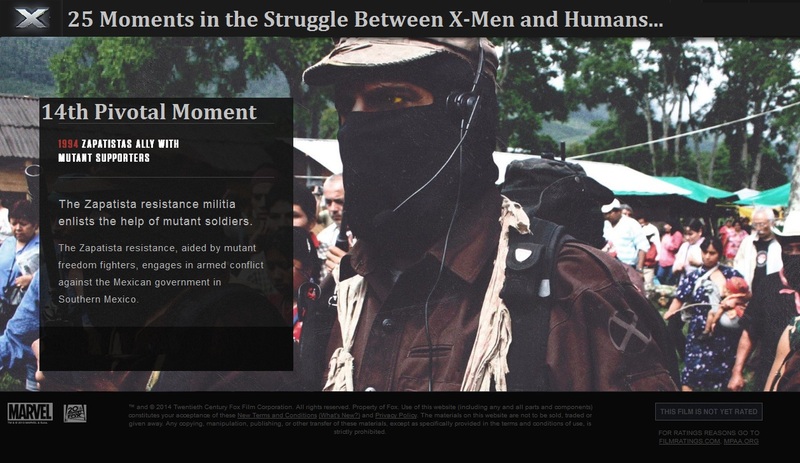 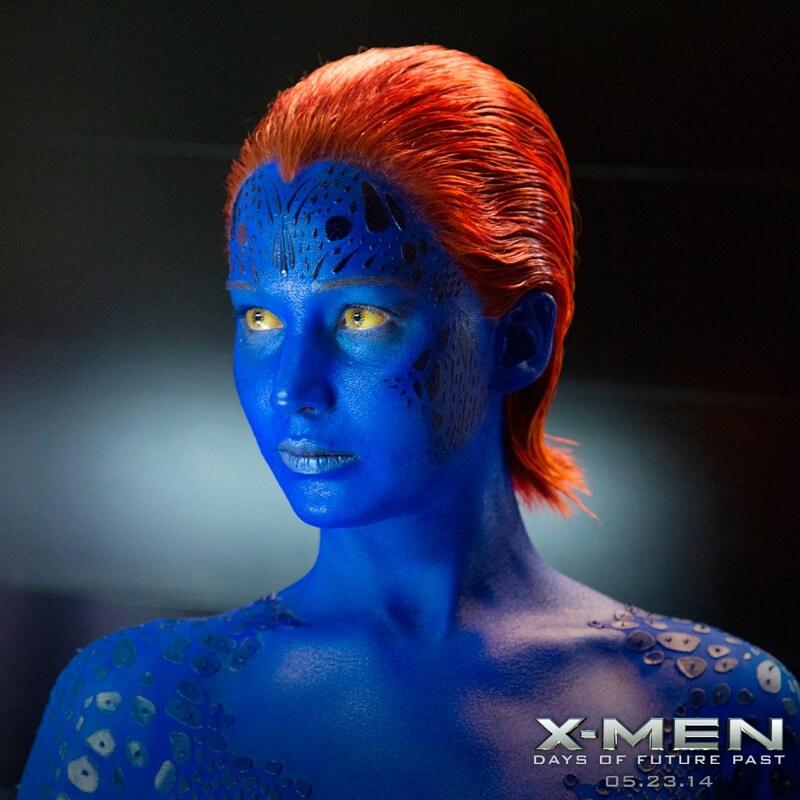 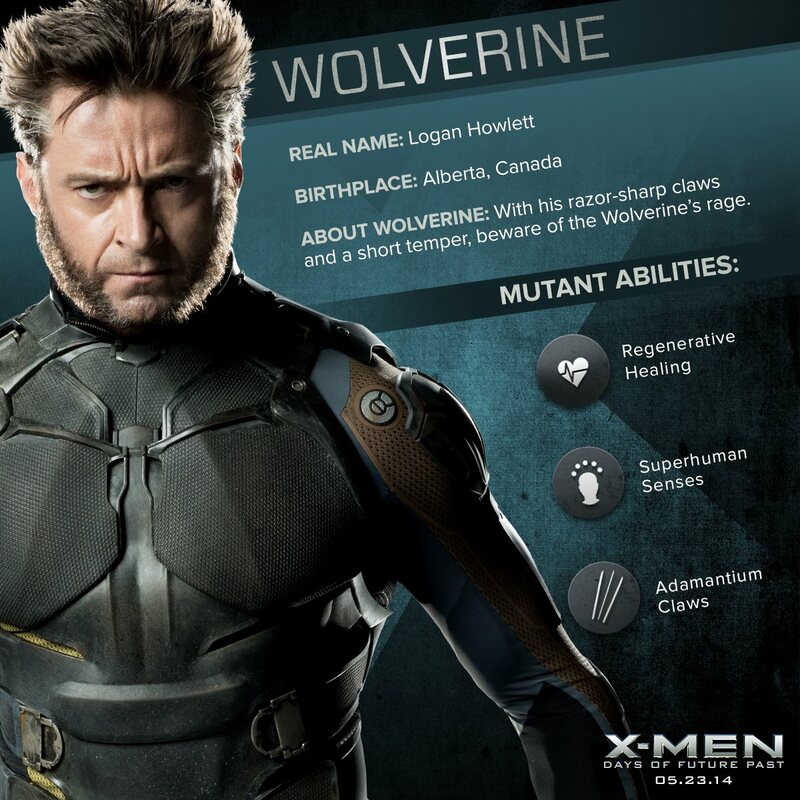 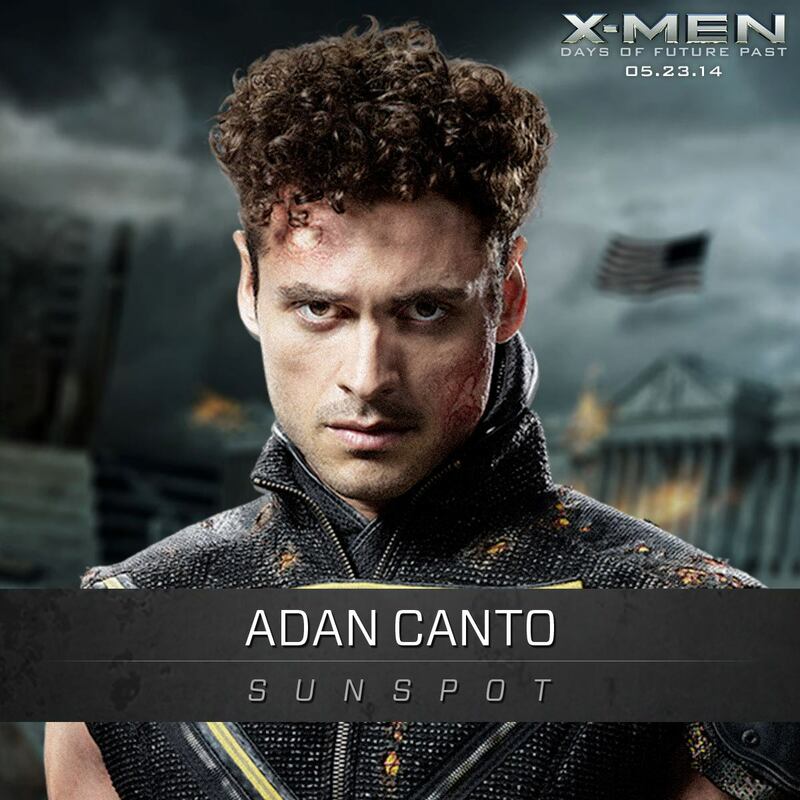 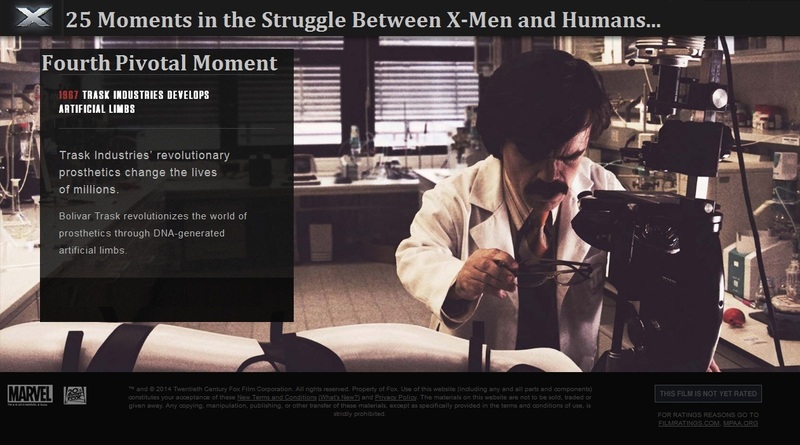 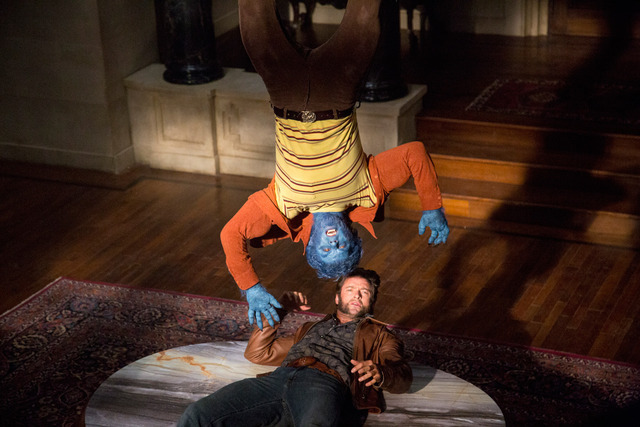 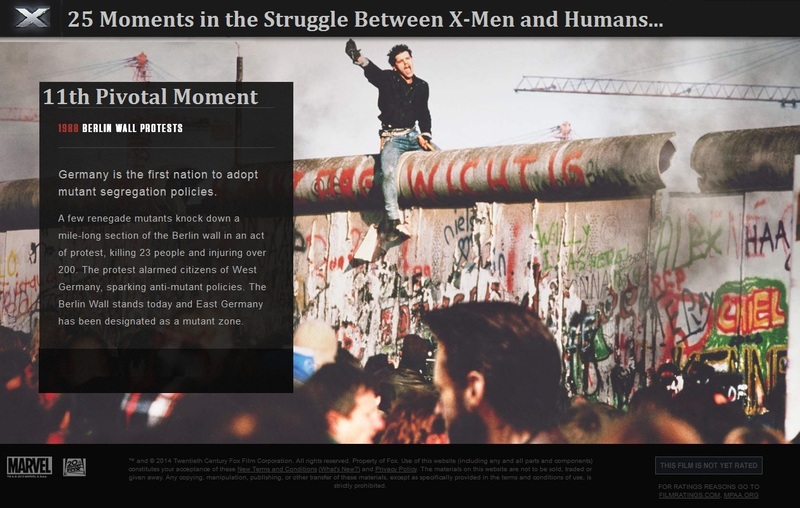 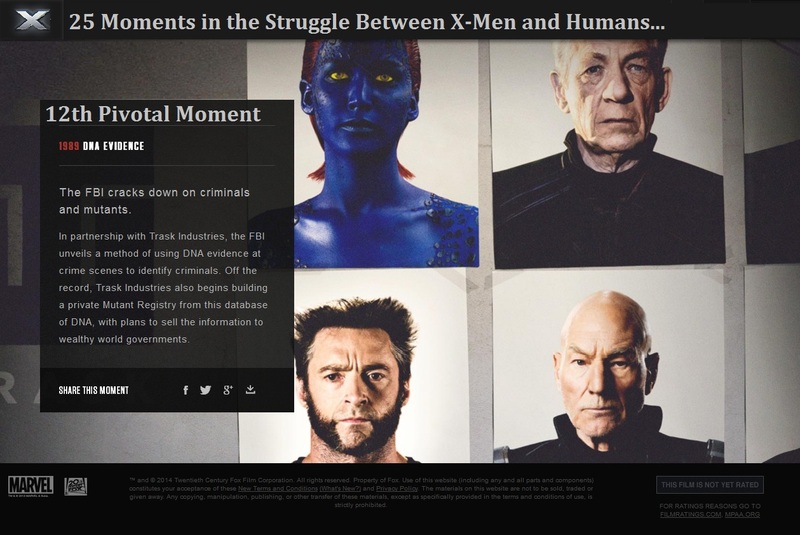 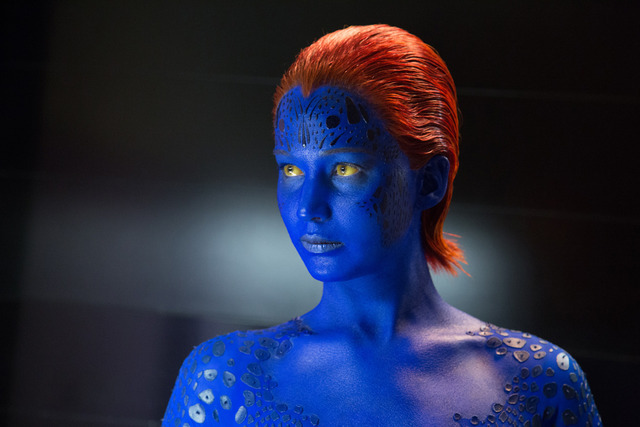 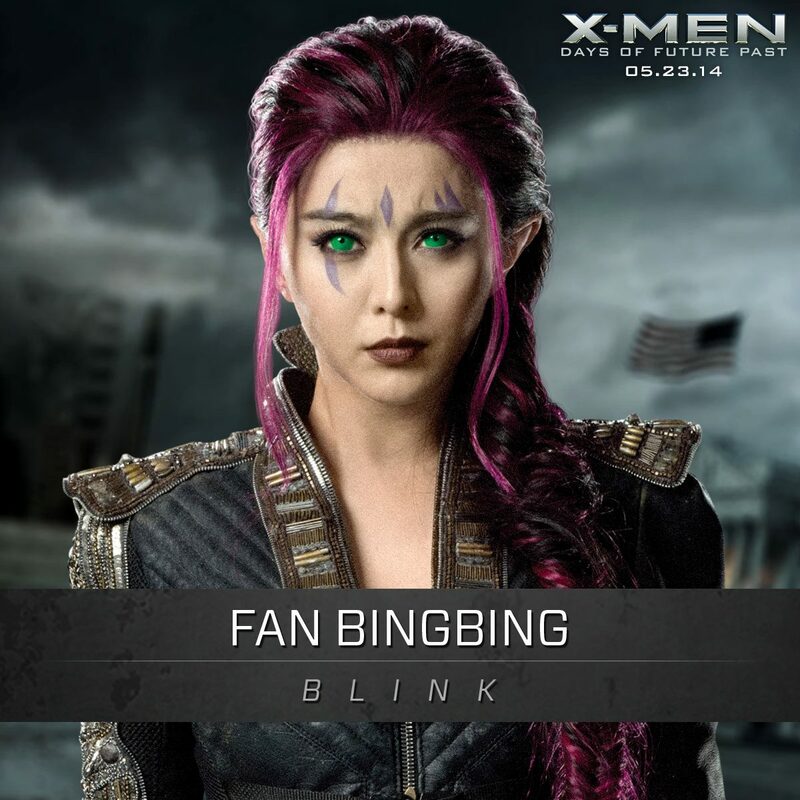 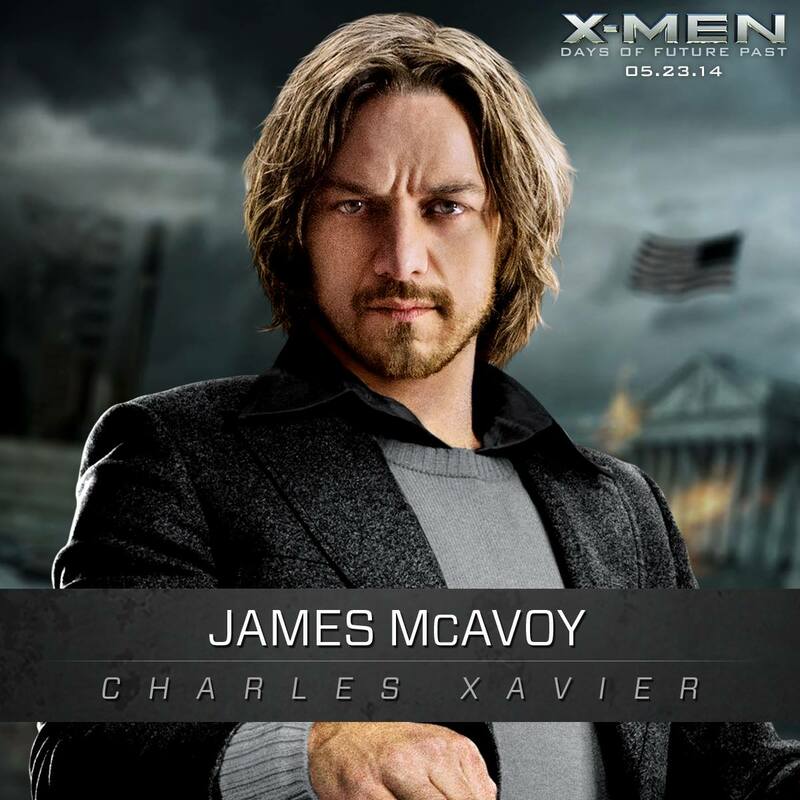 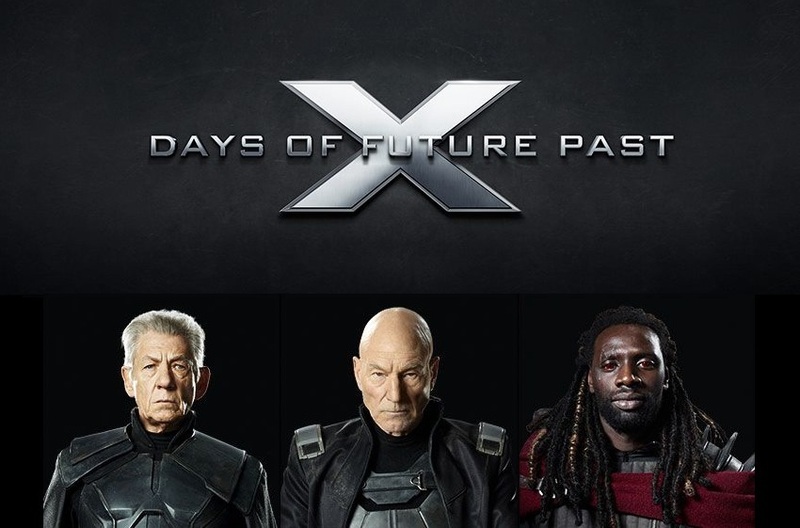 The film is based on the 1981 Uncanny X-Men storyline “Days of Future Past” by Chris Claremont and John Byrne. 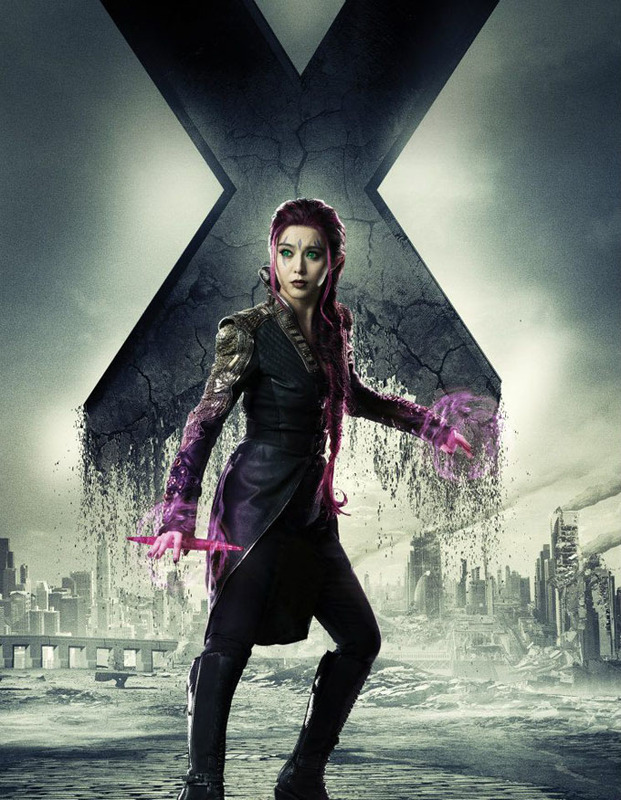 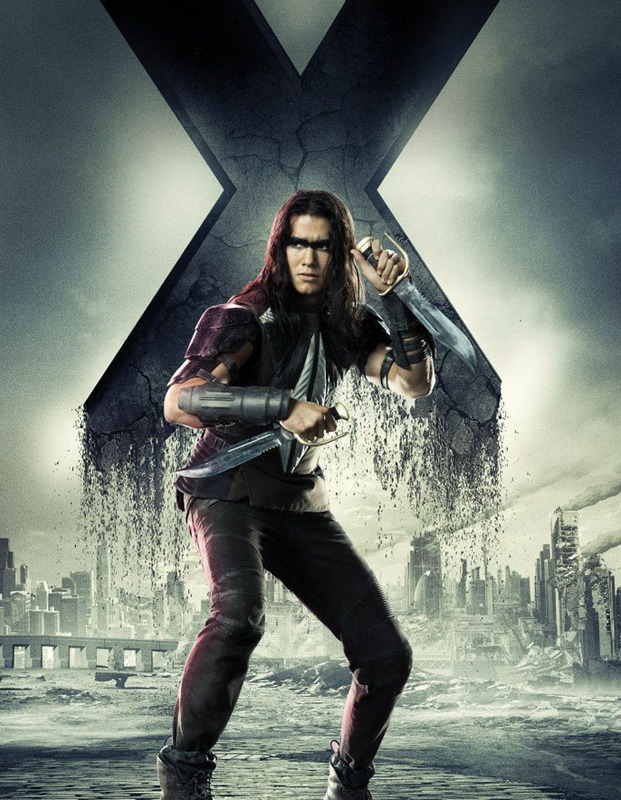 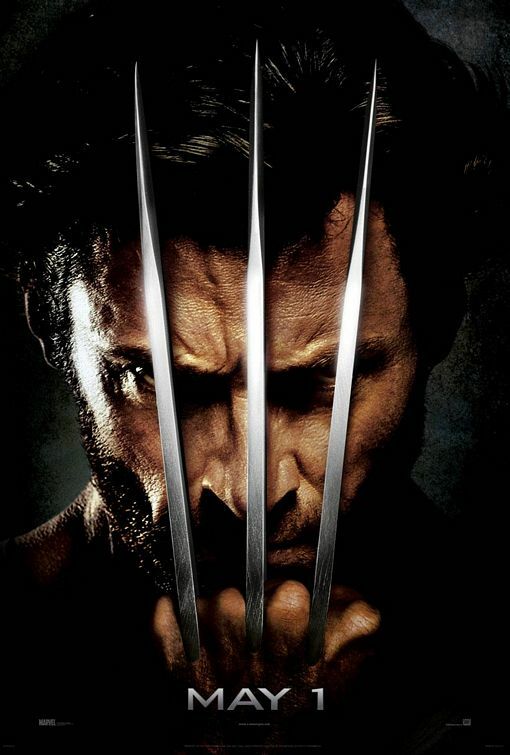 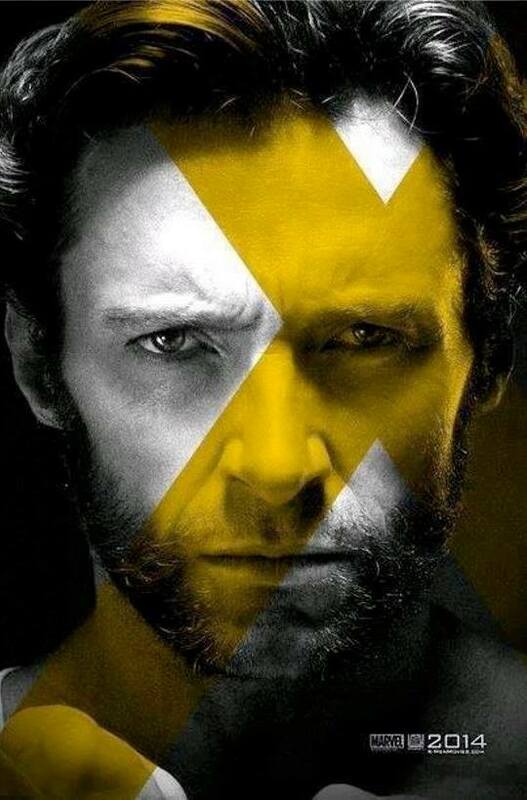 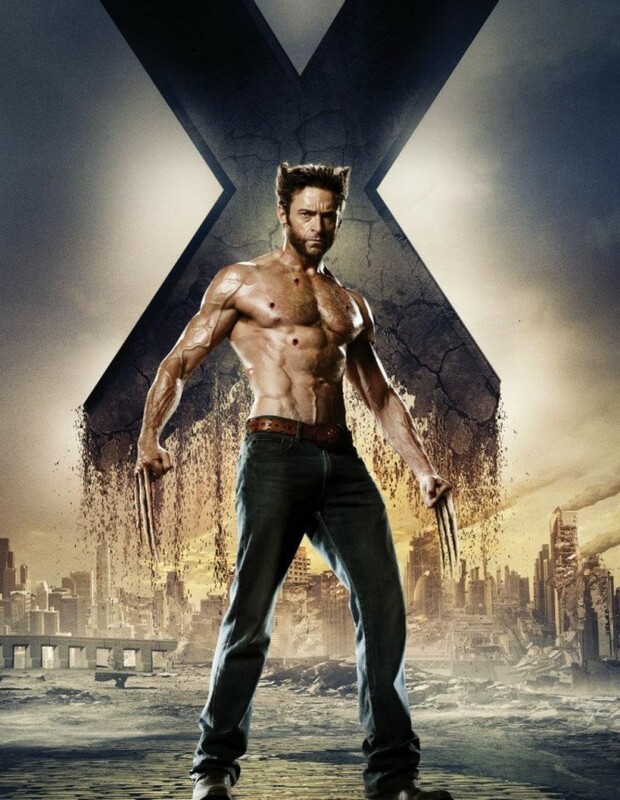 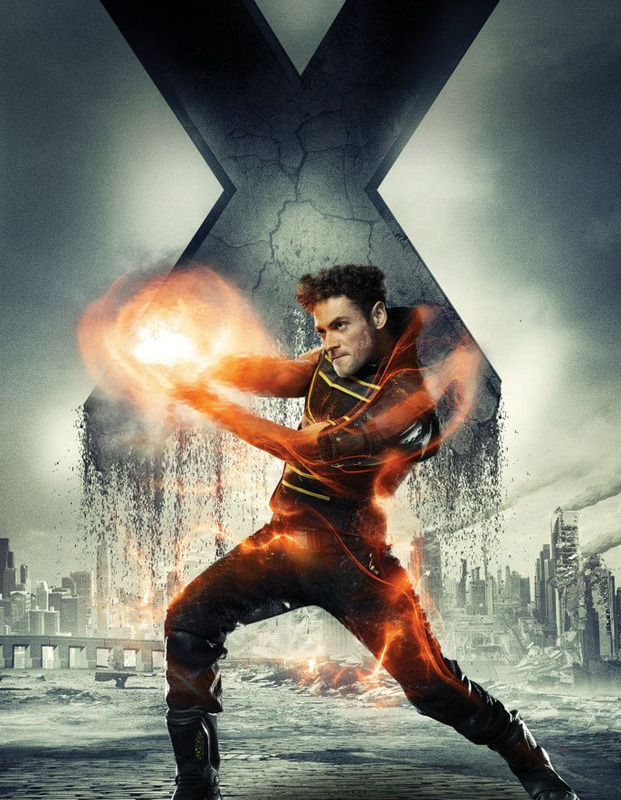 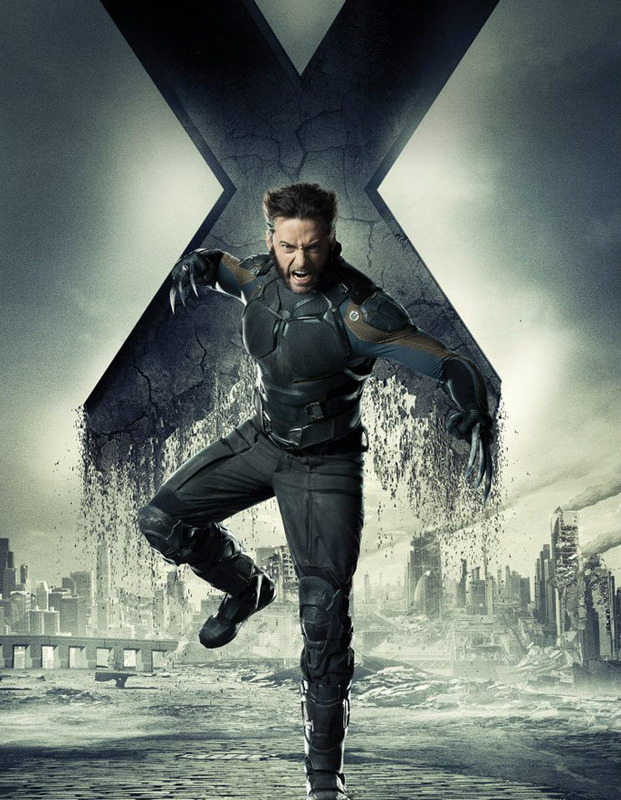 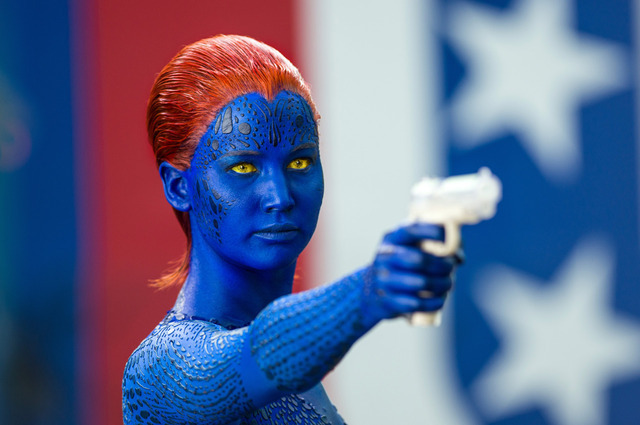 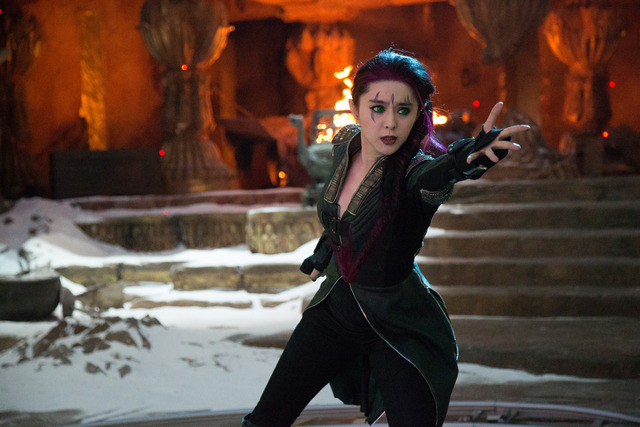 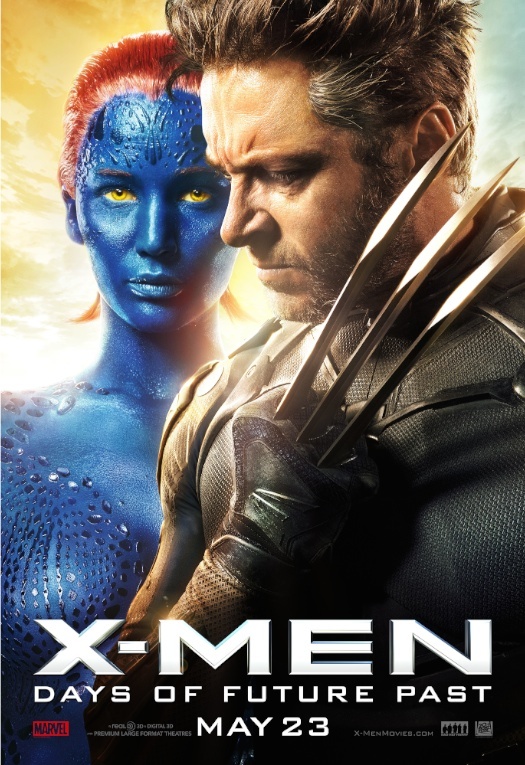 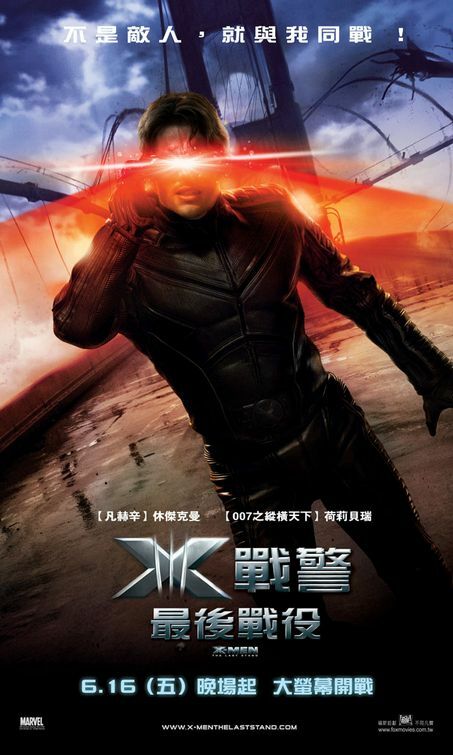 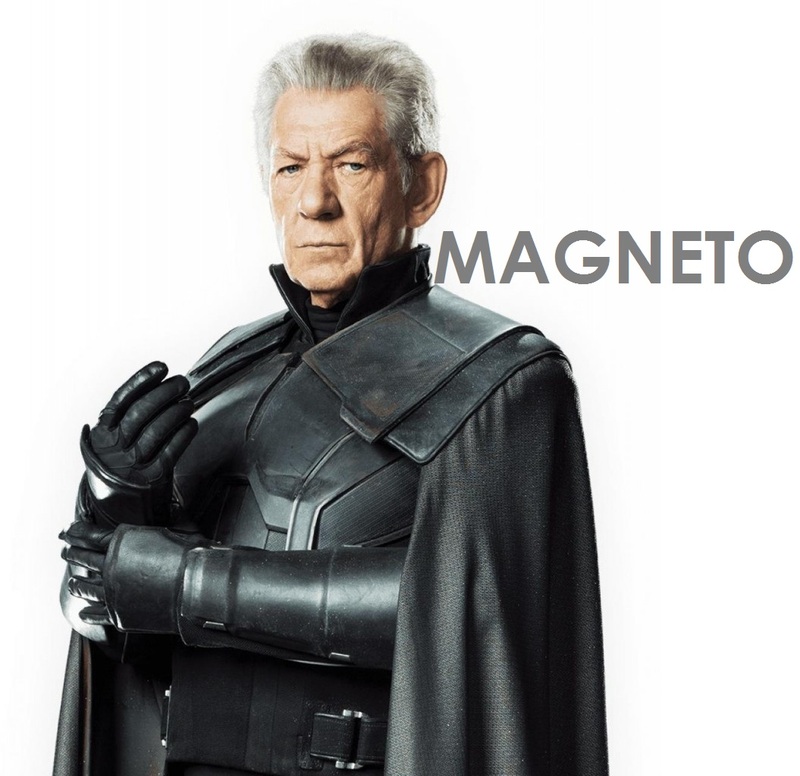 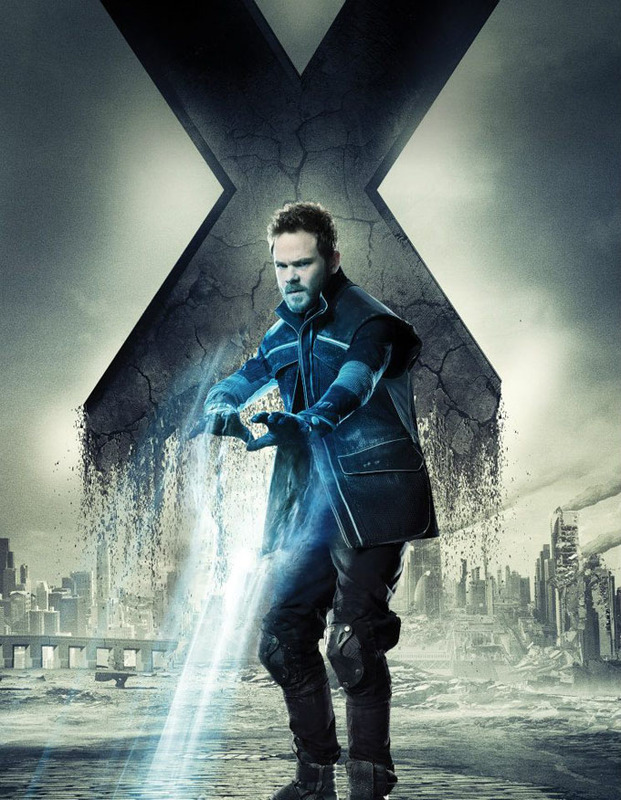 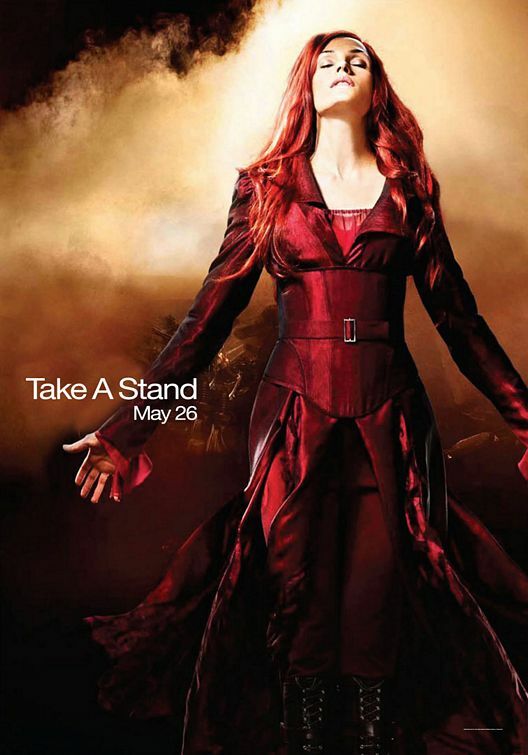 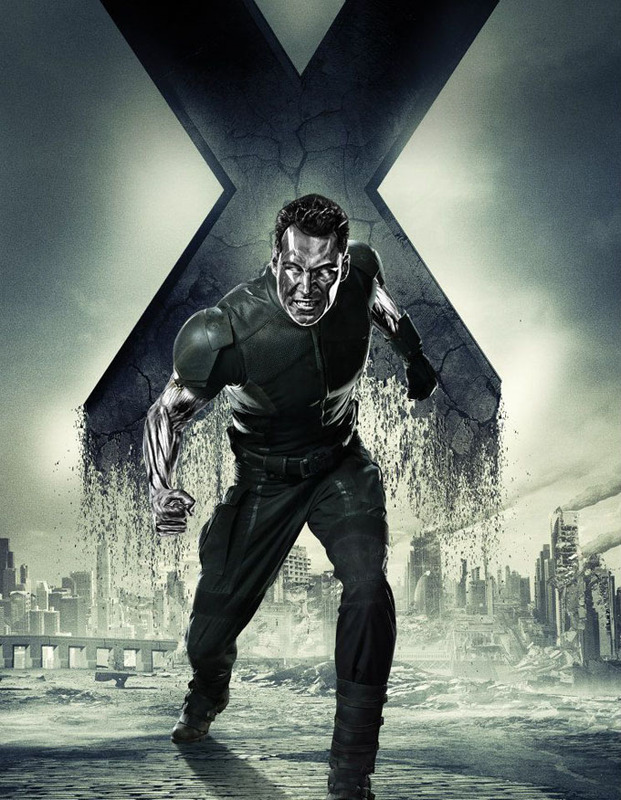 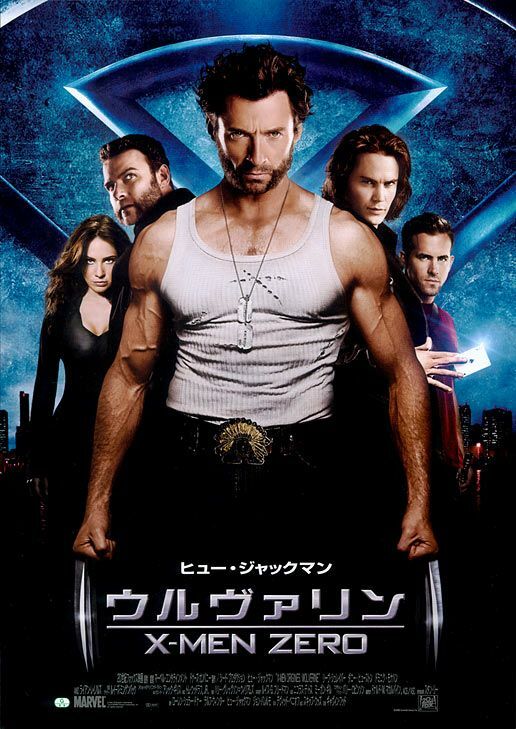 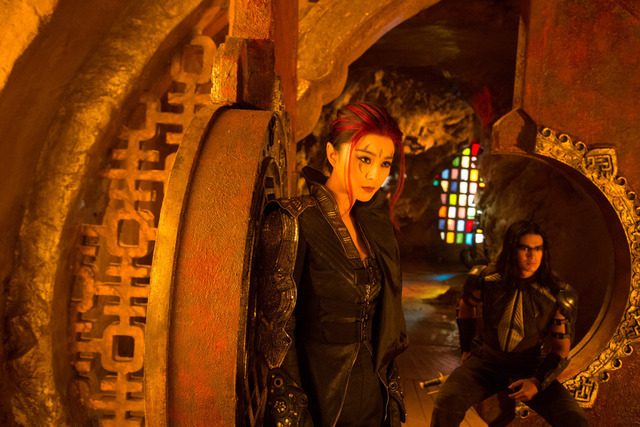 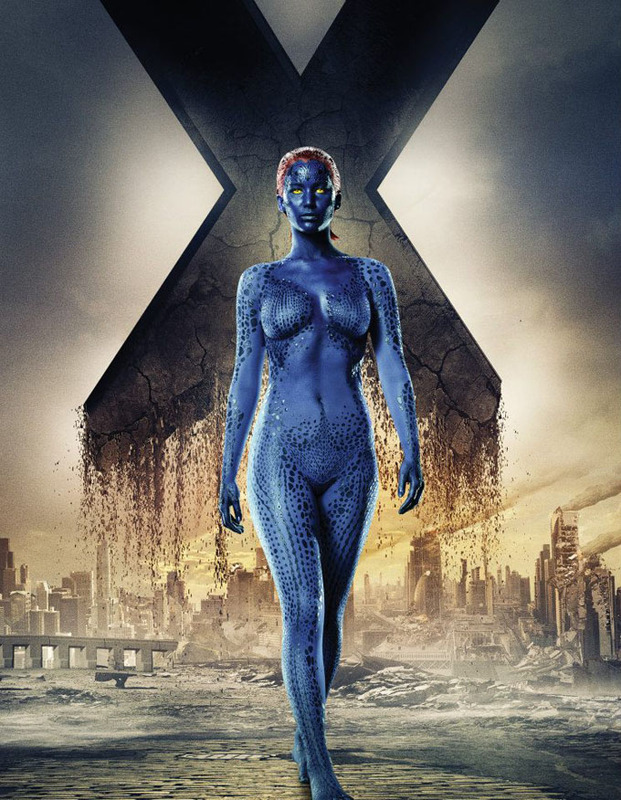 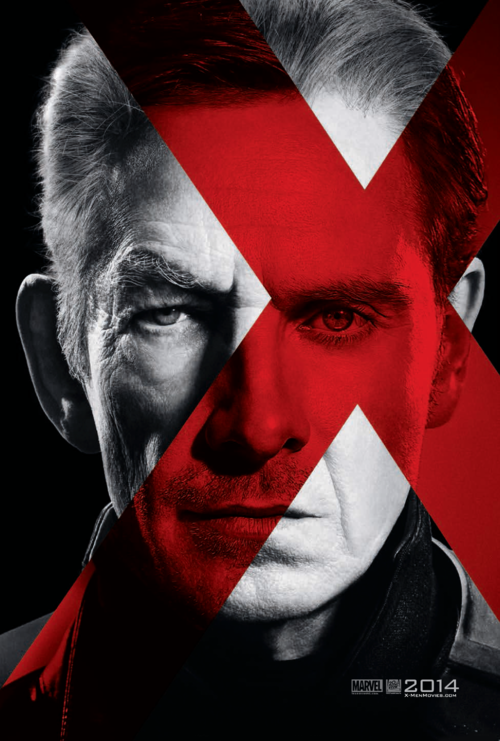 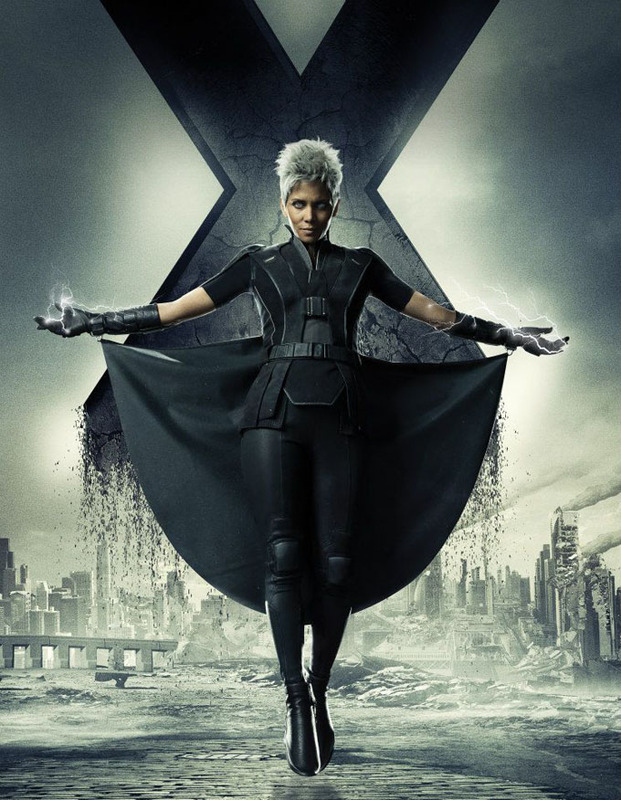 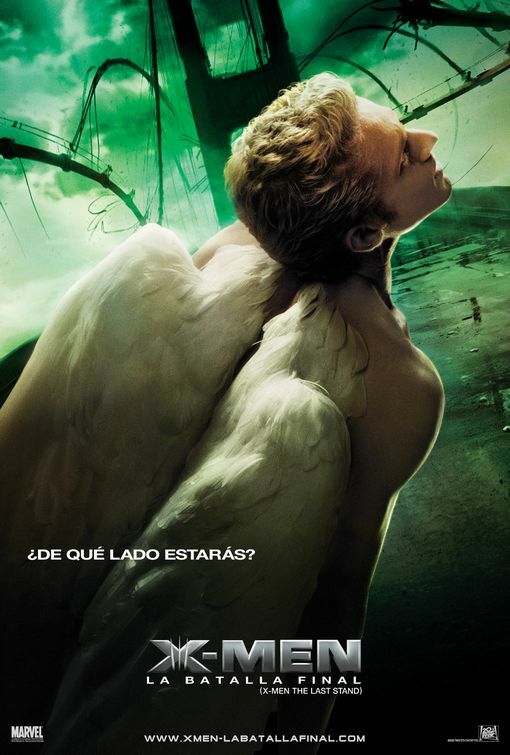 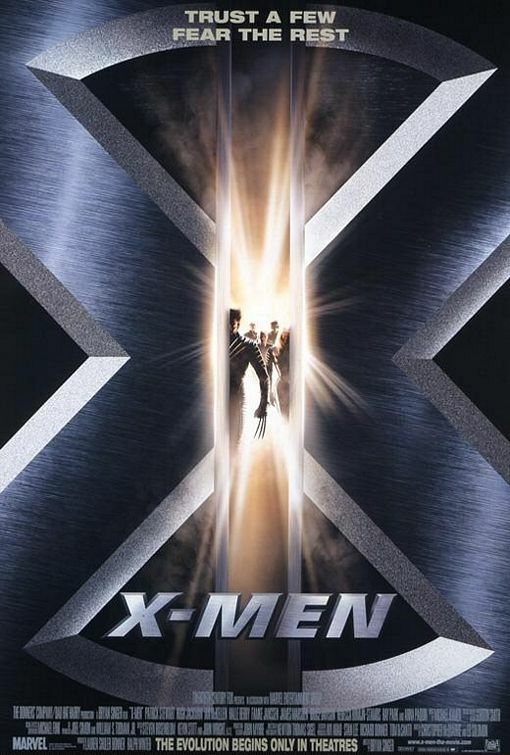 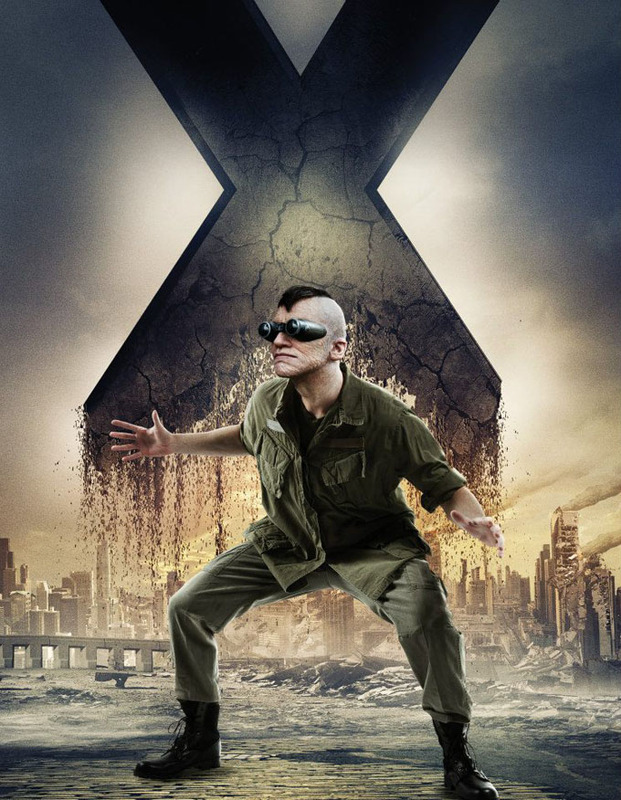 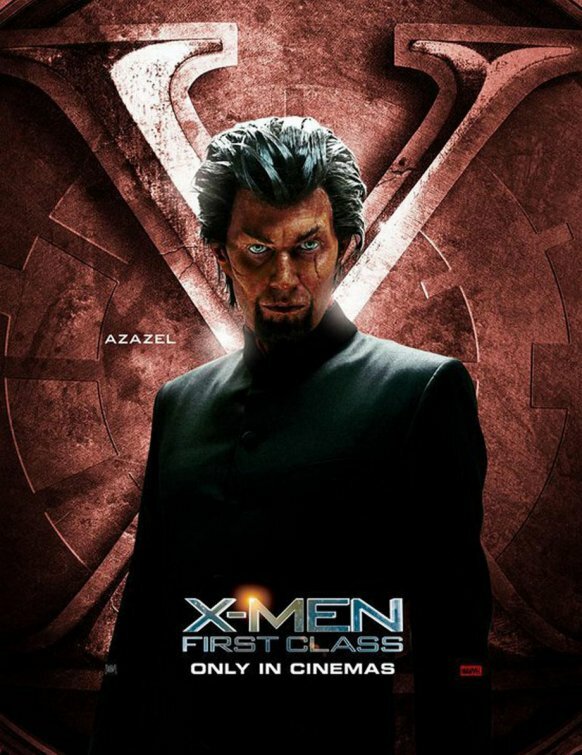 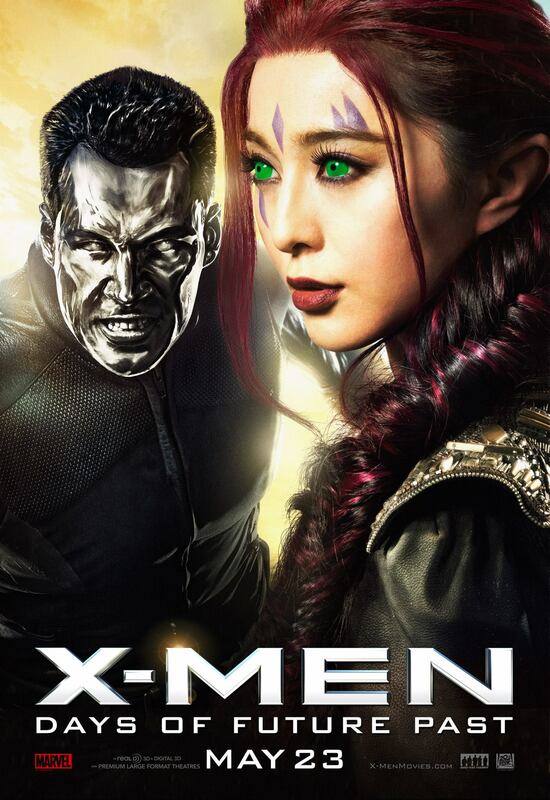 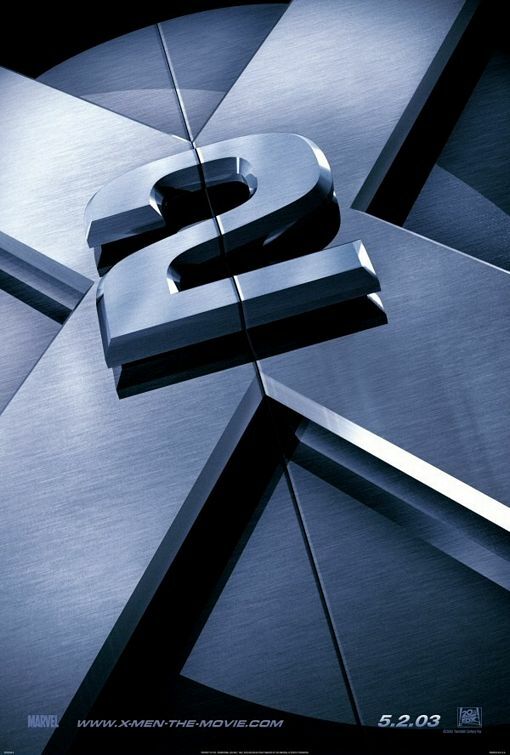 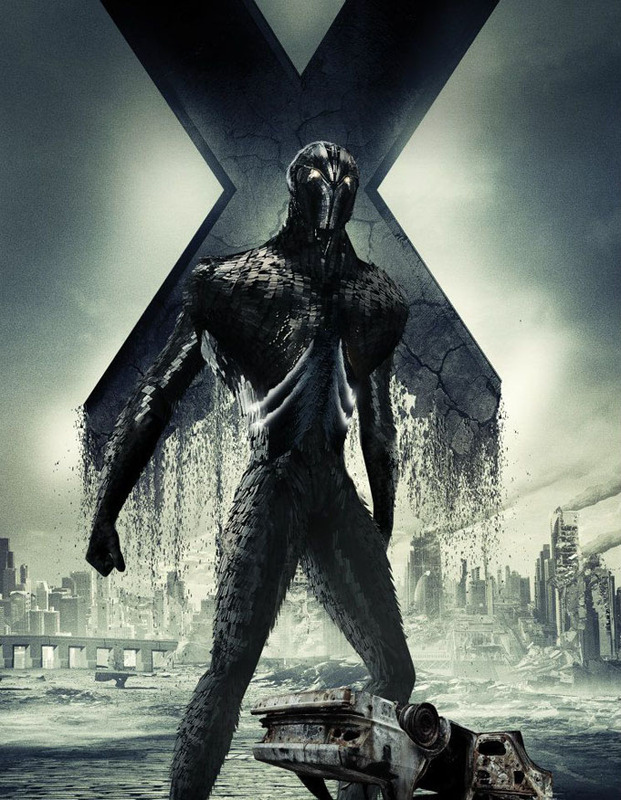 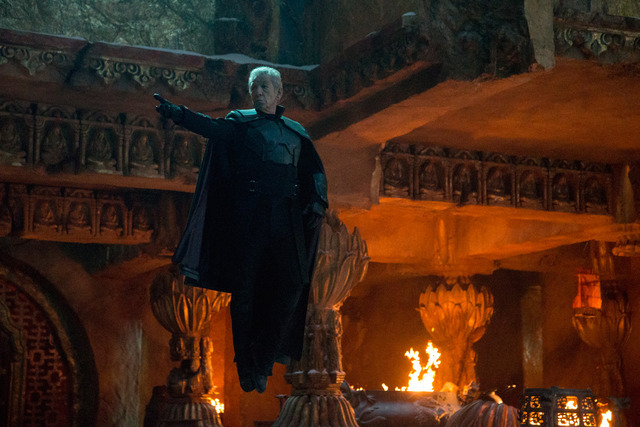 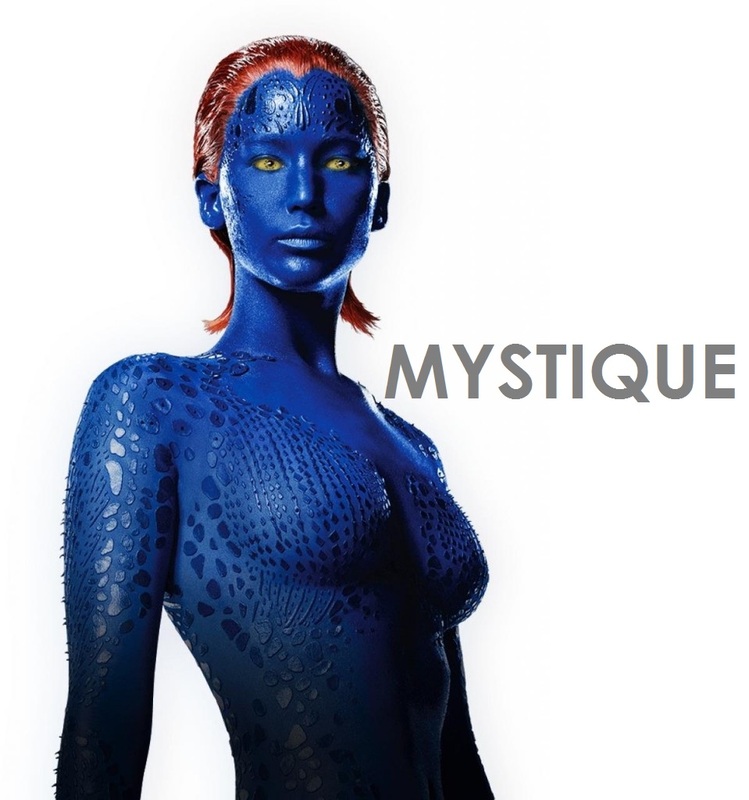 It is the third X-Men film directed by Singer after 2000’s X-Men and 2003’s X2. 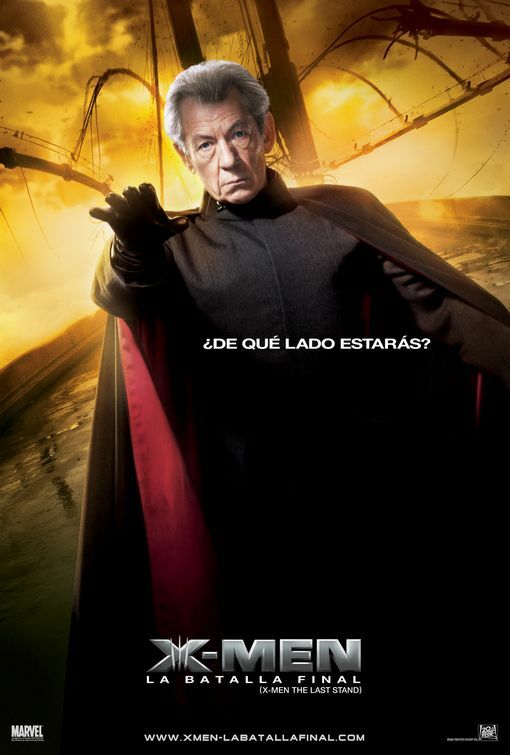 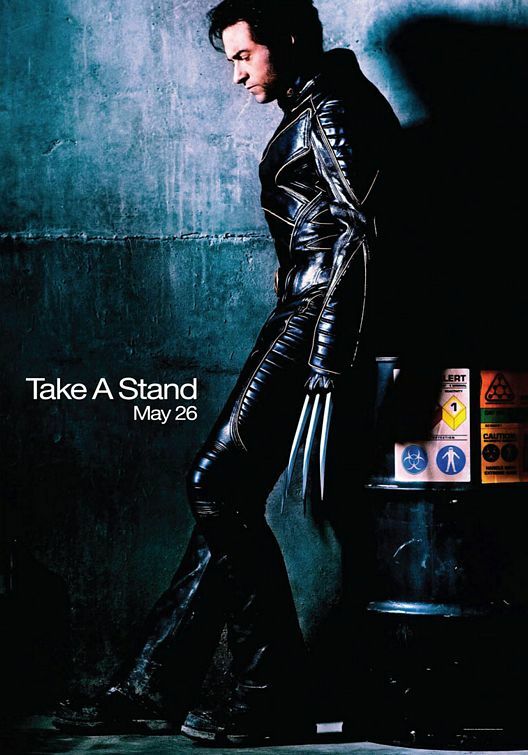 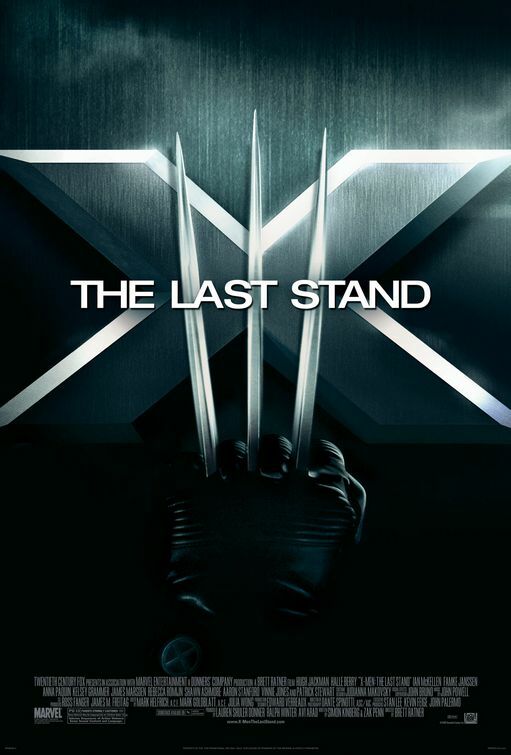 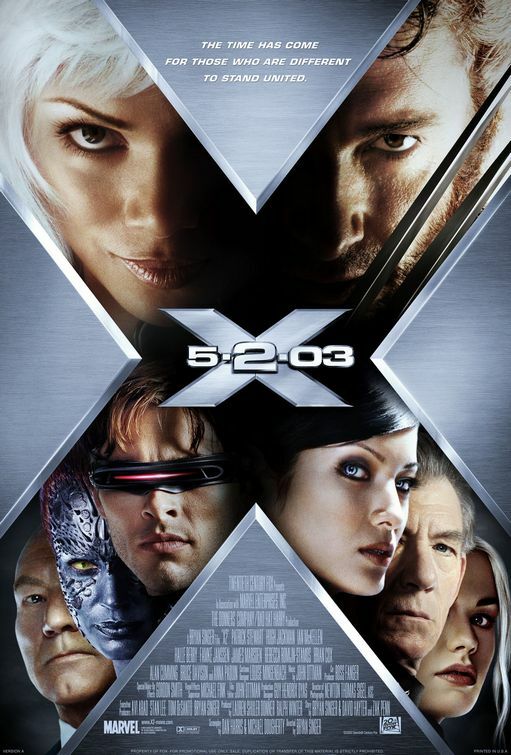 Featuring cast members from both movies and stars Hugh Jackman, Patrick Stewart, Ian McKellen, Halle Berry, Anna Paquin, Shawn Ashmore, Ellen Page, and Daniel Cudmore return from the X-Men: The Last Stand, while James McAvoy, Michael Fassbender, Jennifer Lawrence, Nicholas Hoult and Lucas Till return from X-Men: First Class. 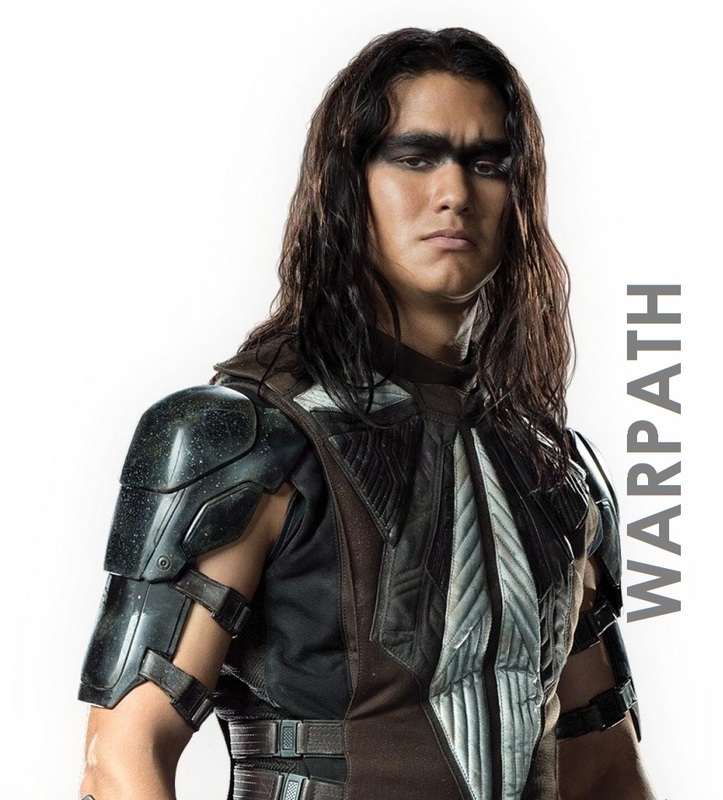 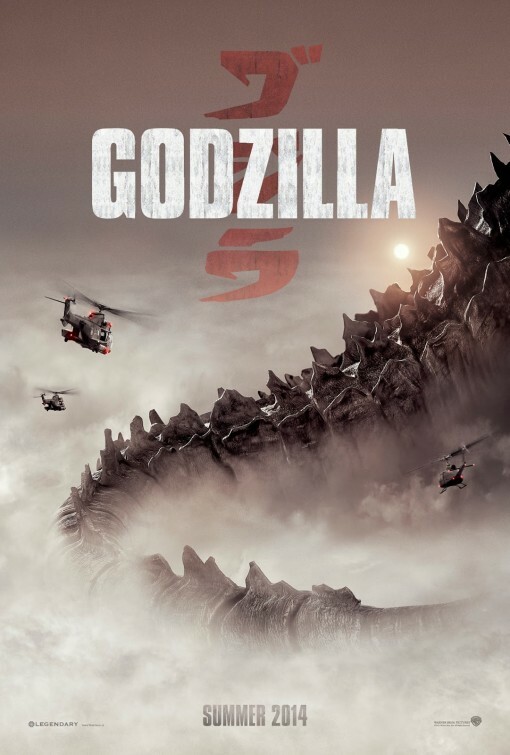 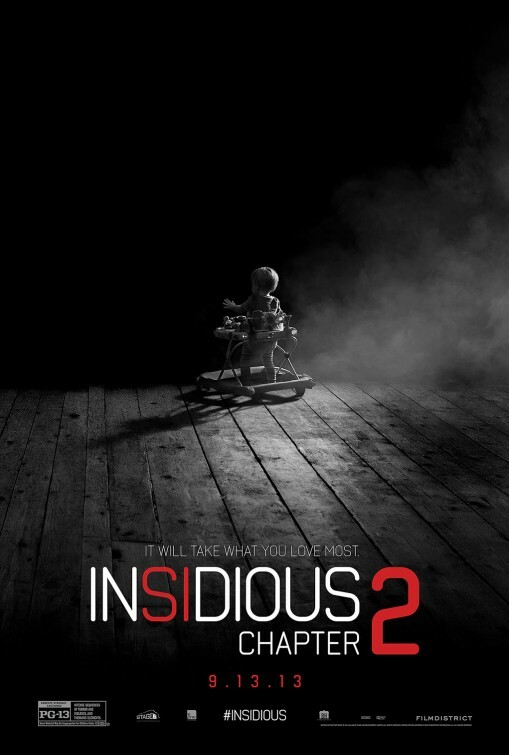 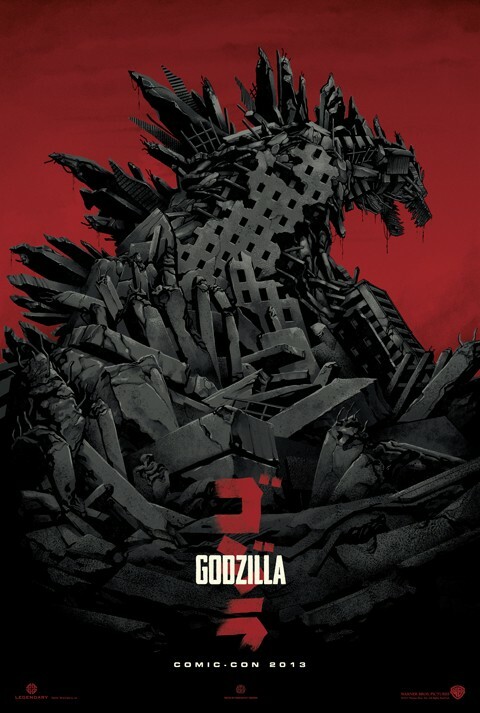 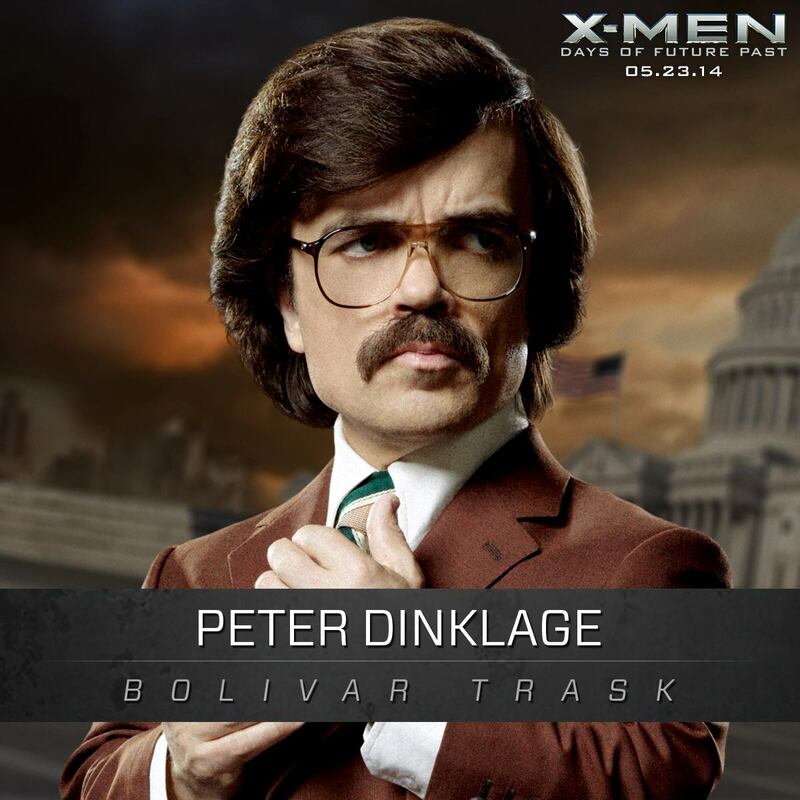 Peter Dinklage, Omar Sy, Booboo Stewart, Fan Bingbing, Adan Canto, Evan Peters and Josh Helman round out the film’s principal cast. 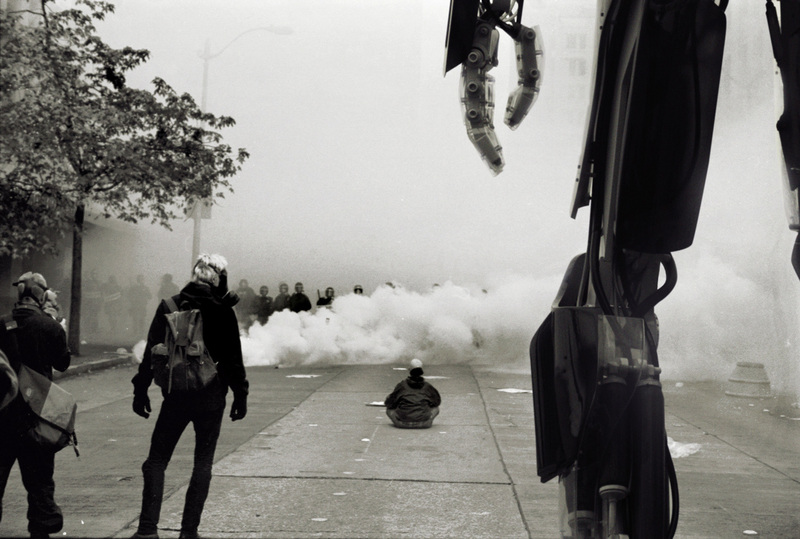 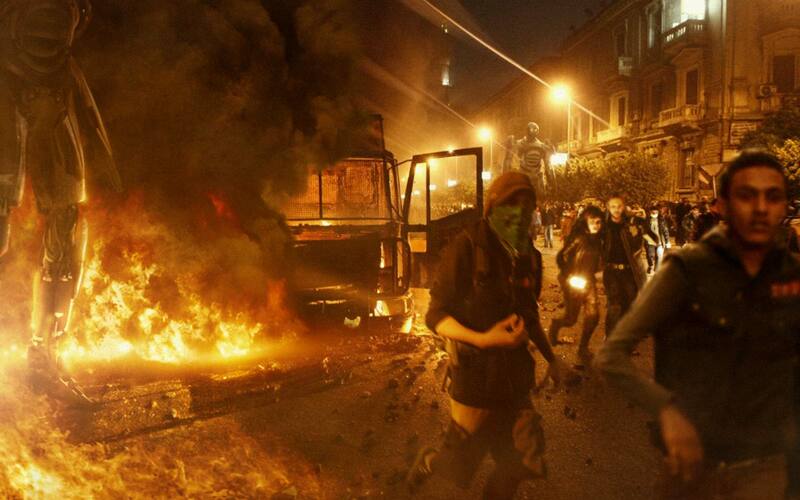 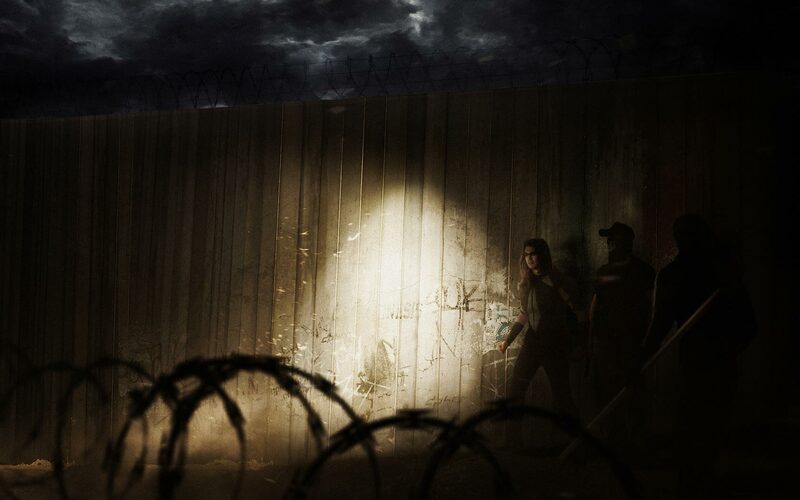 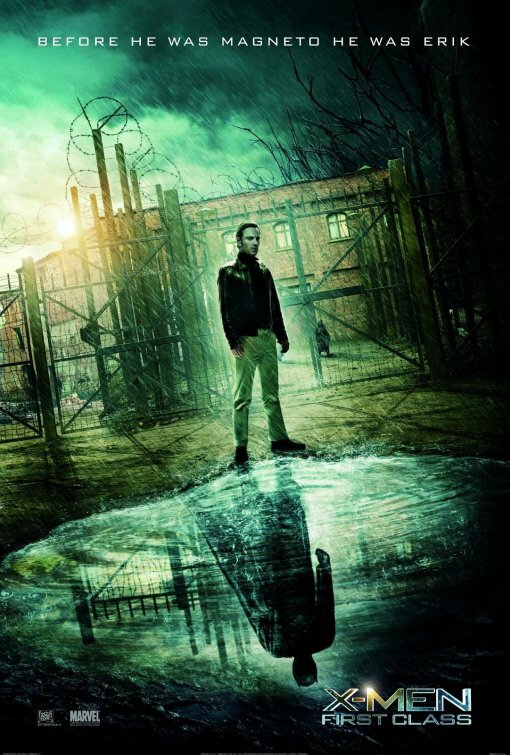 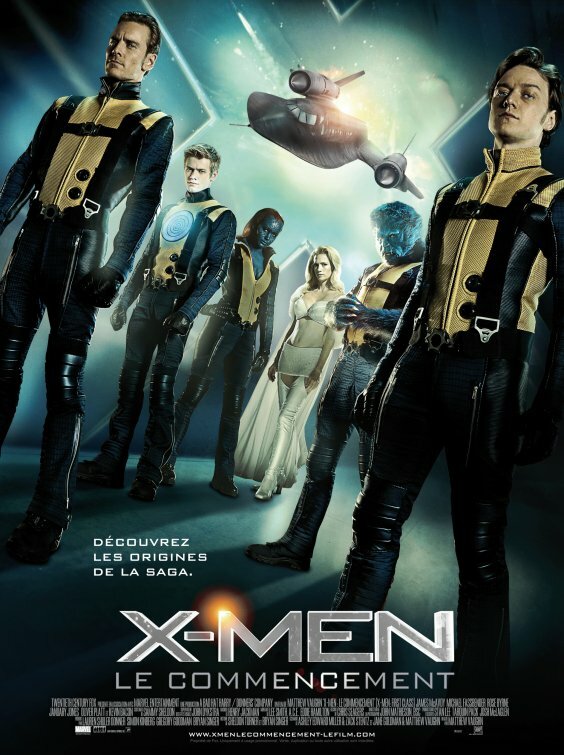 Principal photography began in April 2013 in Montreal, Canada. 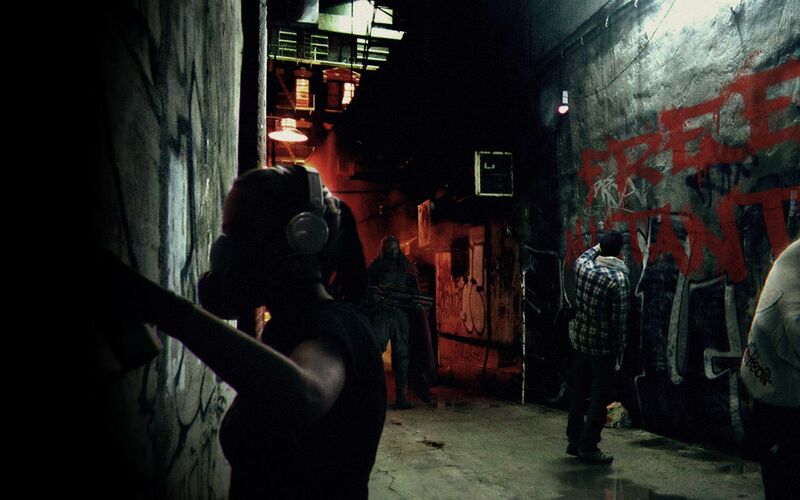 The film is being shot in 3D. 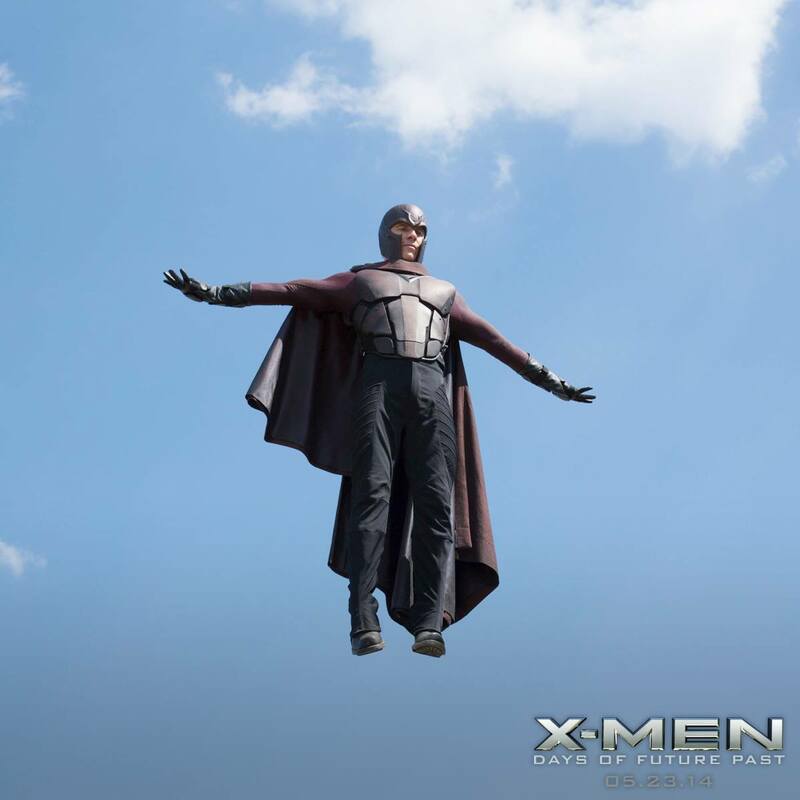 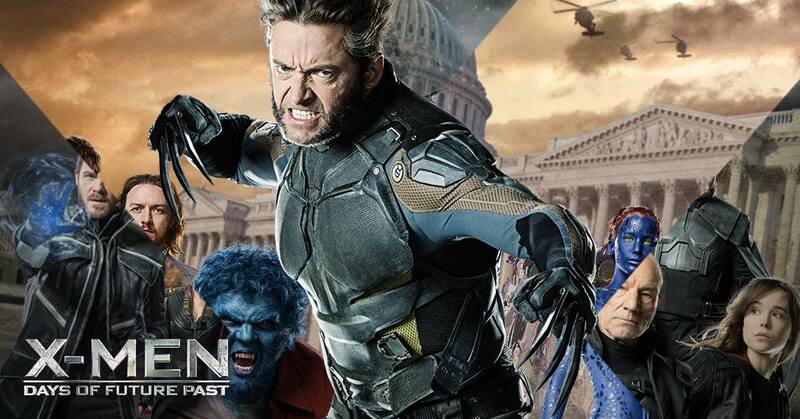 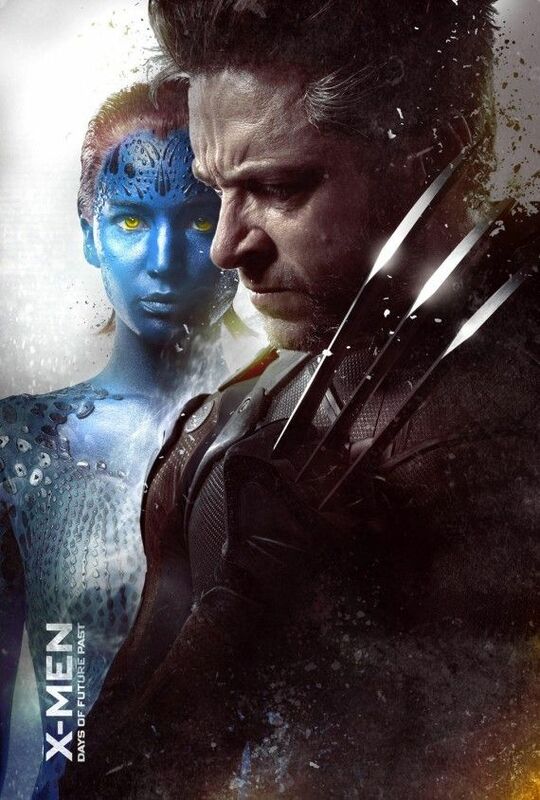 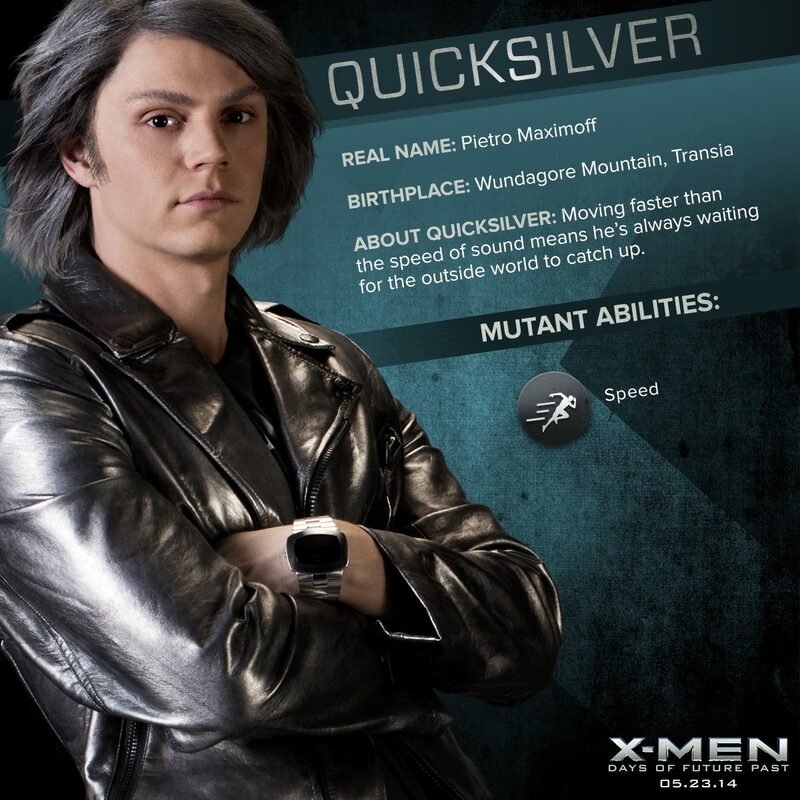 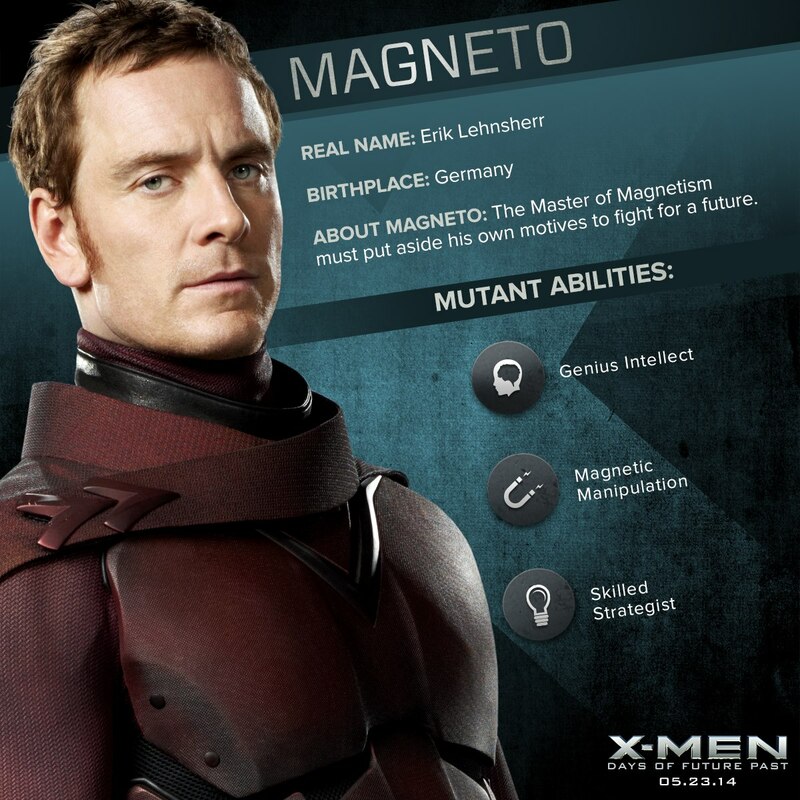 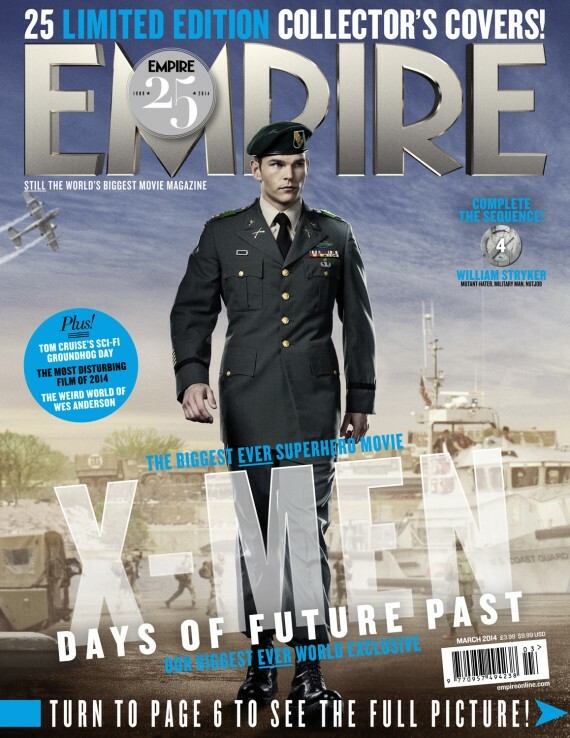 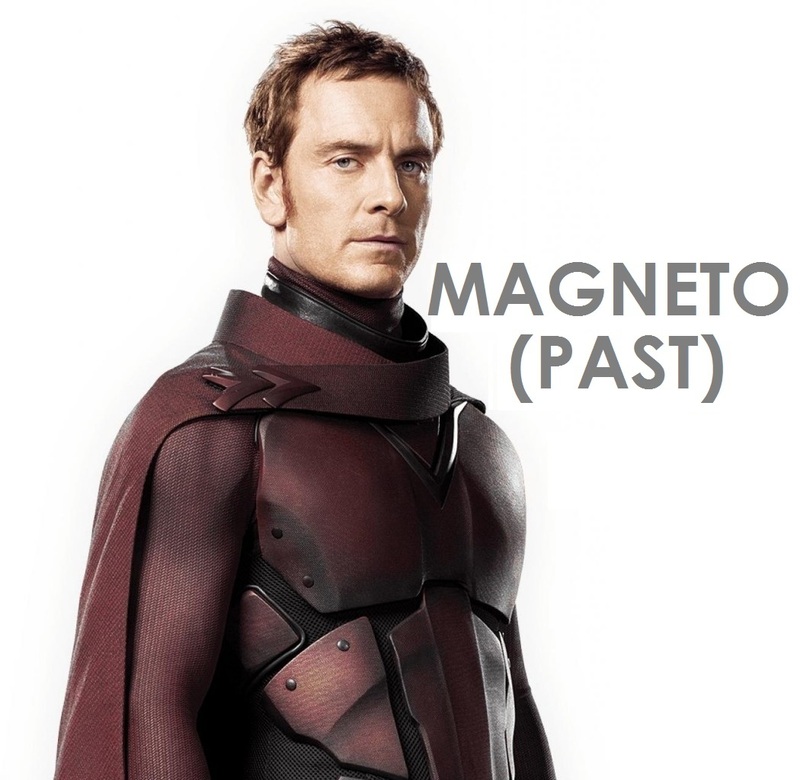 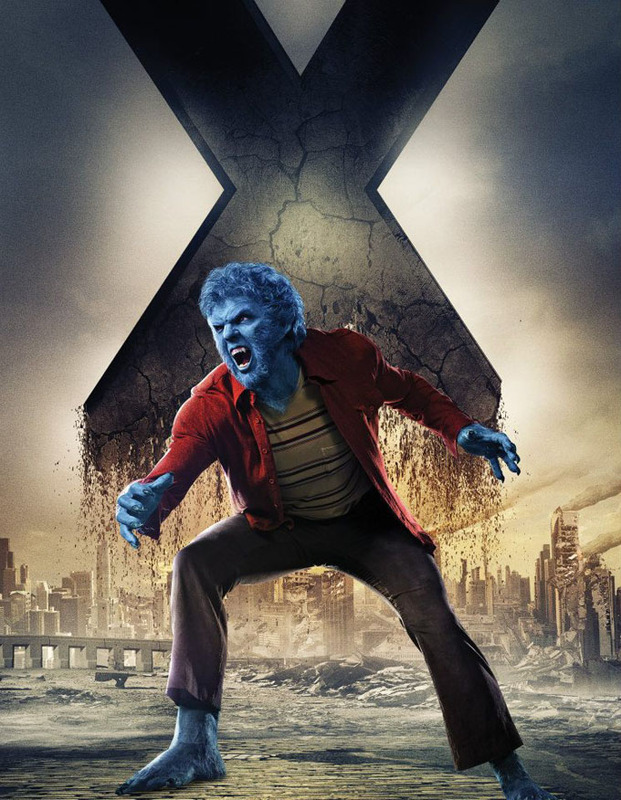 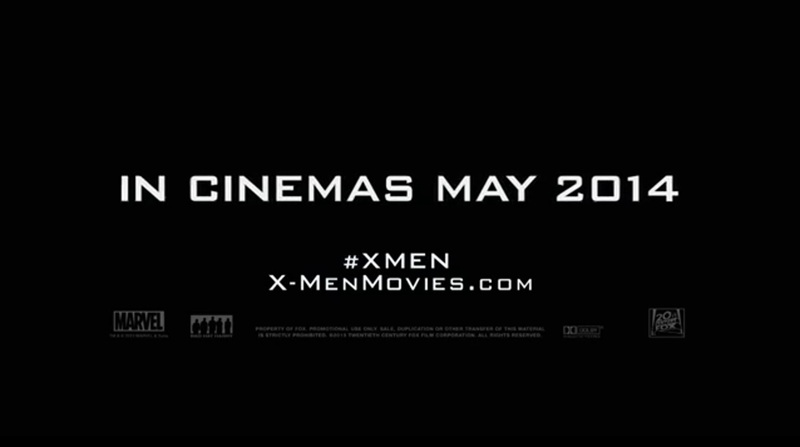 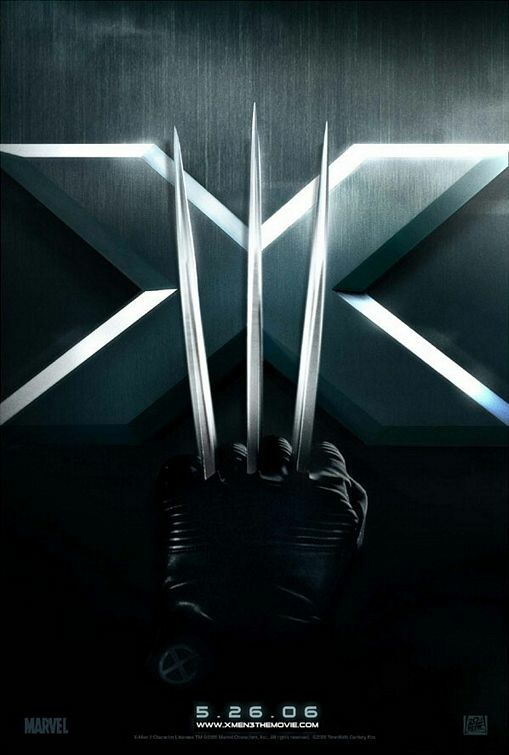 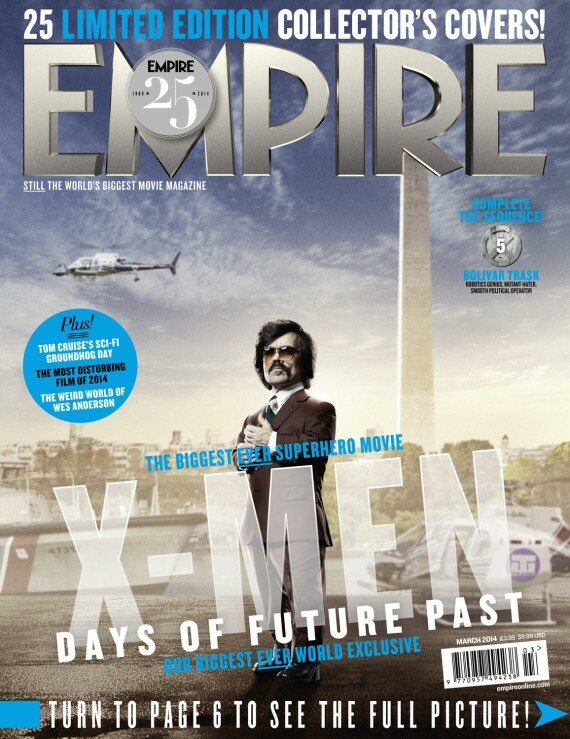 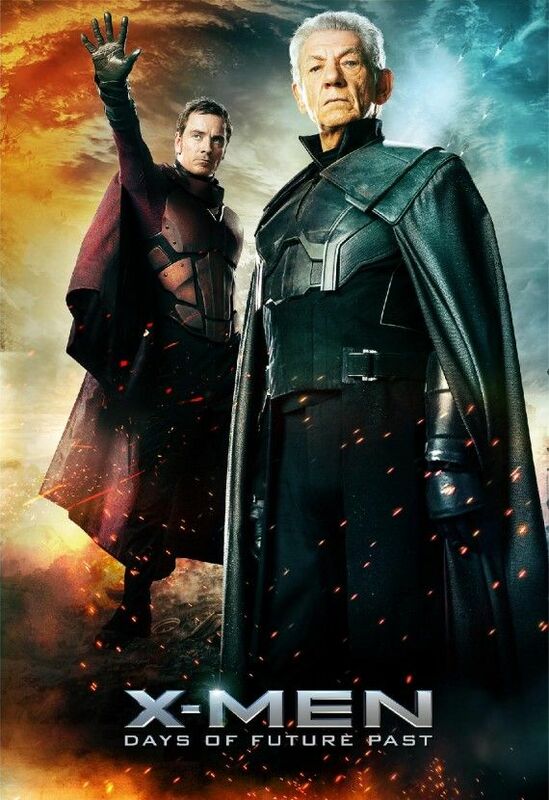 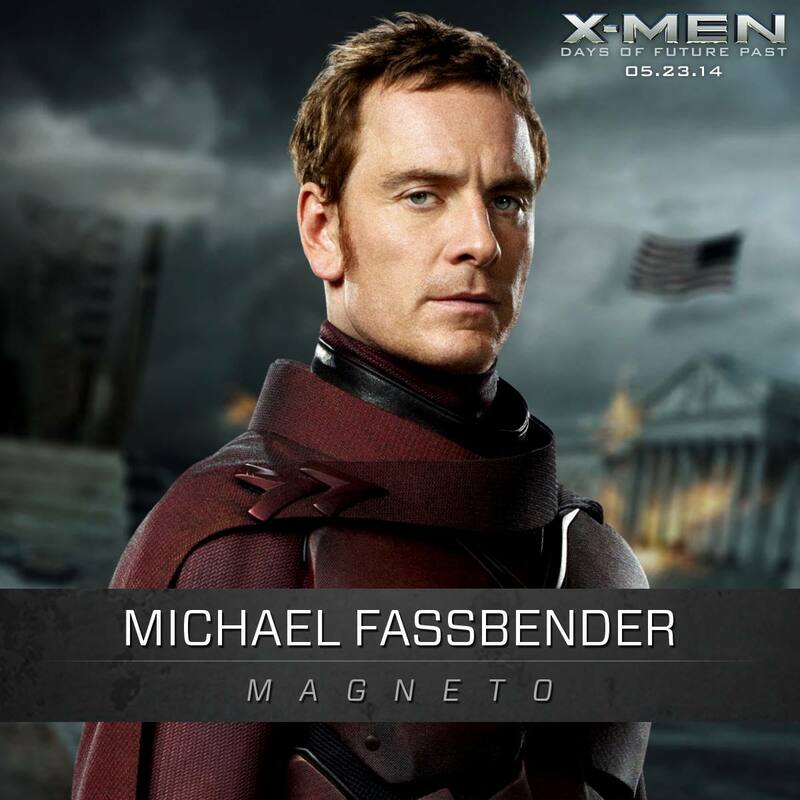 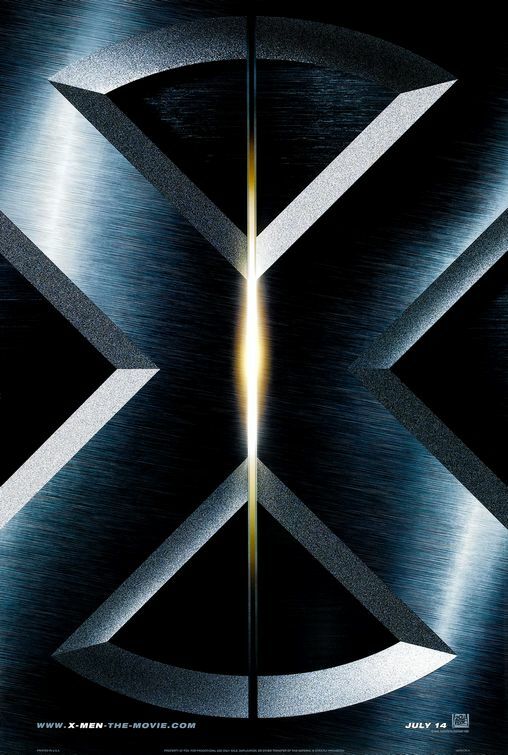 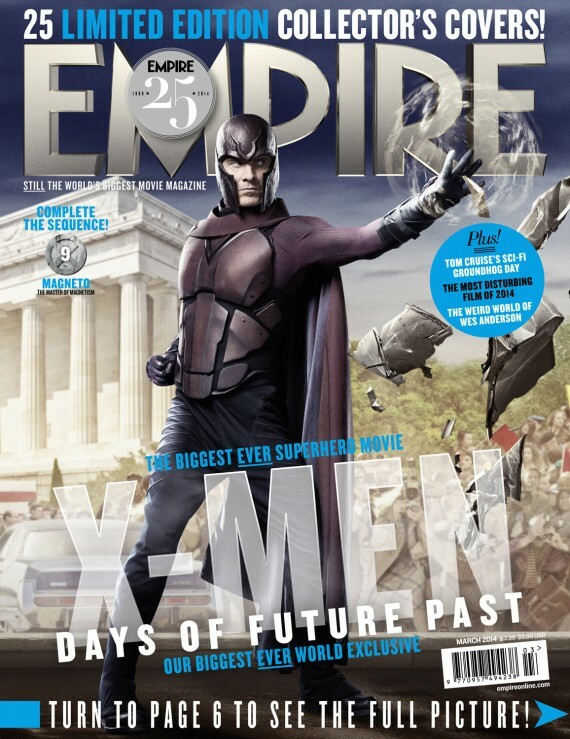 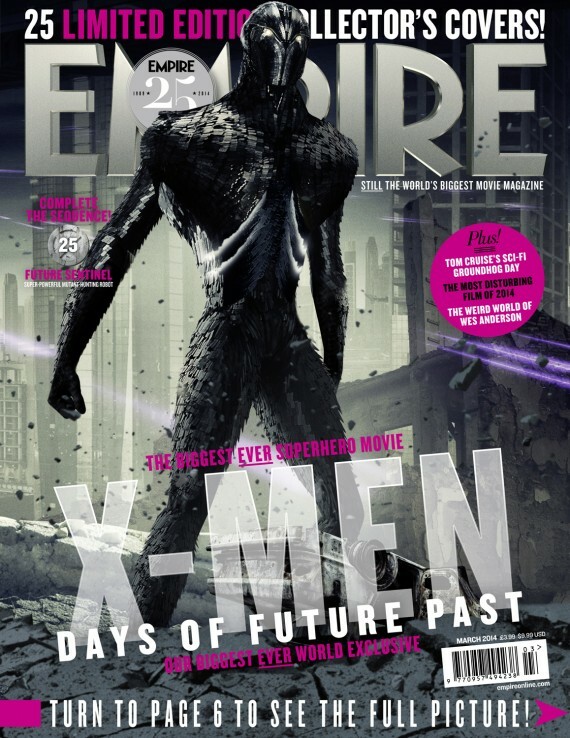 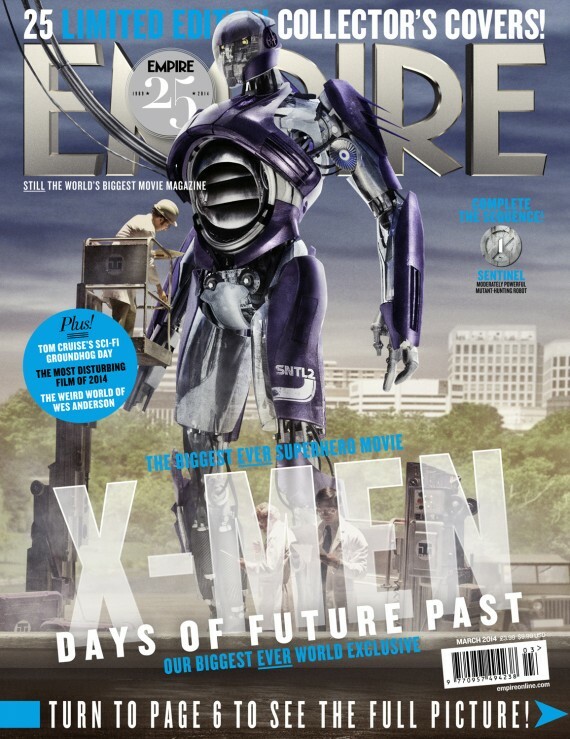 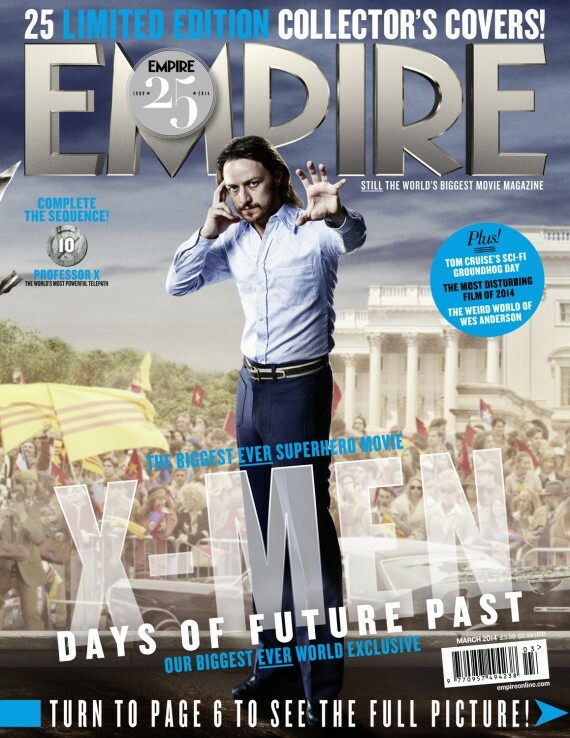 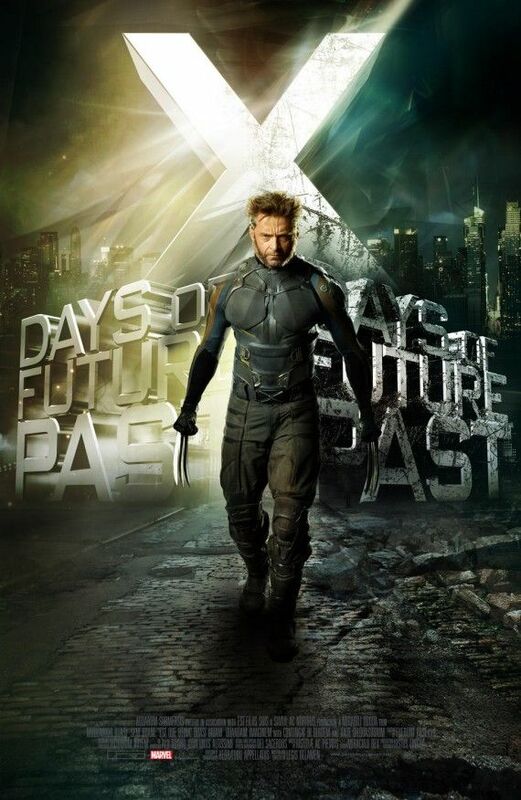 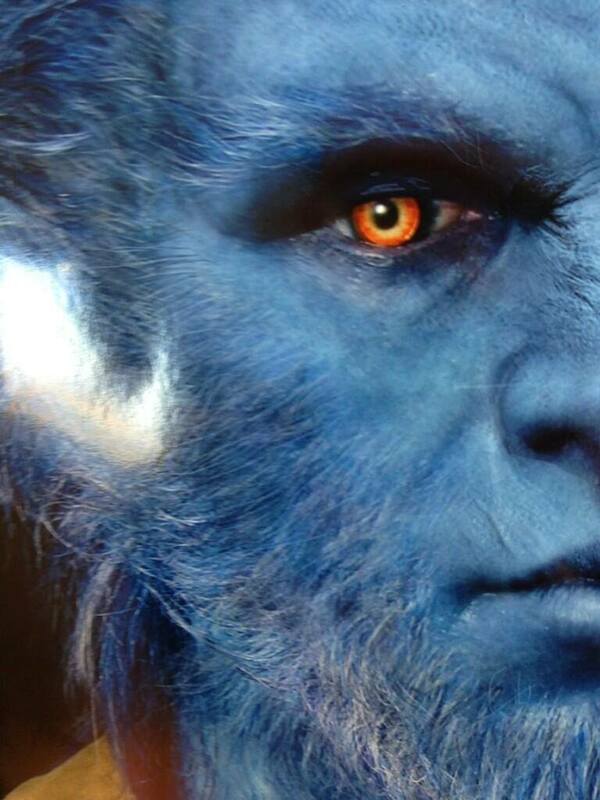 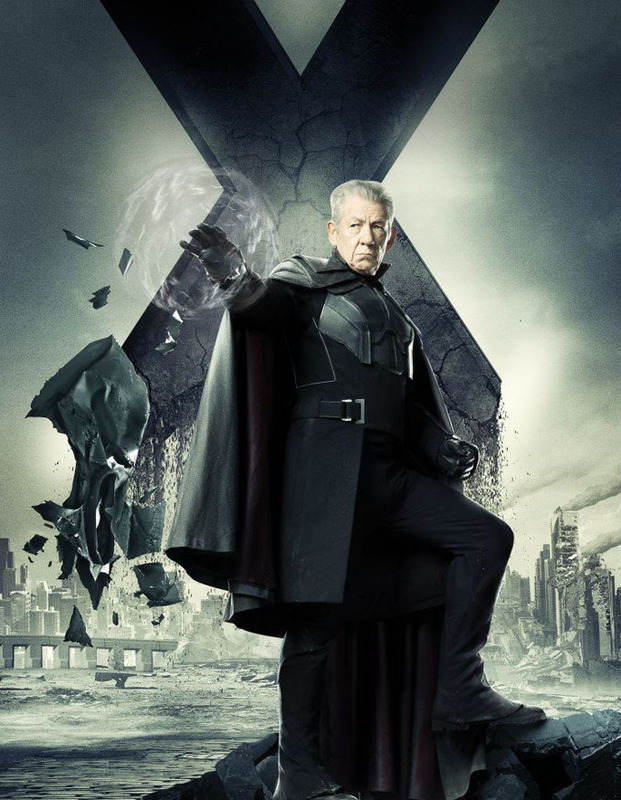 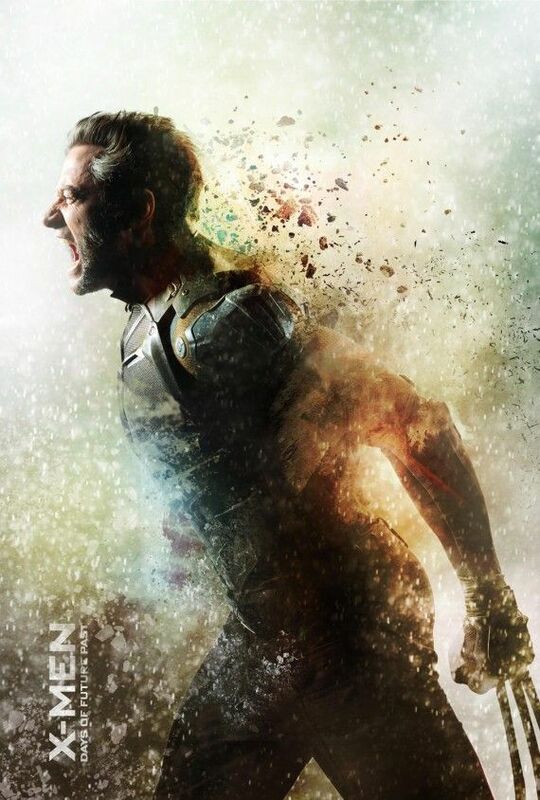 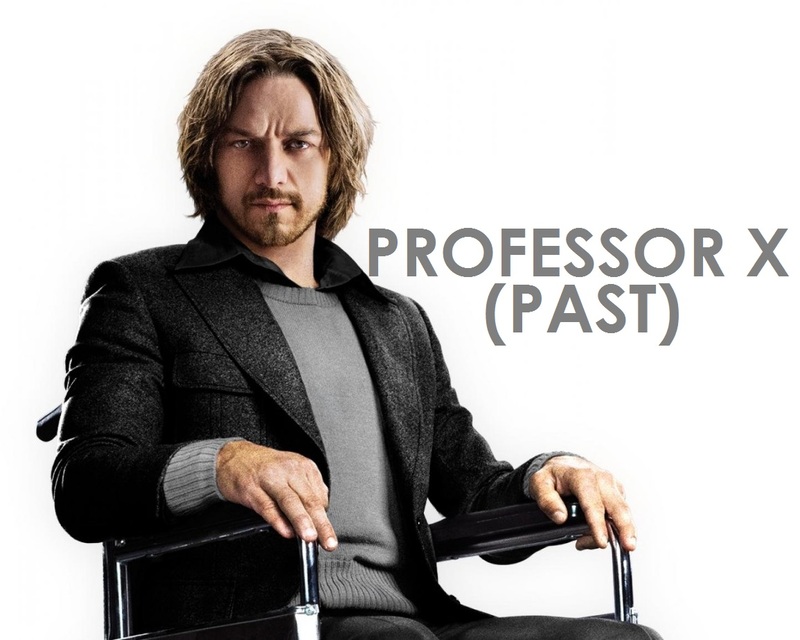 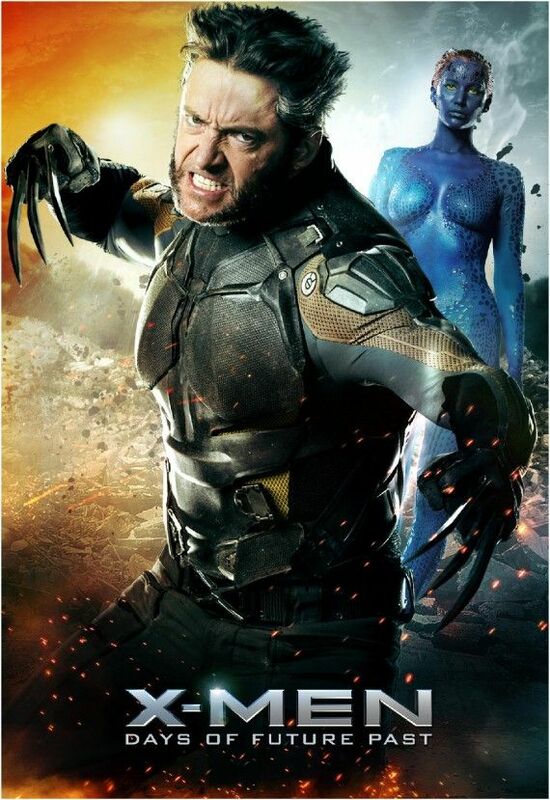 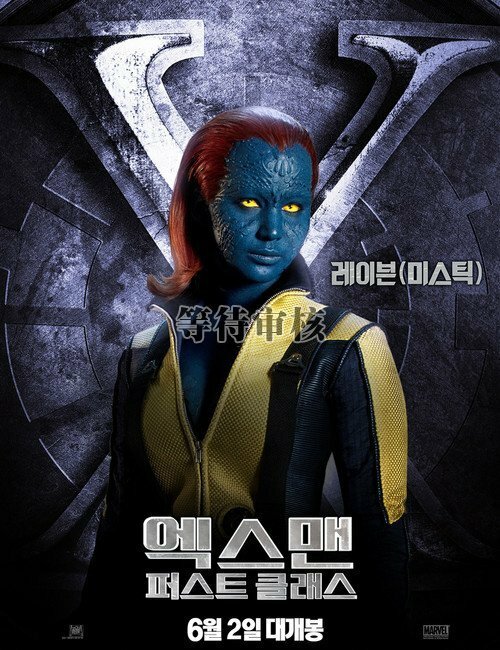 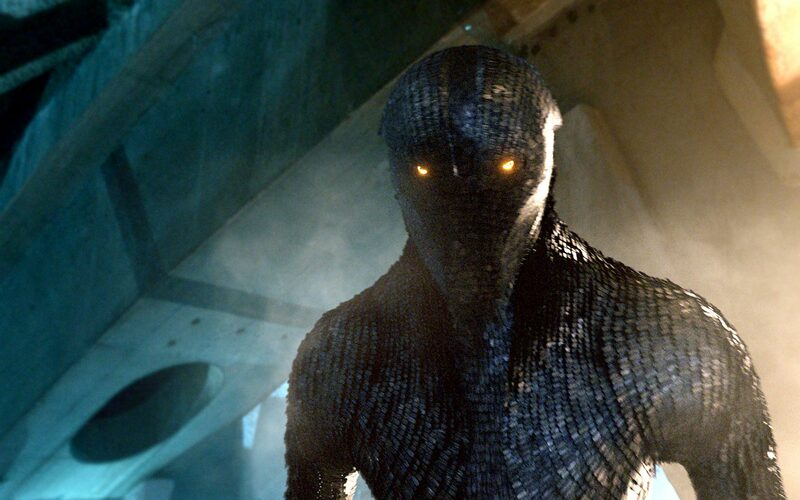 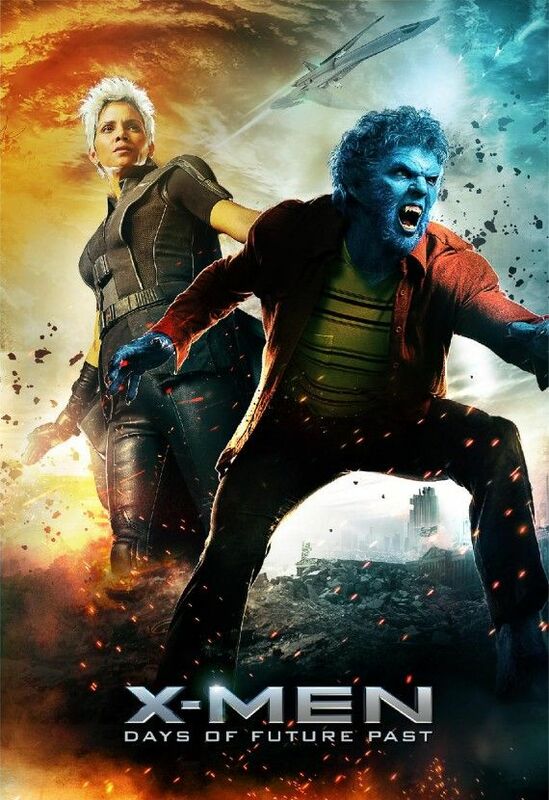 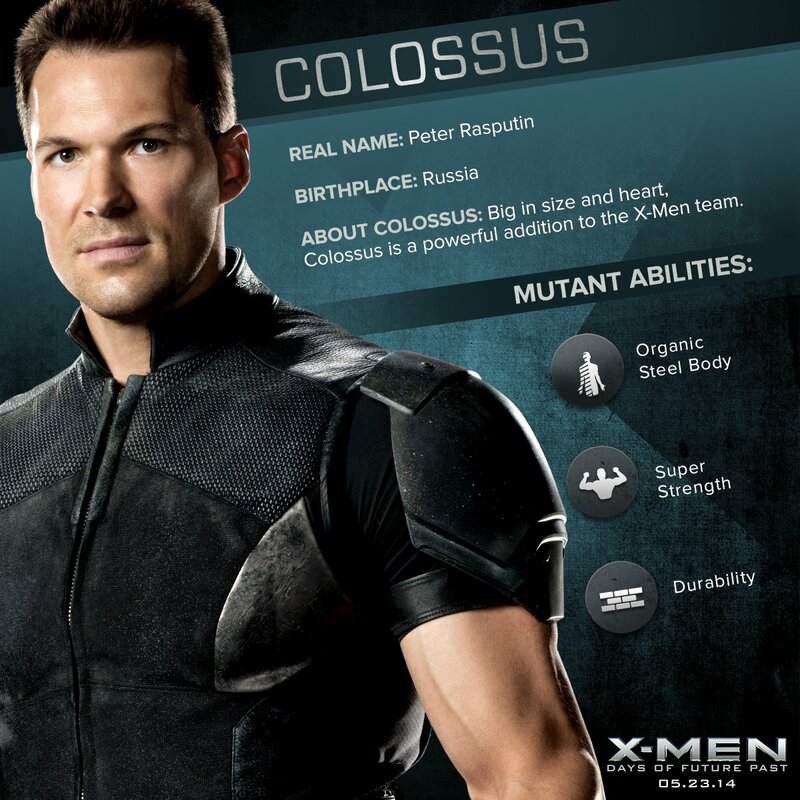 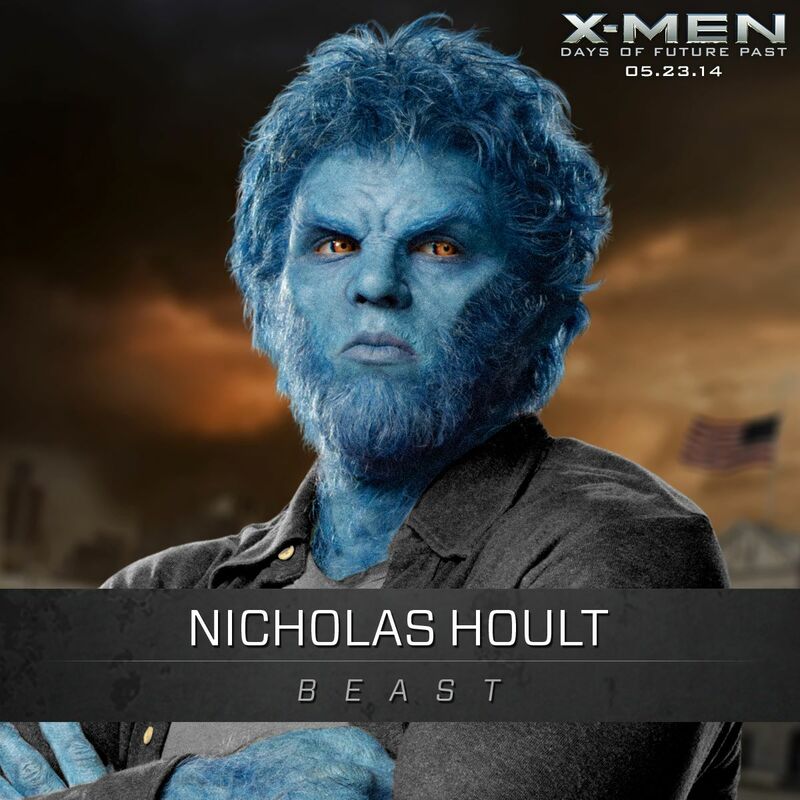 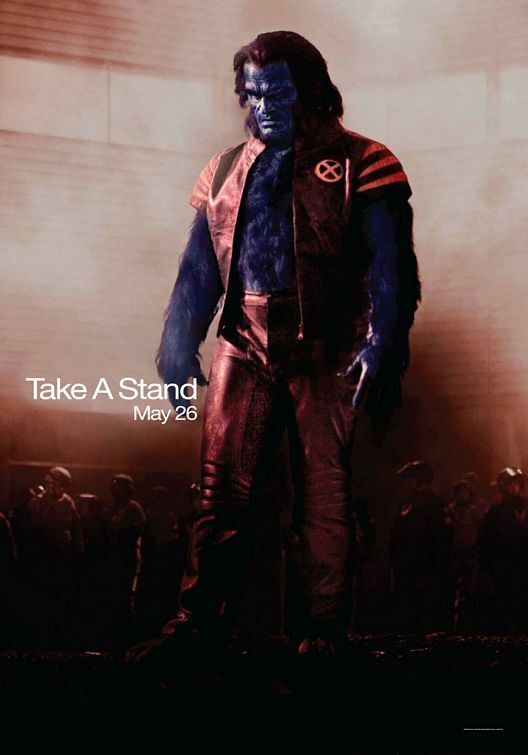 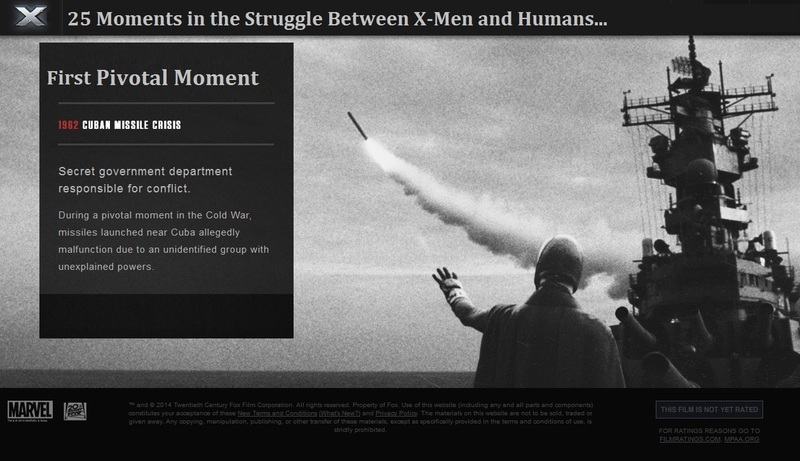 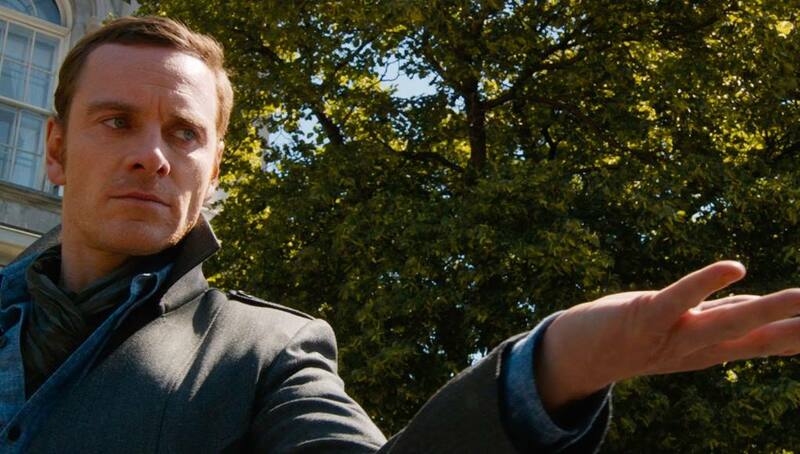 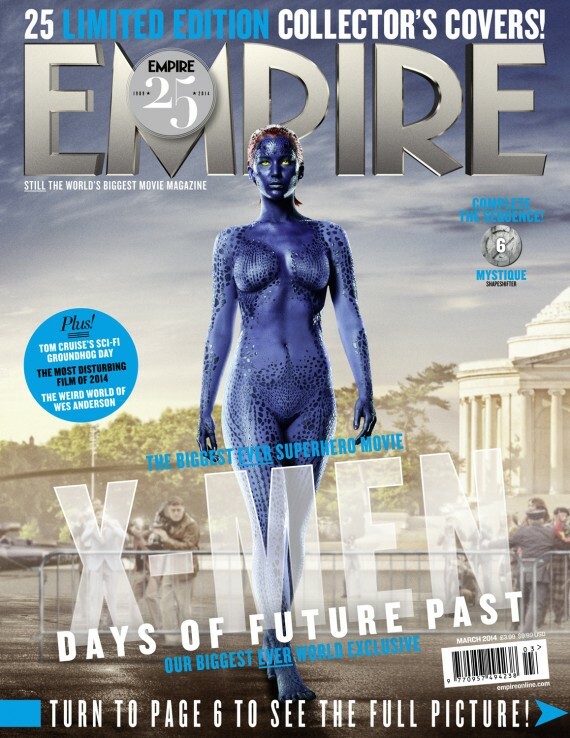 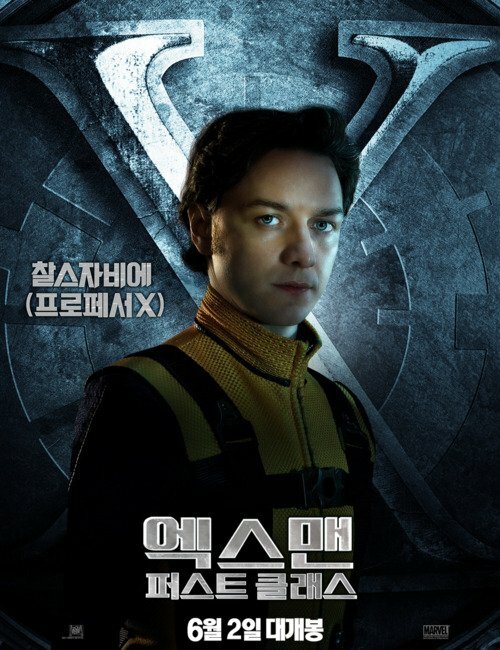 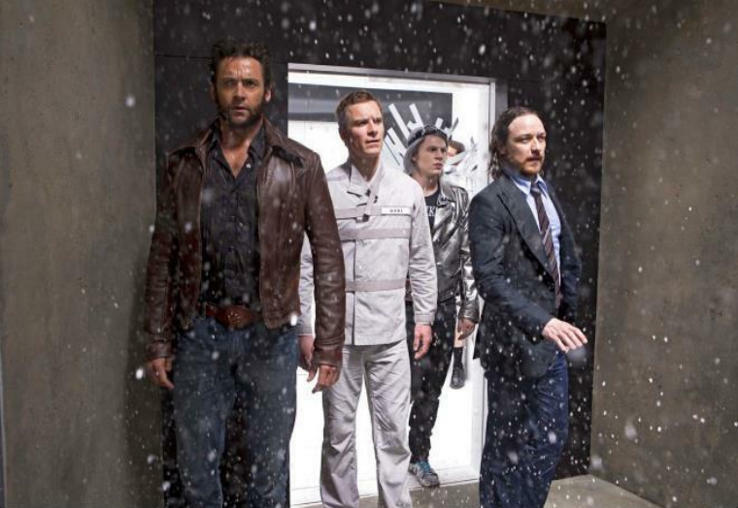 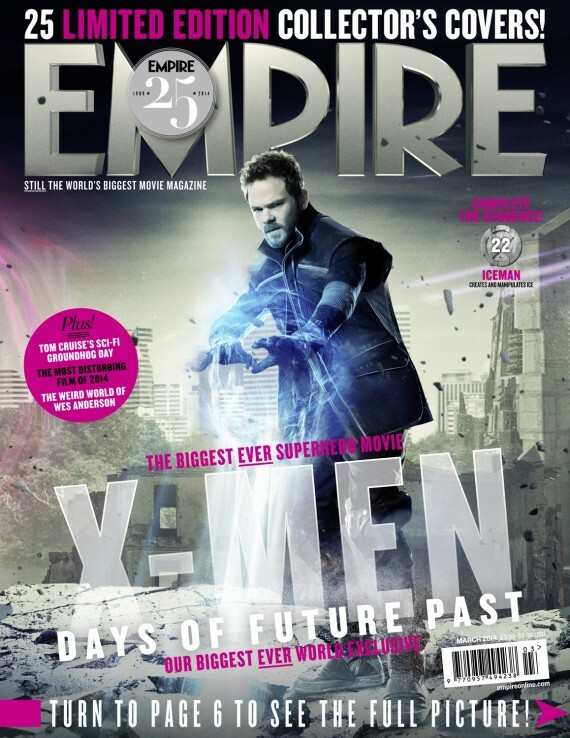 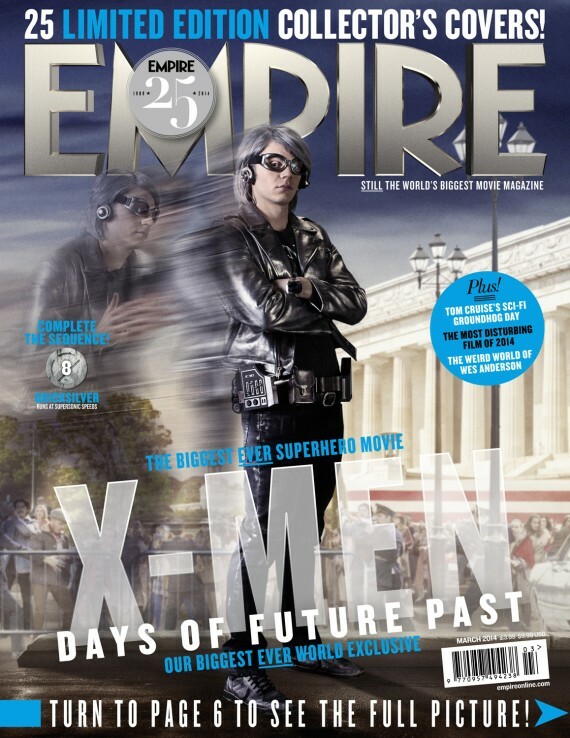 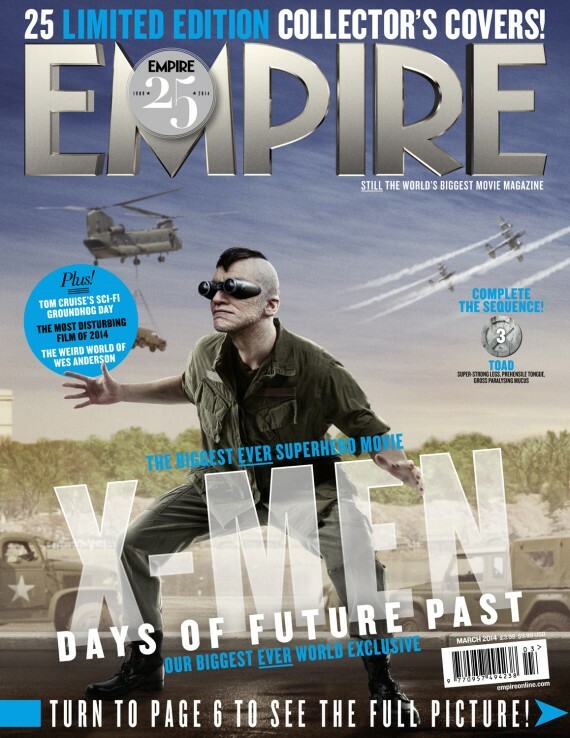 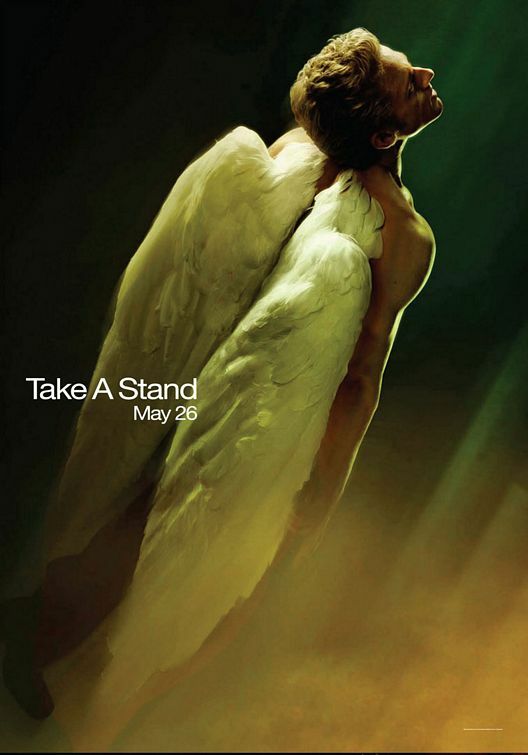 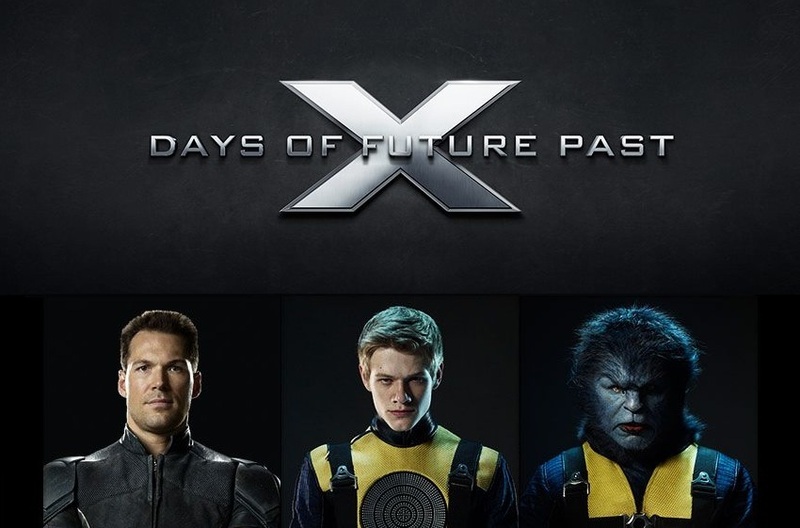 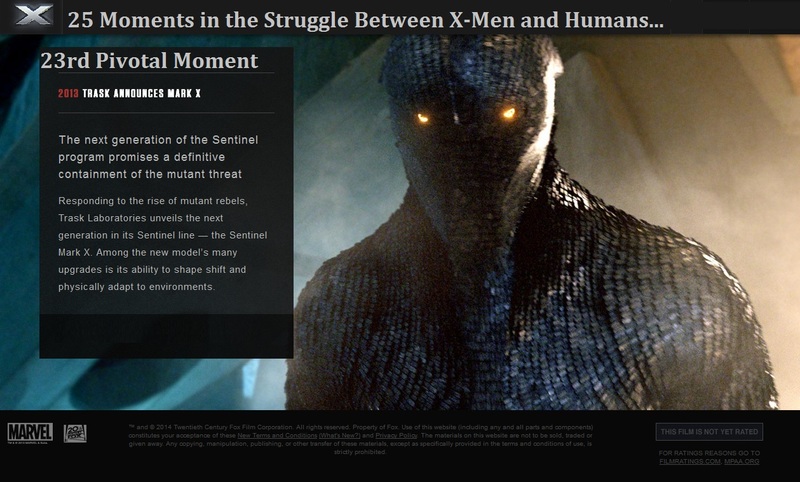 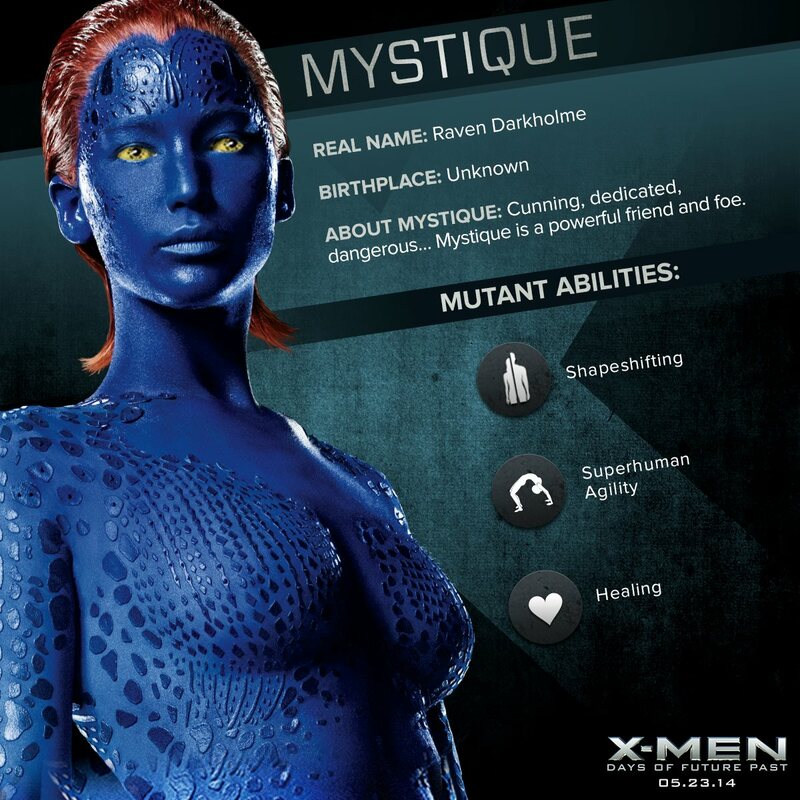 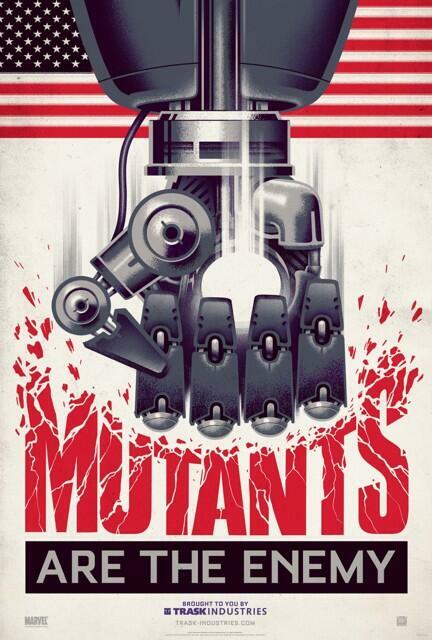 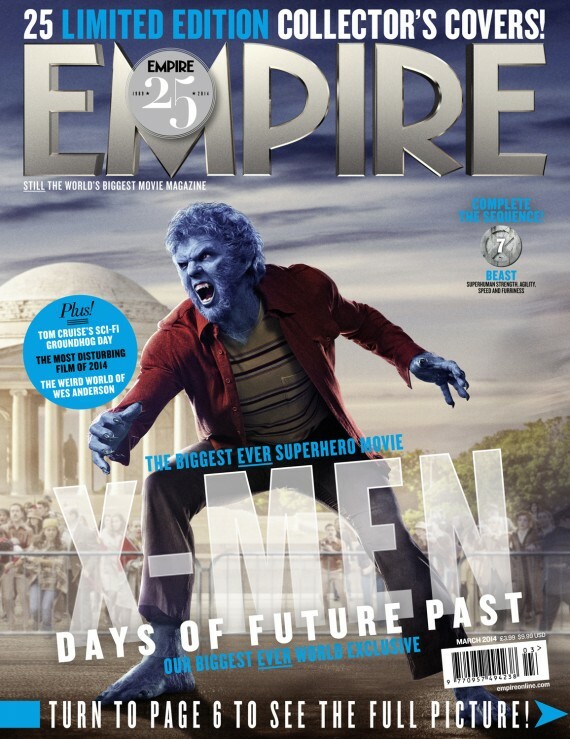 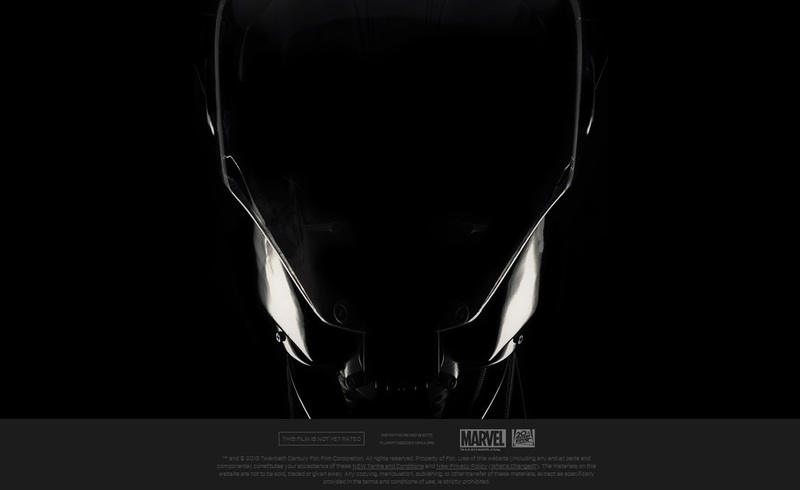 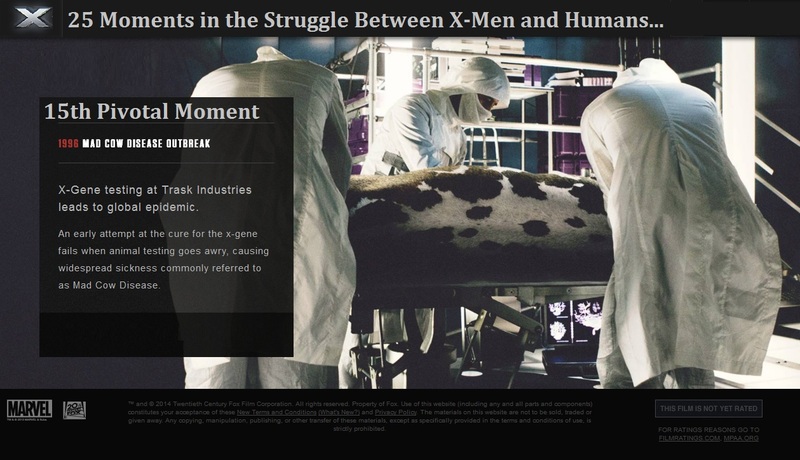 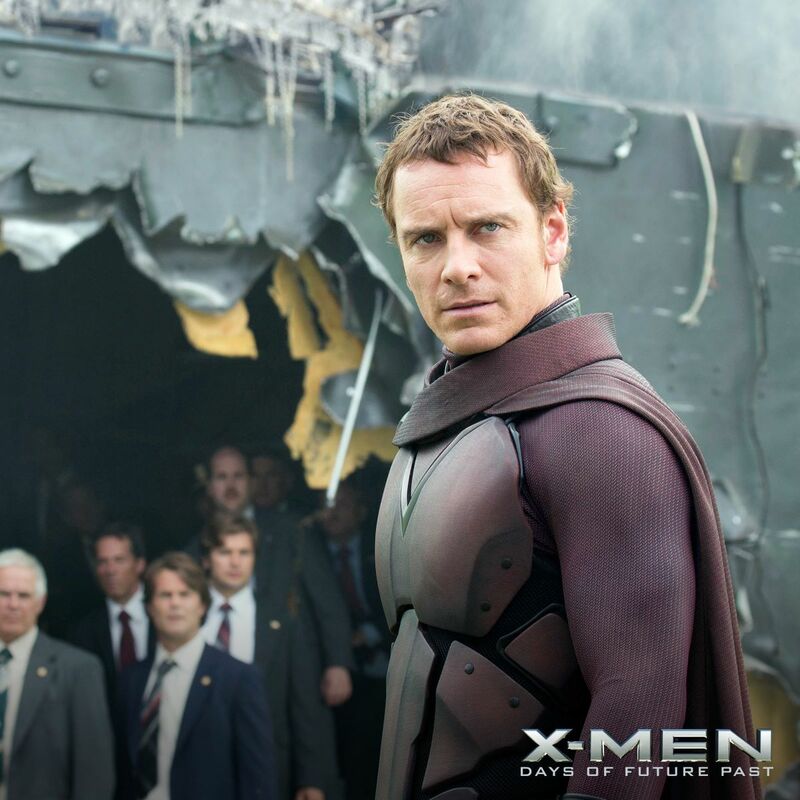 X-Men: Days of Future Past is scheduled to be released on May 23, 2014. 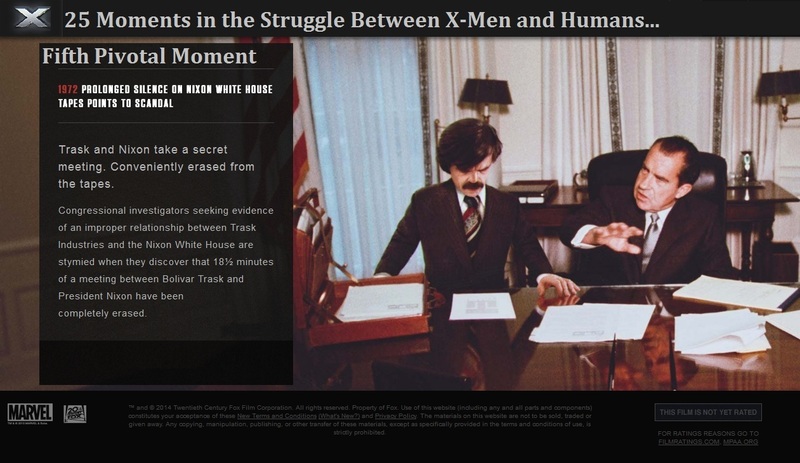 Based from the comic book with the same title, “Days of Future Past” is a popular storyline in the Marvel Comics comic book The Uncanny X-Men issues #141 and #142, published in 1981. 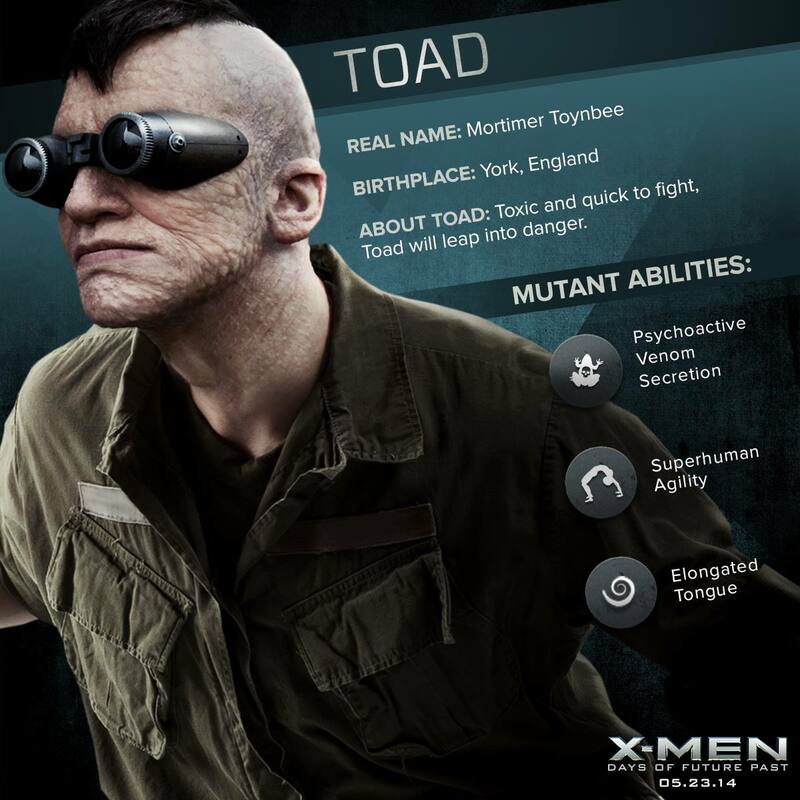 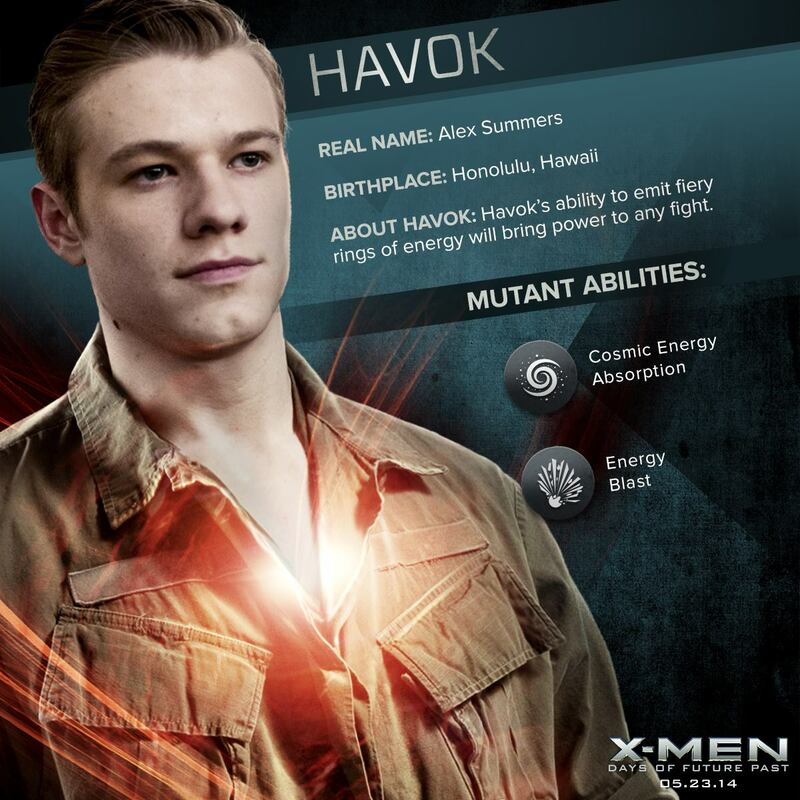 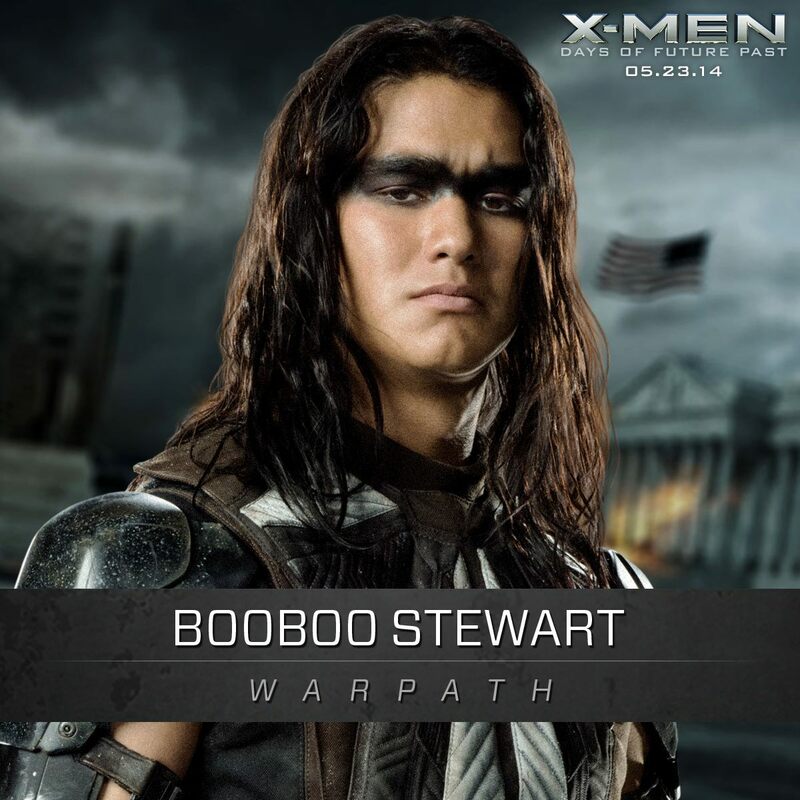 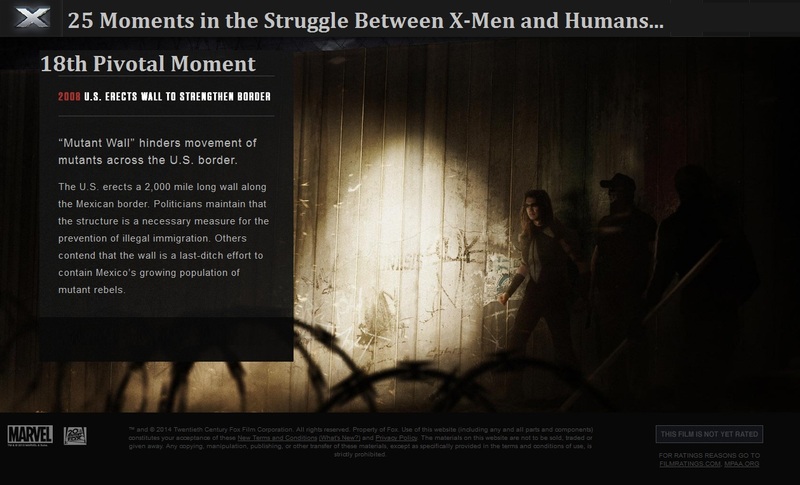 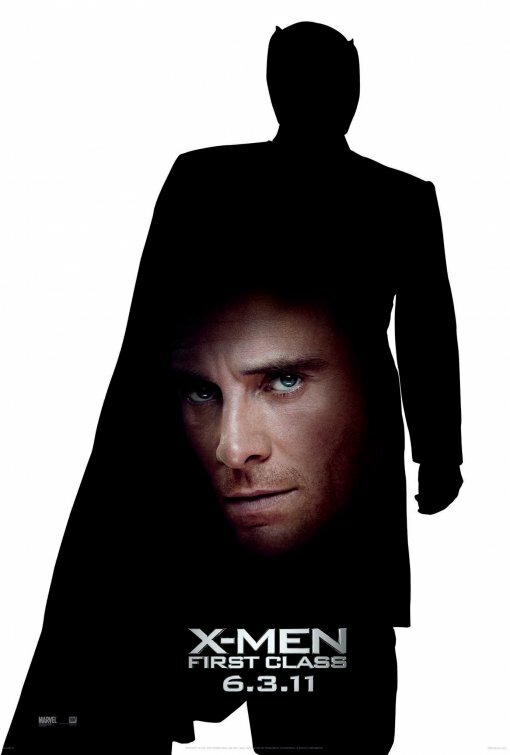 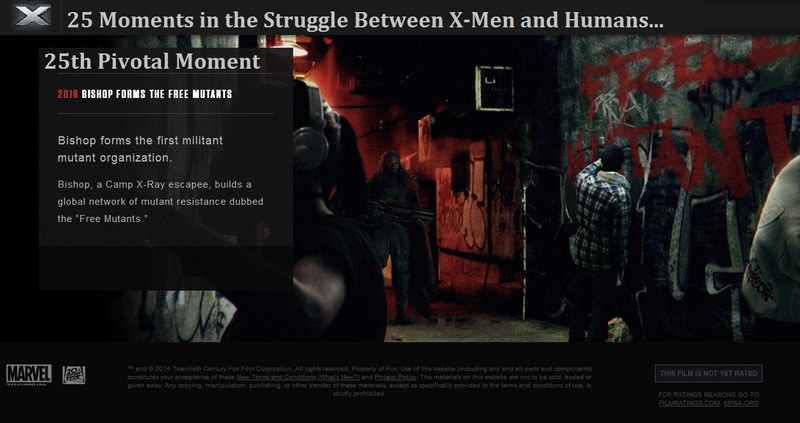 It deals with a dystopian alternative future in which mutants are incarcerated in internment camps. 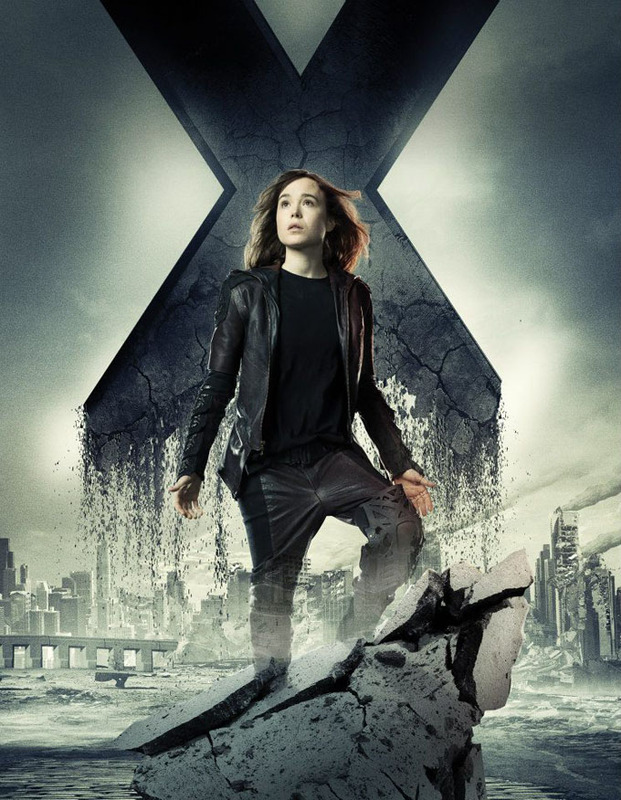 An adult Kate Pryde transfers her mind into her younger self, the present-day Kitty Pryde, who brings the X-Men to prevent a fatal moment in history which triggers anti-mutant hysteria. 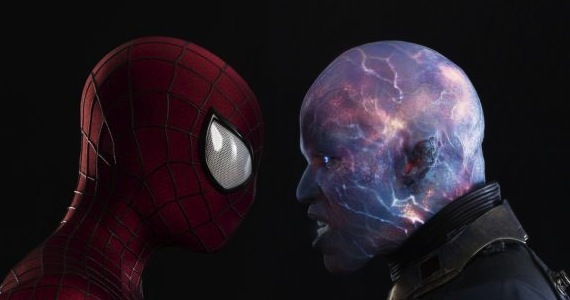 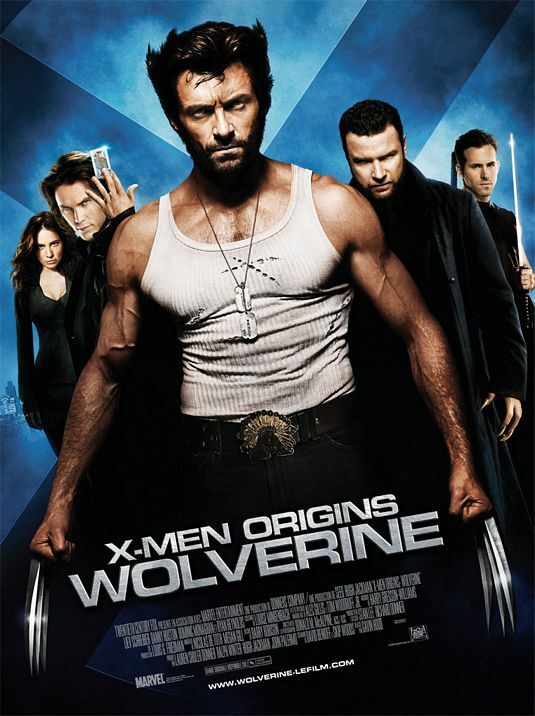 The storyline was very popular at the time and was produced during the franchise‘s rapid rise to popularity due to the writer/artist team of Chris Claremont, John Byrne and Terry Austin. 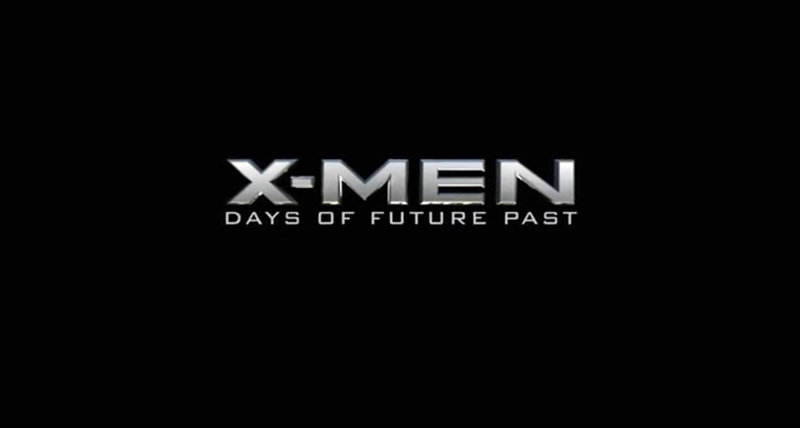 As a result of the storyline’s popularity, the dark future seen in the story has been revisited numerous times. 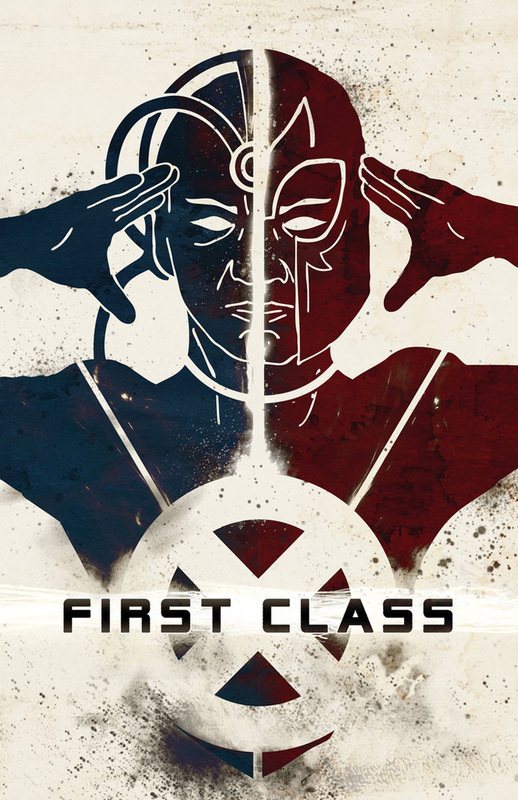 The first issue of this storyline was voted the 25th greatest Marvel Comic of all time by fans in 2001. 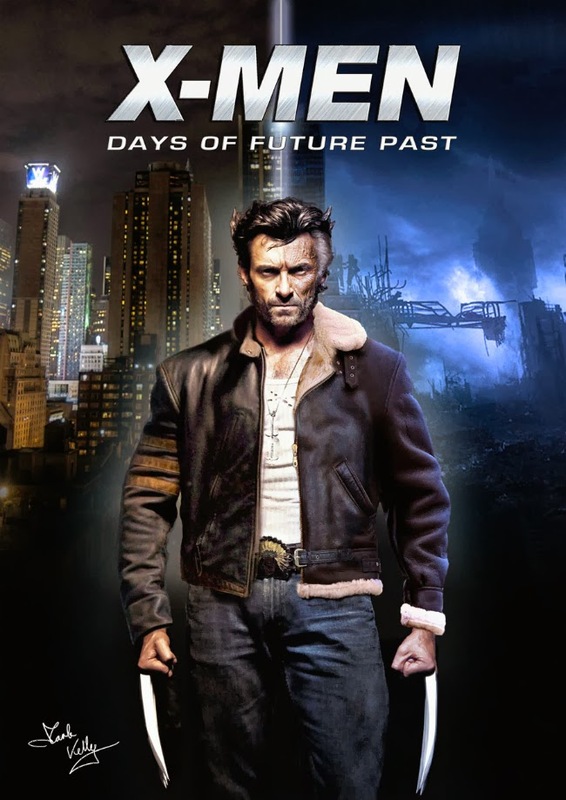 But in this adaptation, it’s not Kitty Pryde who went back to the past but Wolverine… probably just to fix the timeline since Kitty Pryde is not born yet then at that time. 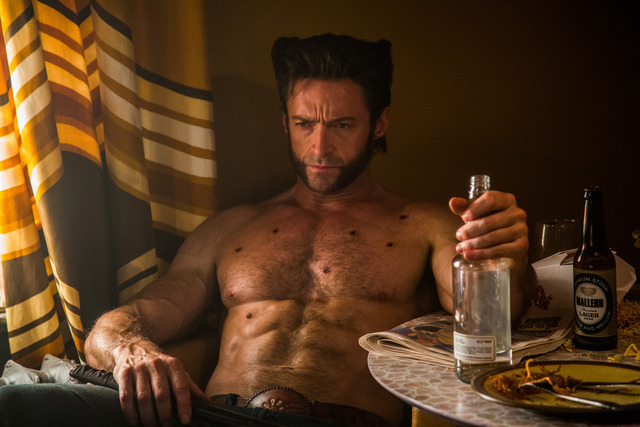 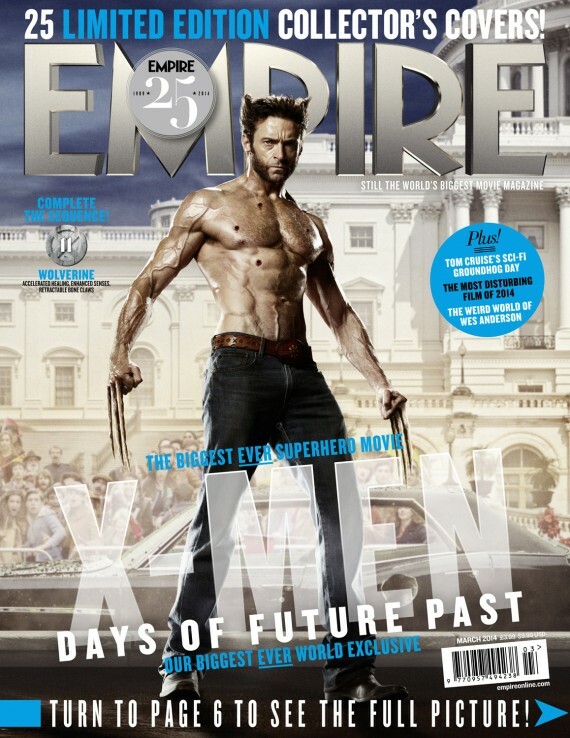 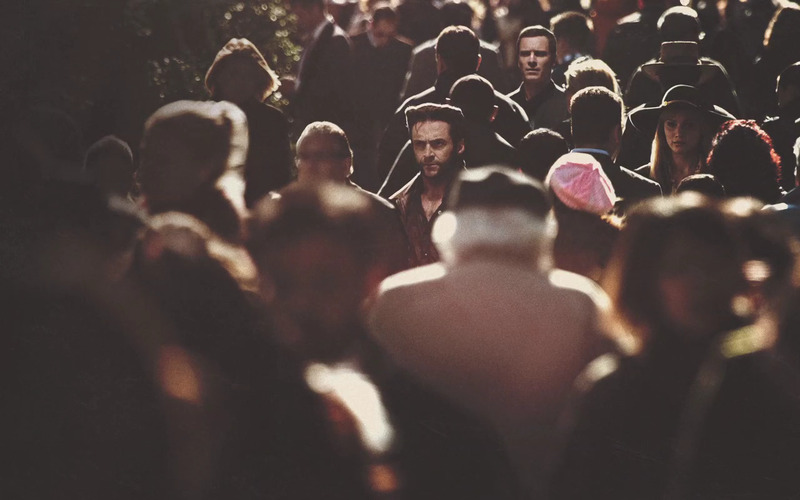 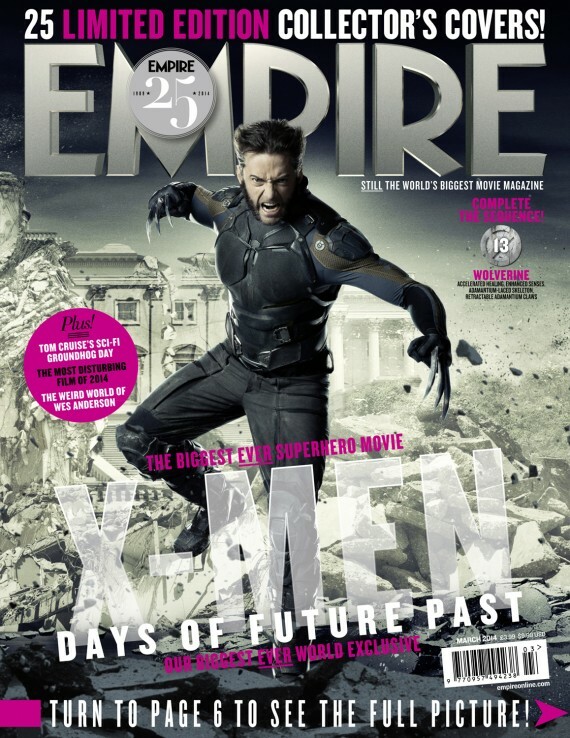 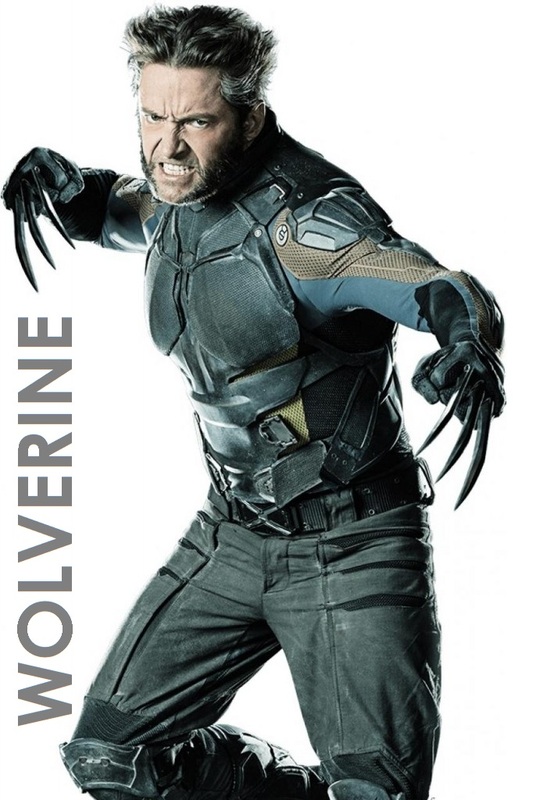 So it’s more realistic to put Wolverine in that scenario since he hasn’t aged rapidly. 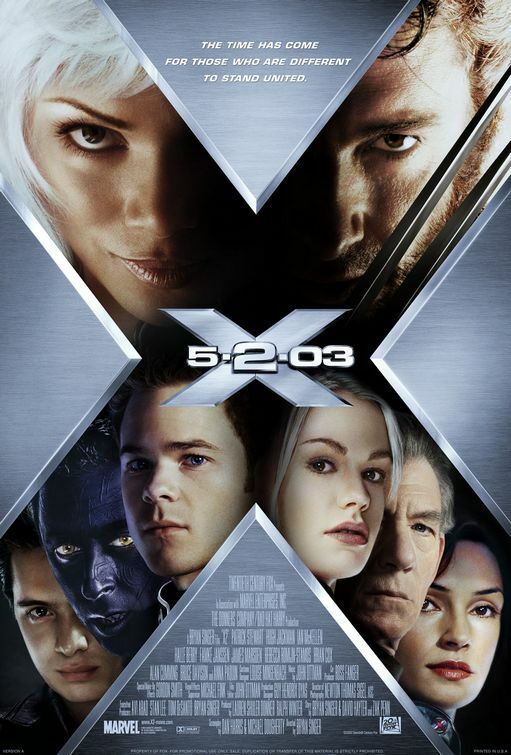 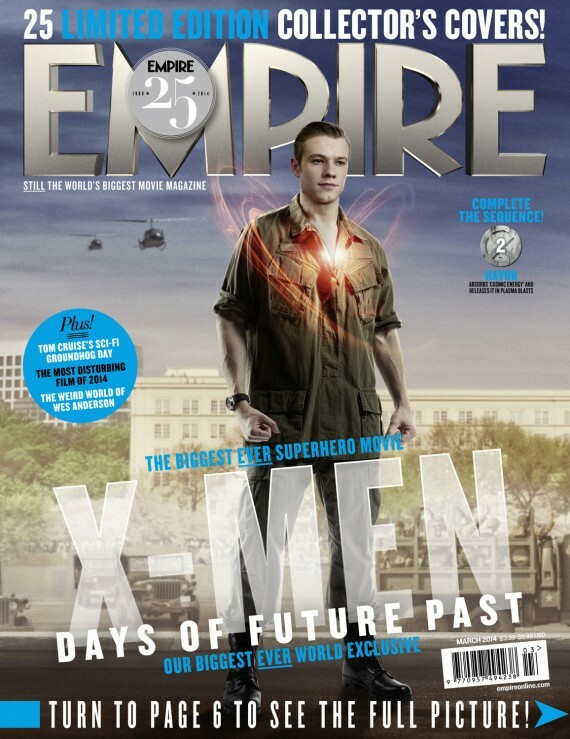 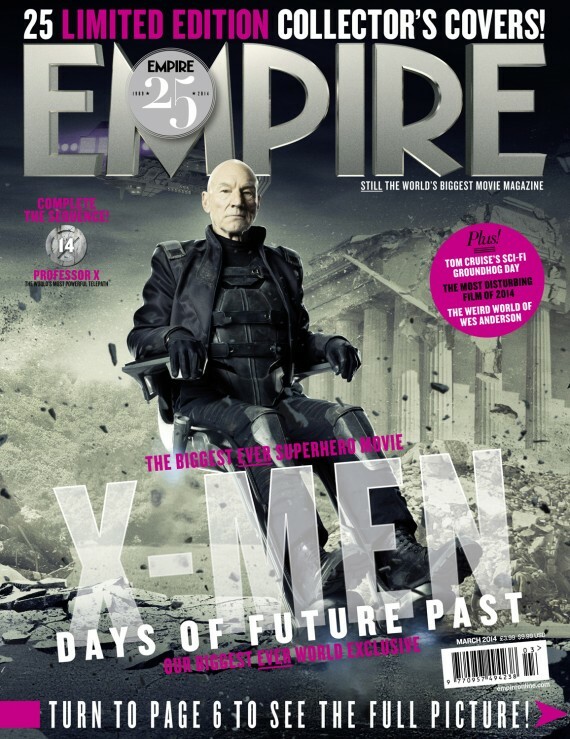 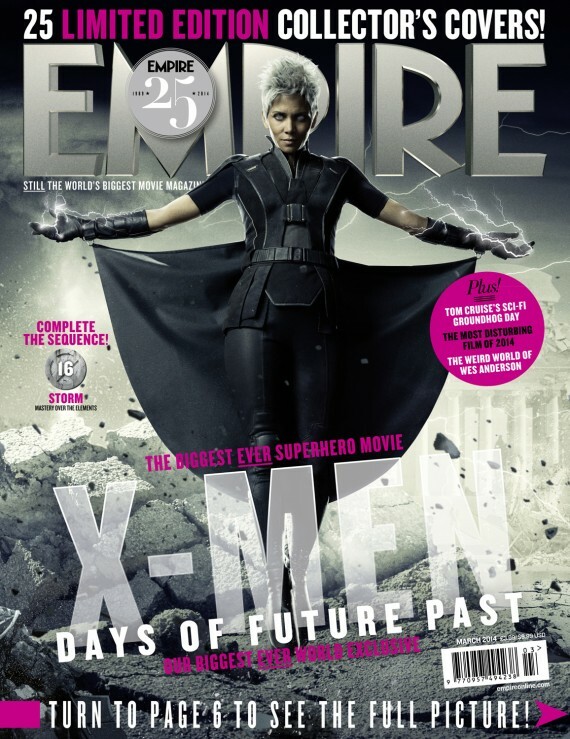 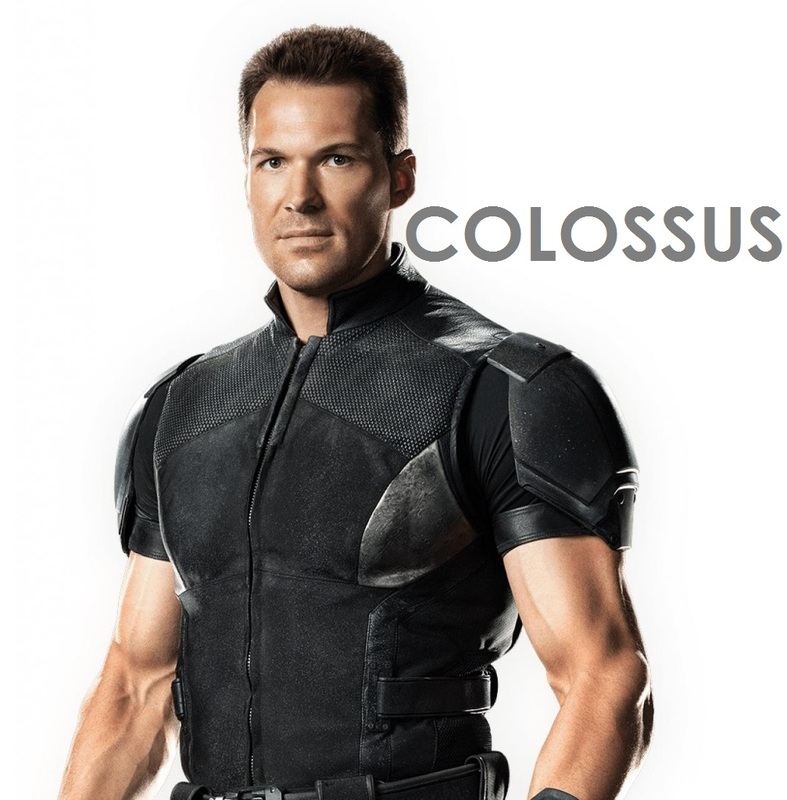 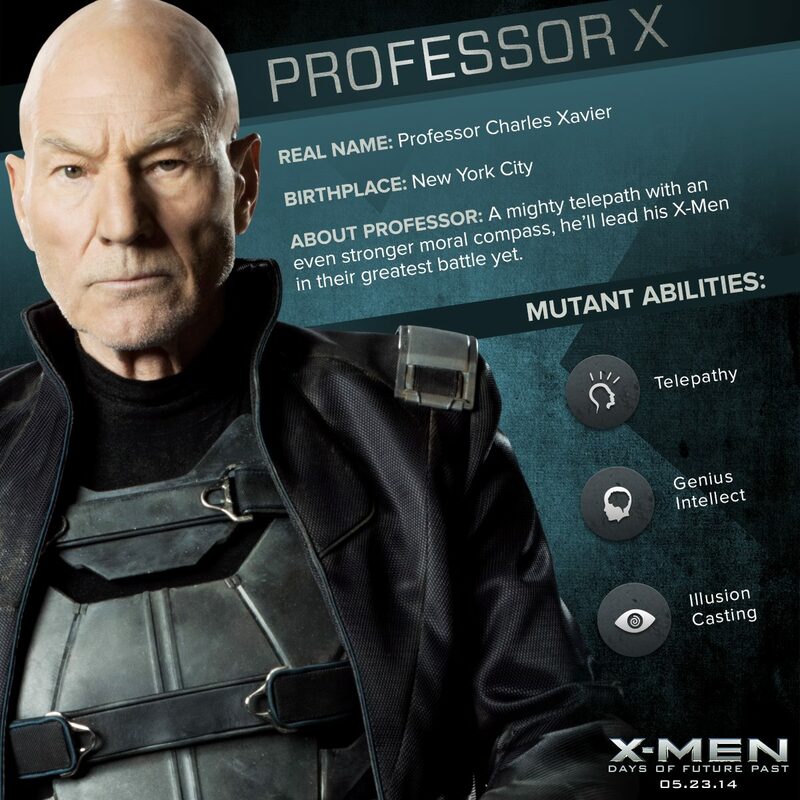 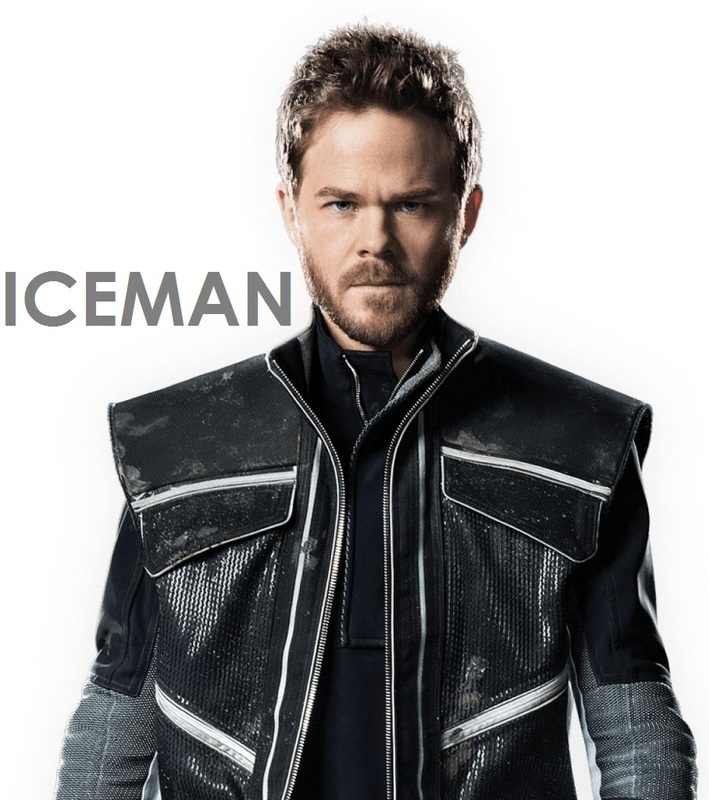 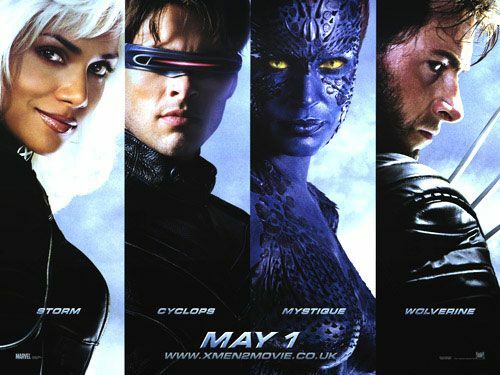 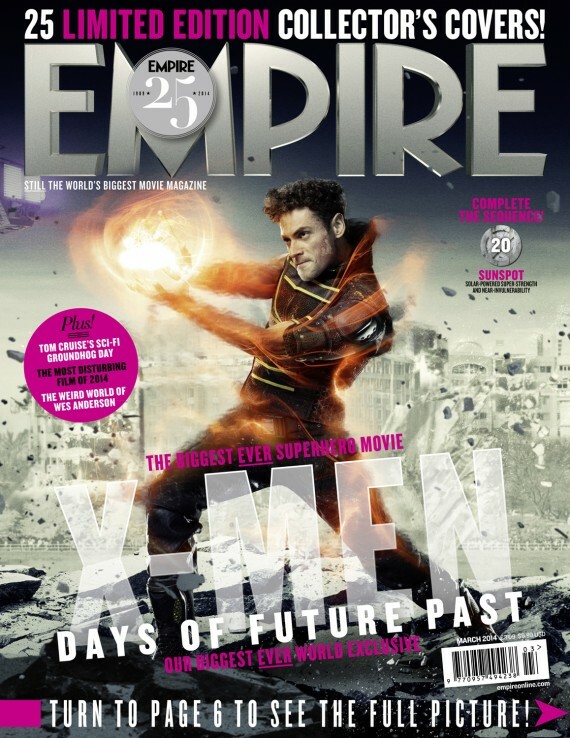 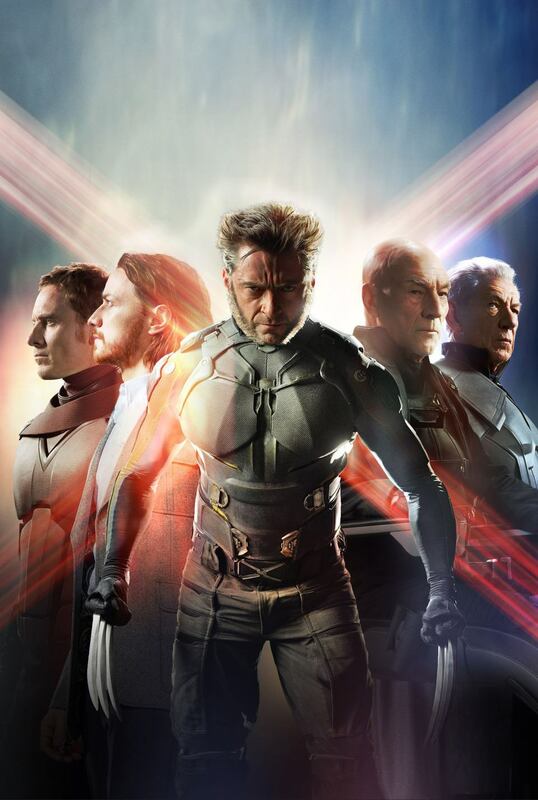 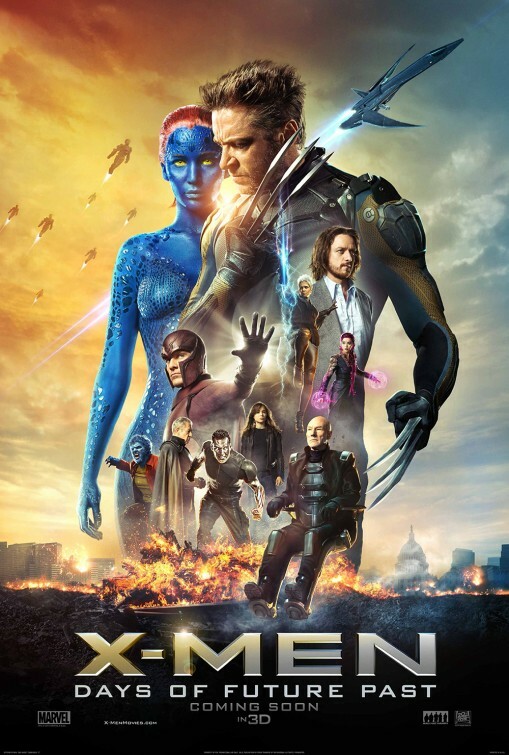 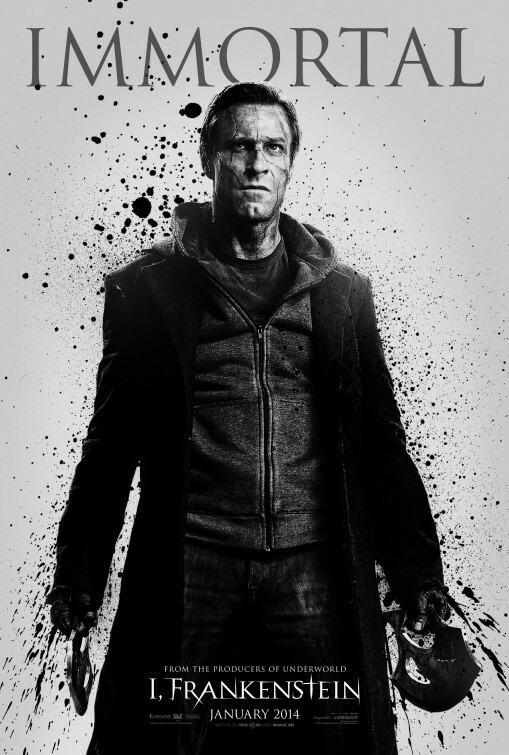 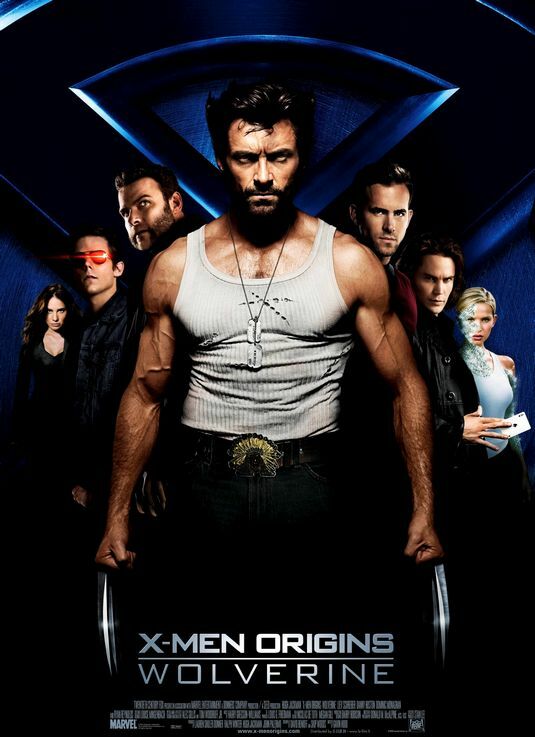 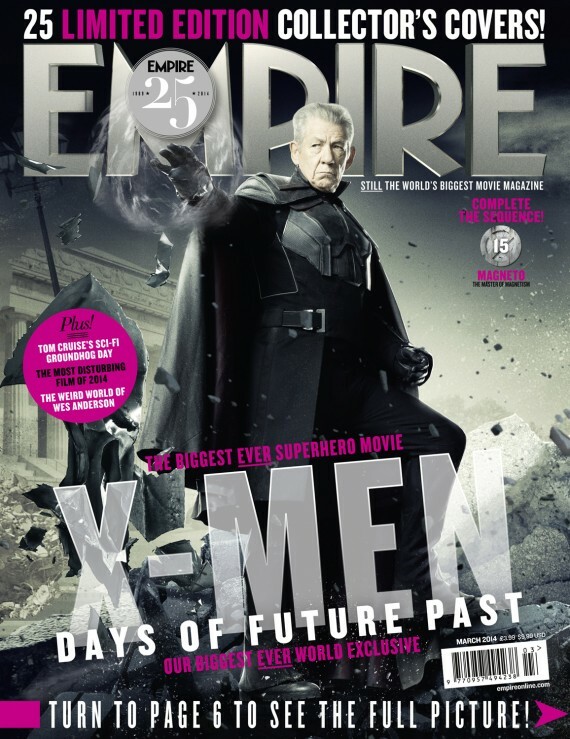 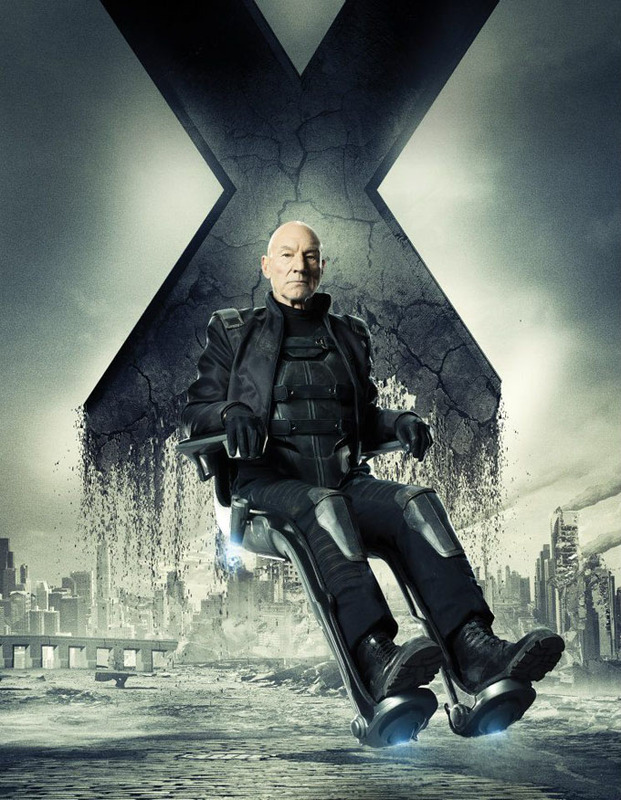 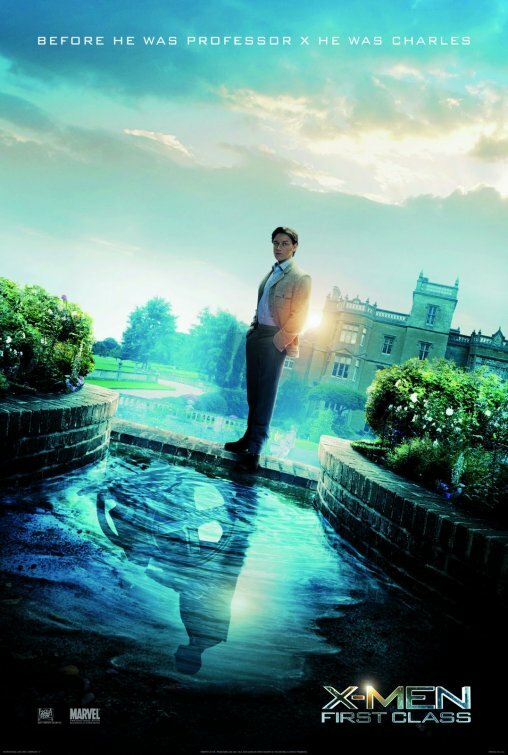 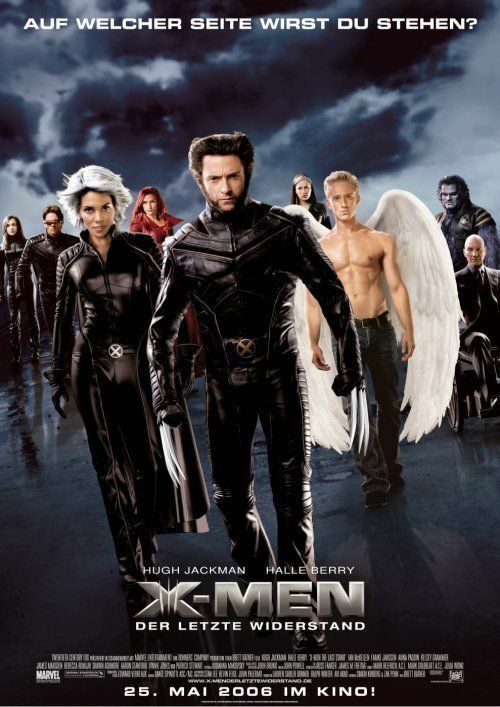 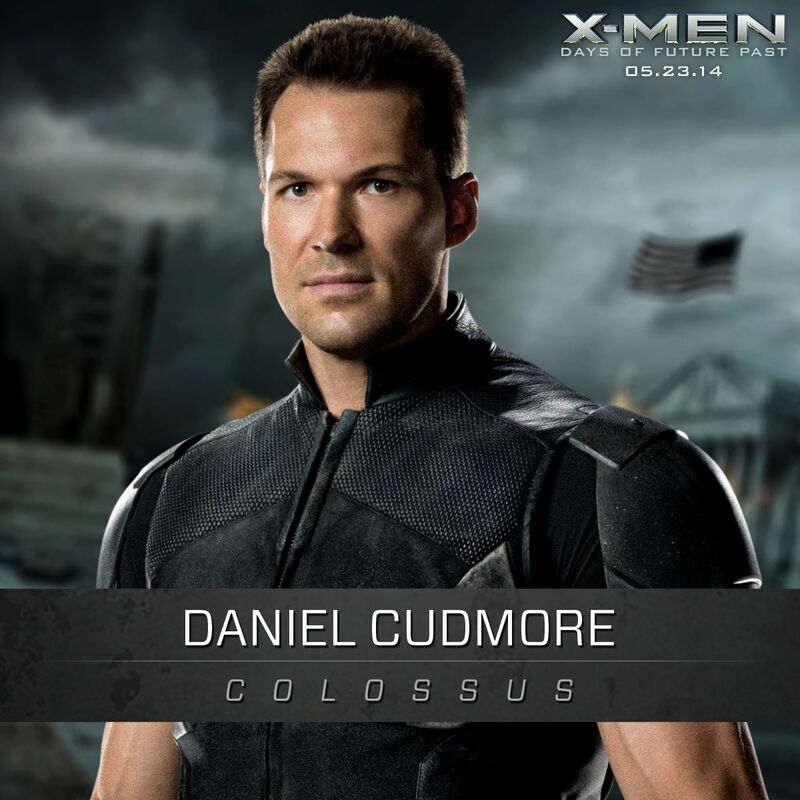 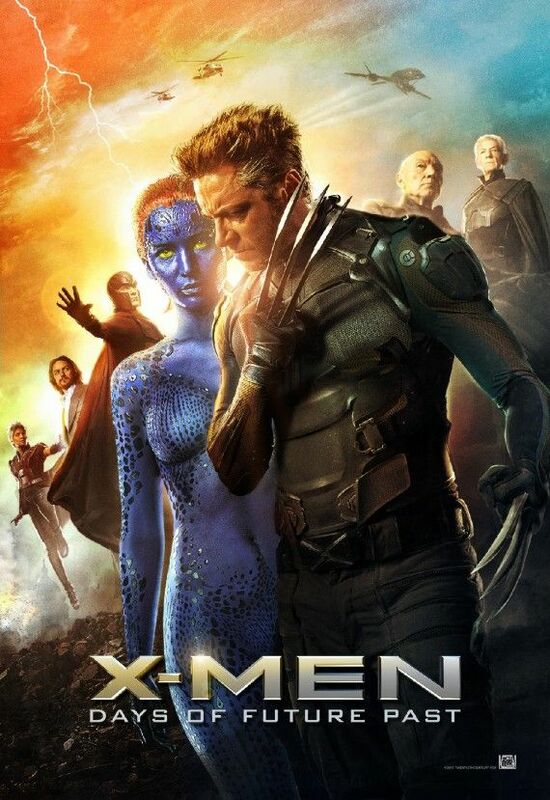 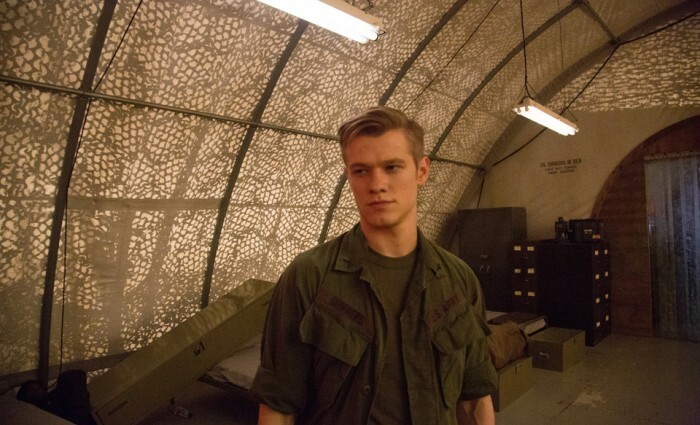 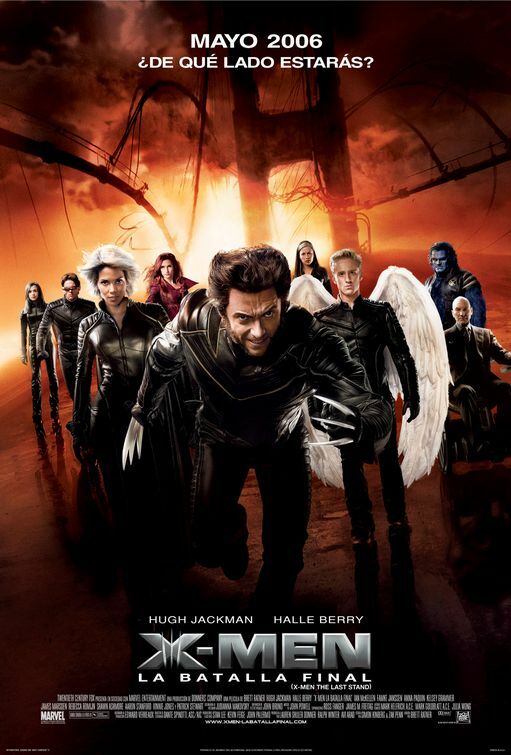 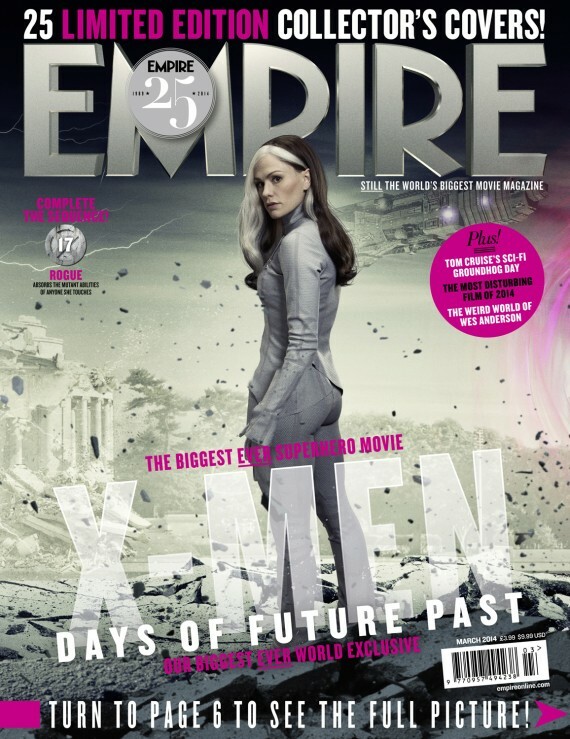 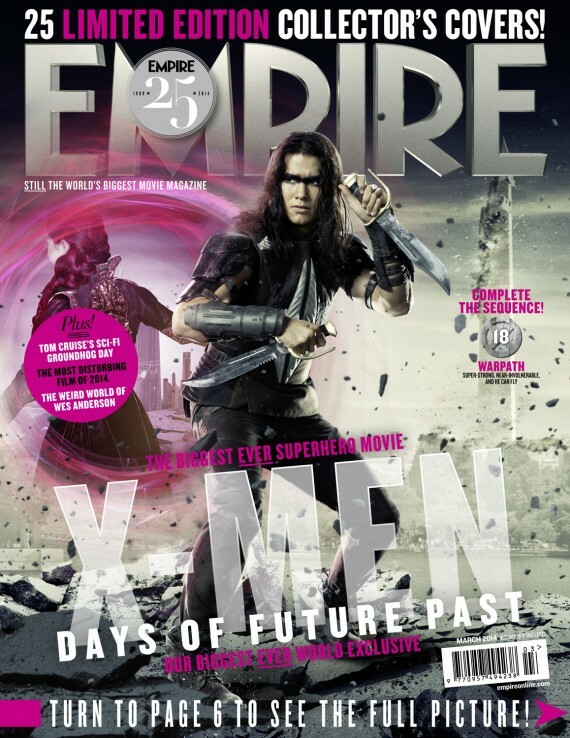 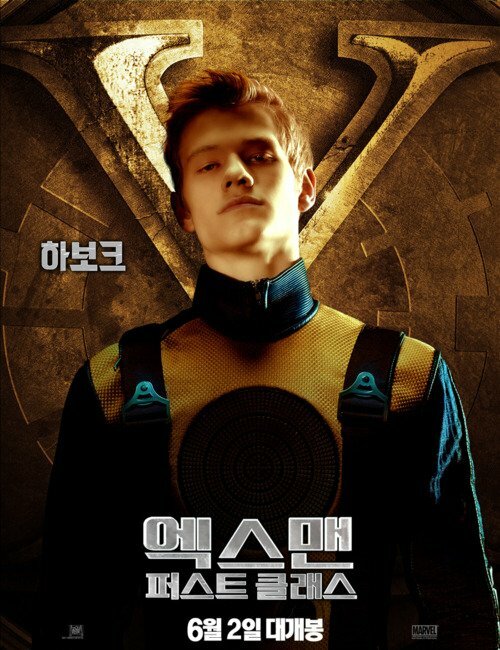 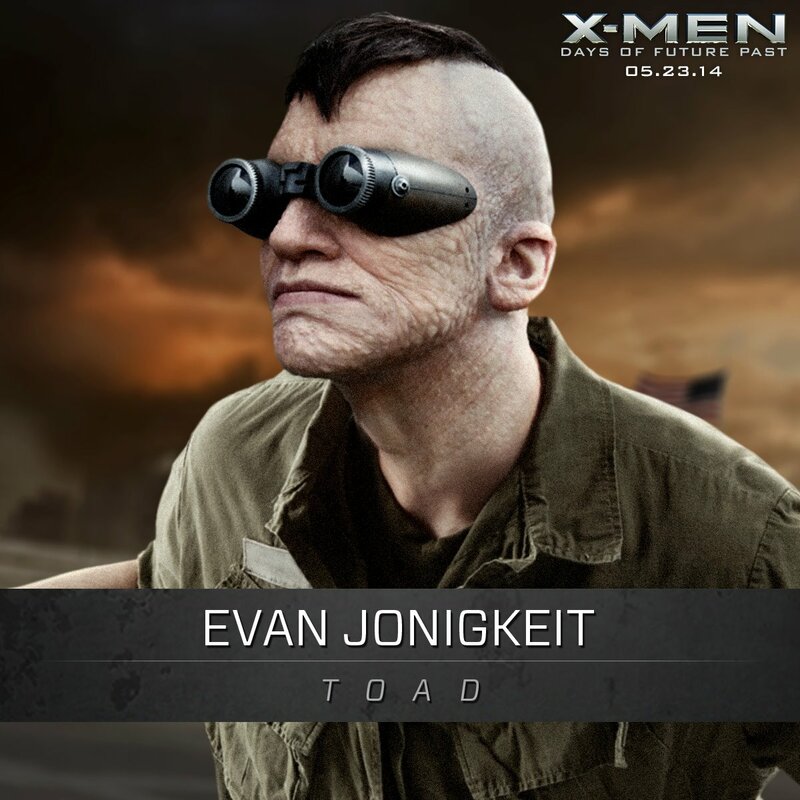 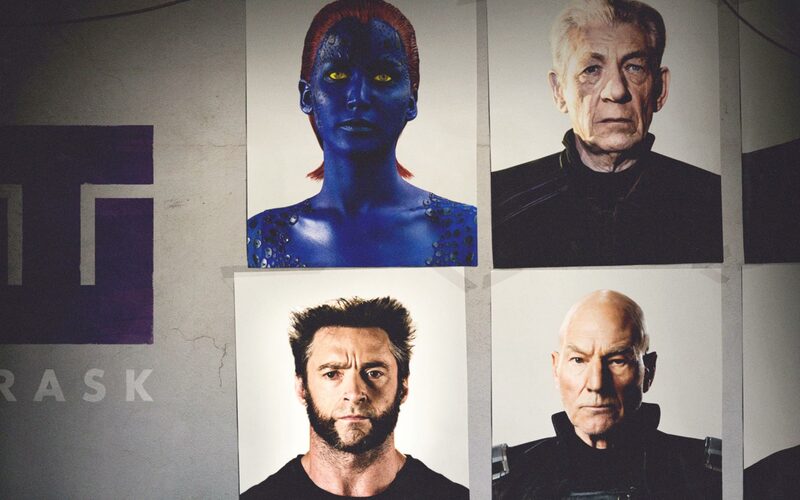 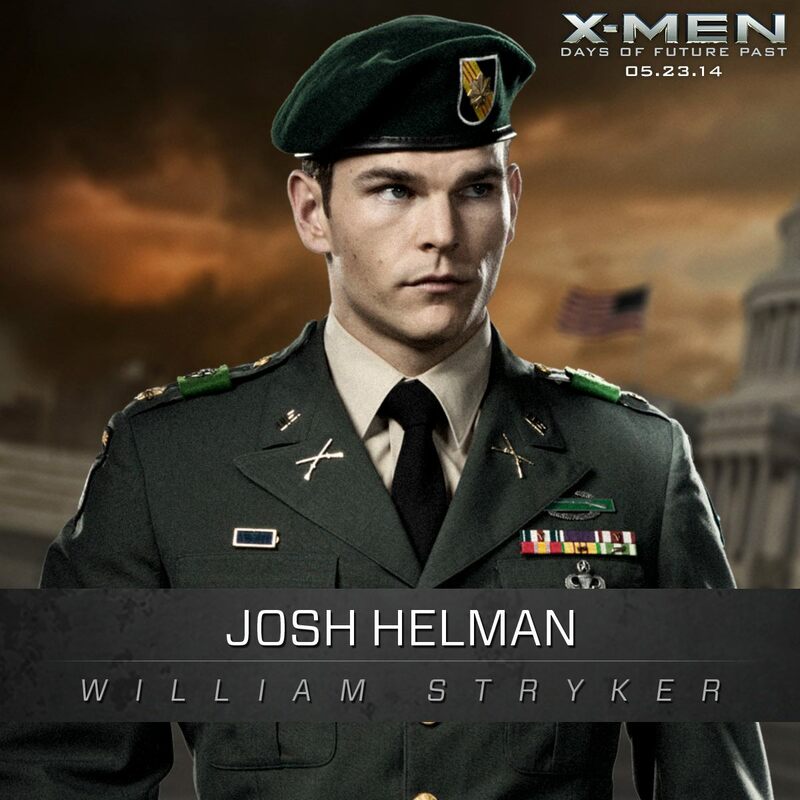 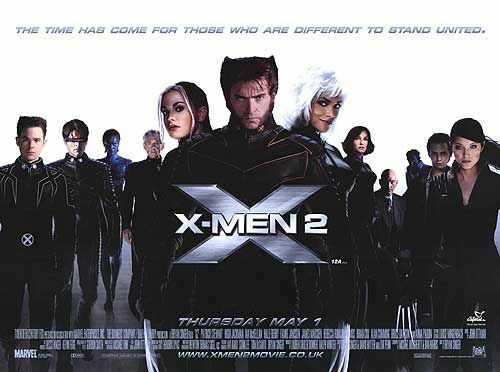 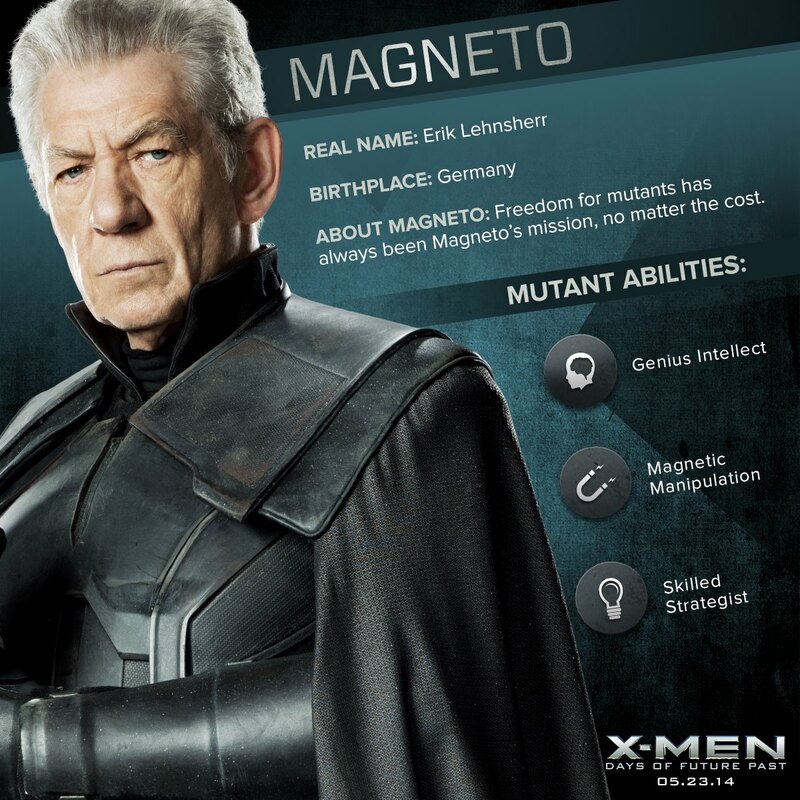 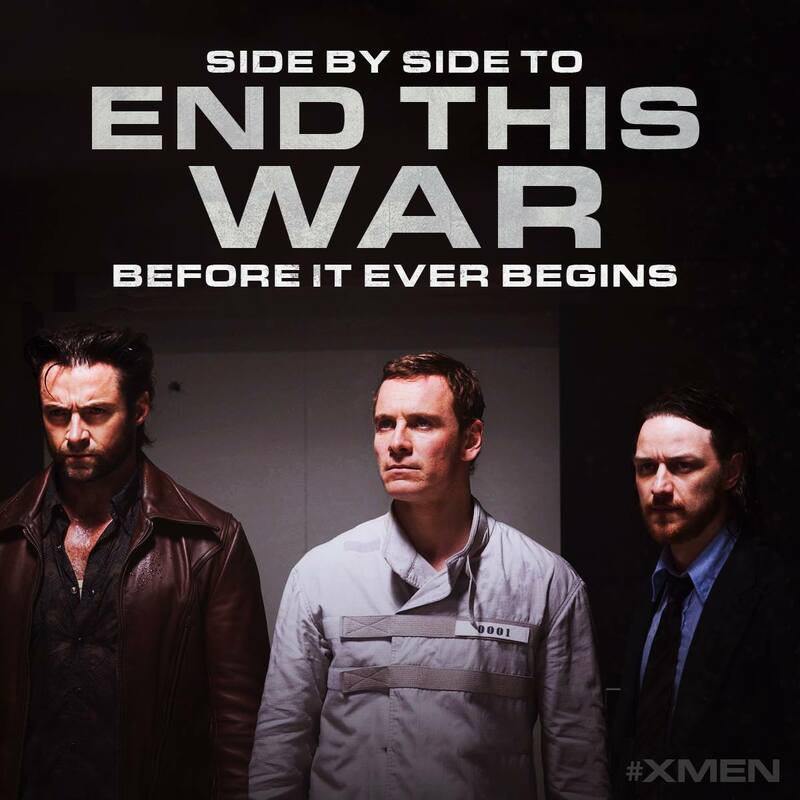 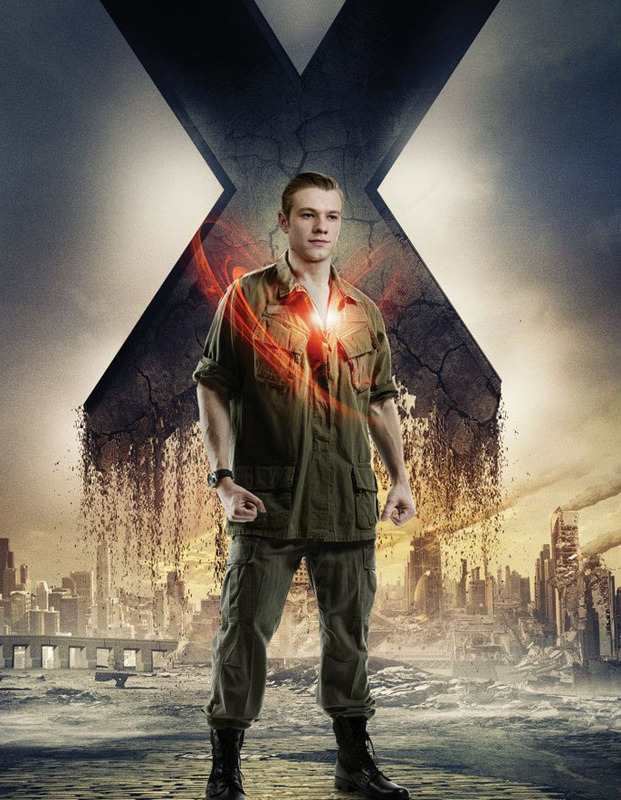 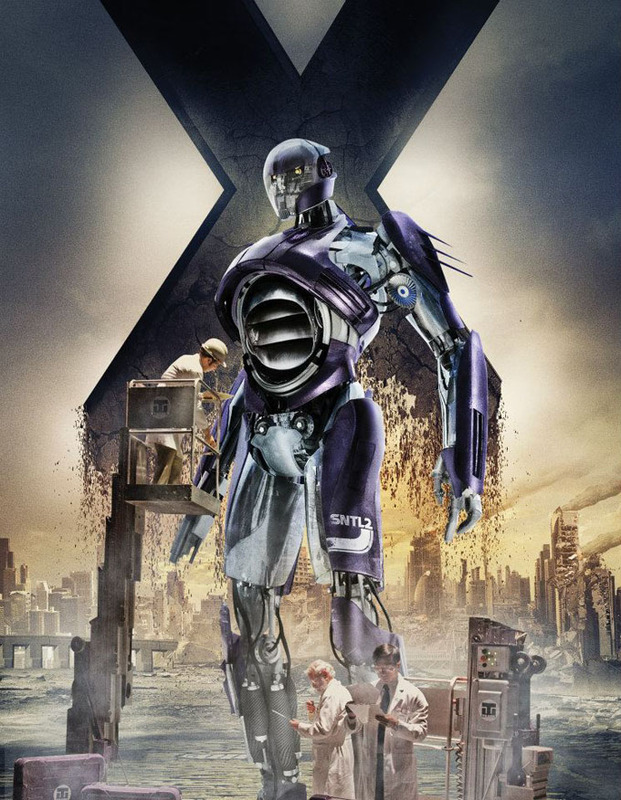 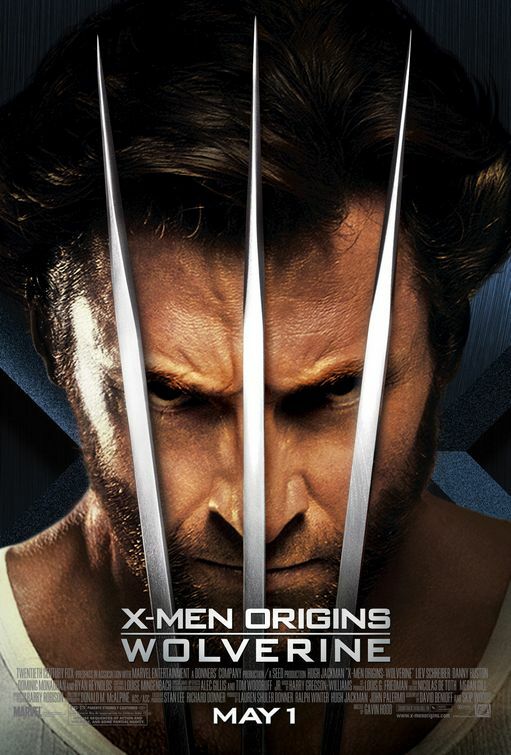 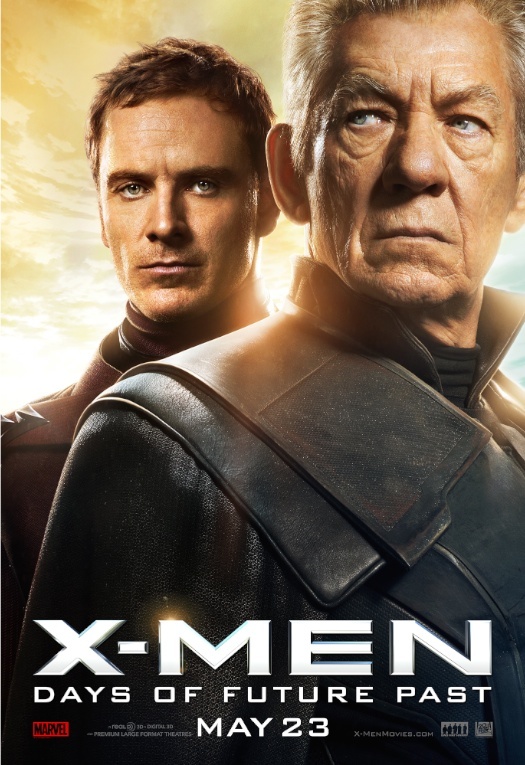 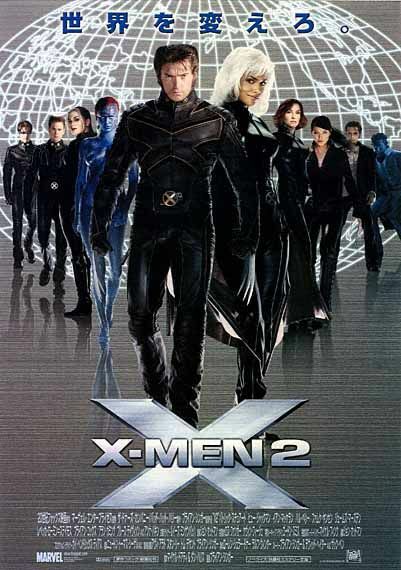 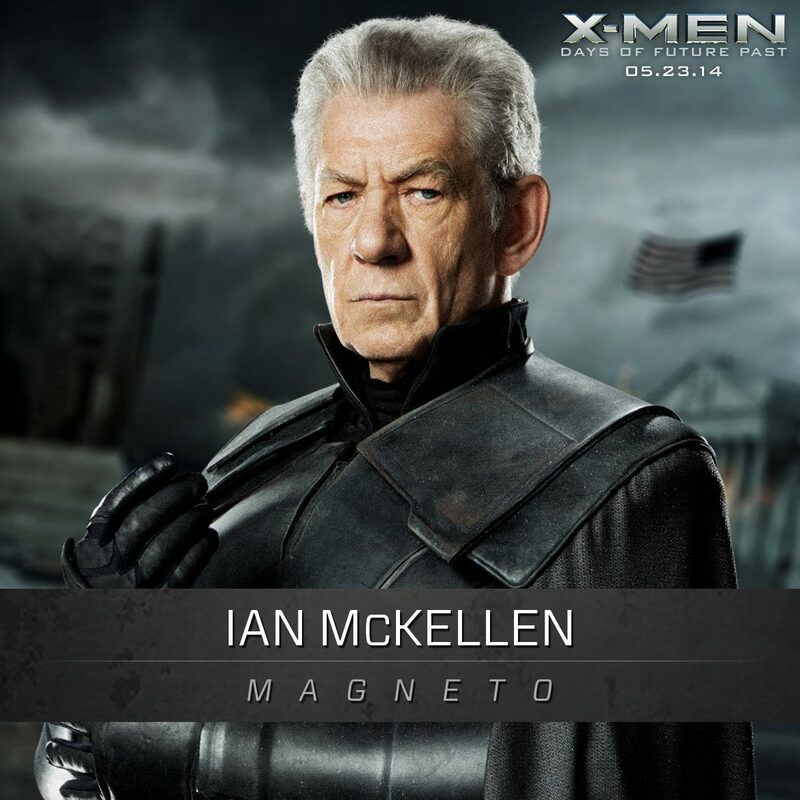 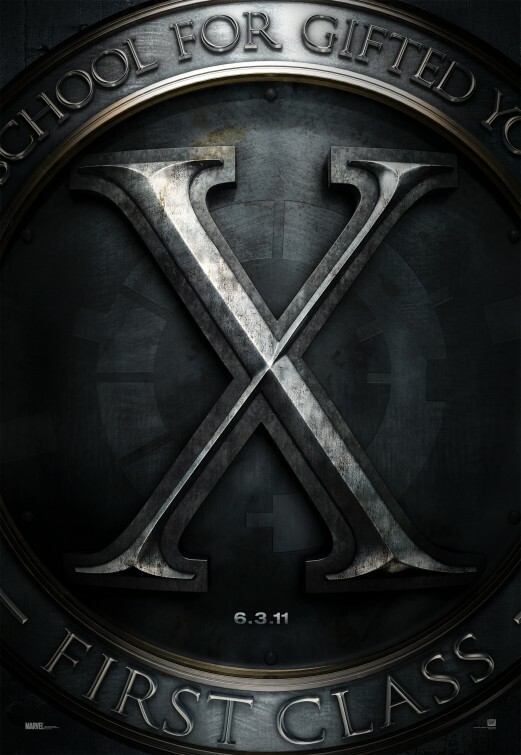 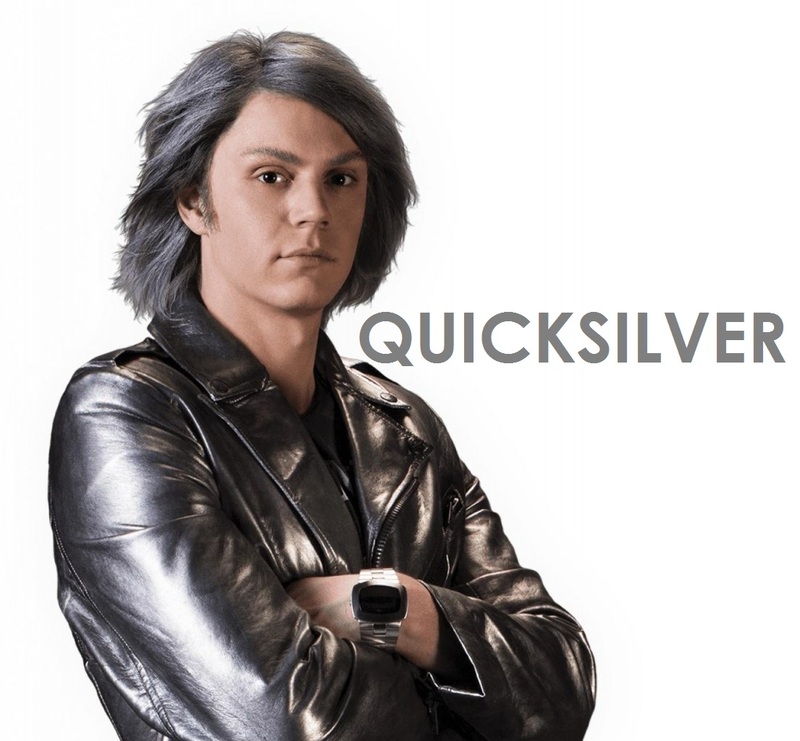 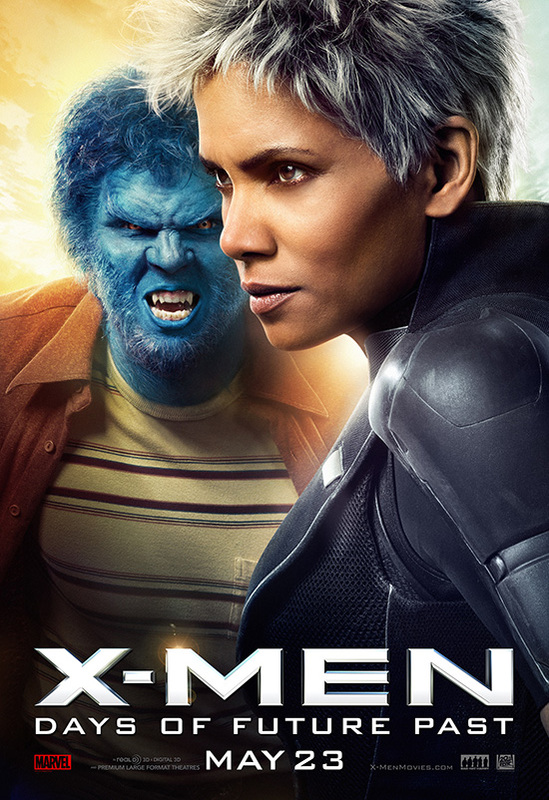 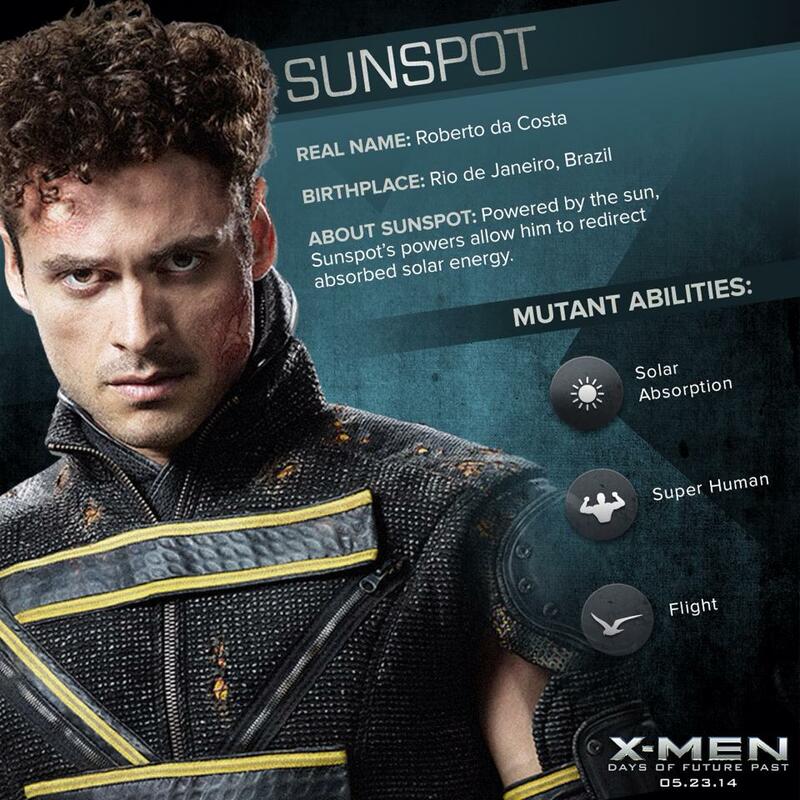 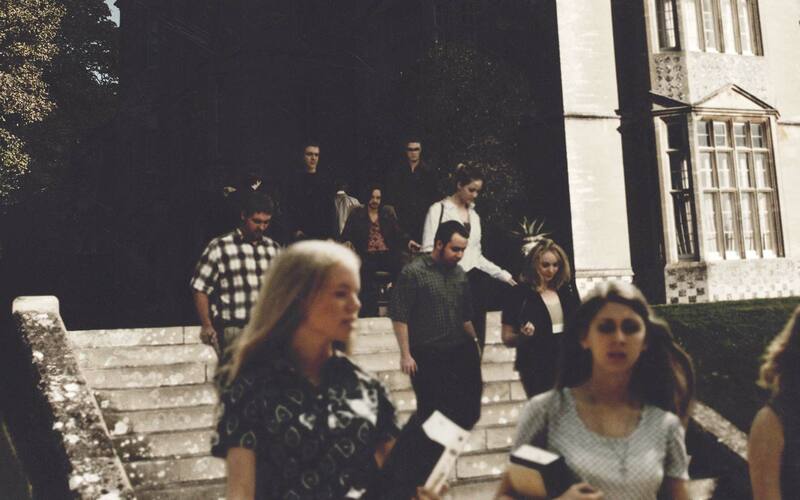 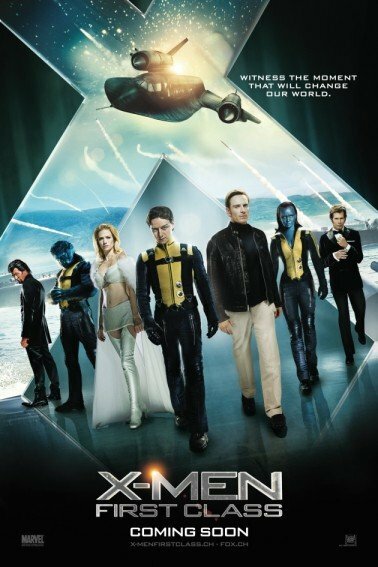 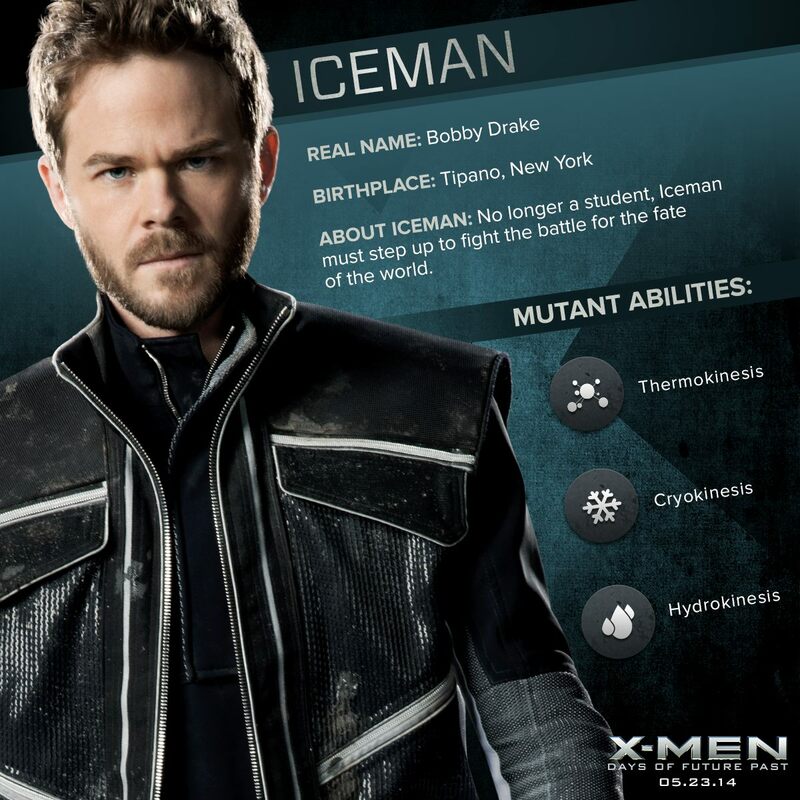 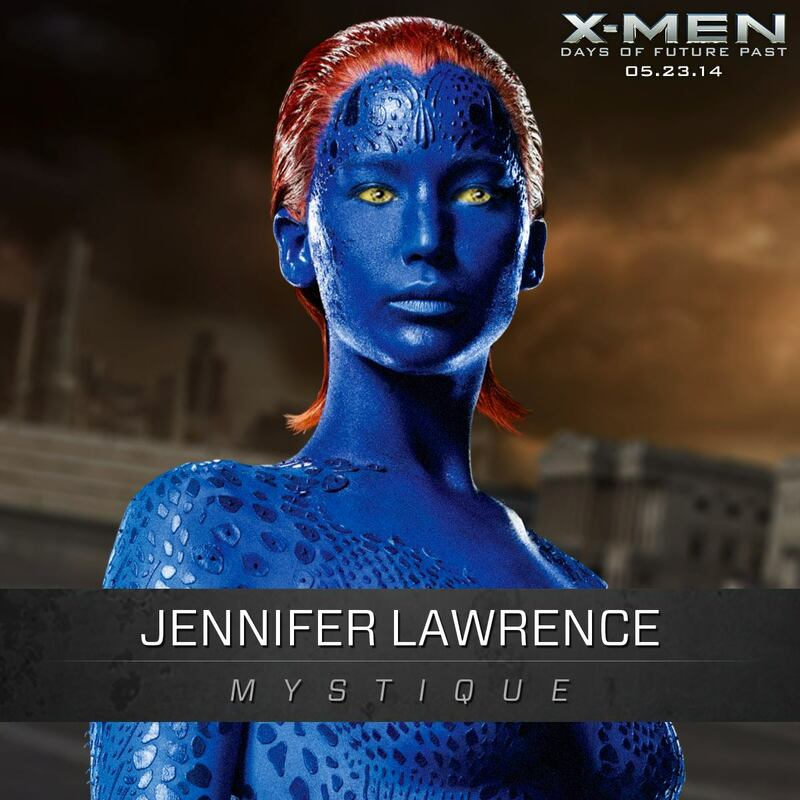 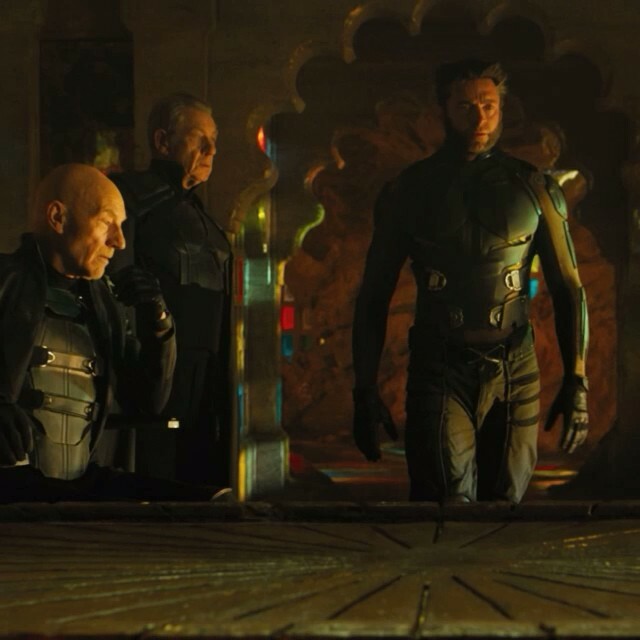 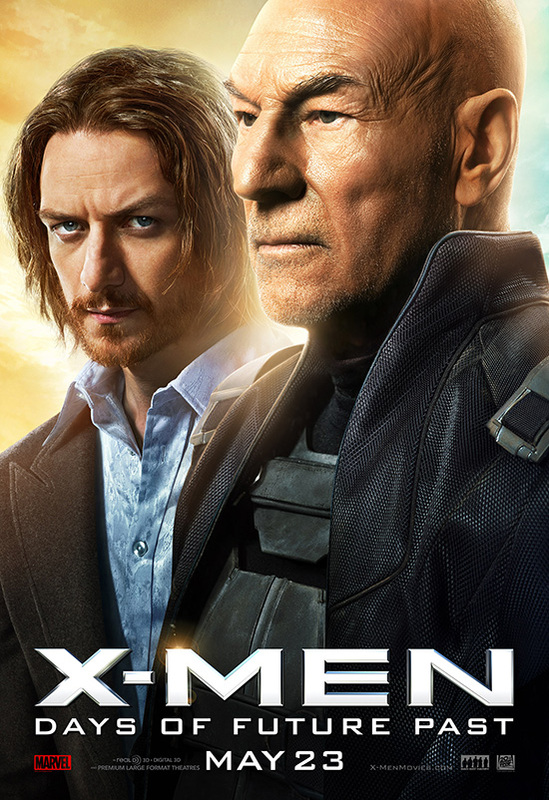 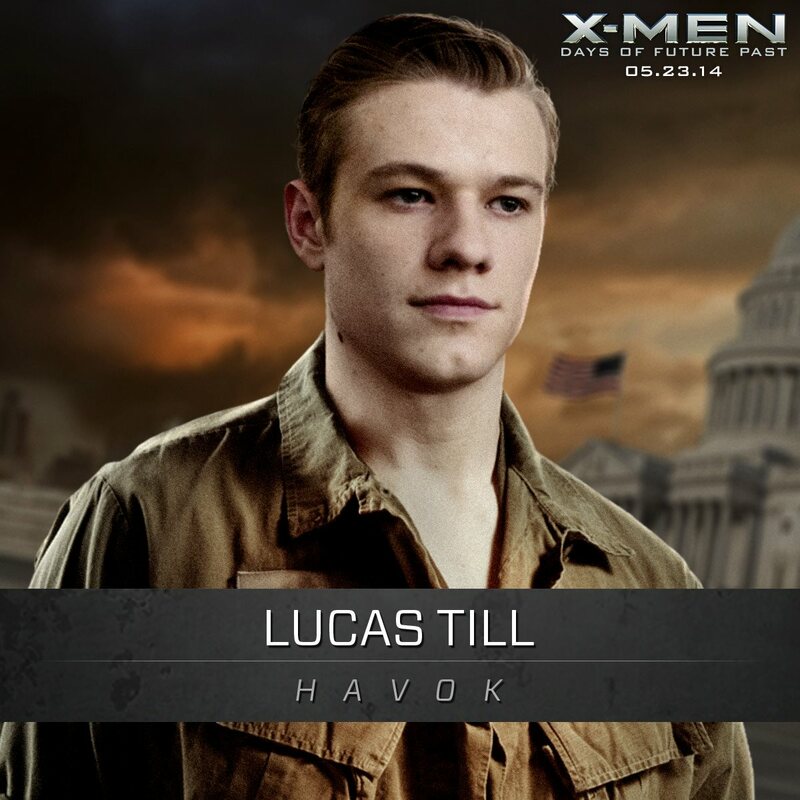 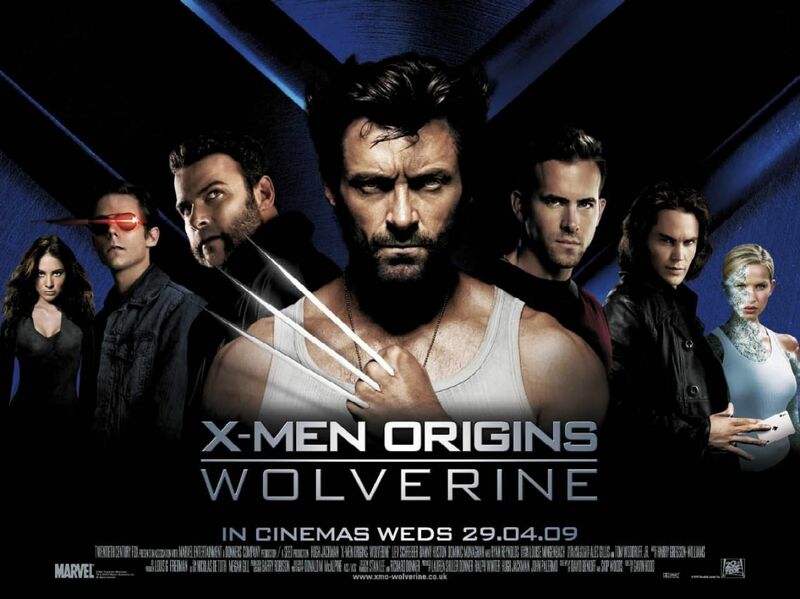 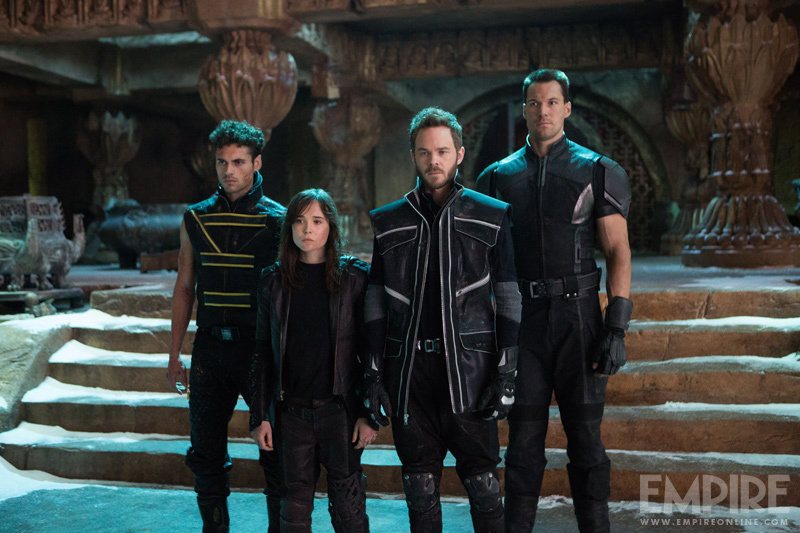 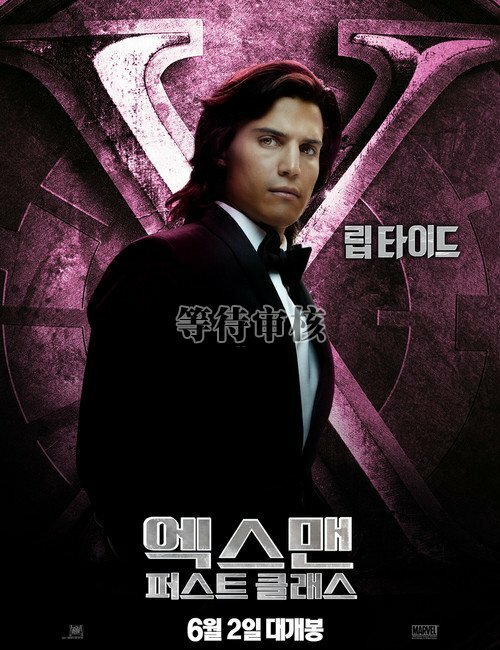 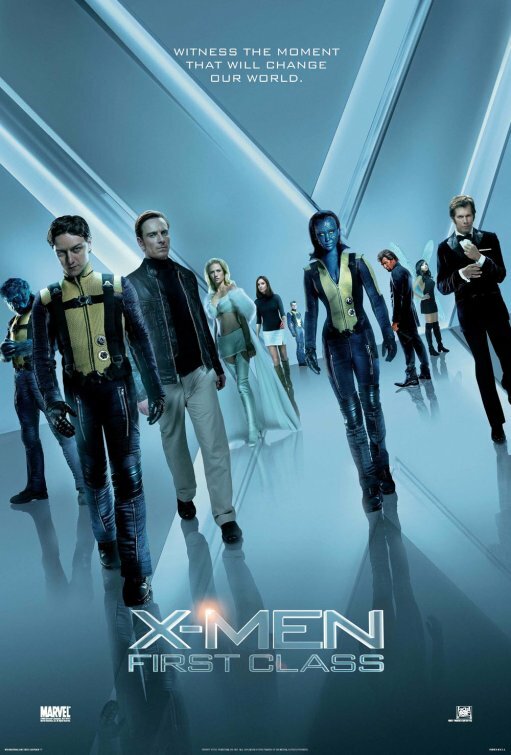 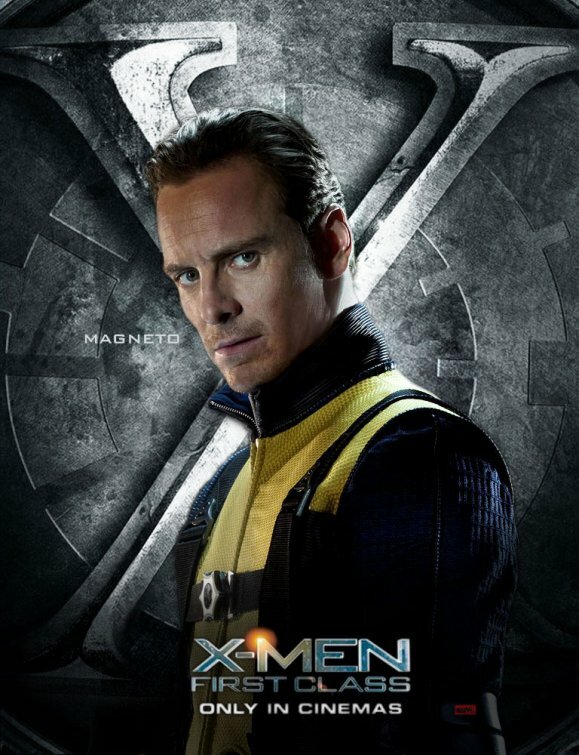 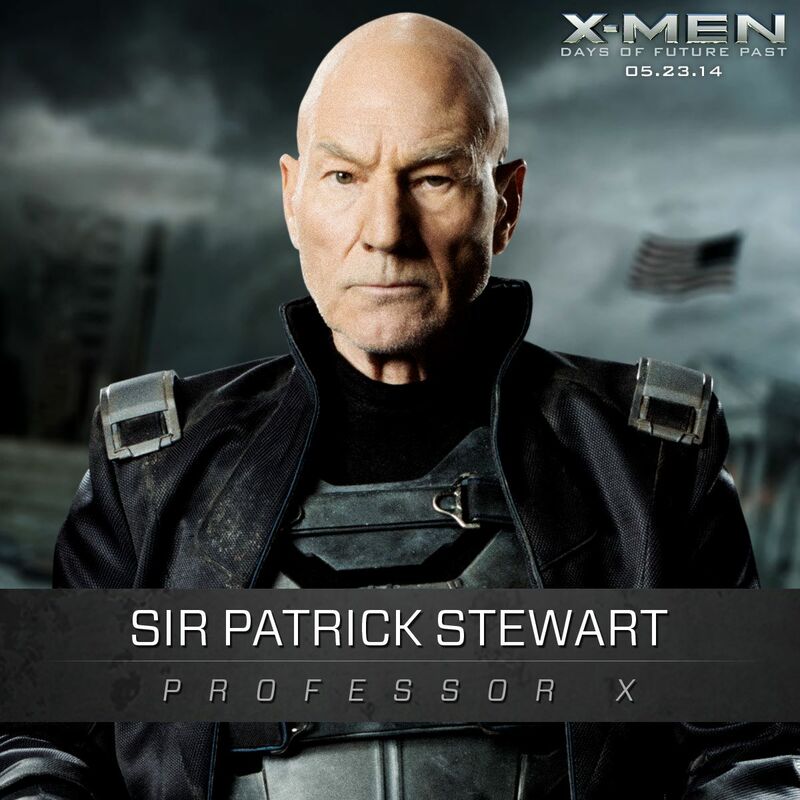 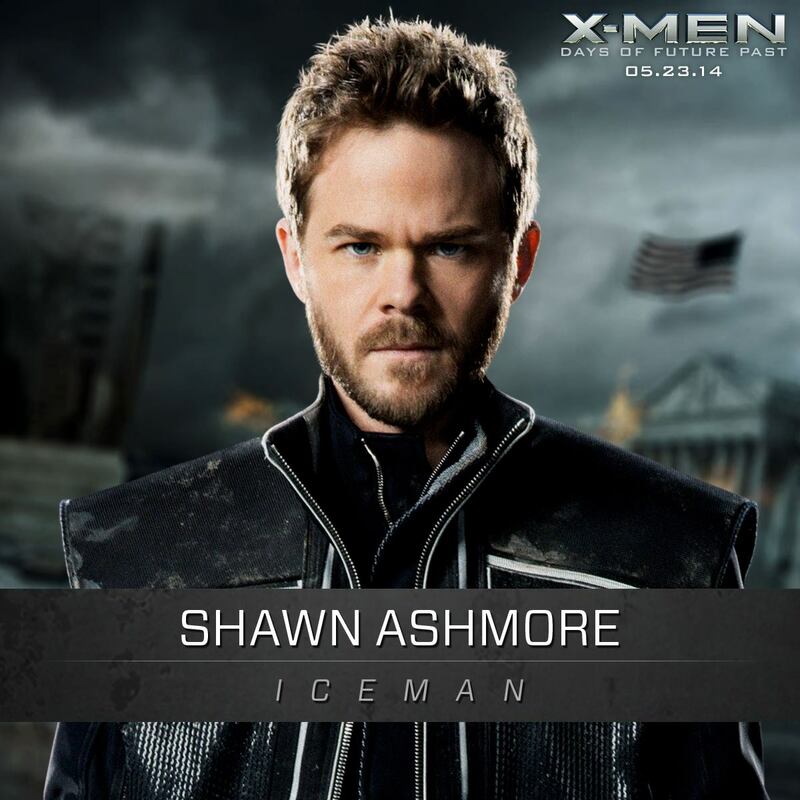 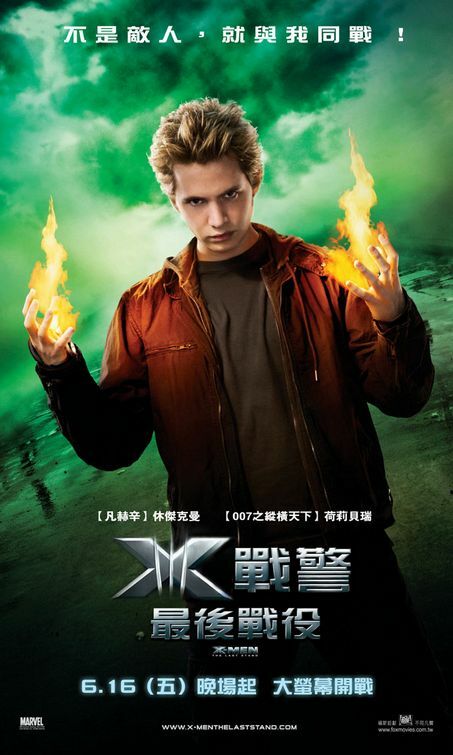 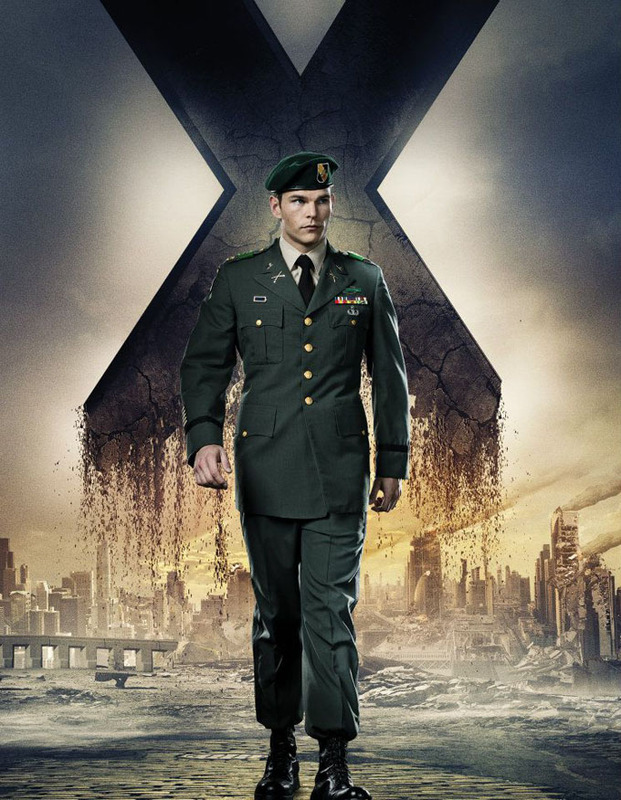 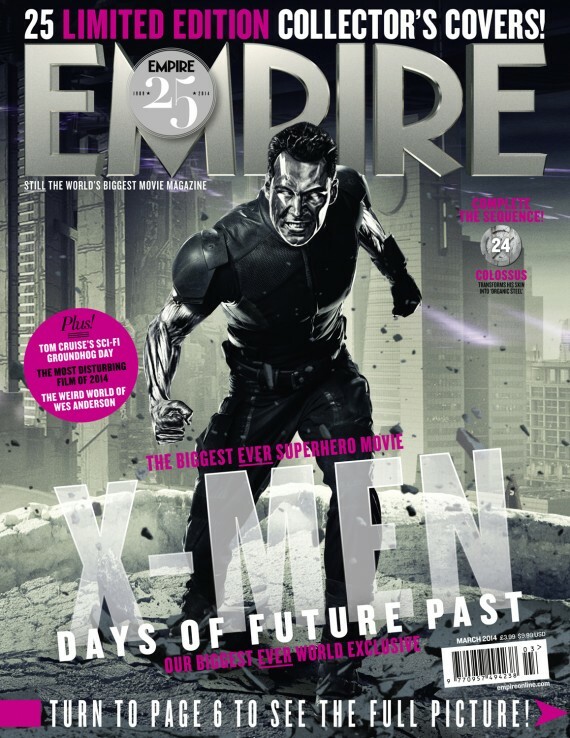 The cast features characters from the original trilogy of X-Men films and the prequel X-Men: First Class. 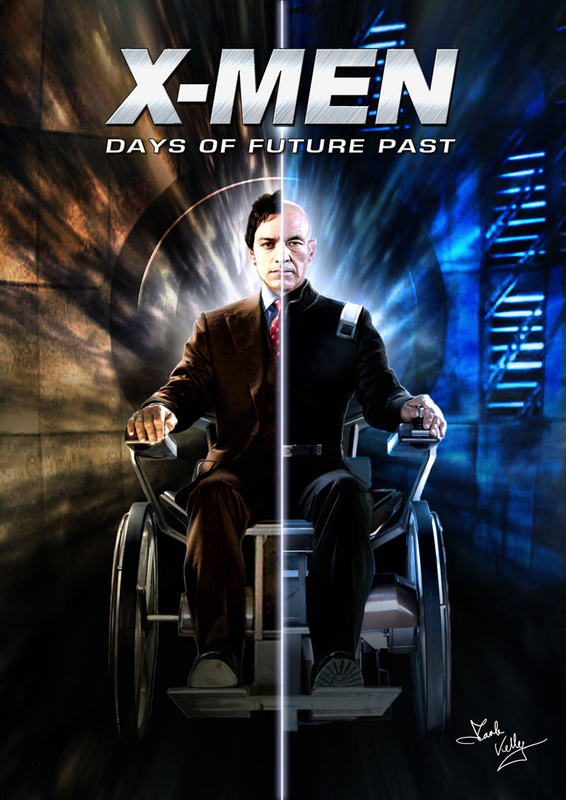 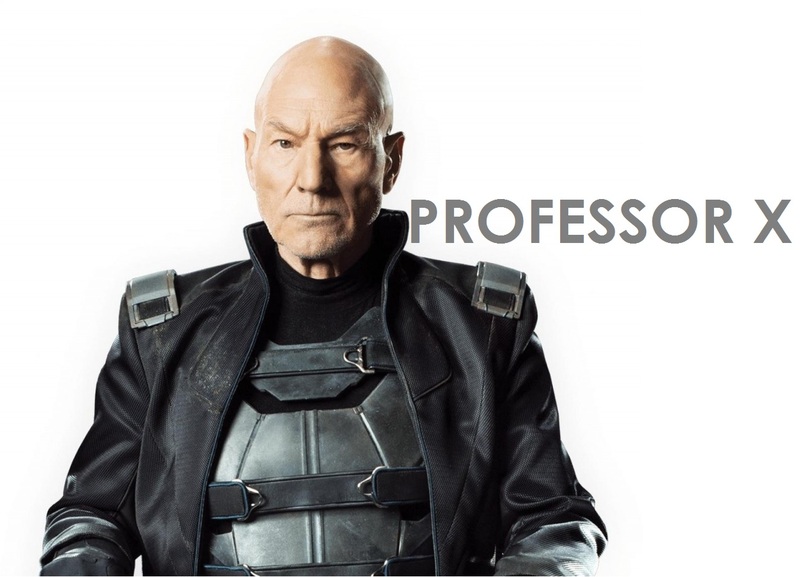 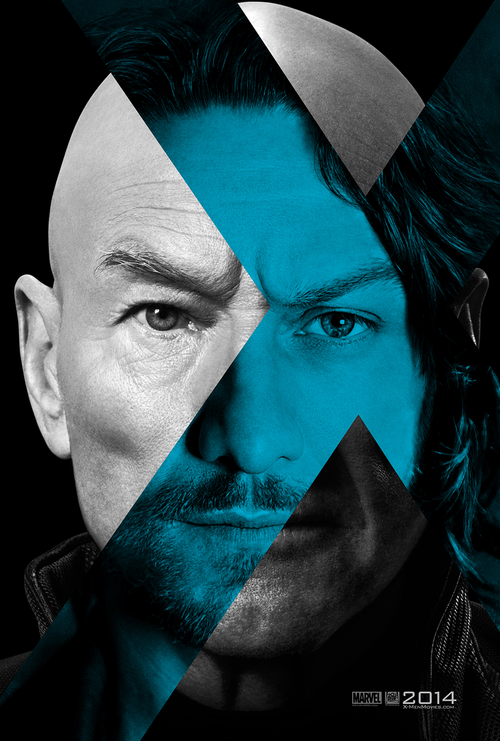 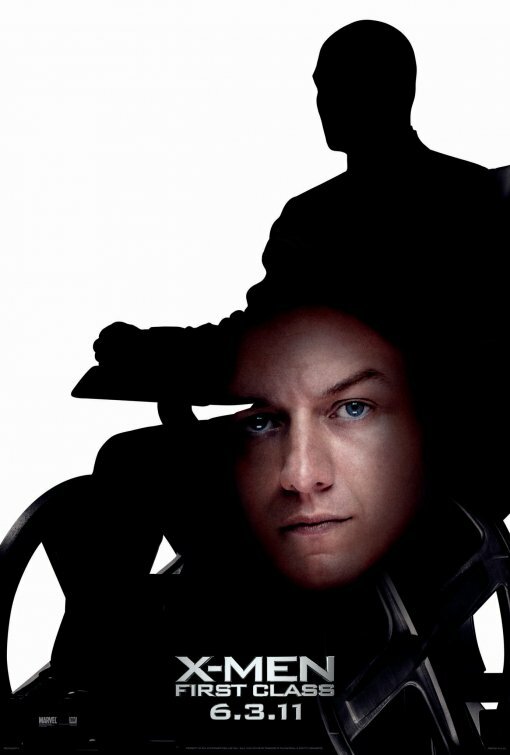 James McAvoy and Patrick Stewart as Charles Xavier / Professor X: According to Stewart, there will be an explanation for Professor X’s return after he was vaporized by Jean Grey in X-Men: The Last Stand. 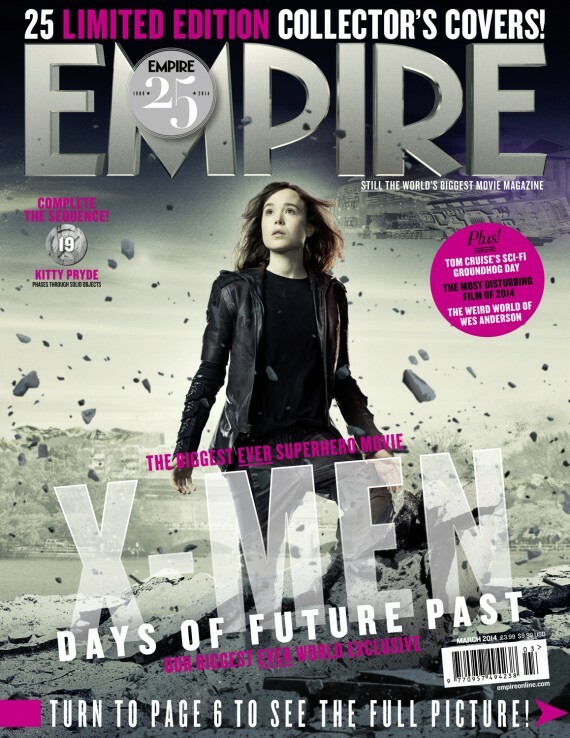 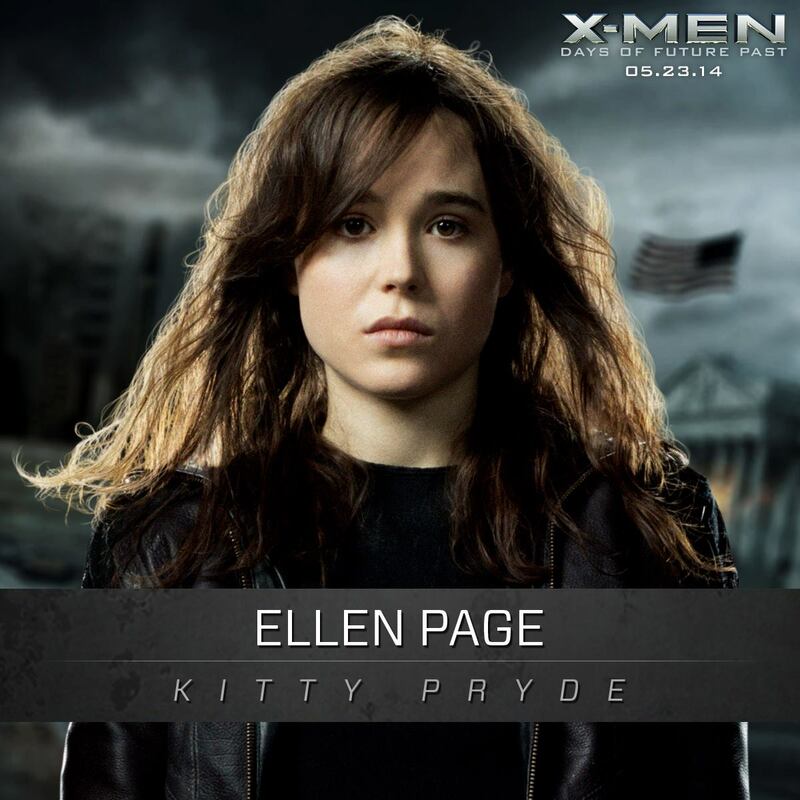 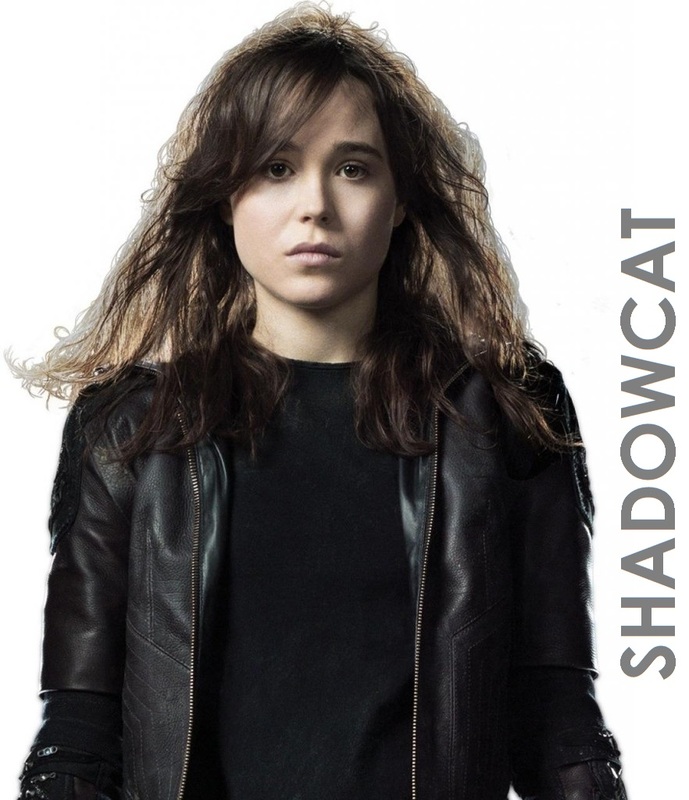 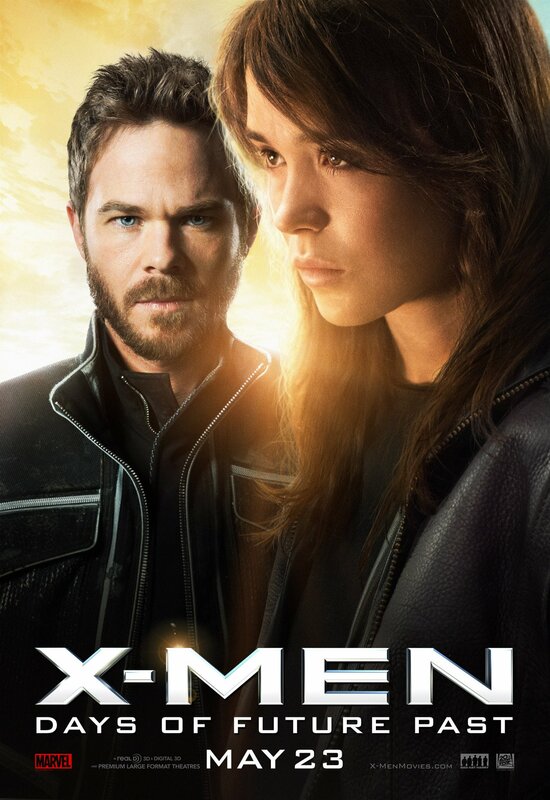 Ellen Page as Kitty Pryde: Singer described Pryde as the prime facilitator and that Pryde’s phasing ability enables time-travel to happen. 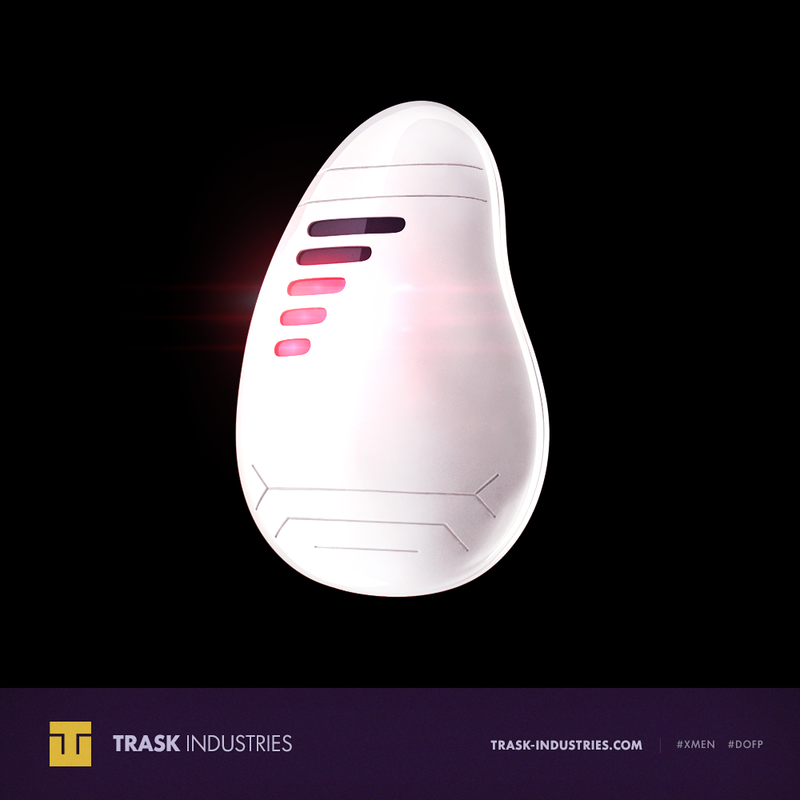 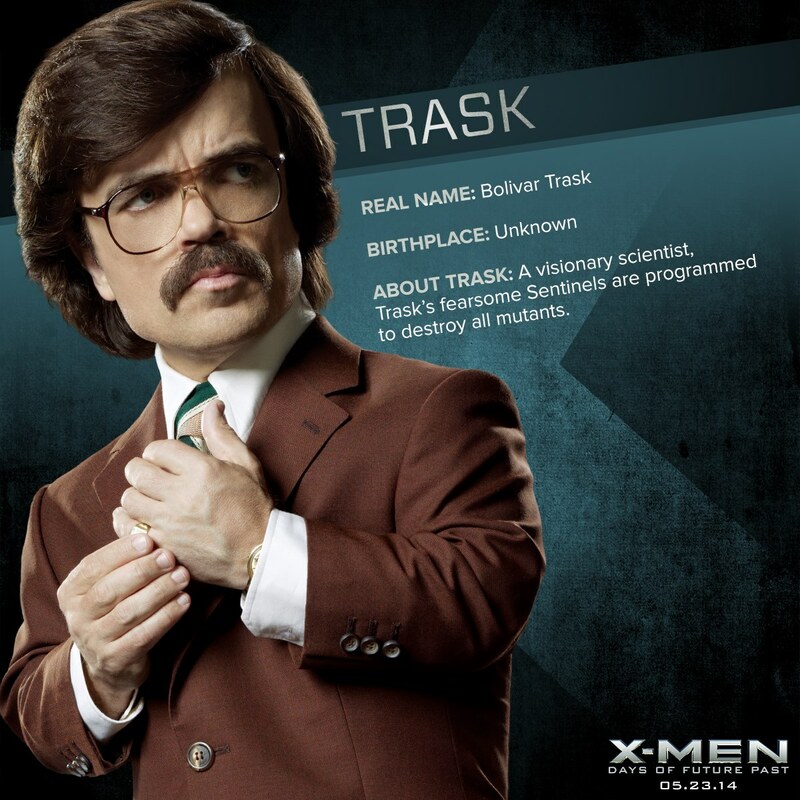 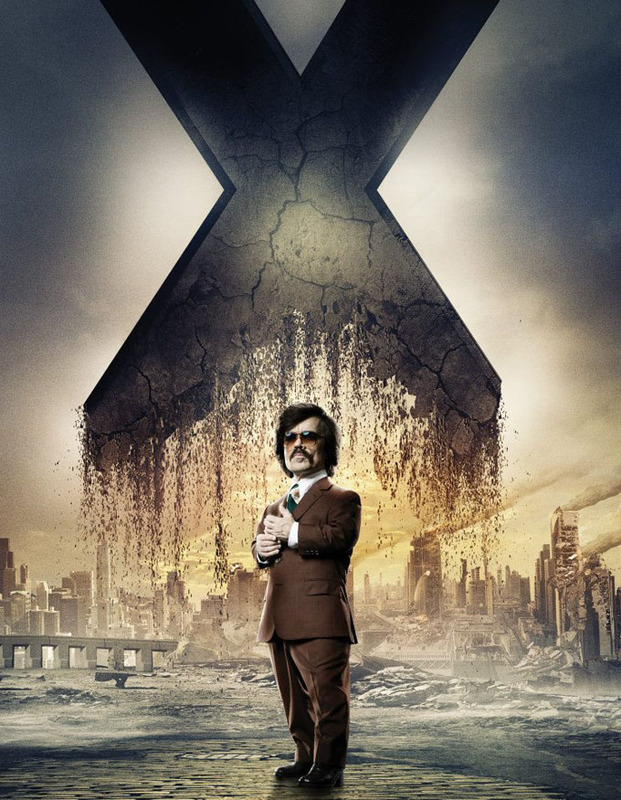 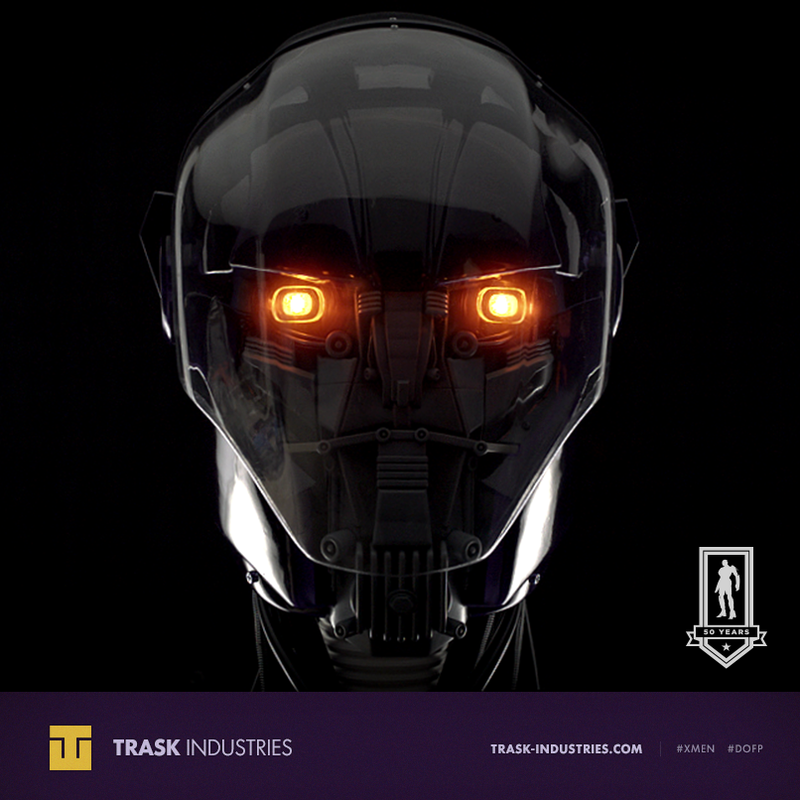 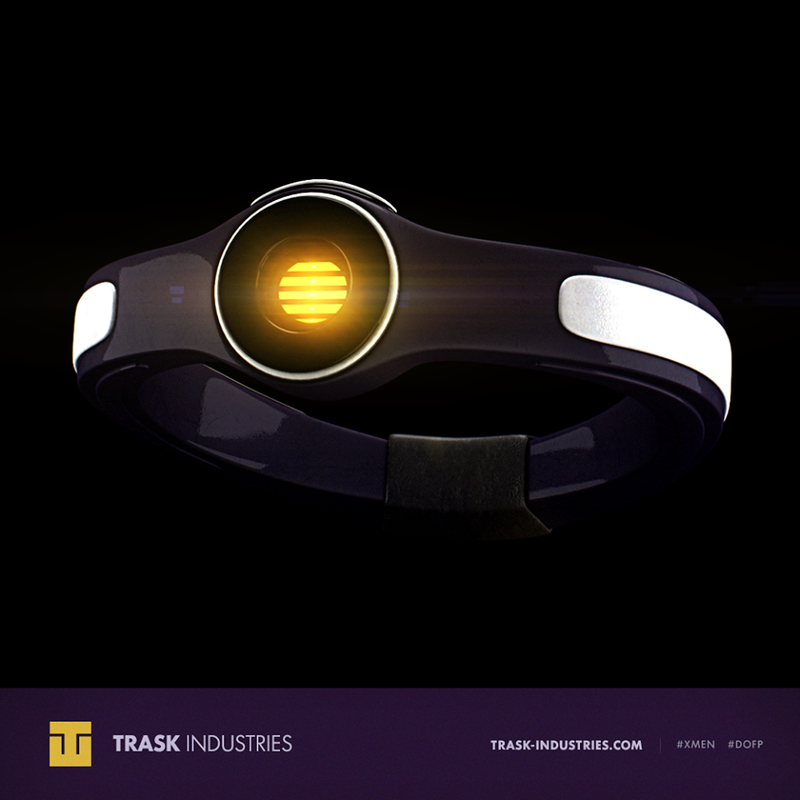 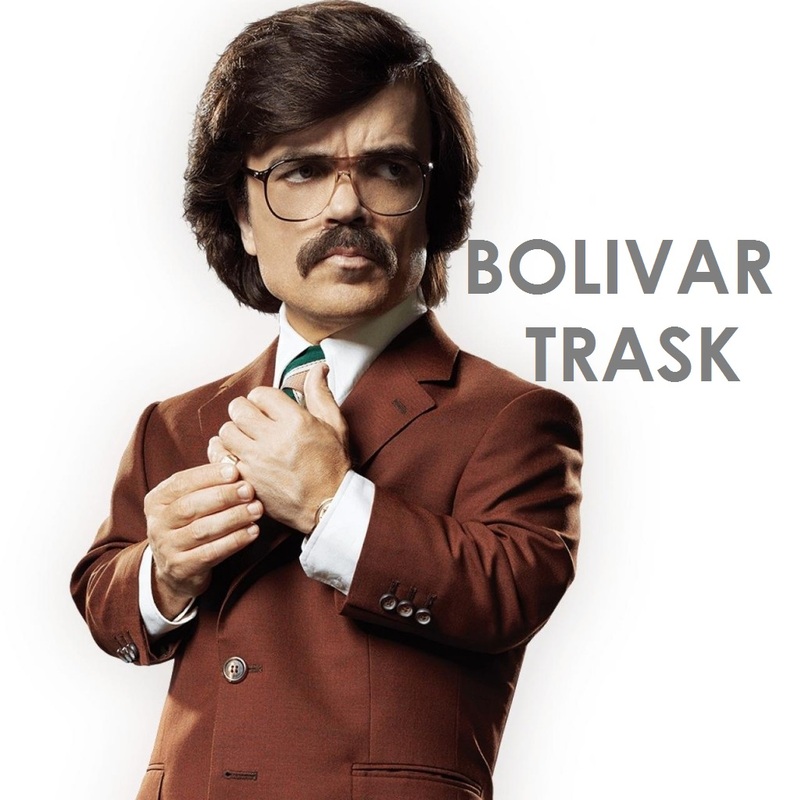 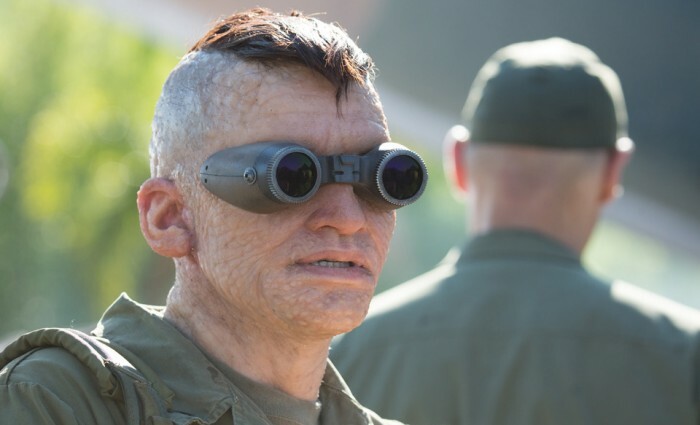 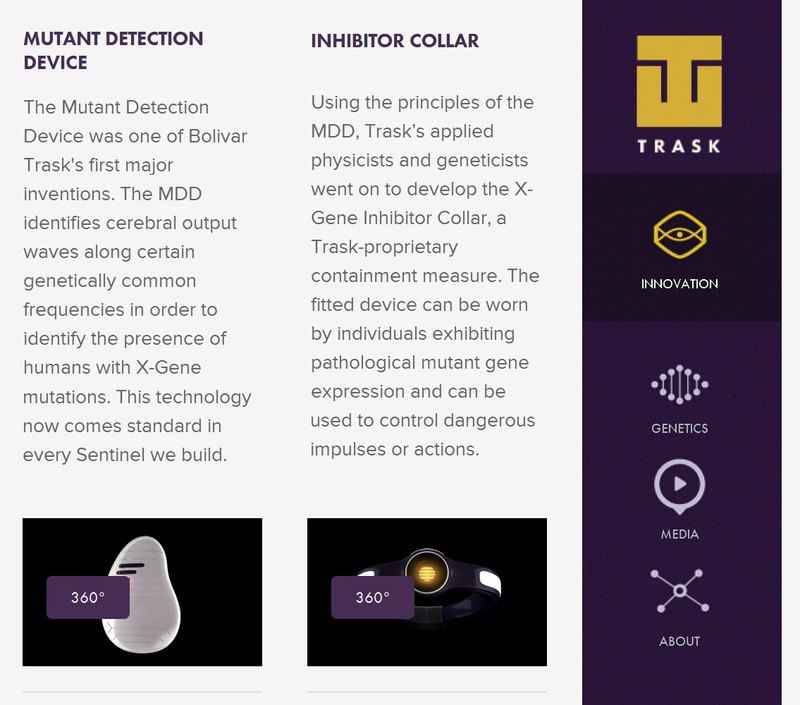 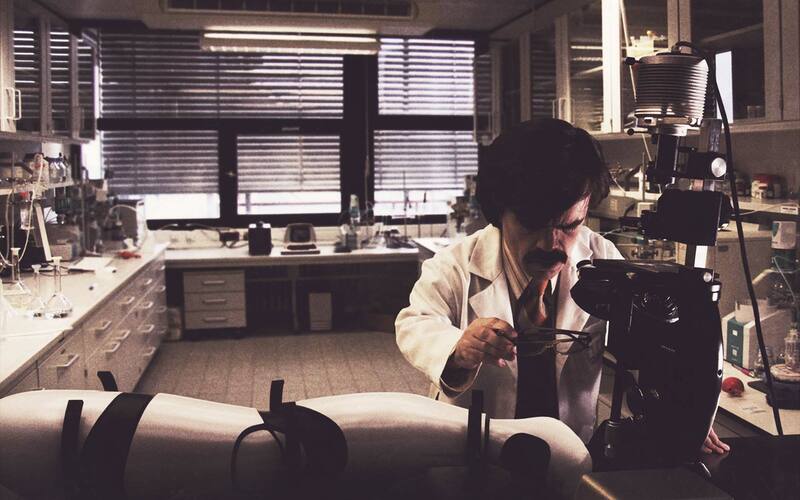 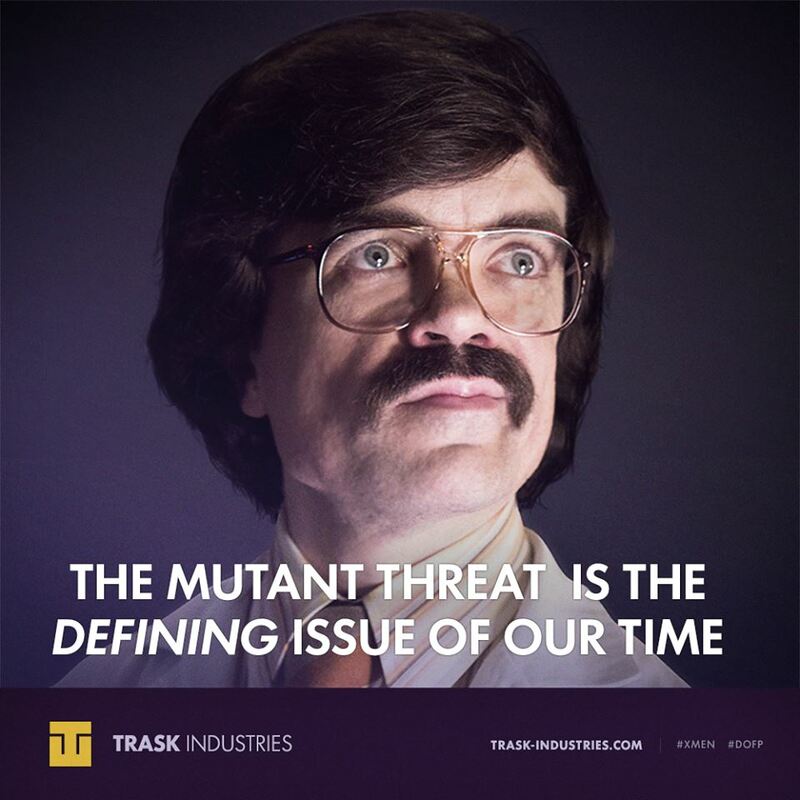 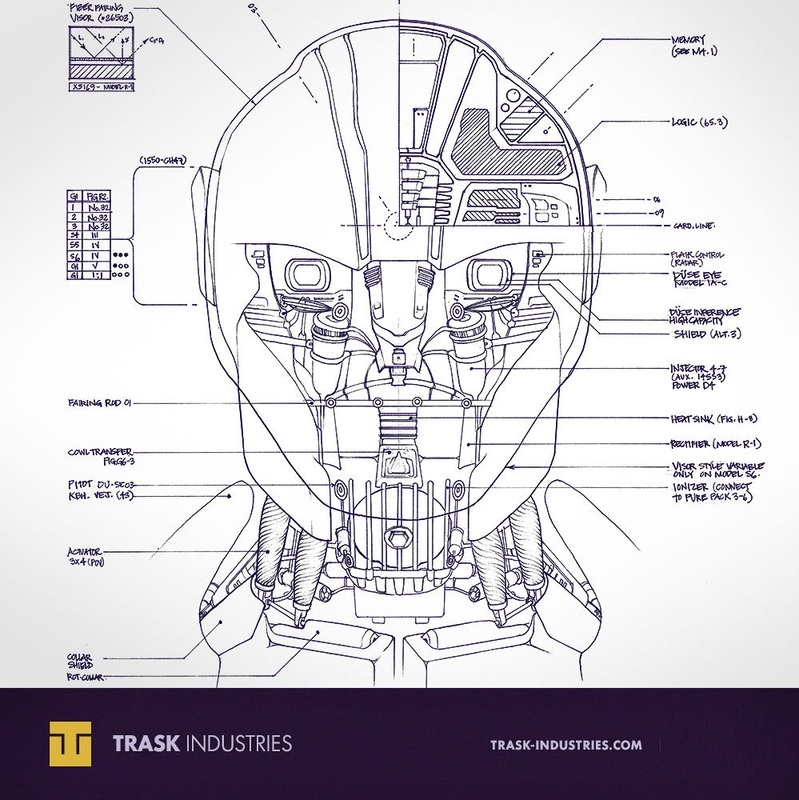 Peter Dinklage as Bolivar Trask: A military scientist and the head of Trask Industries who created a range of robots called Sentinels whose purpose is to hunt and destroy mutants.Dinklage stated that Trask “sees what he’s doing as a good thing — [his ambition is] definitely blind and he’s quite arrogant. 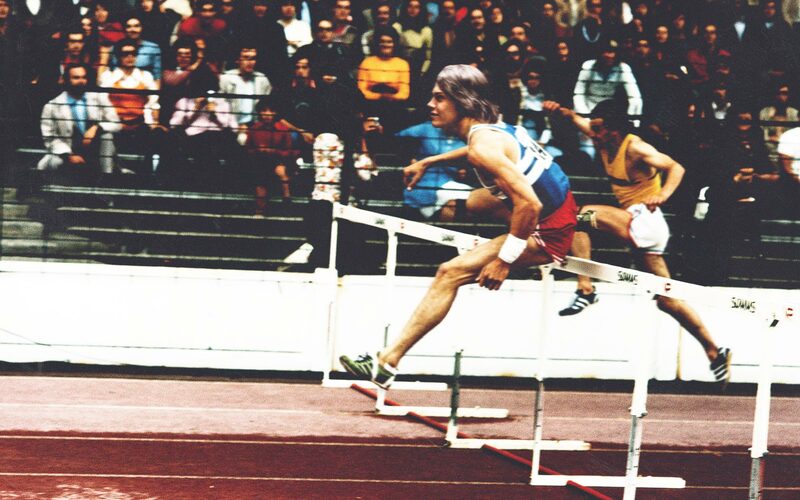 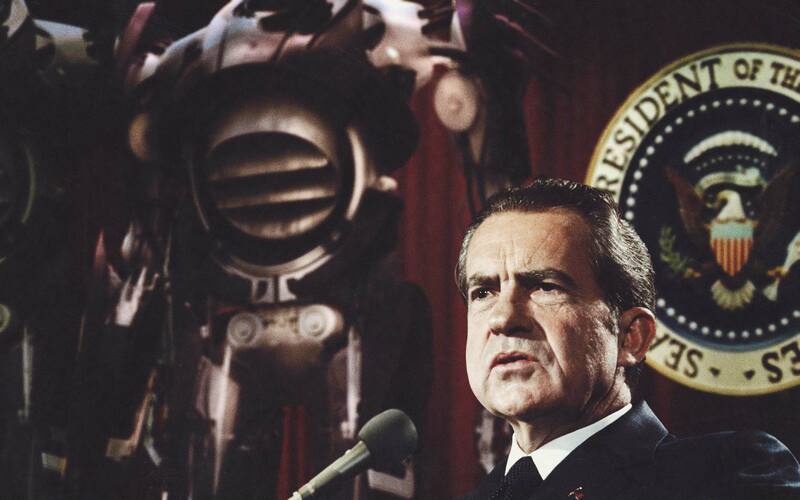 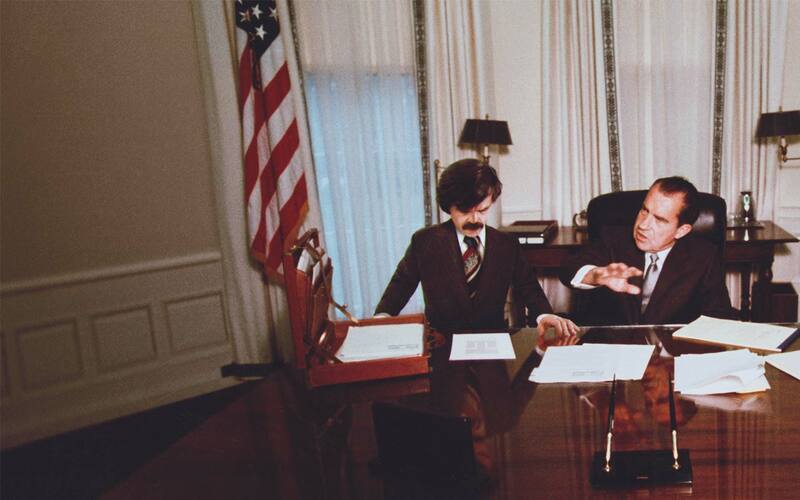 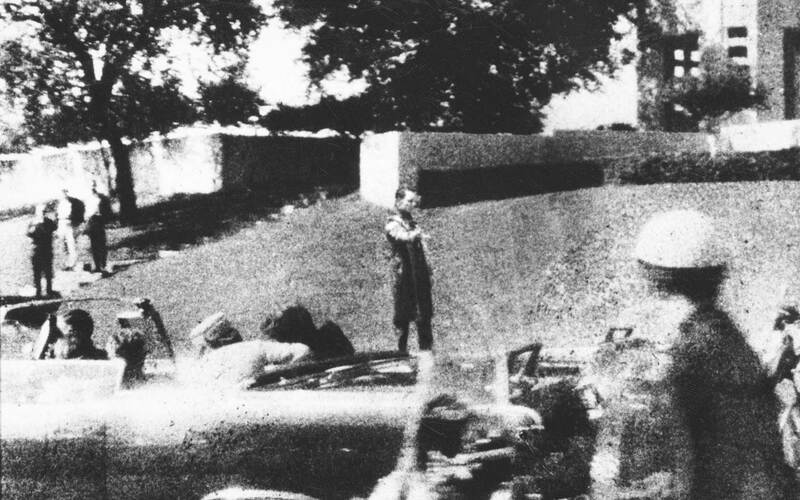 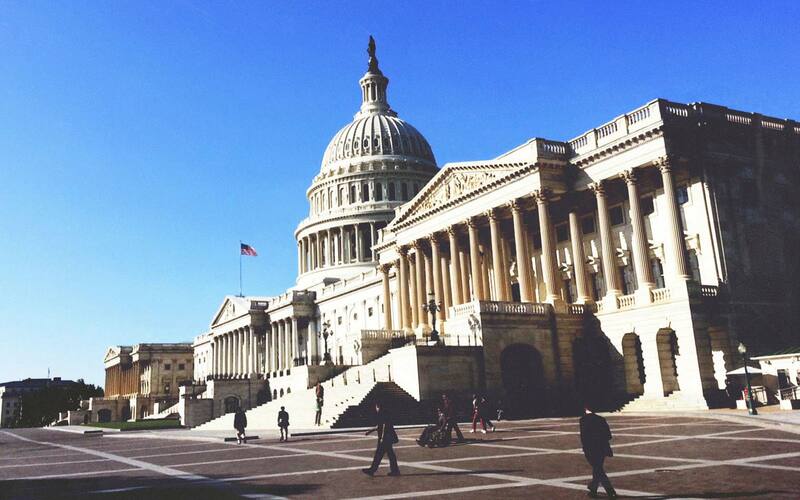 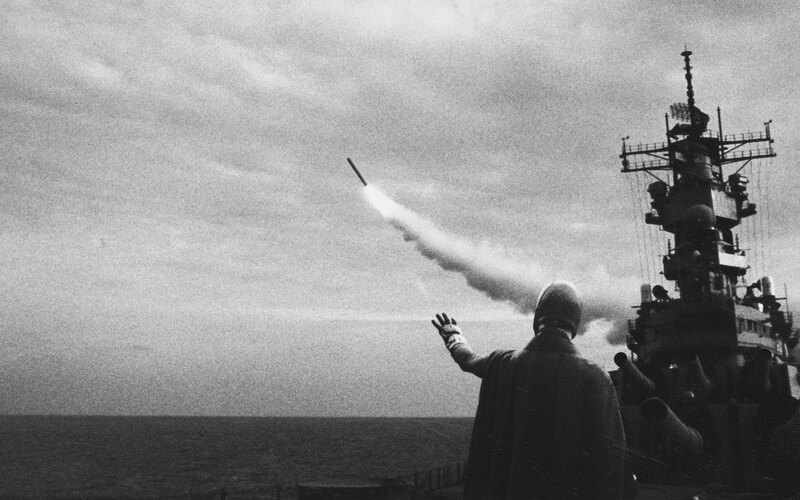 He’s strove all his life for a certain respect and attention.” He also stated that Trask is up against Richard Nixon. 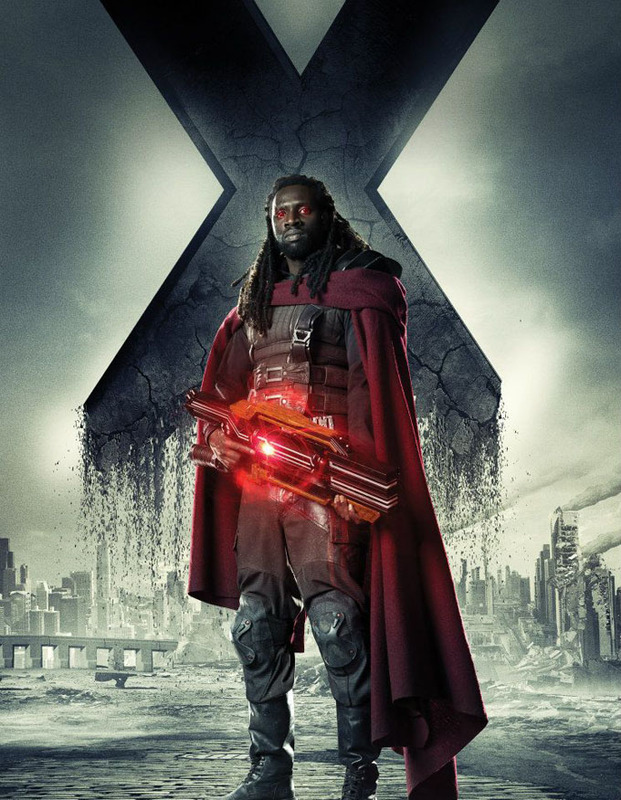 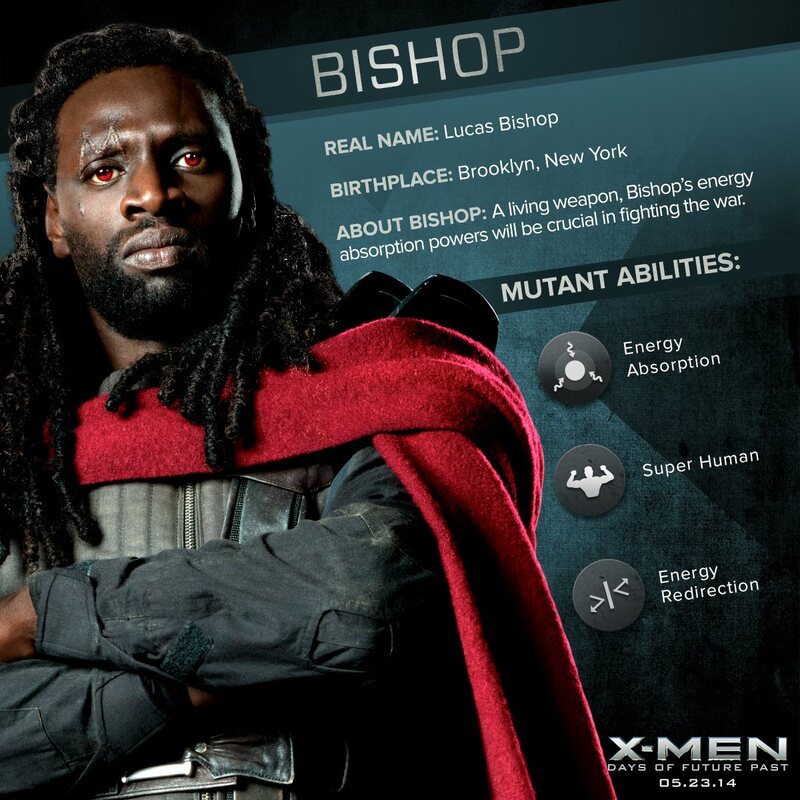 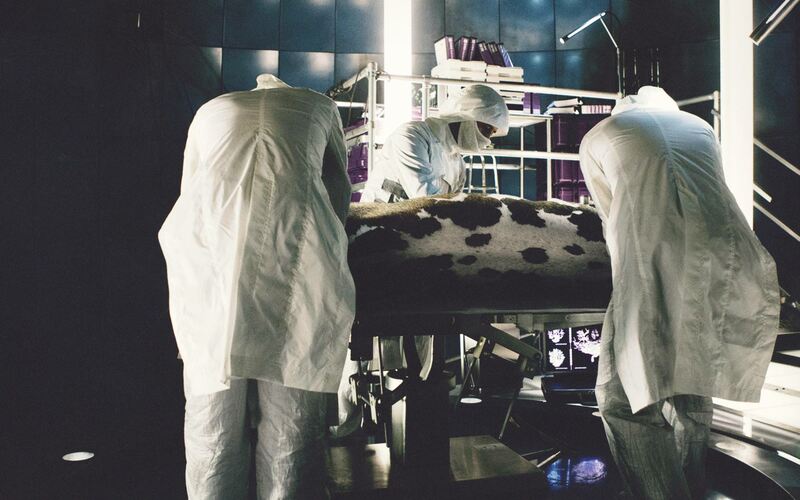 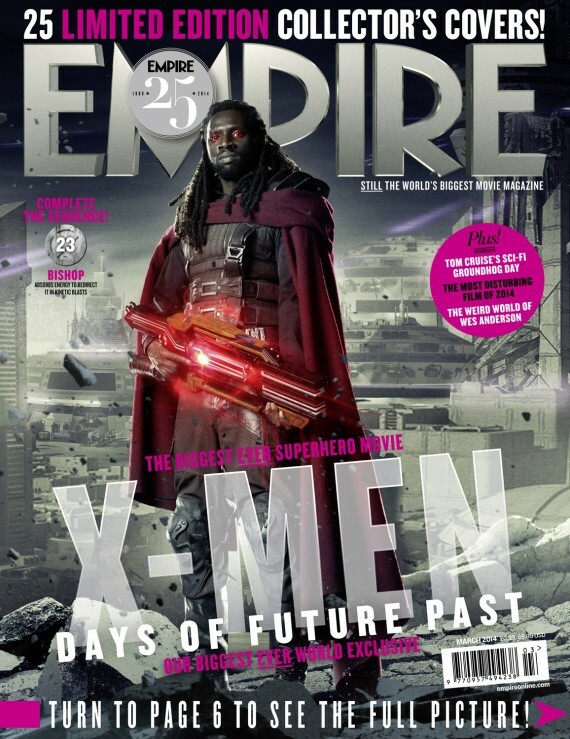 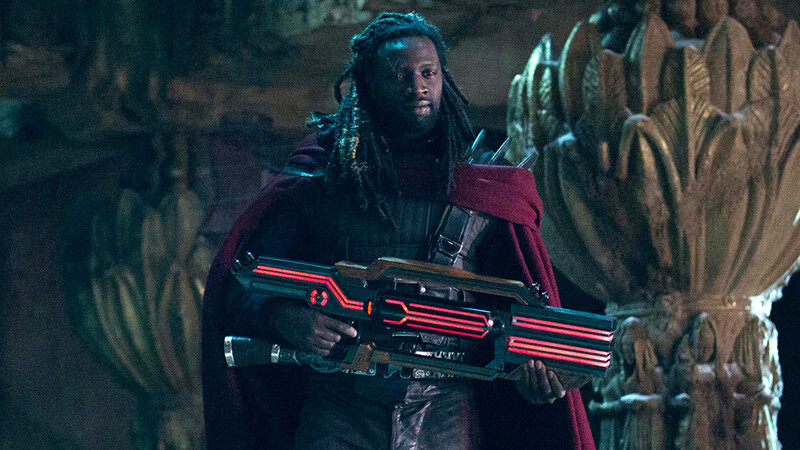 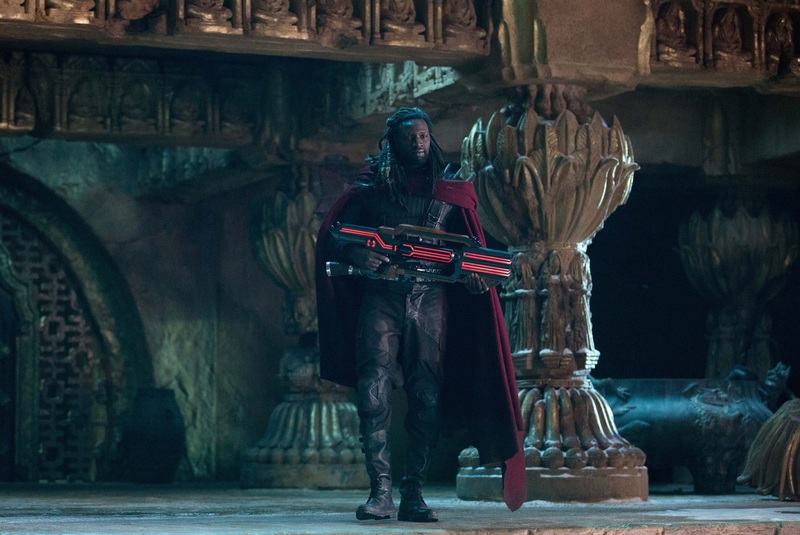 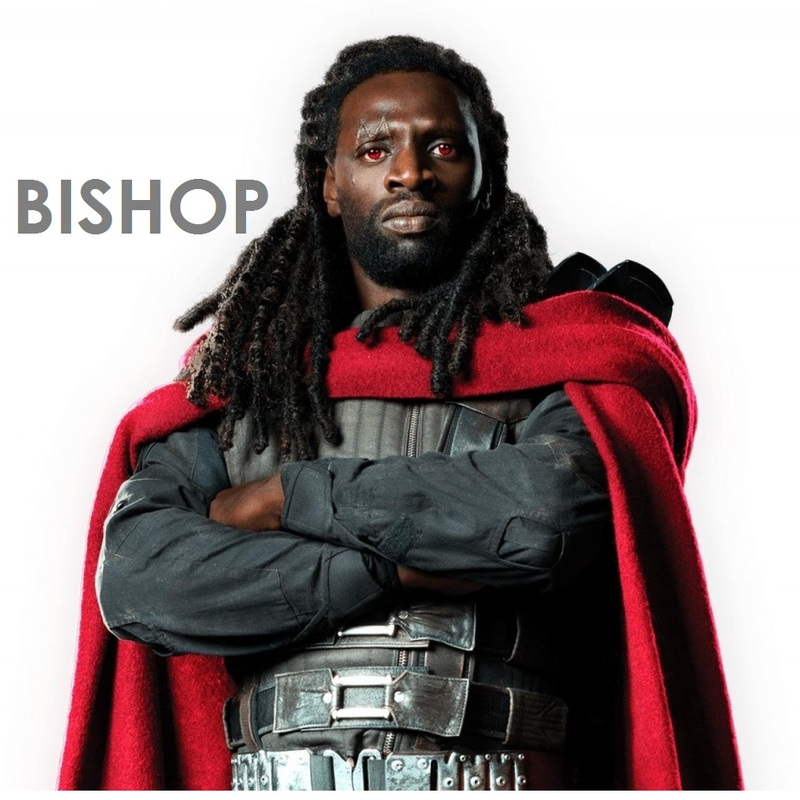 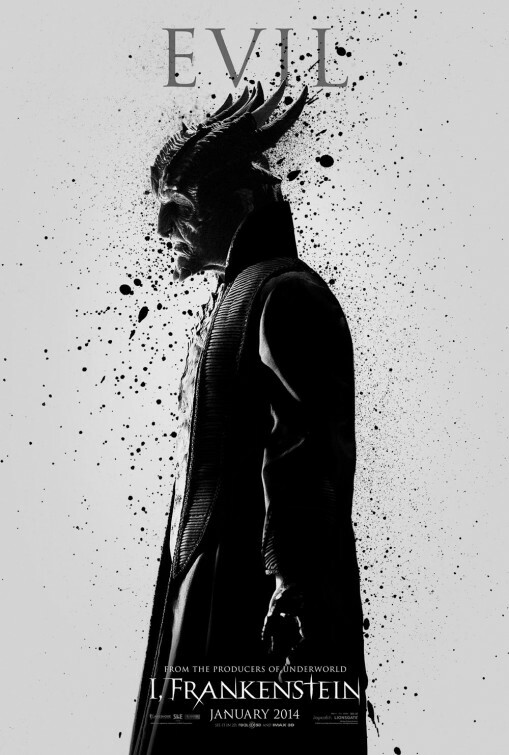 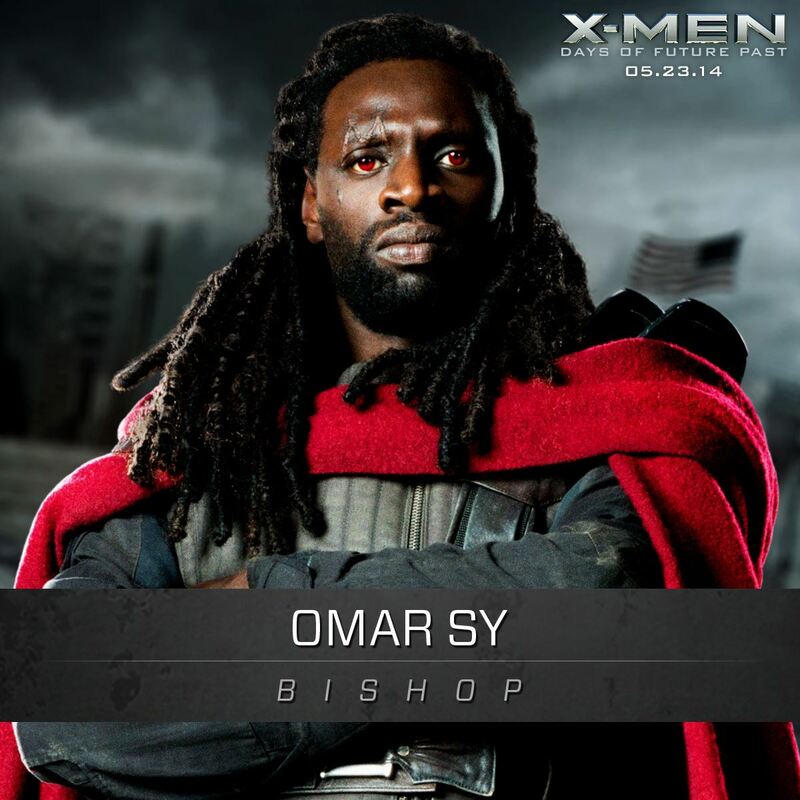 Omar Sy as Bishop: Sy described Bishop as the guy from the future and that he fights for survival. 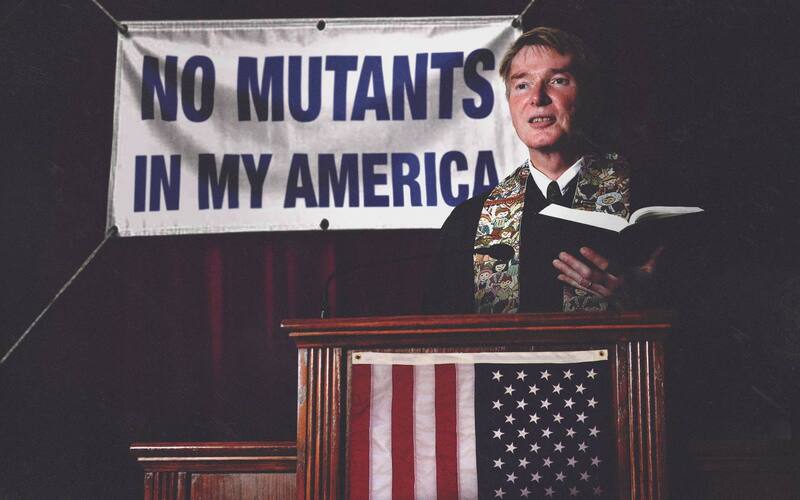 This reality in which the story occurs is designated Earth-811 in the Marvel Multiverse. 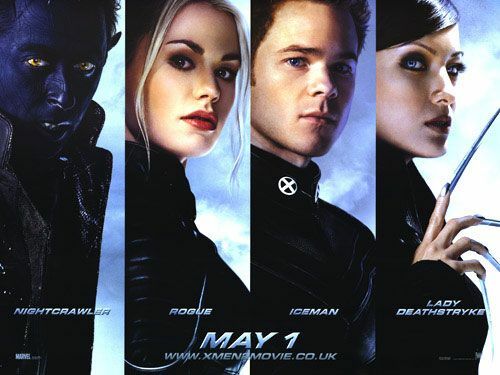 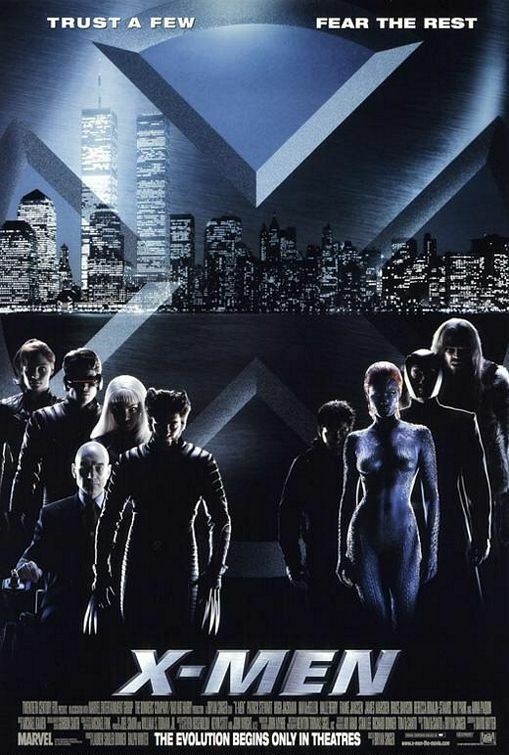 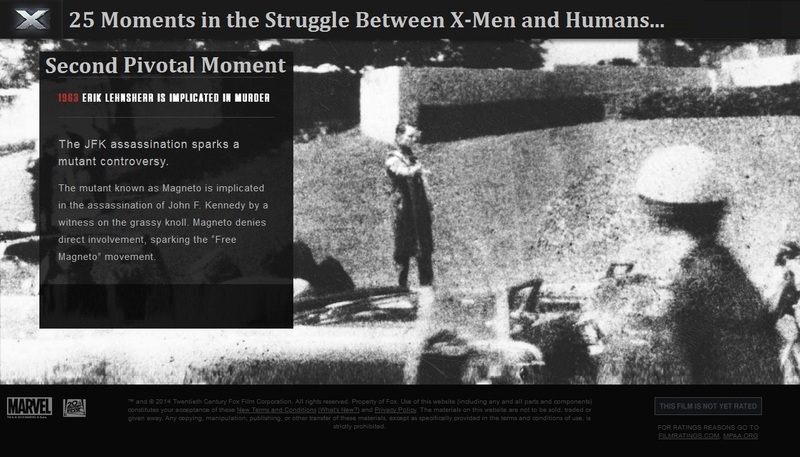 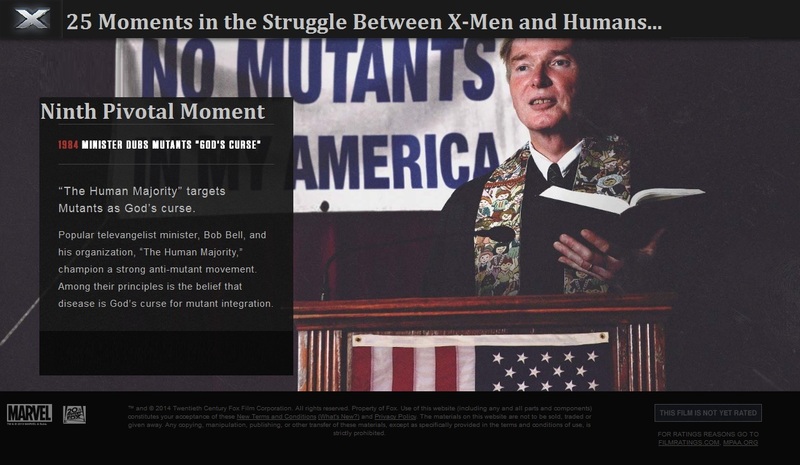 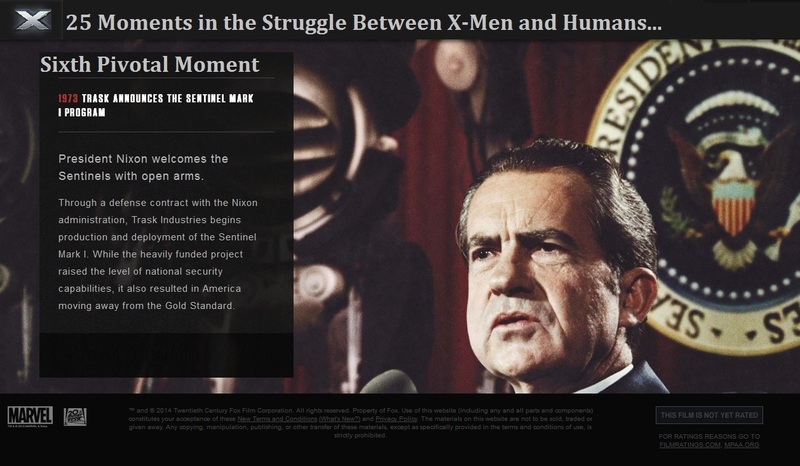 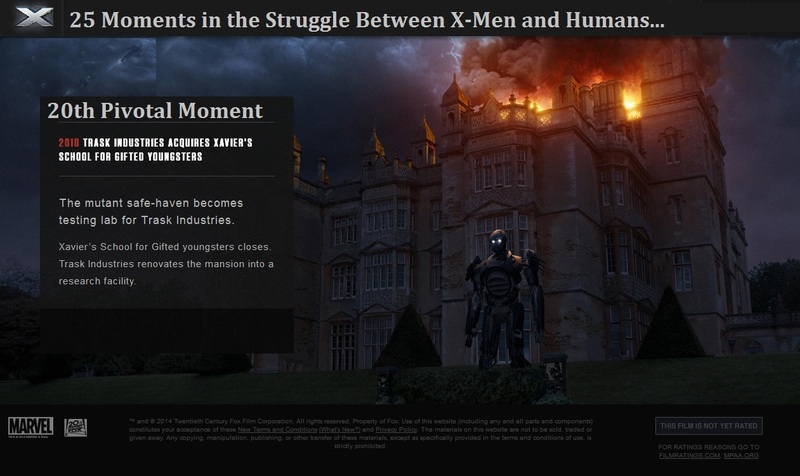 The storyline alternates between present day, in which the X-Men fight Mystique’s Brotherhood of Evil Mutants, and a future timeline caused by the X-Men’s failure to prevent the Brotherhood from assassinating Senator Robert Kelly. 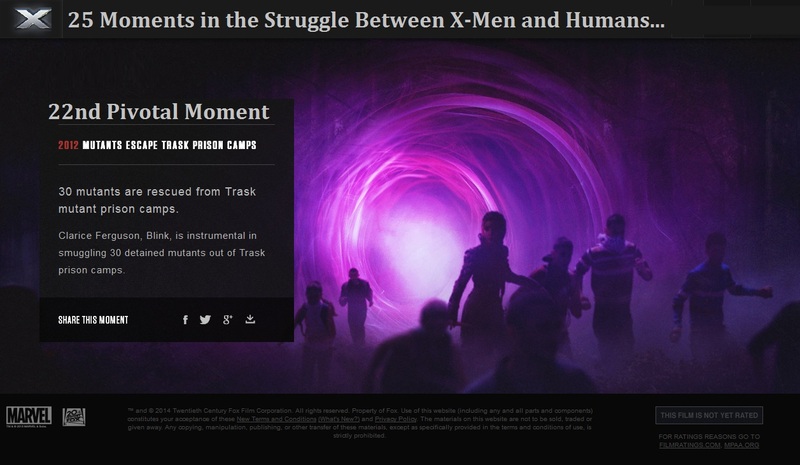 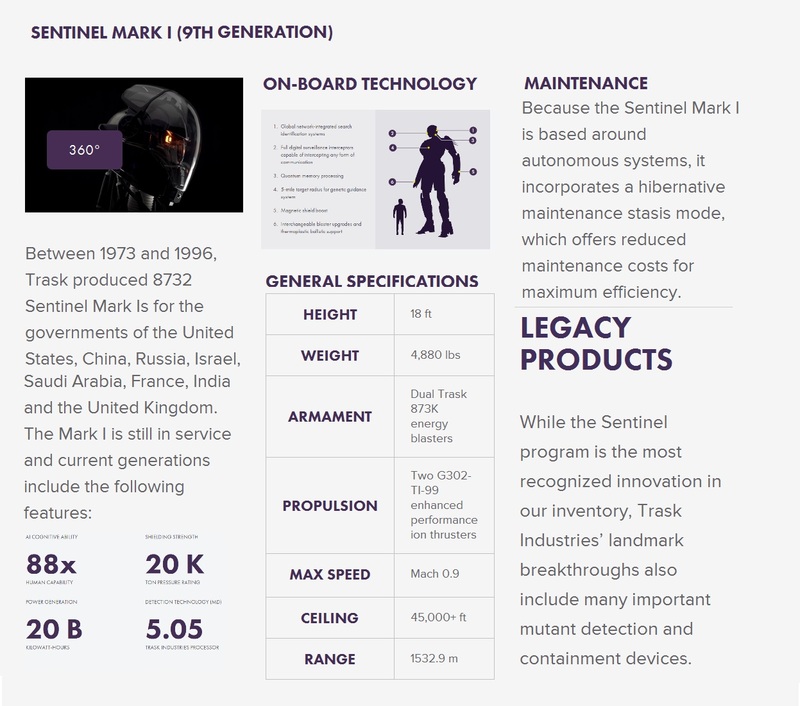 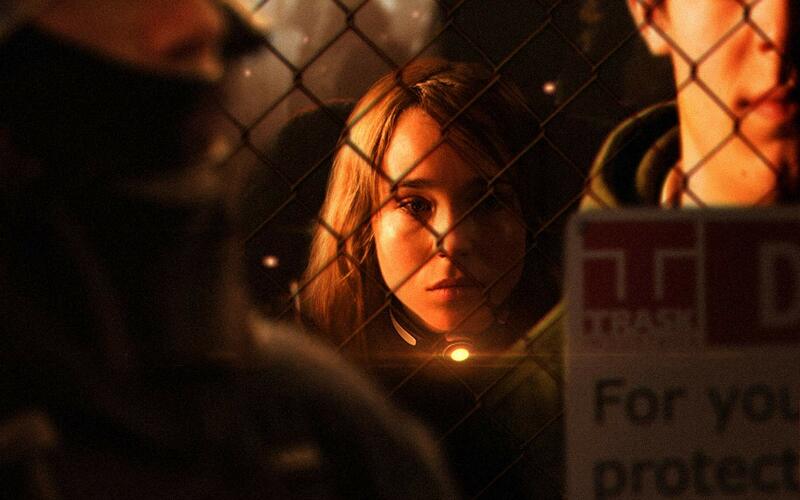 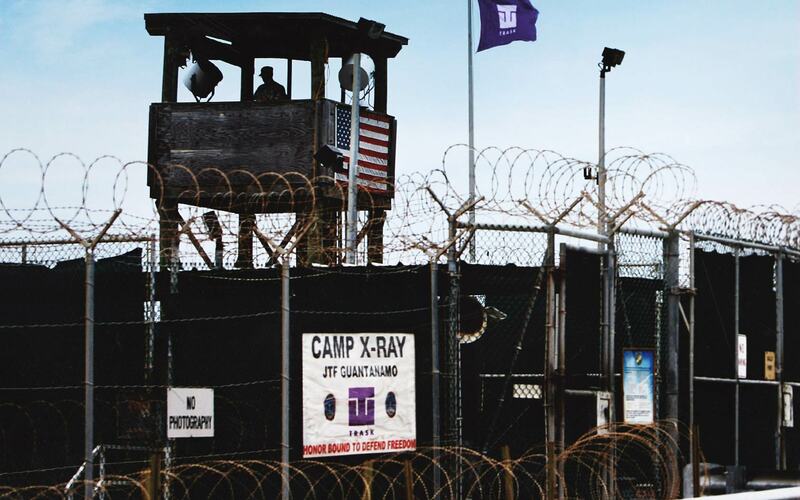 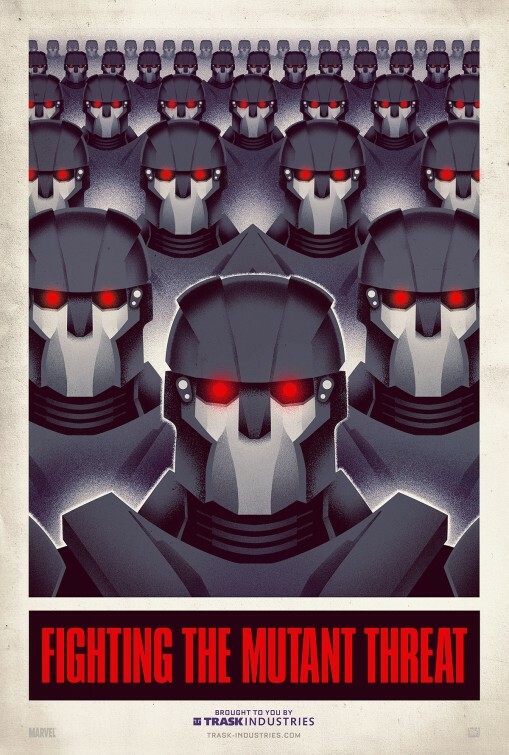 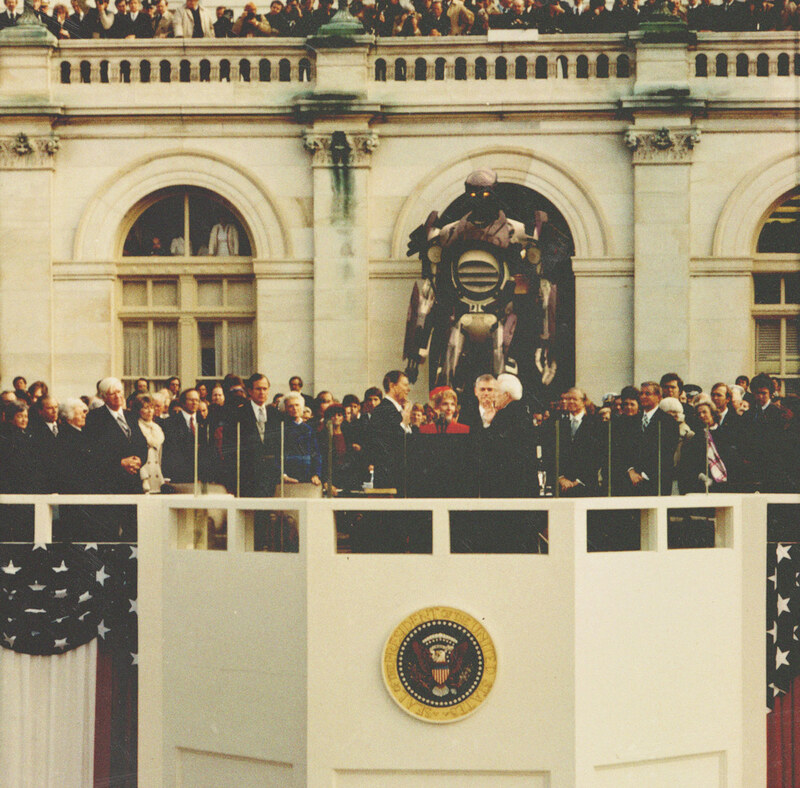 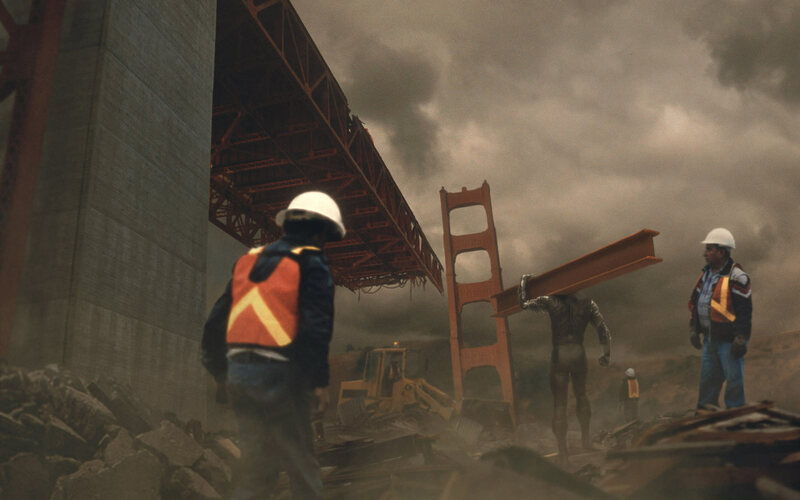 In this future universe, Sentinels rule the United States, and mutants live in internment camps. 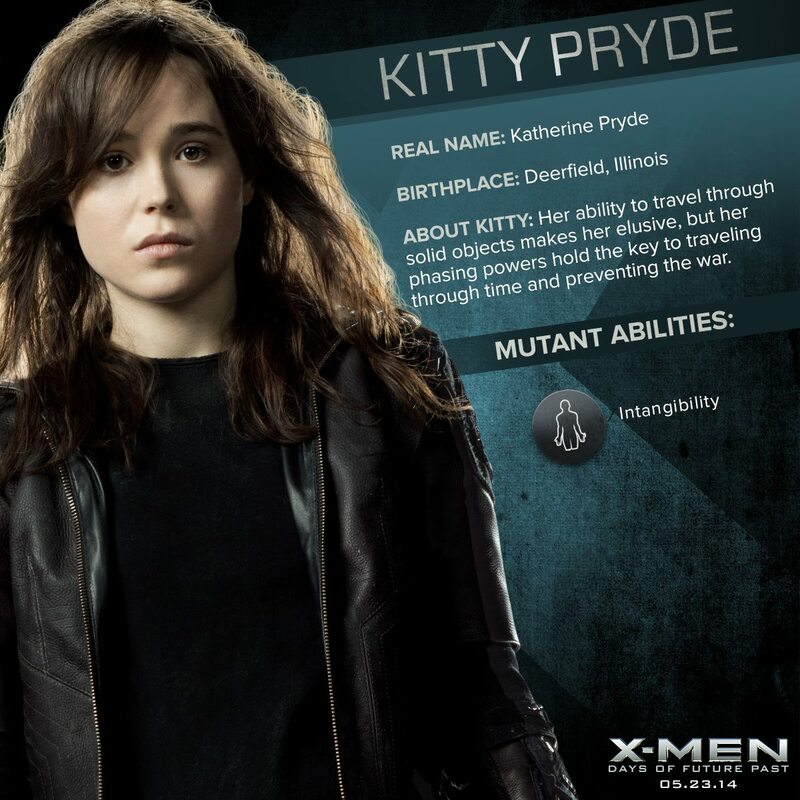 The present-day X-Men are forewarned of the possible future by a future version of their teammate Kitty Pryde, whose mind traveled back in time and possessed her younger self to warn the X-Men. 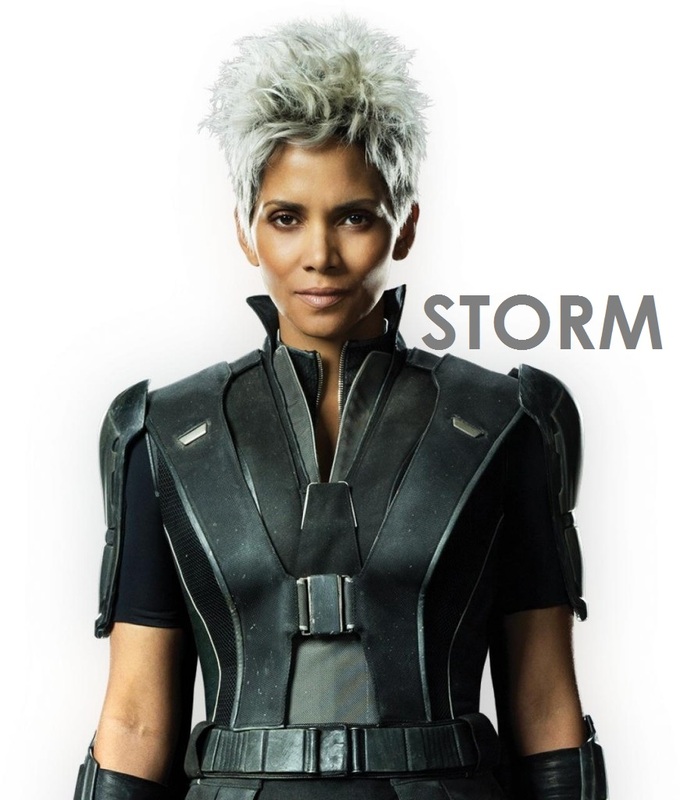 She succeeds in her mission and returns to the future, but despite her success, the future timeline still exists as an alternative timeline rather than as the actual future. 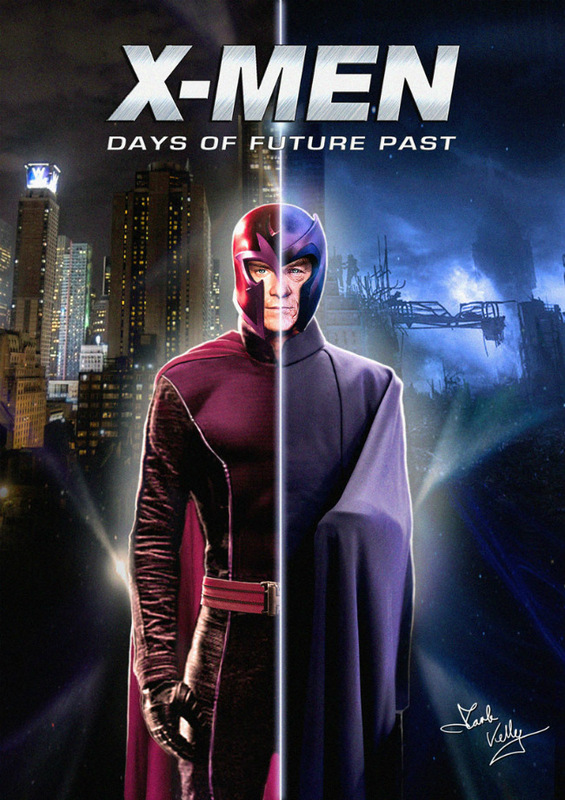 (The Official Handbook to the Marvel Universe: Alternate Universes 2005 gave the numerical designation of “Days of Future Past” Earth as Earth-811). 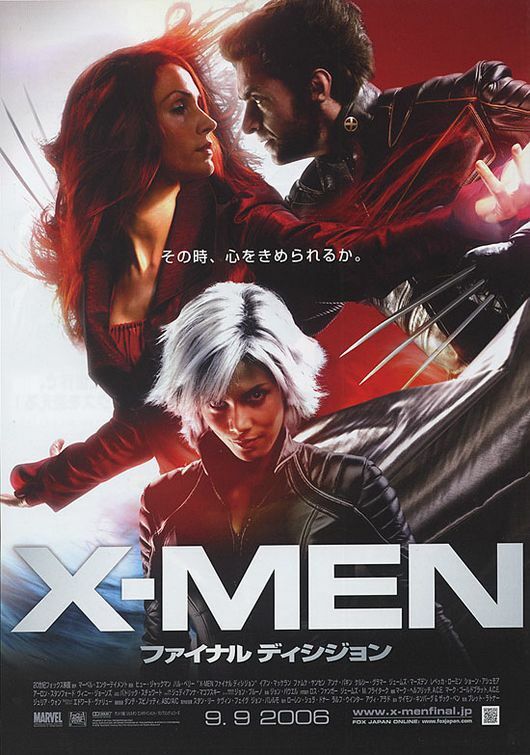 Rachel Summers, who was a key player in the original storyline, traveled through time from this alternative future, Earth-811, to the present day and joined the X-Men. 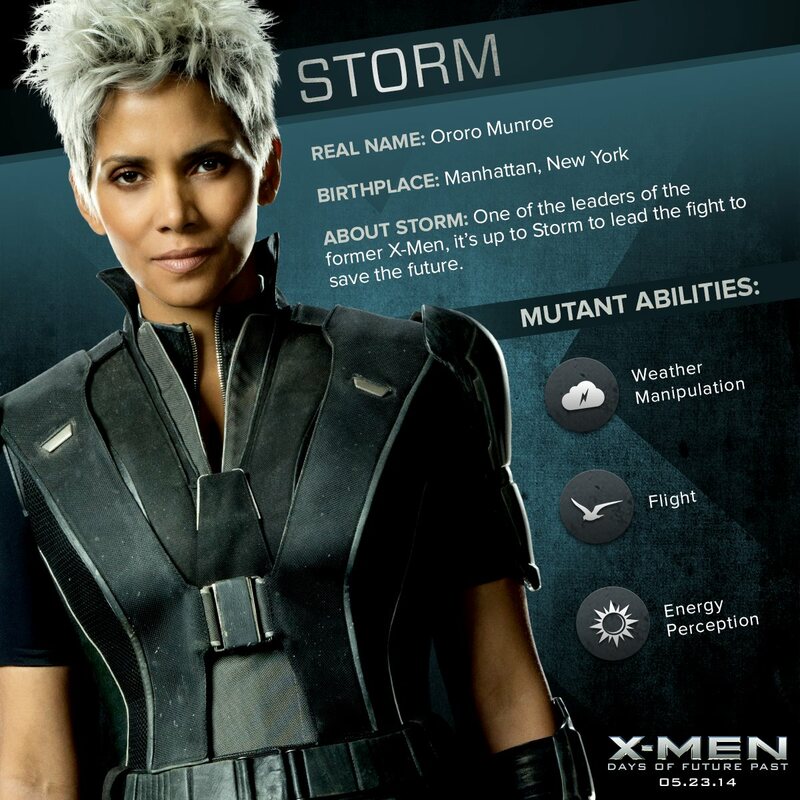 Nimrod, the “ultimate Sentinel,” followed her to the present and became a foe of the X-Men and the Hellfire Club. 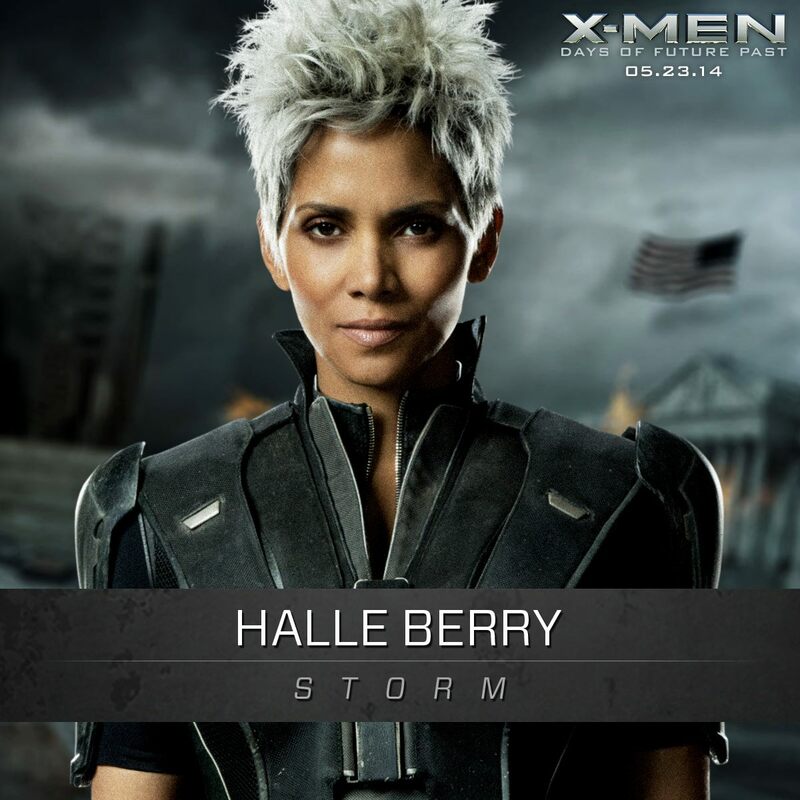 Another supervillain, Ahab, later followed her to the present in the Days of Future Present crossover.